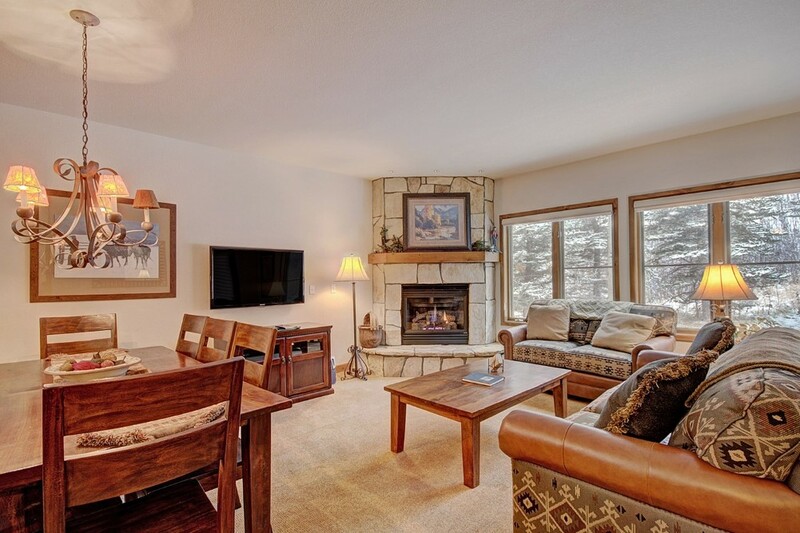 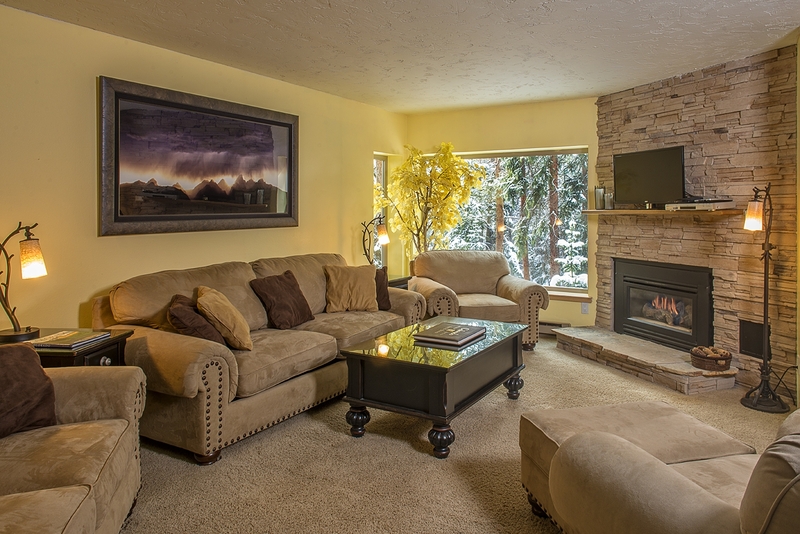 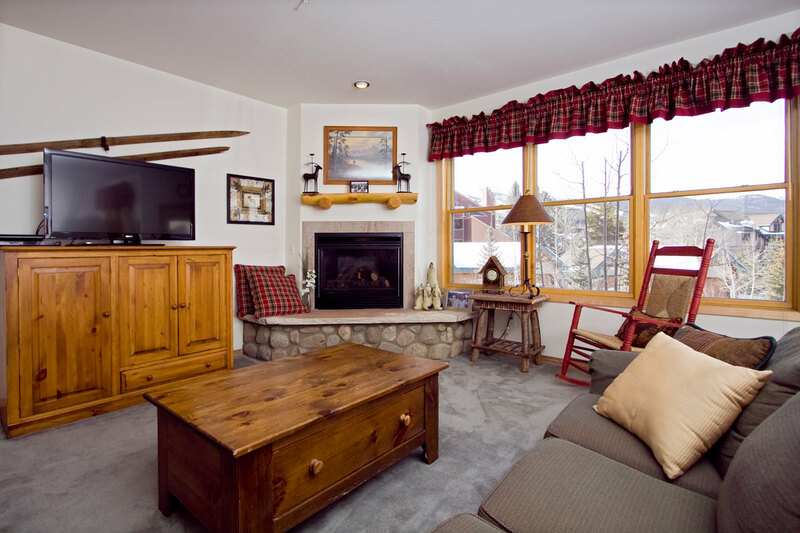 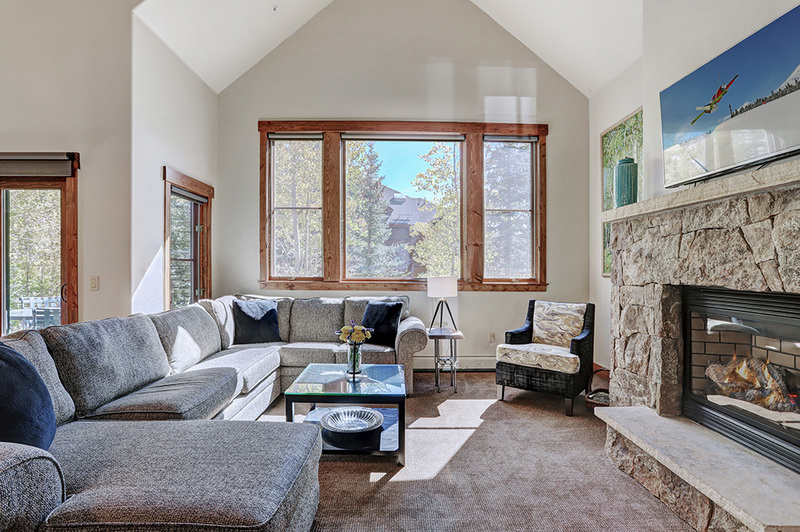 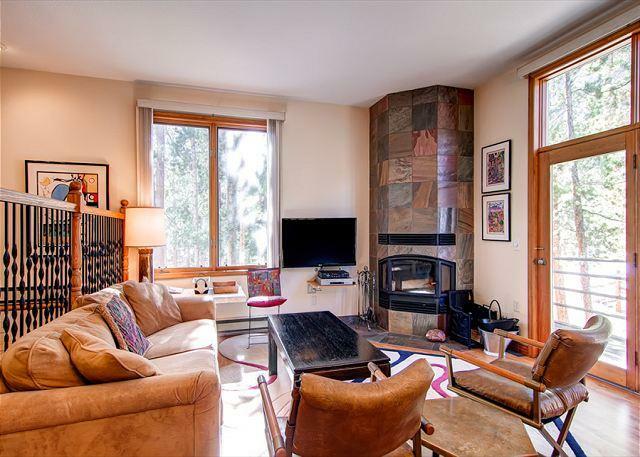 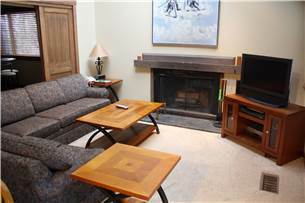 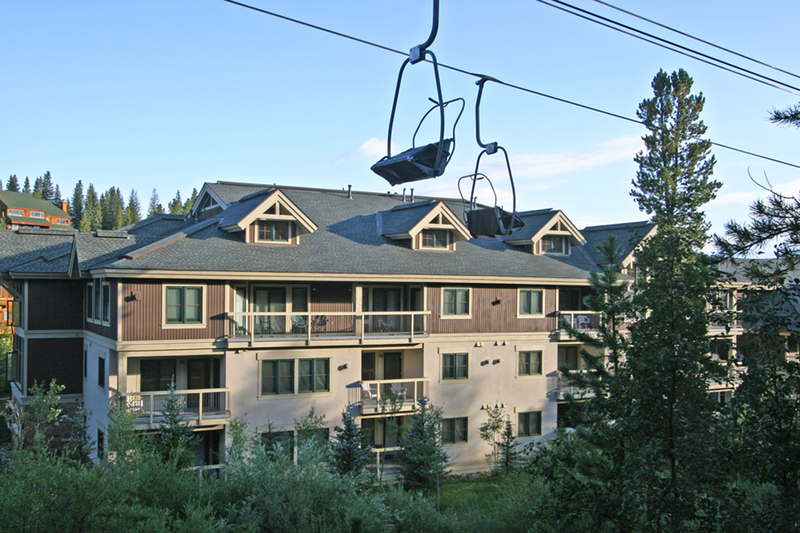 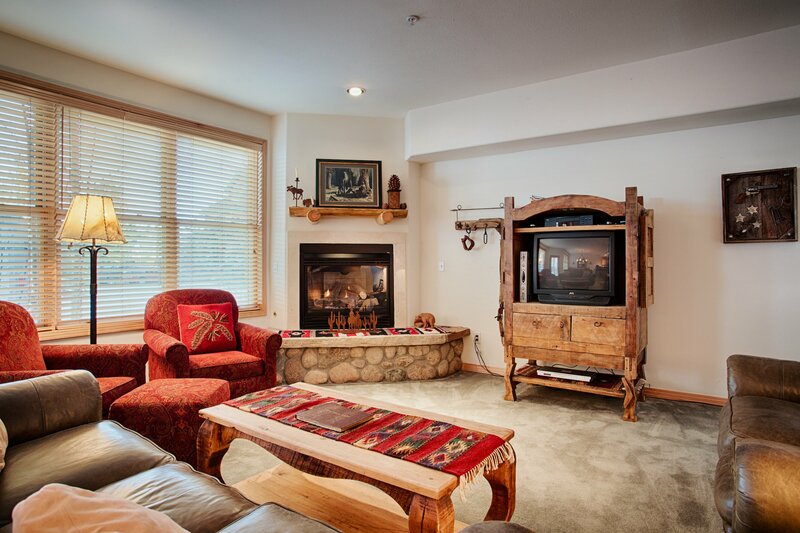 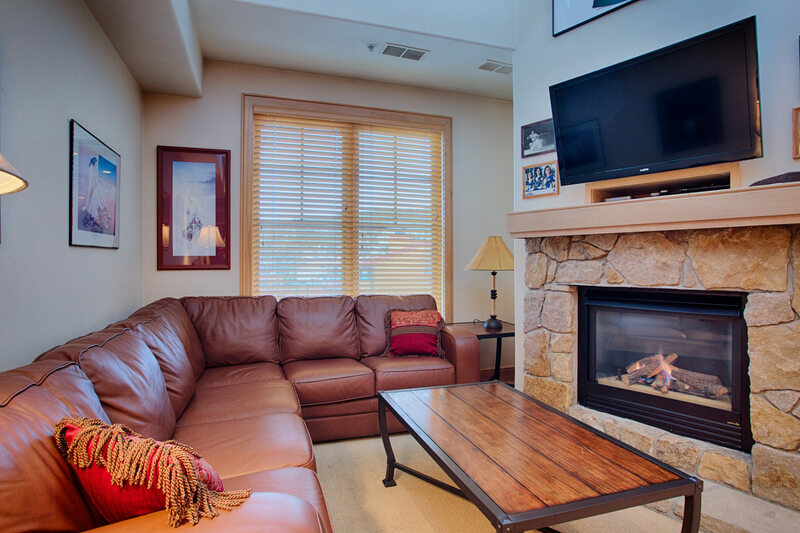 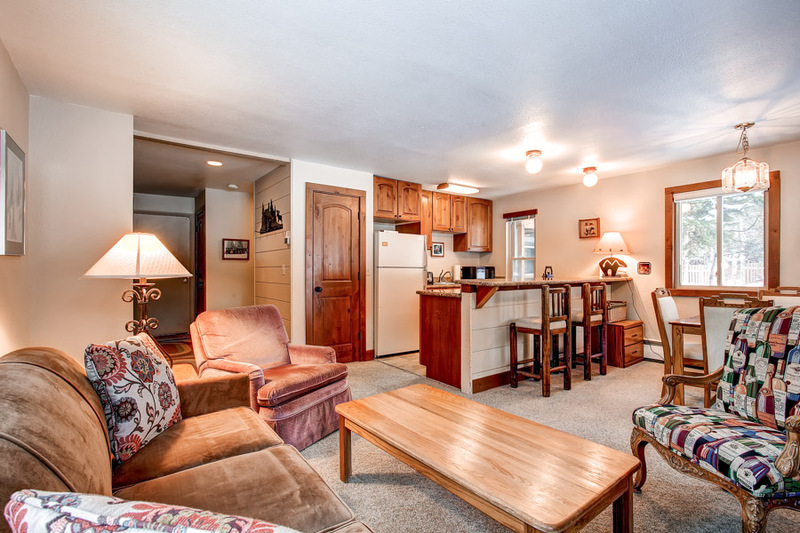 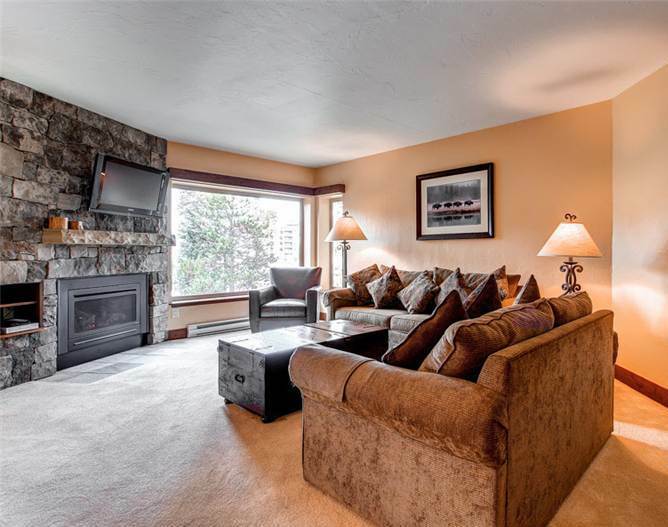 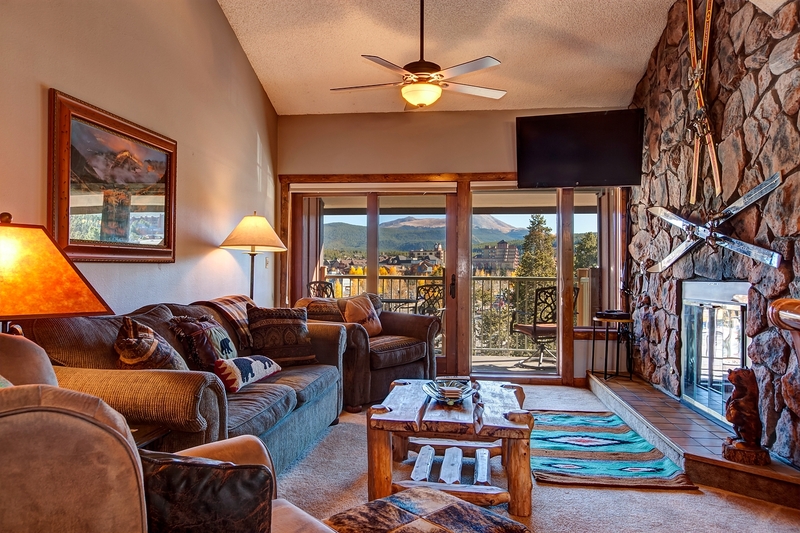 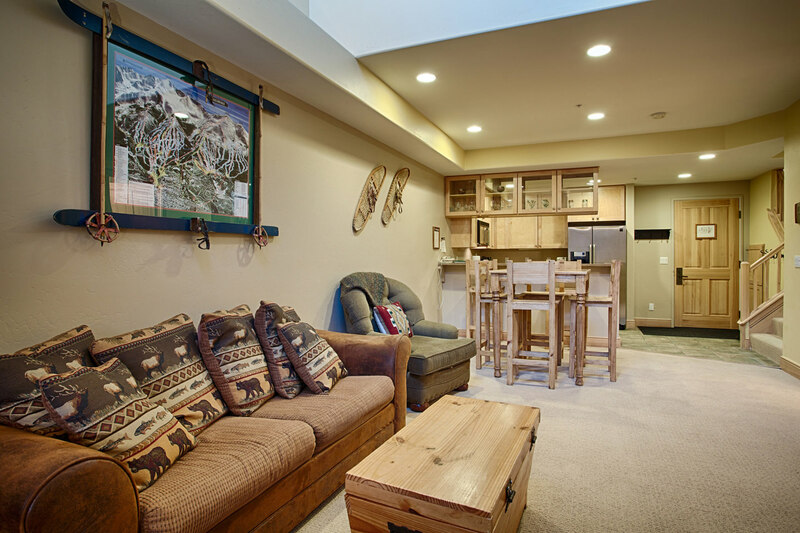 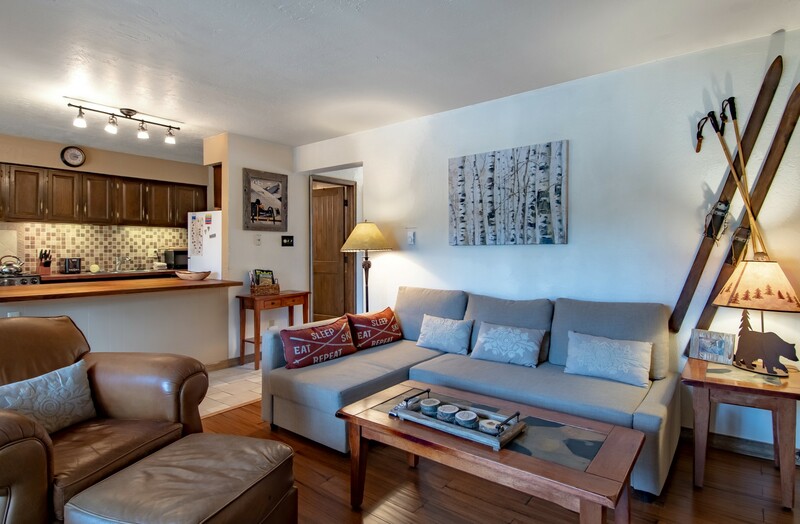 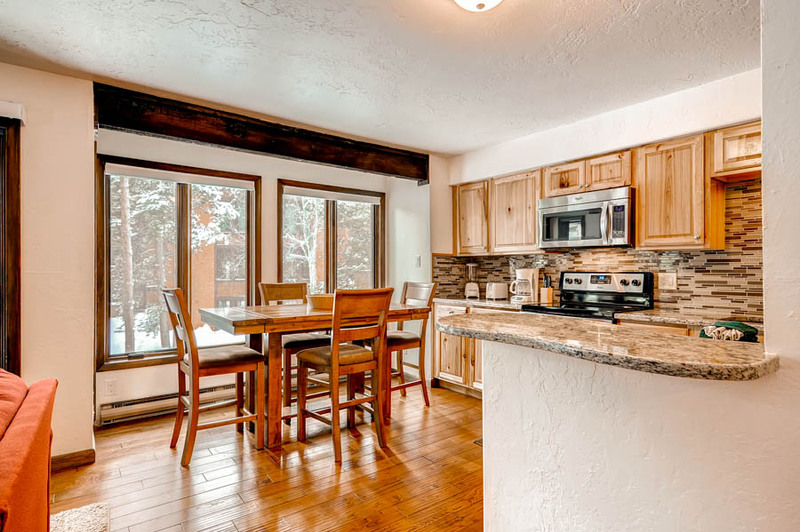 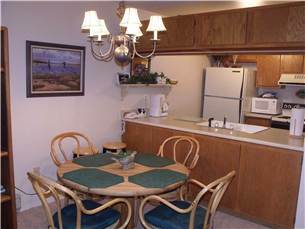 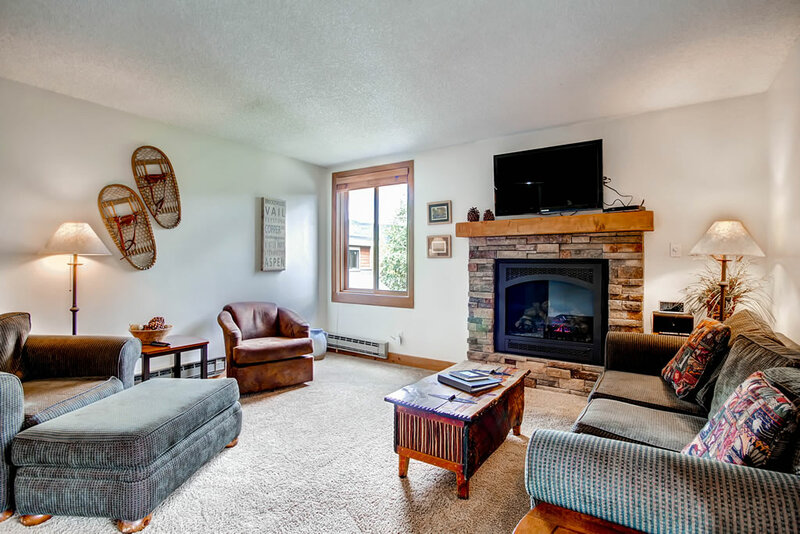 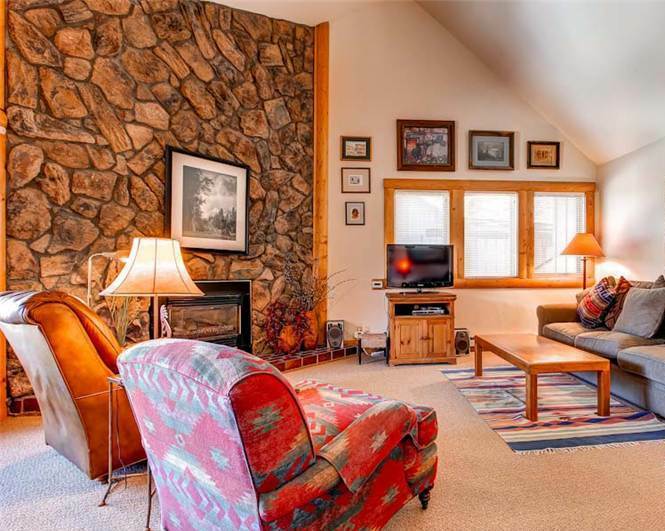 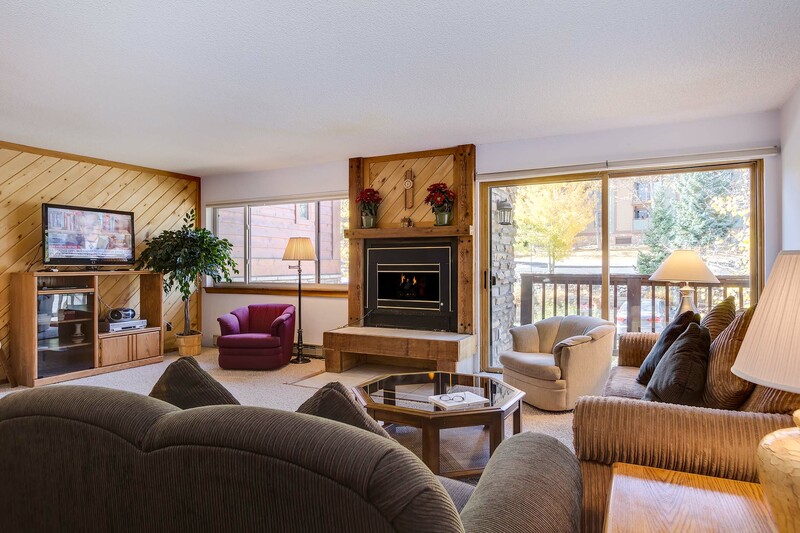 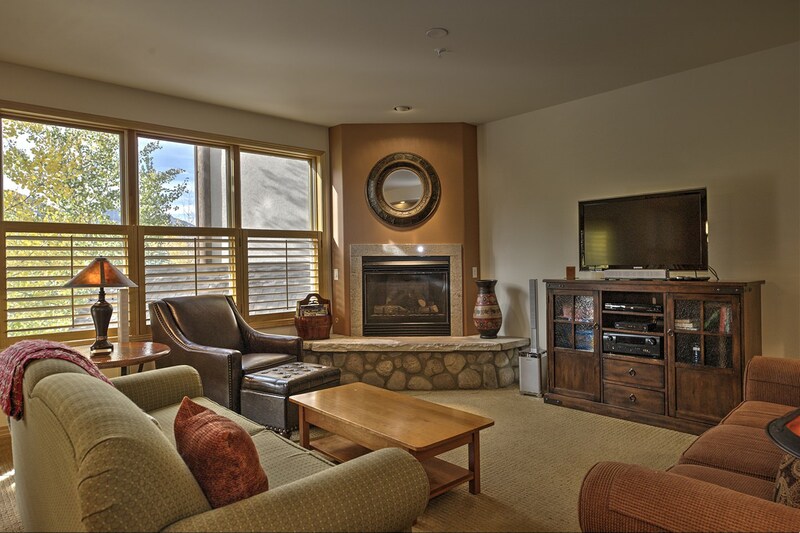 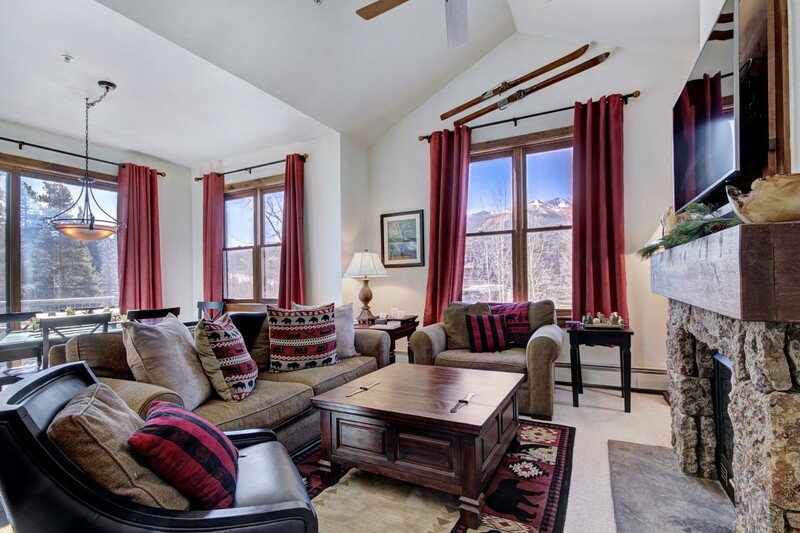 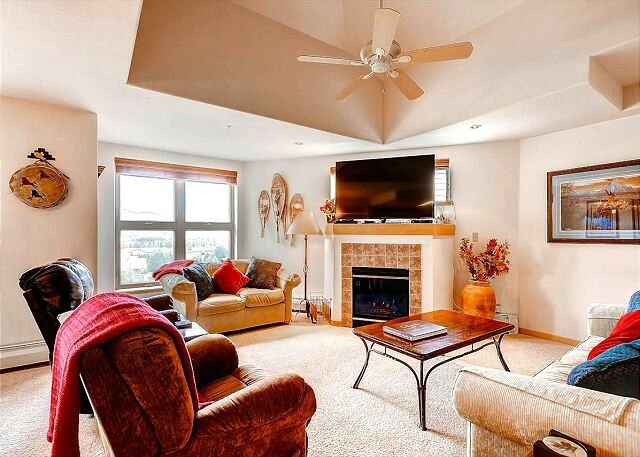 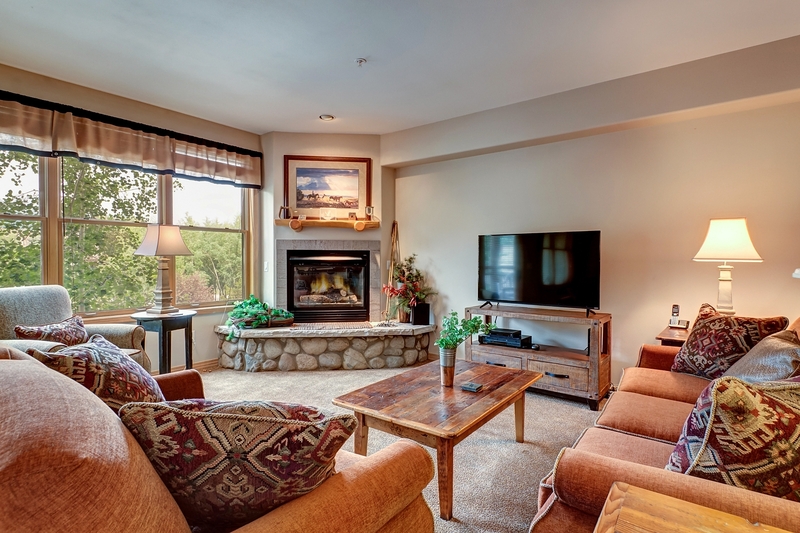 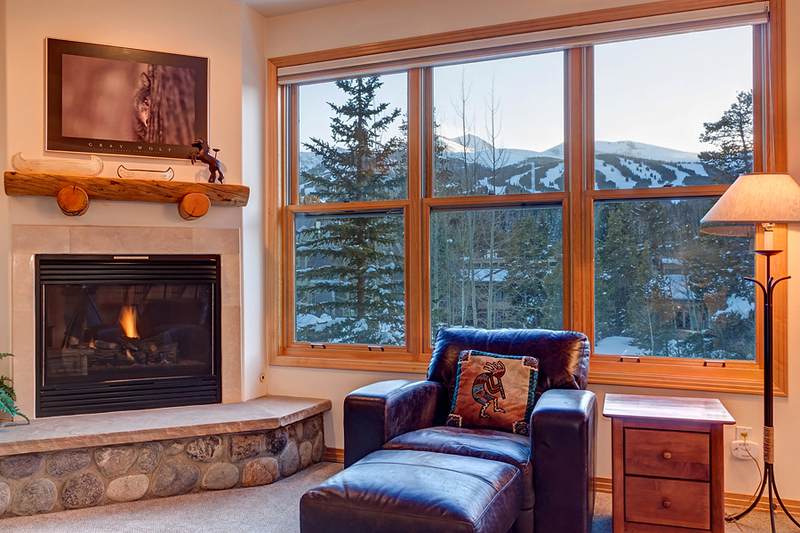 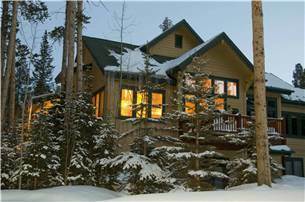 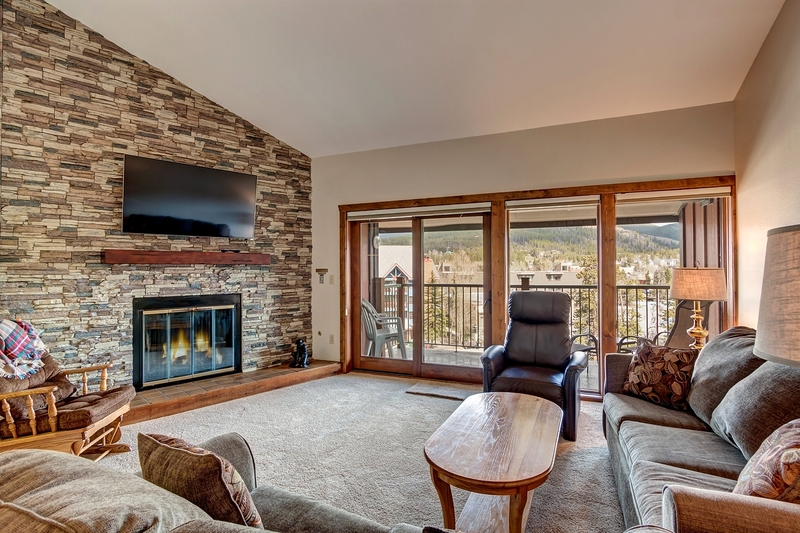 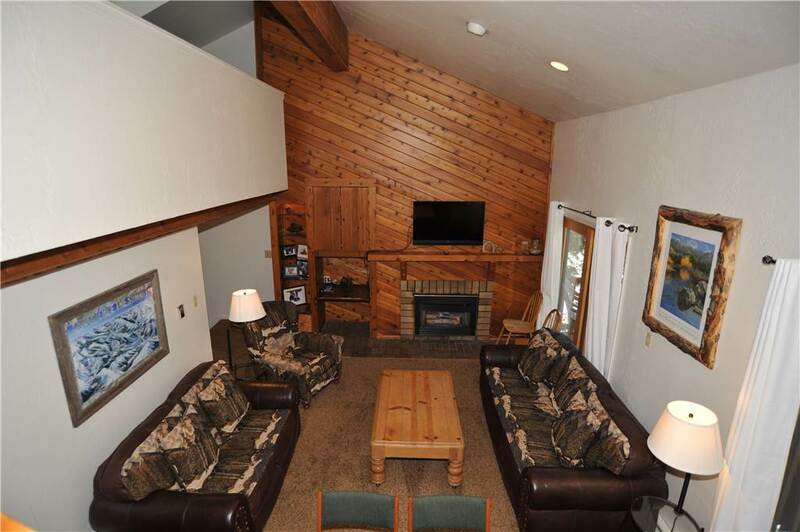 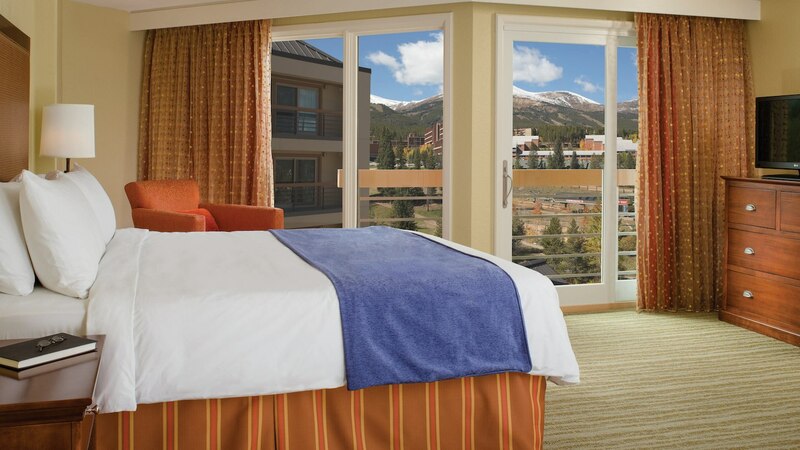 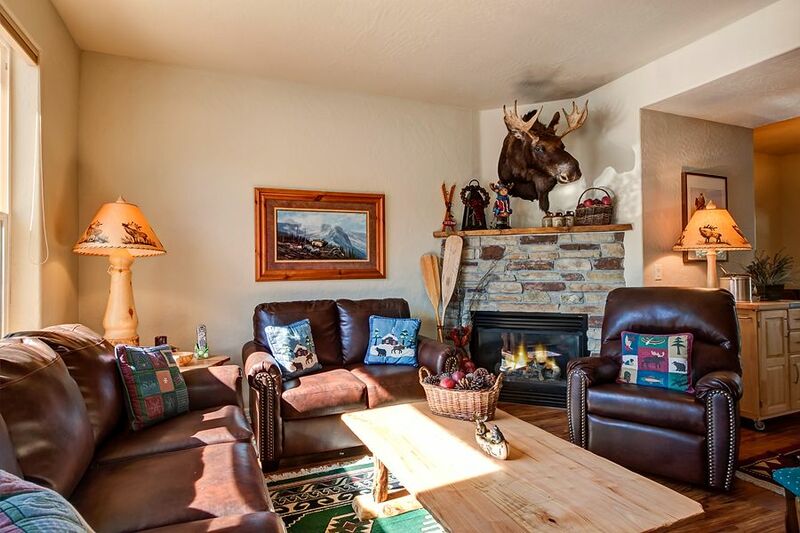 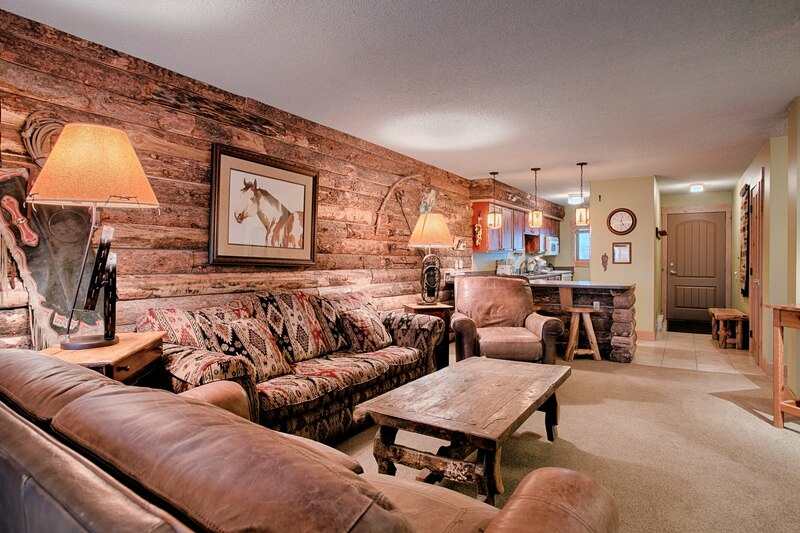 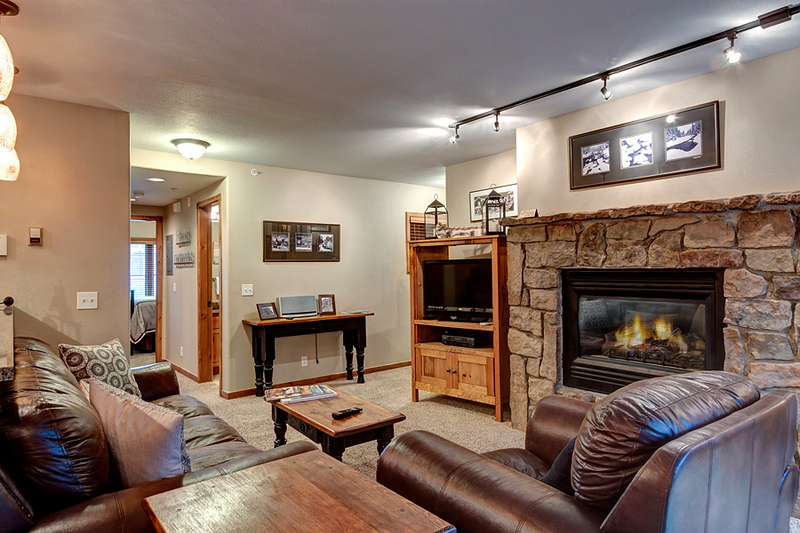 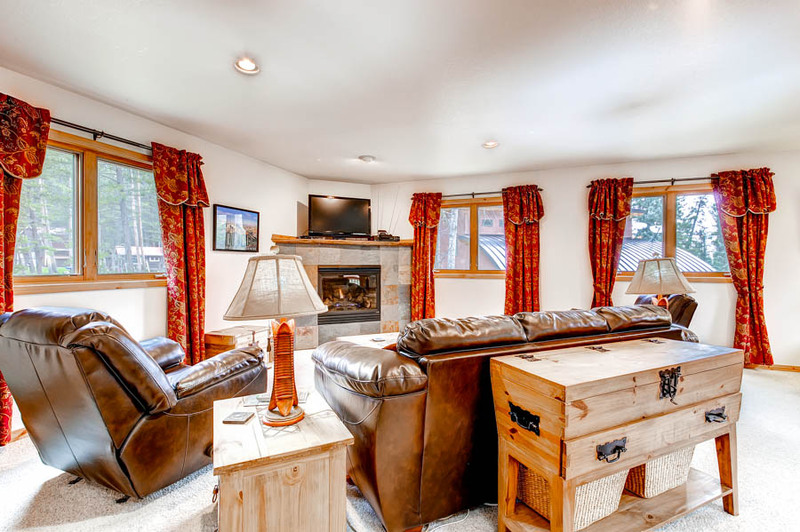 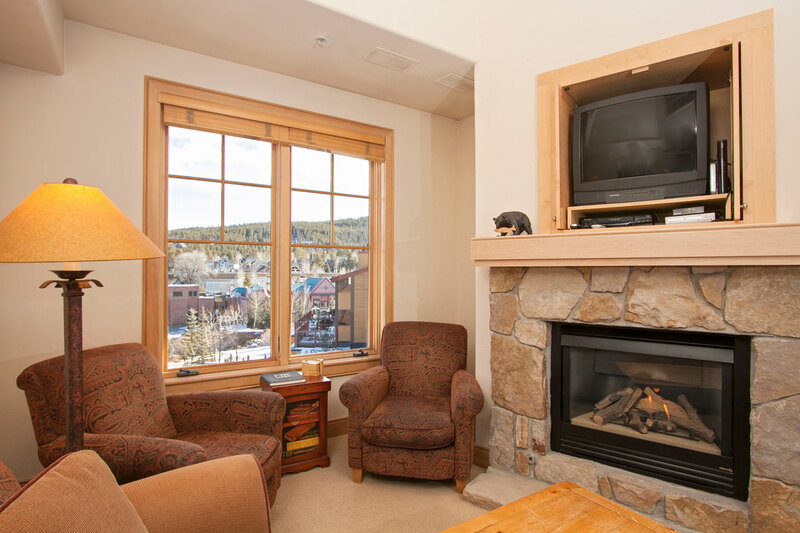 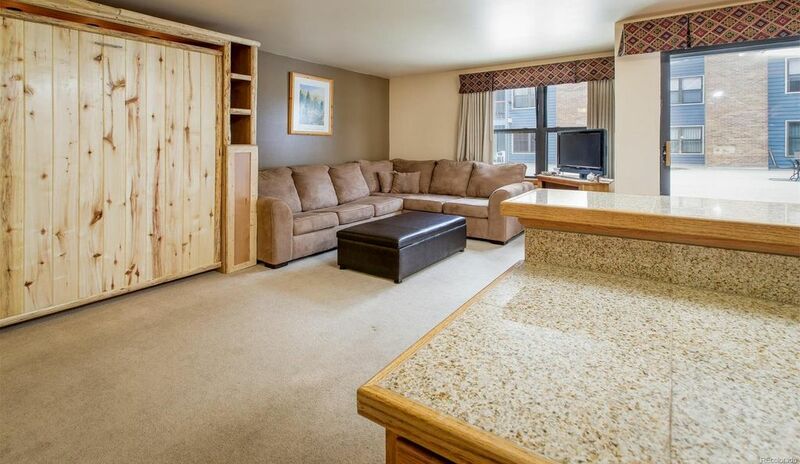 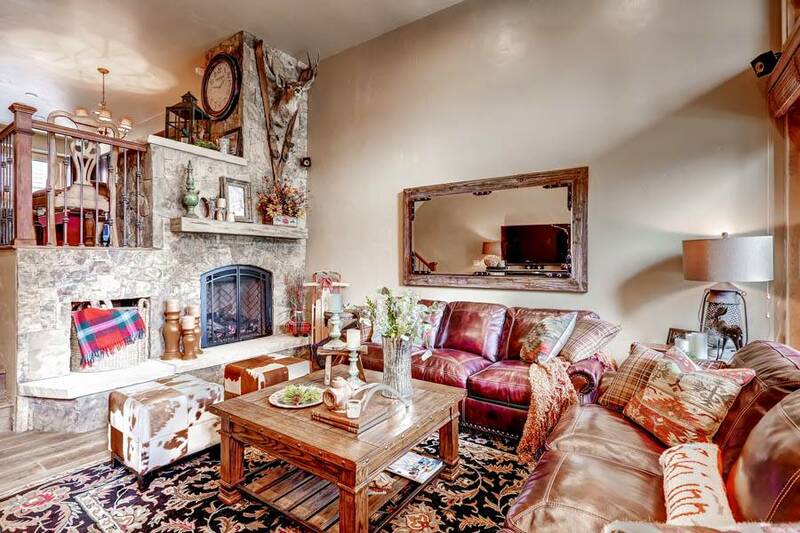 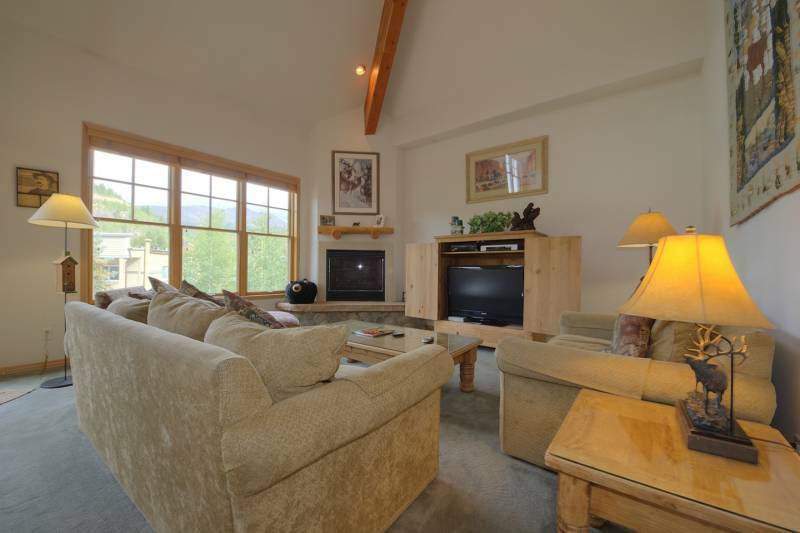 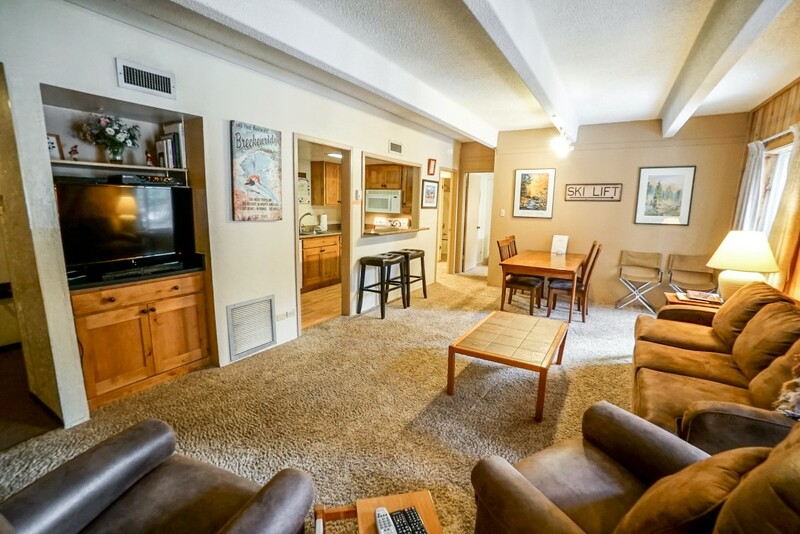 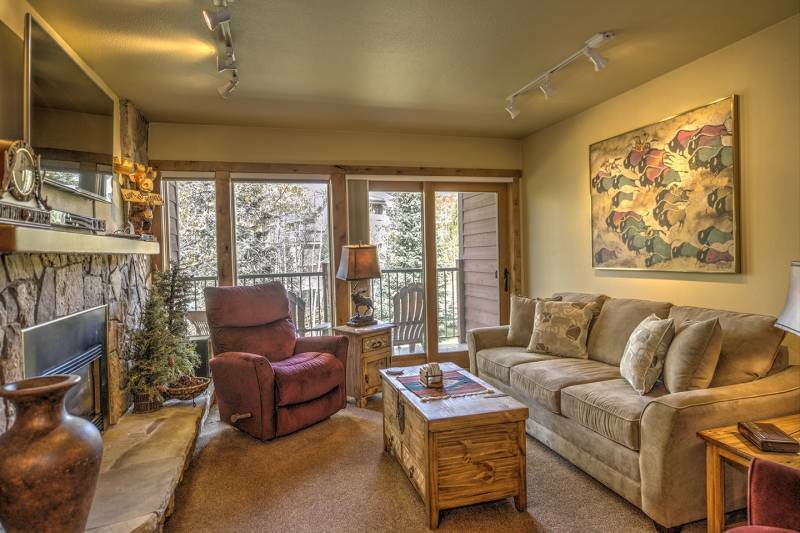 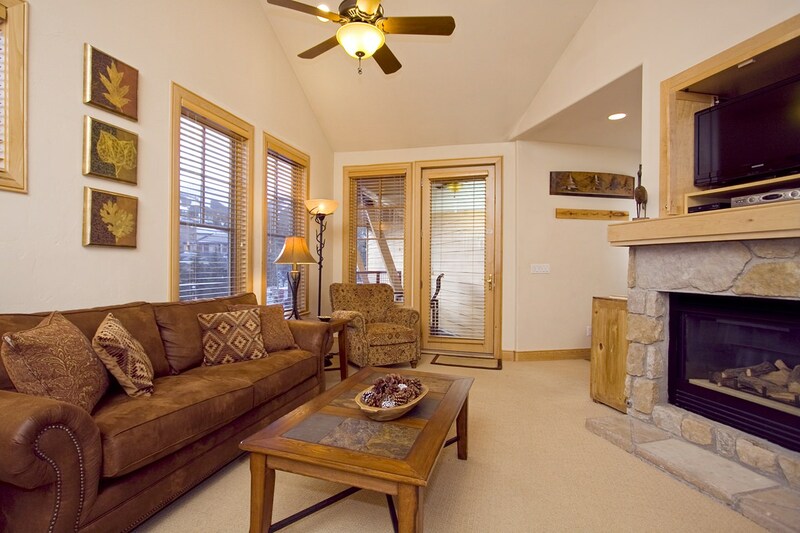 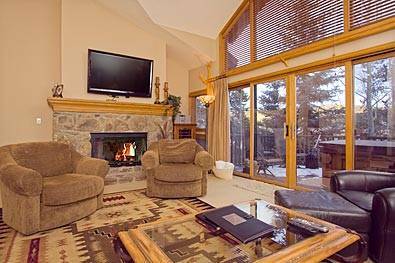 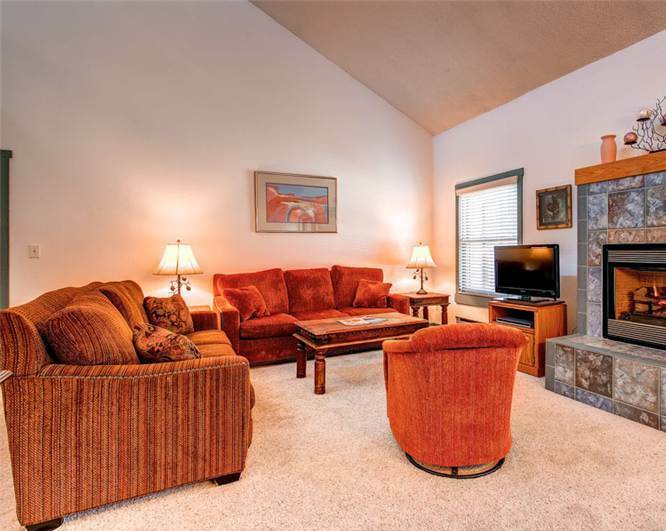 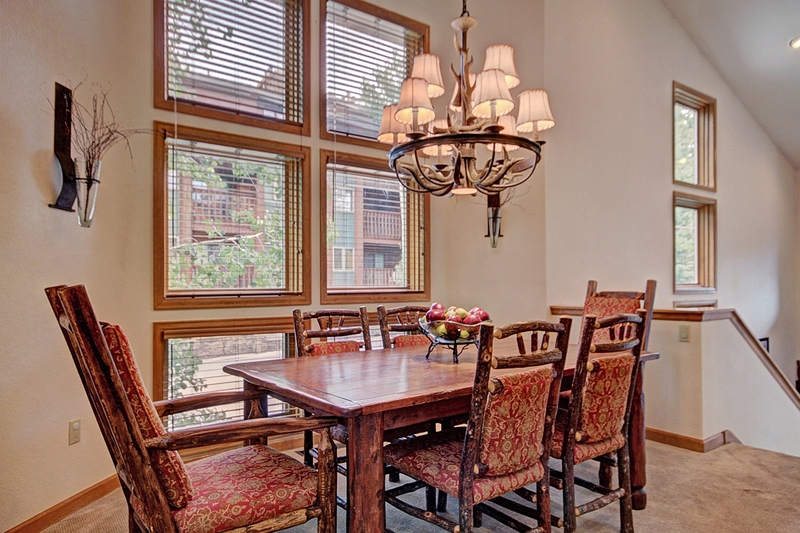 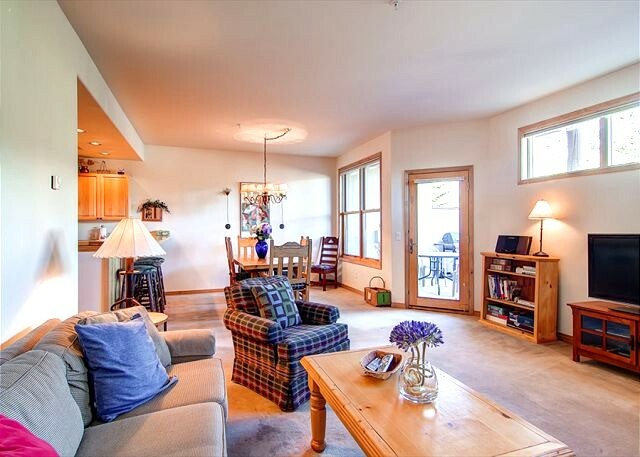 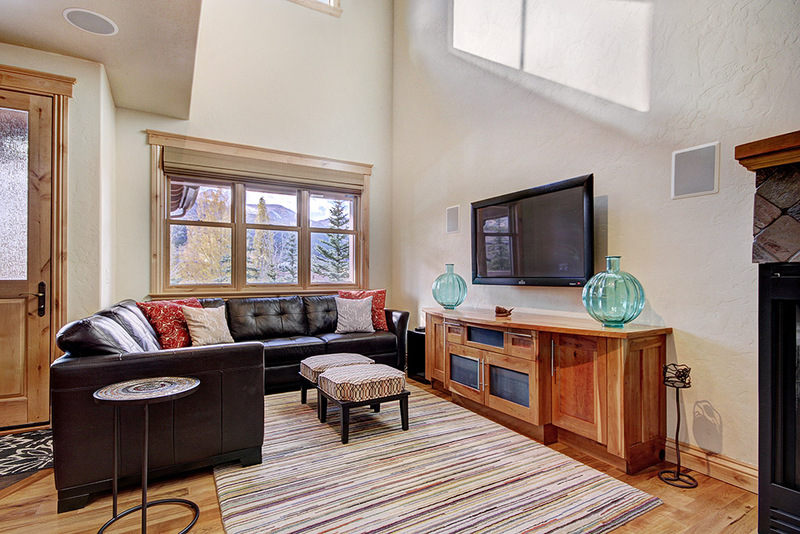 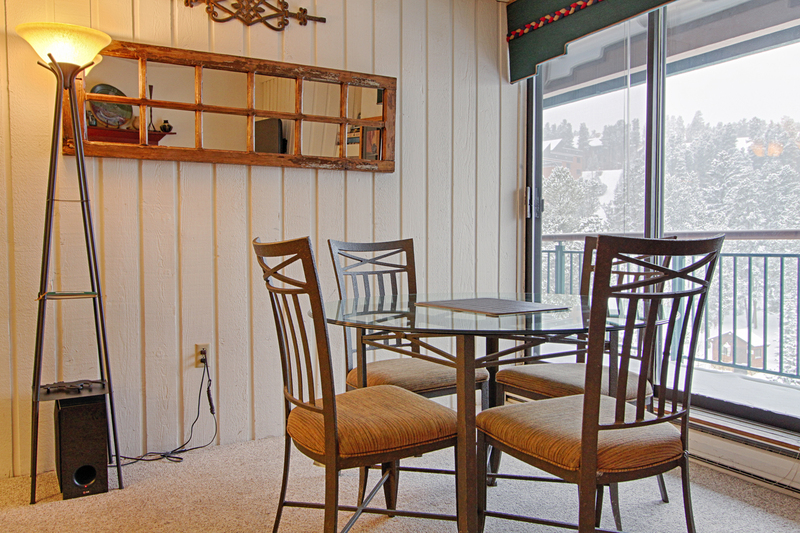 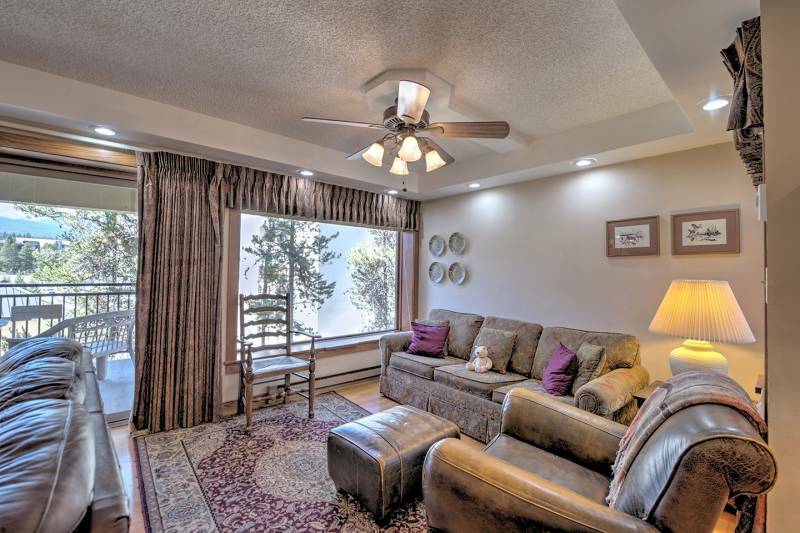 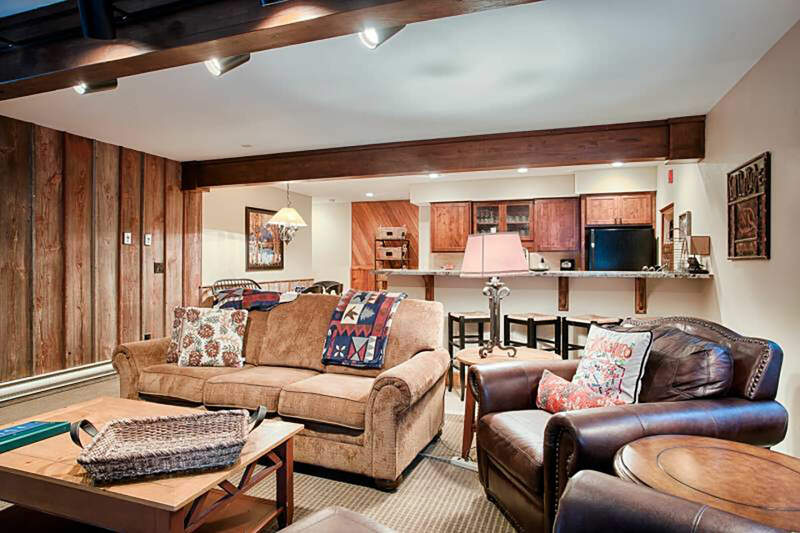 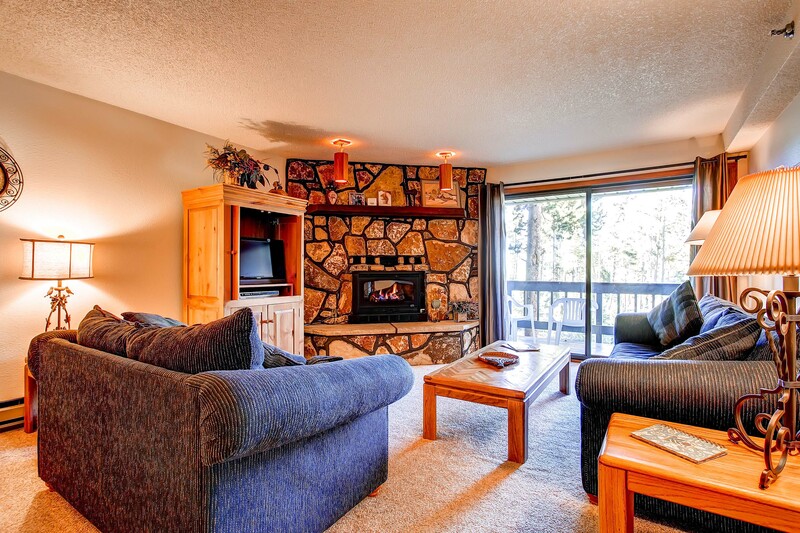 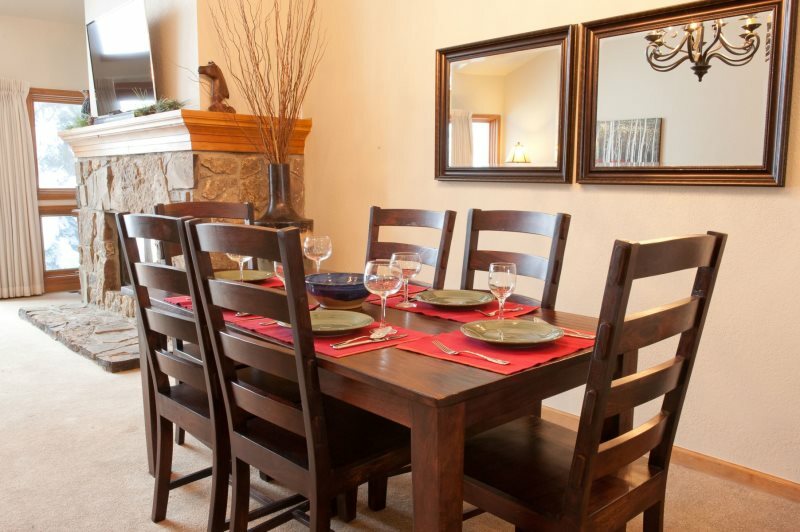 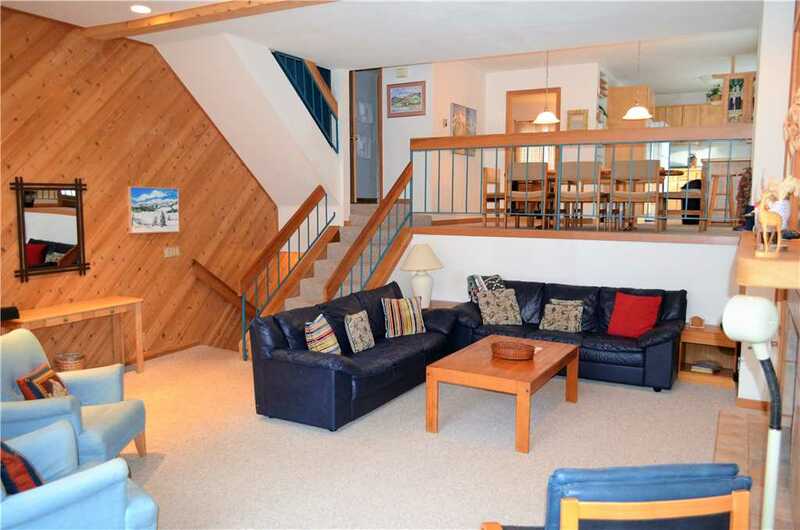 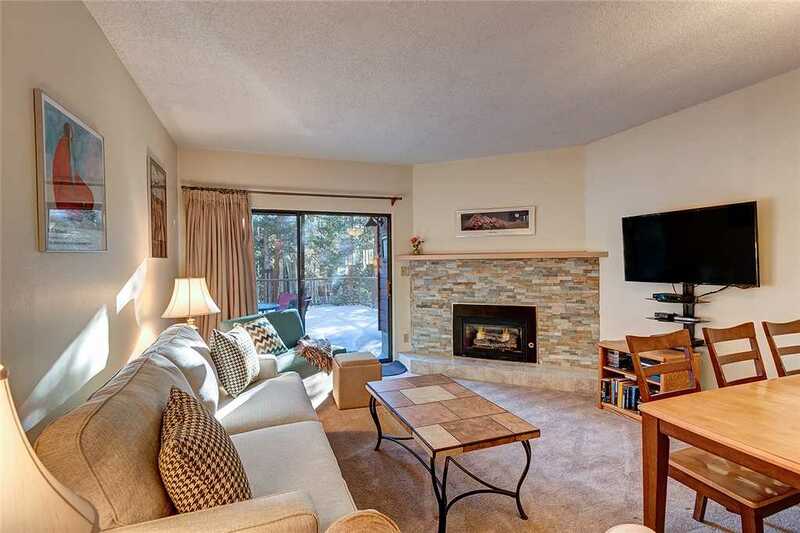 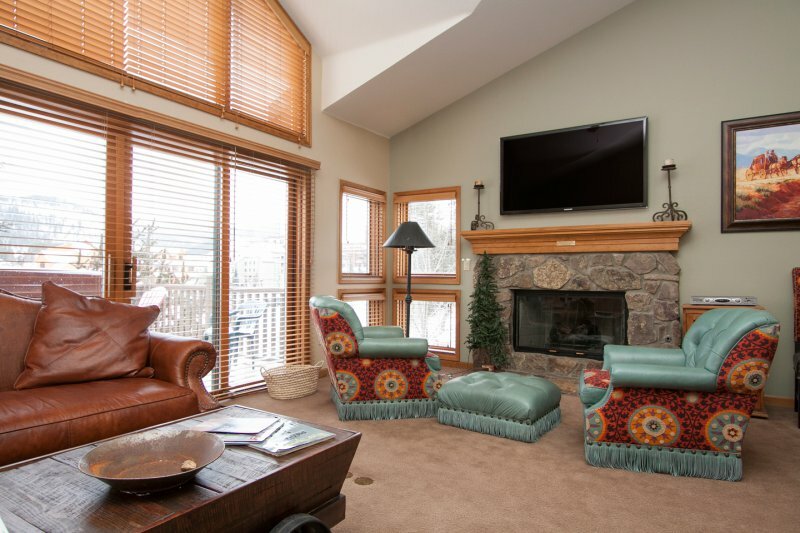 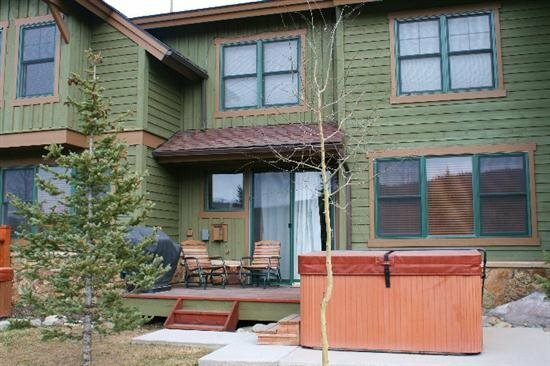 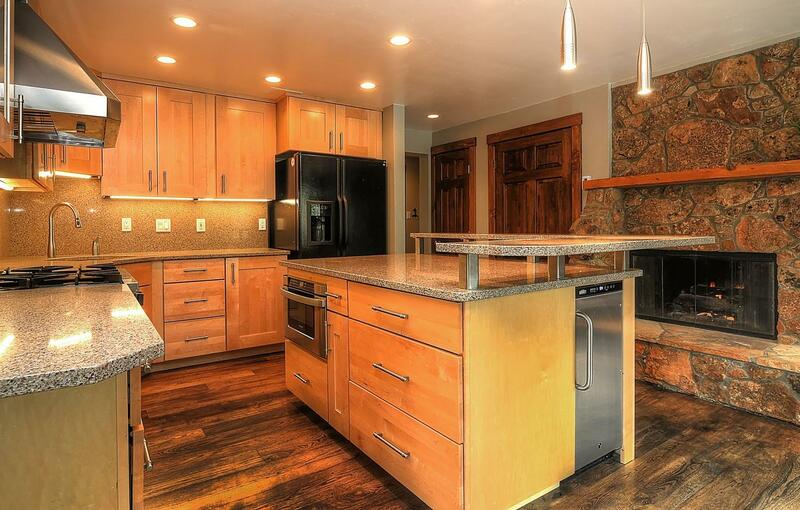 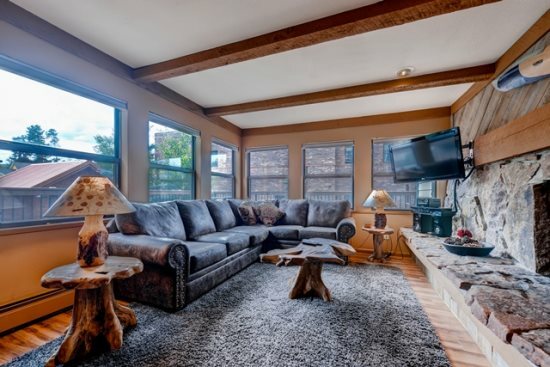 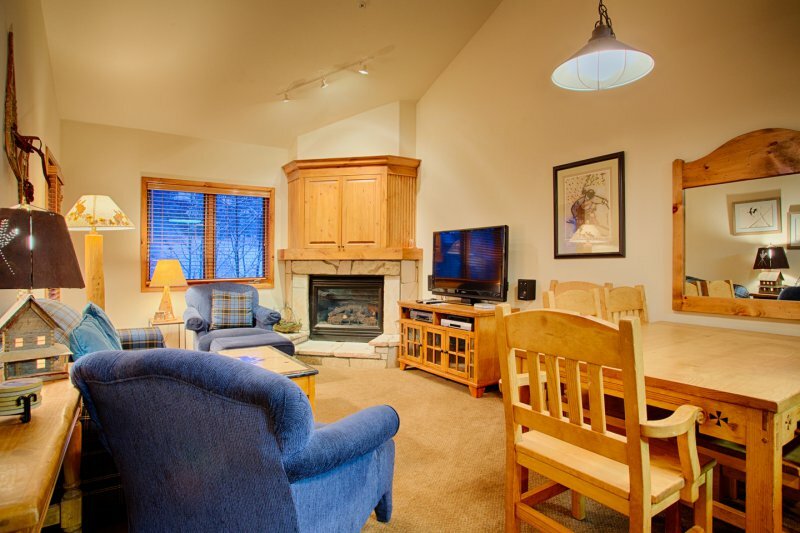 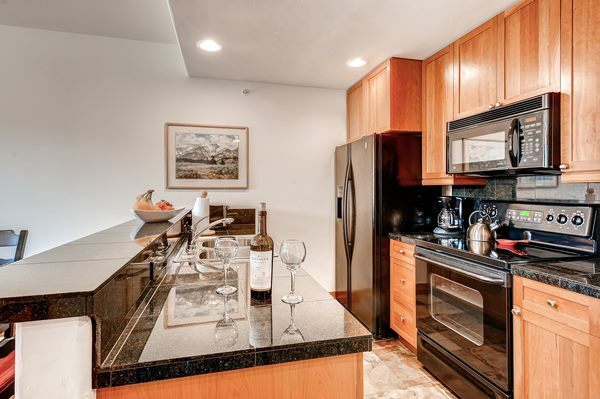 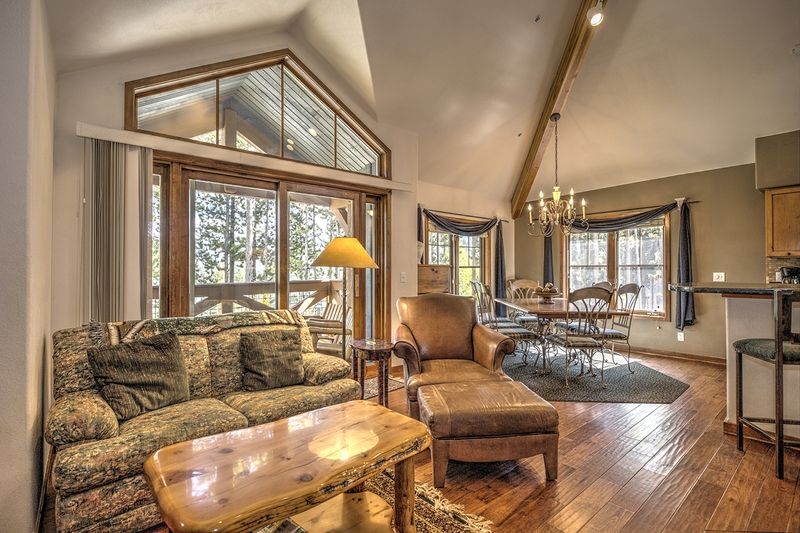 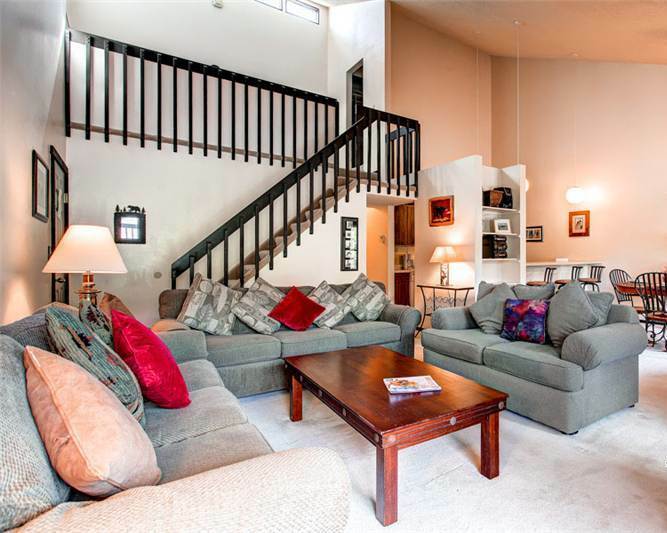 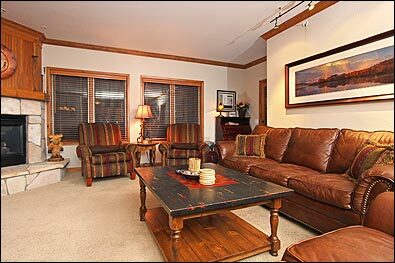 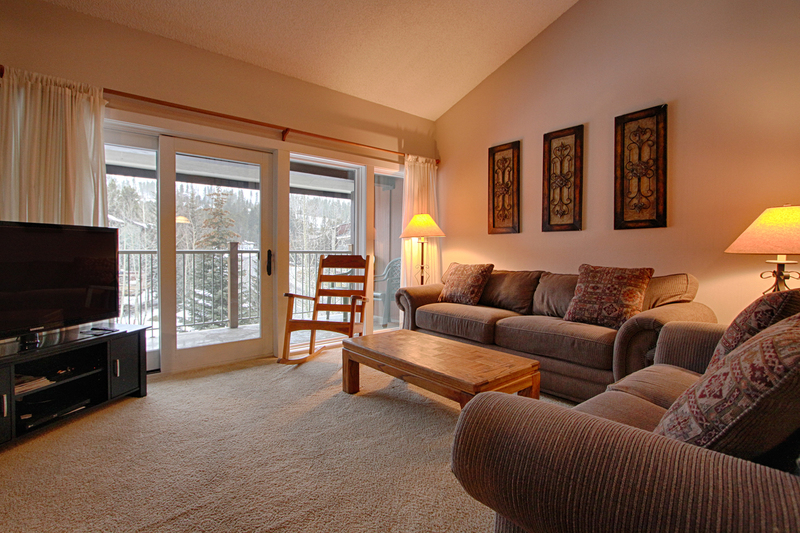 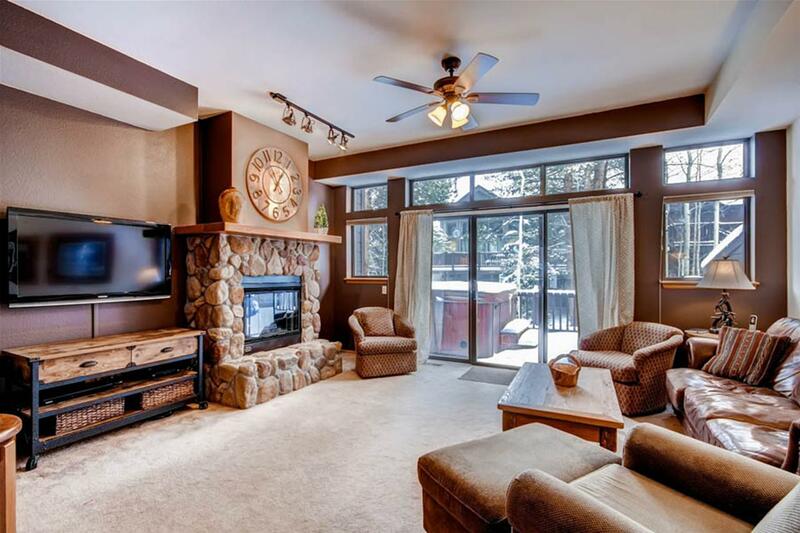 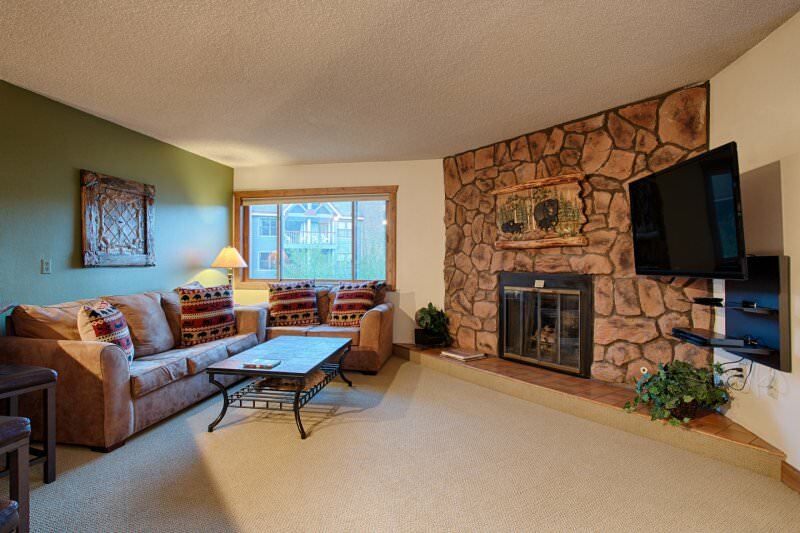 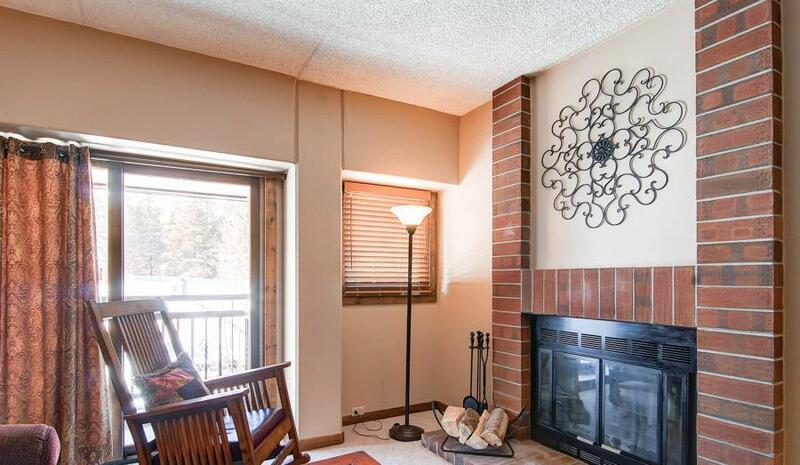 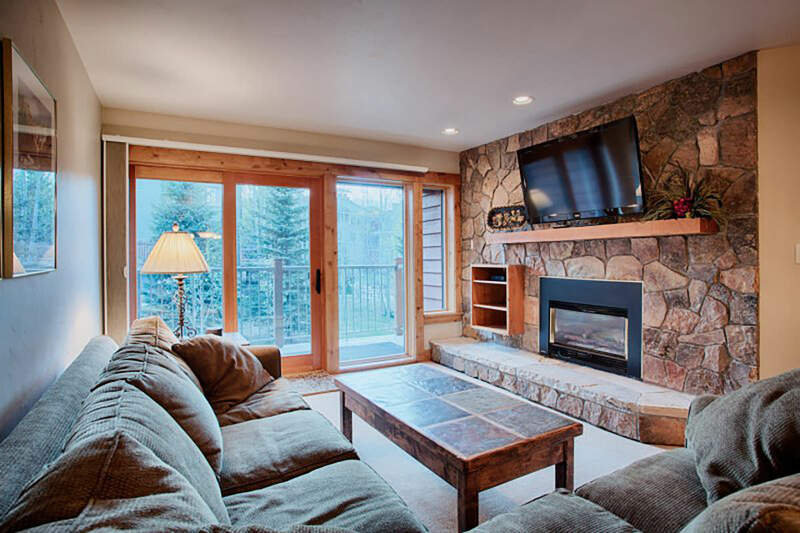 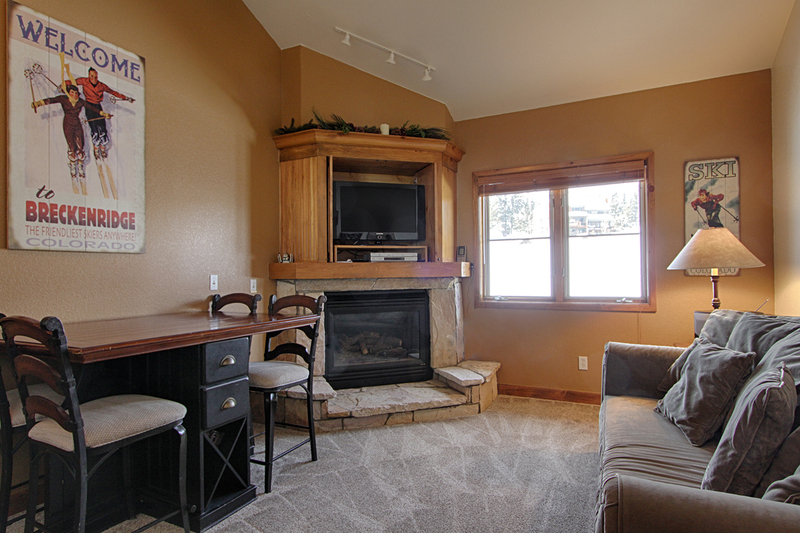 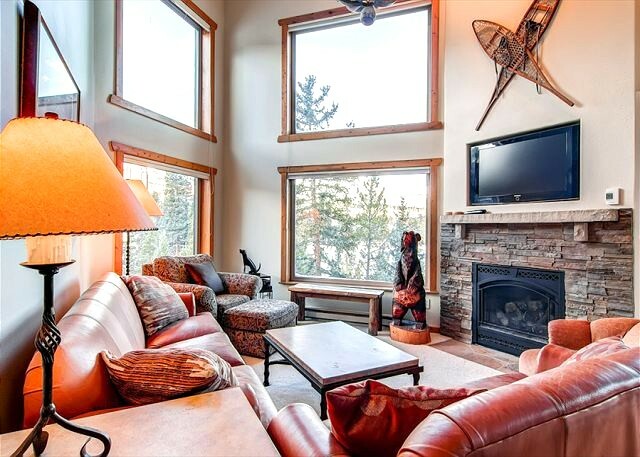 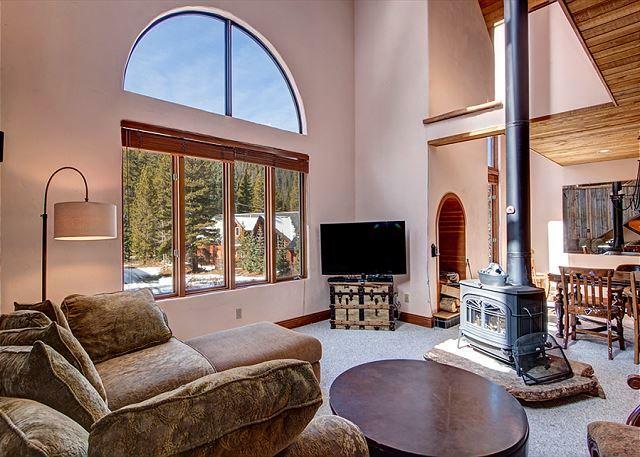 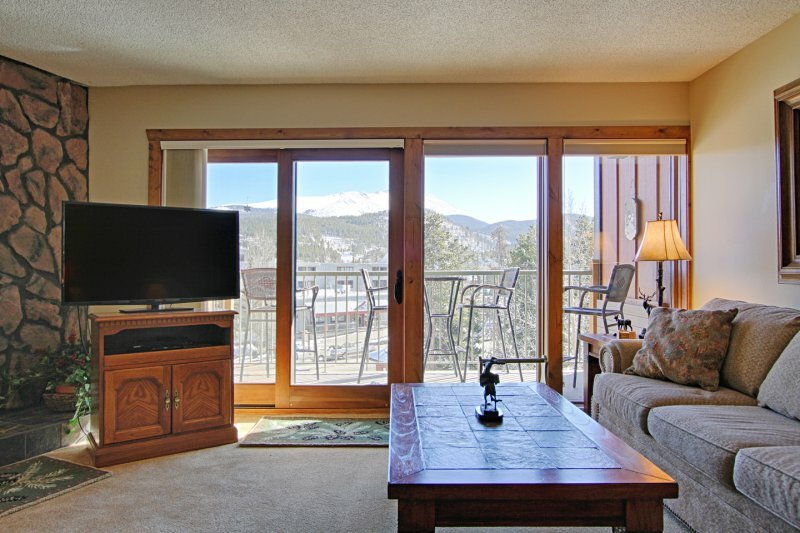 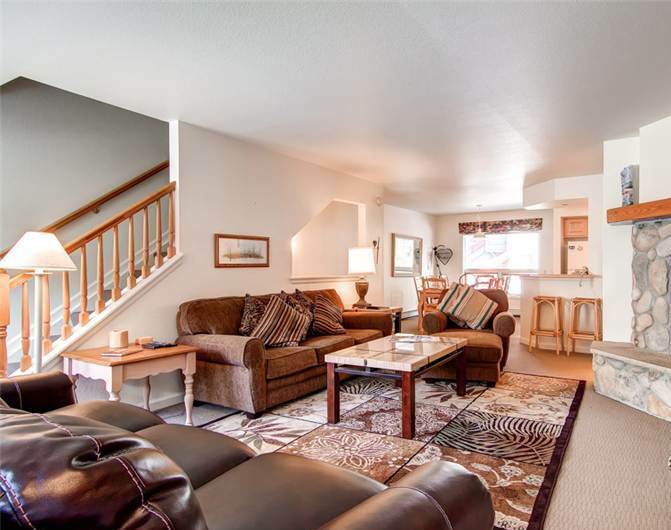 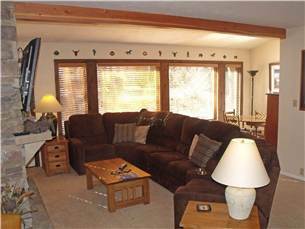 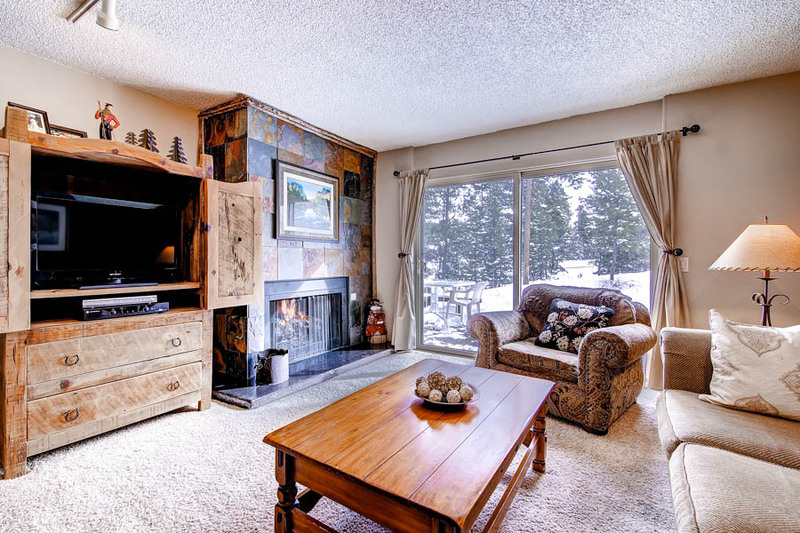 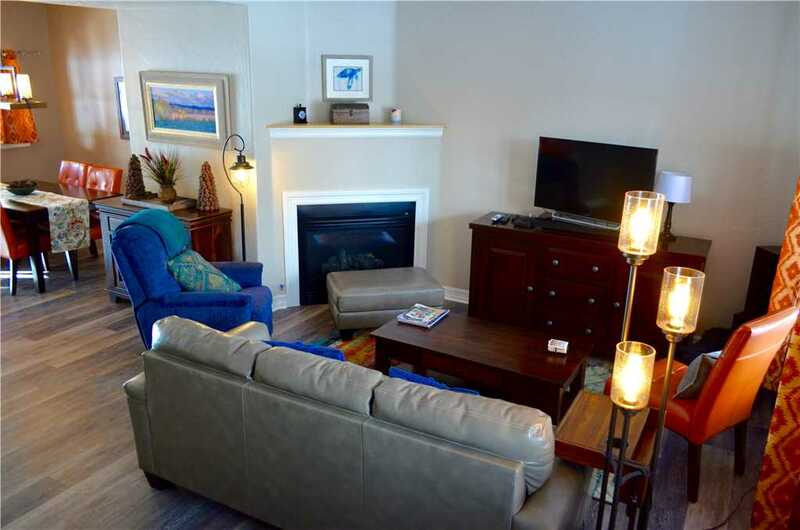 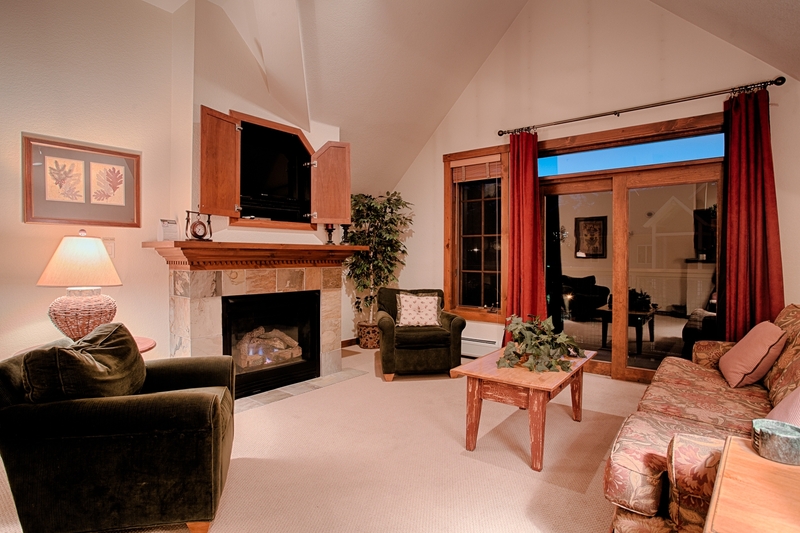 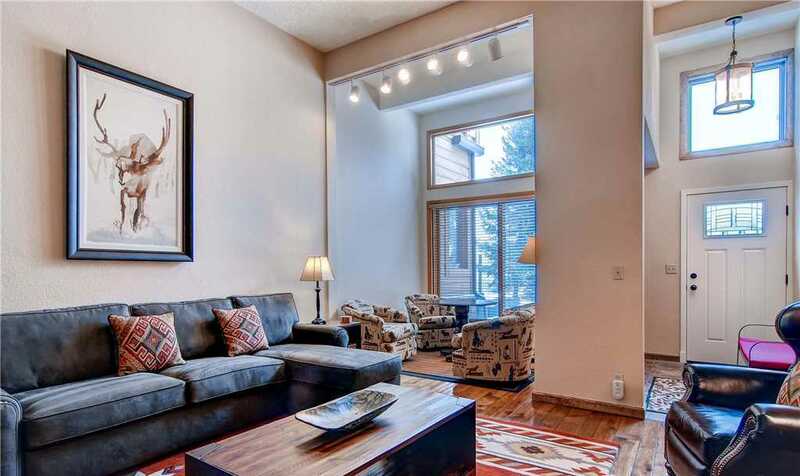 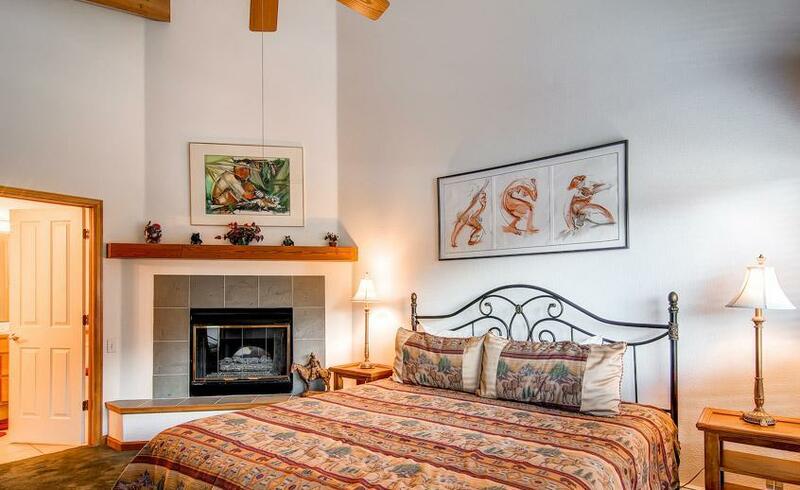 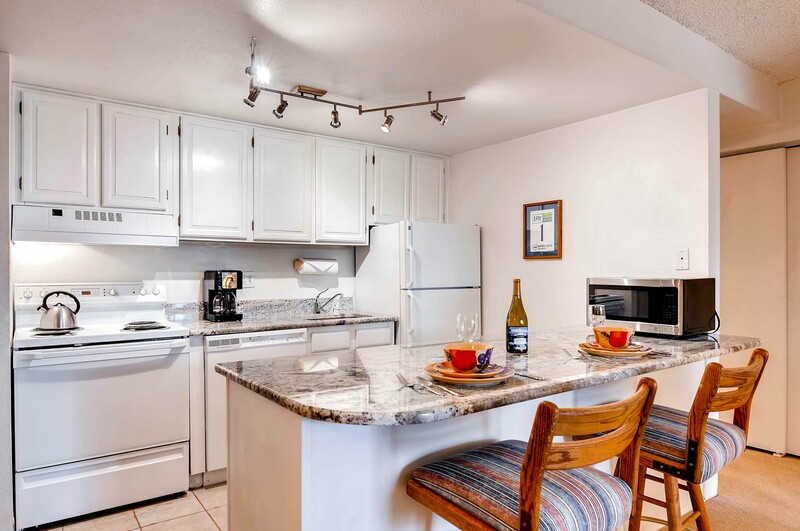 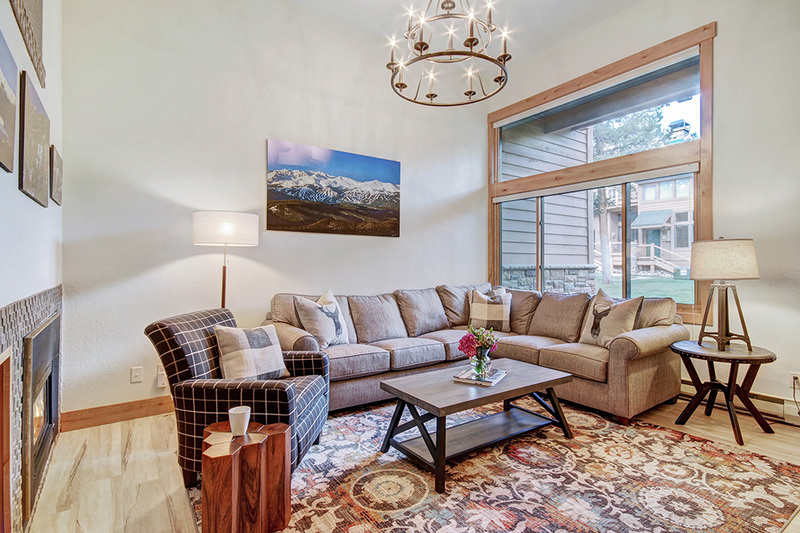 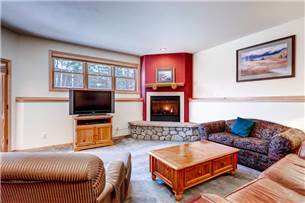 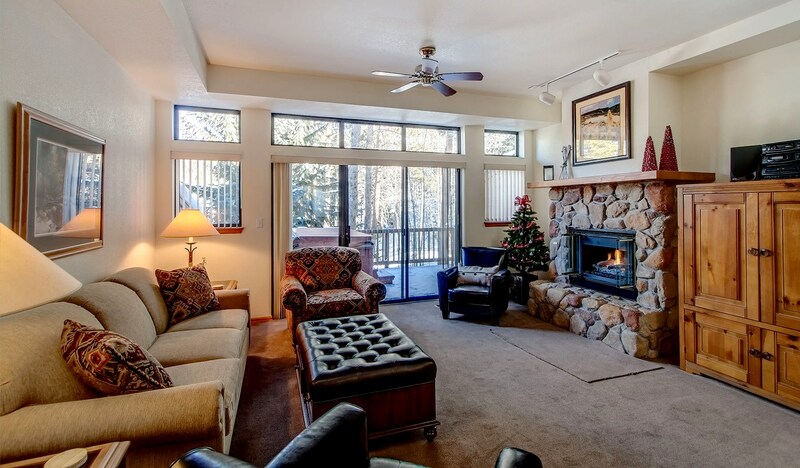 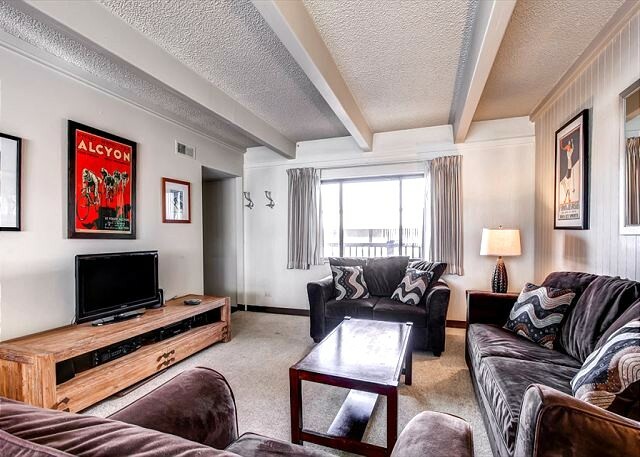 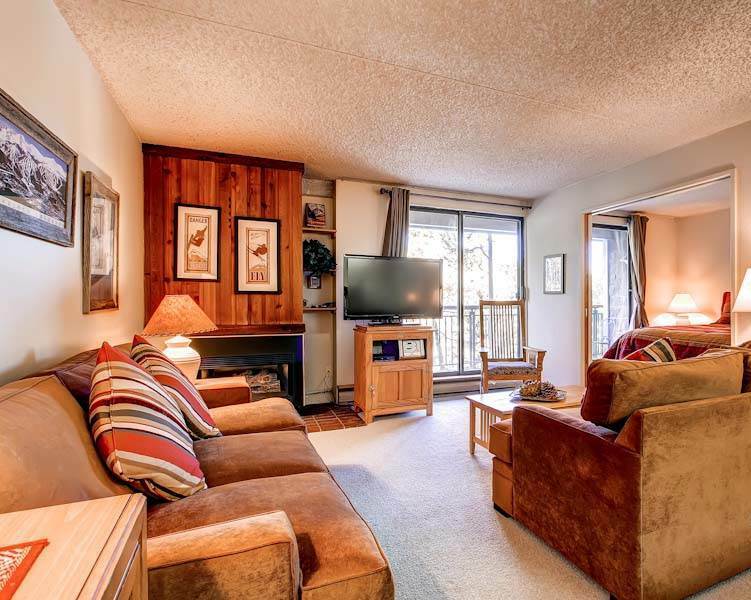 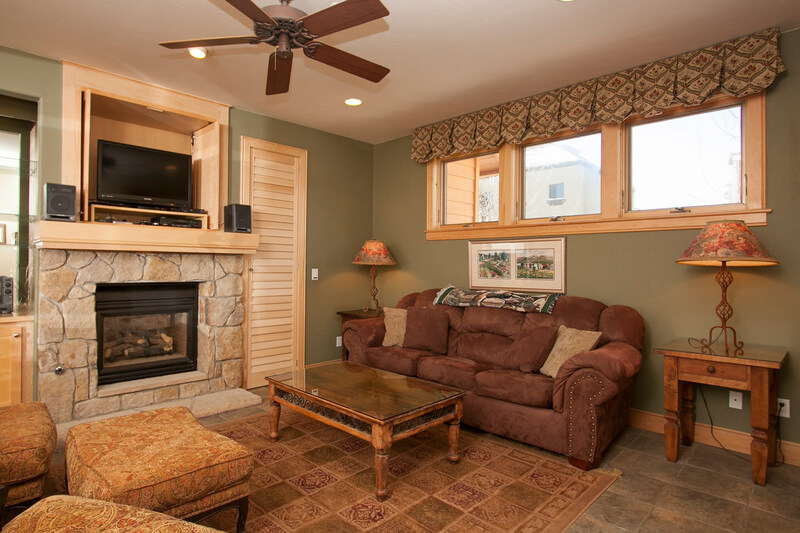 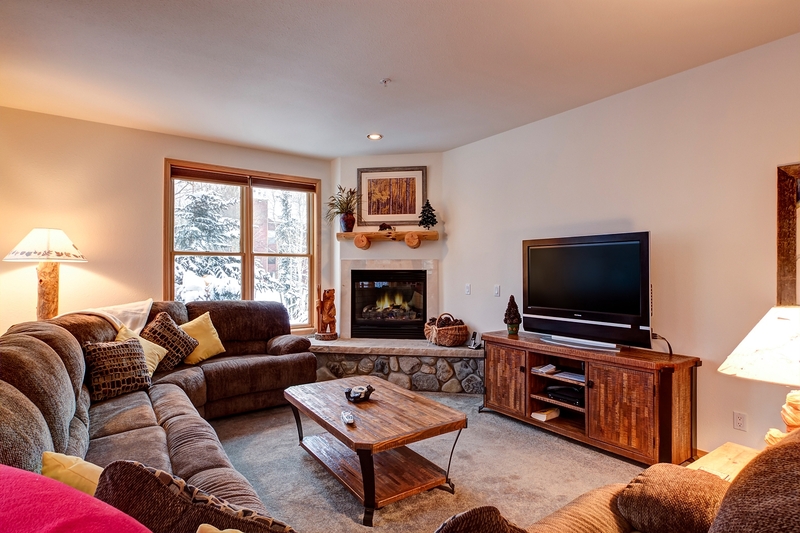 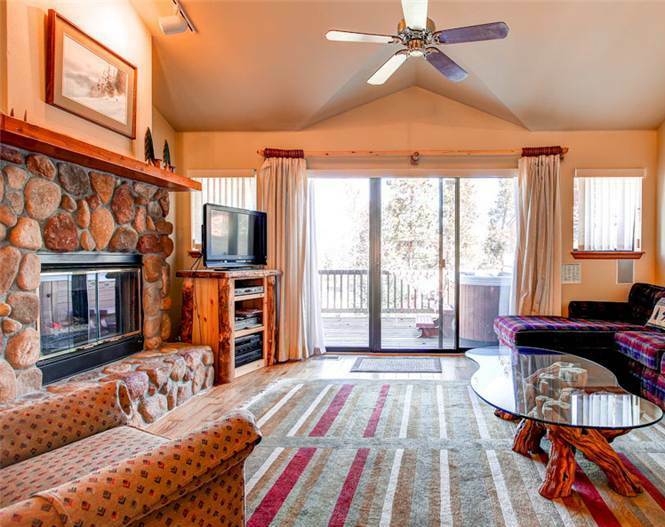 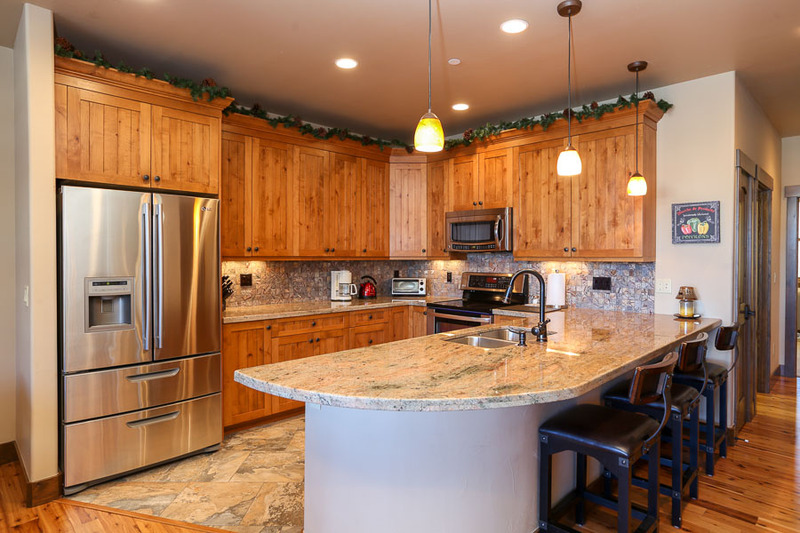 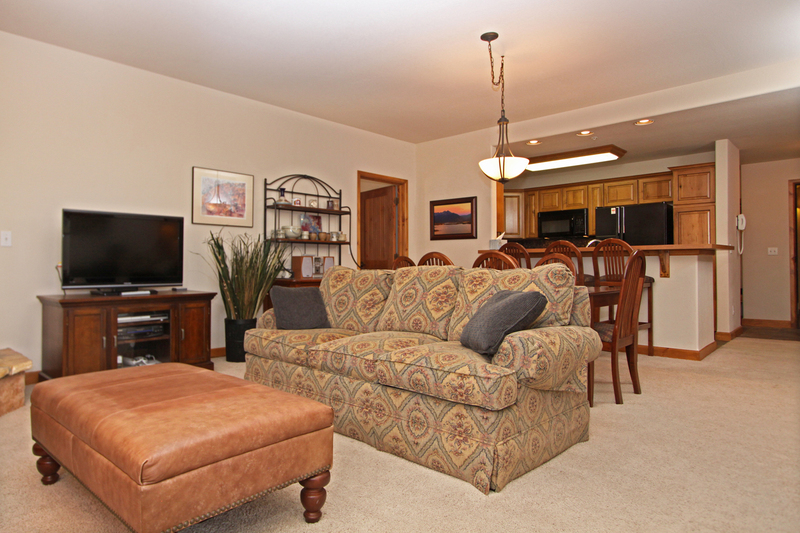 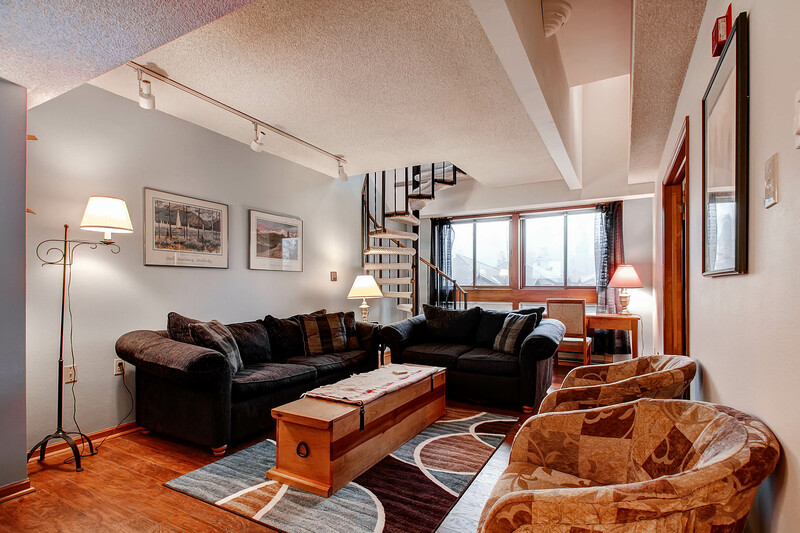 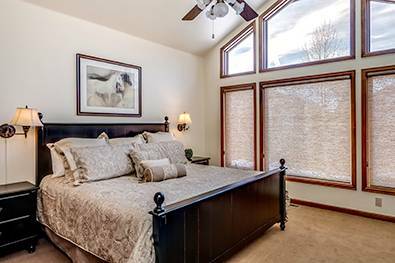 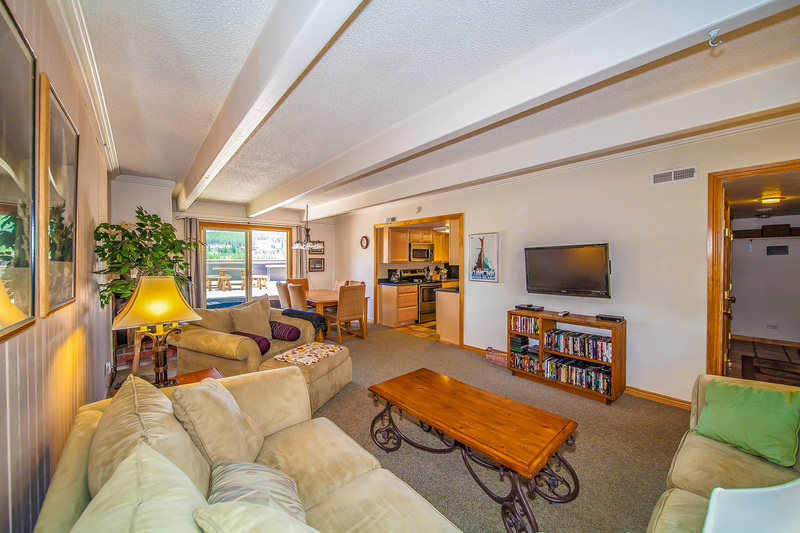 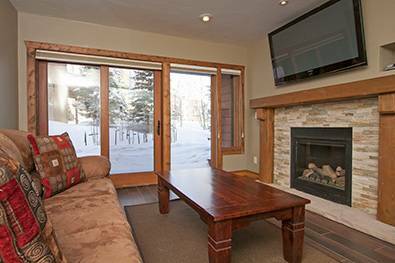 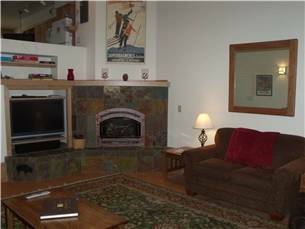 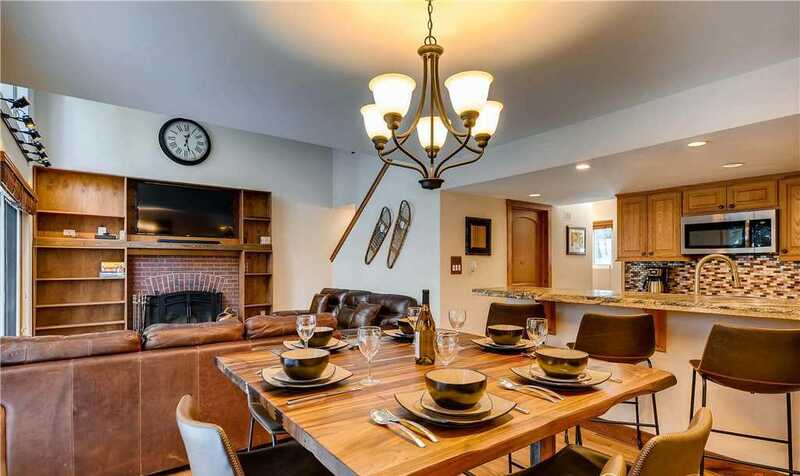 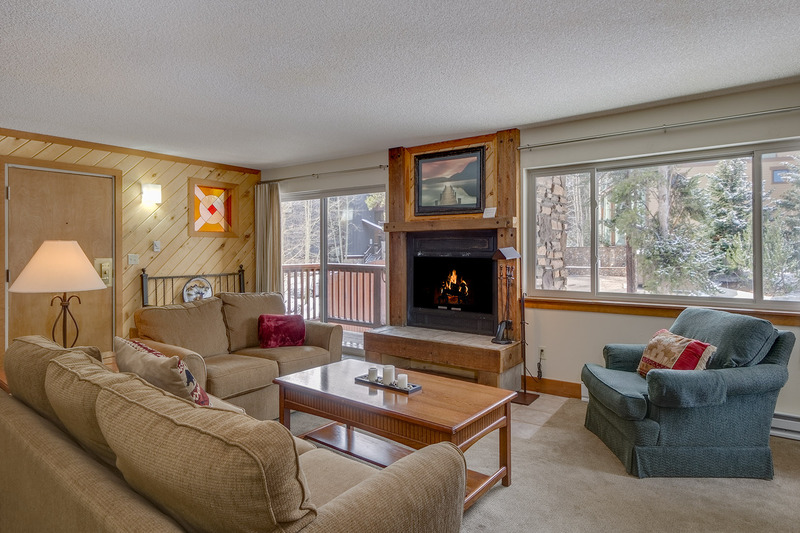 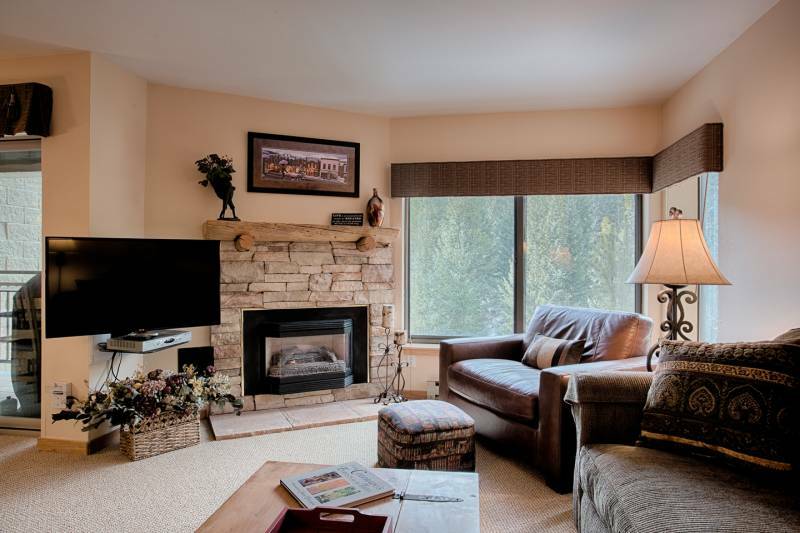 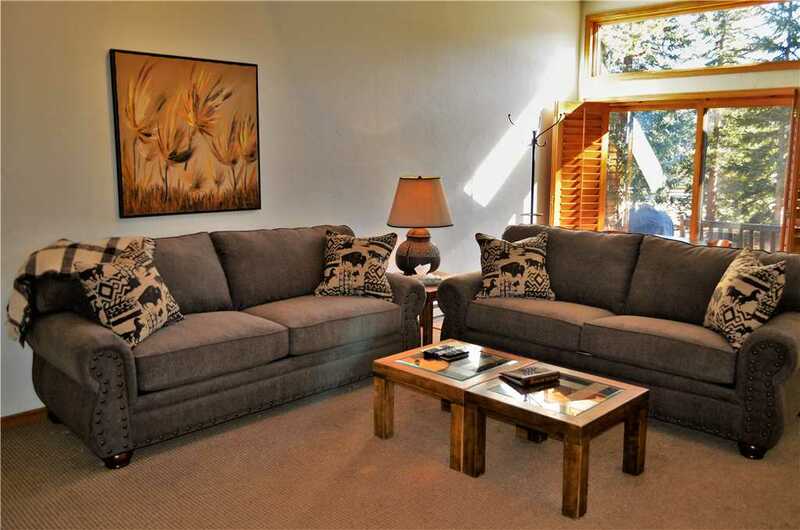 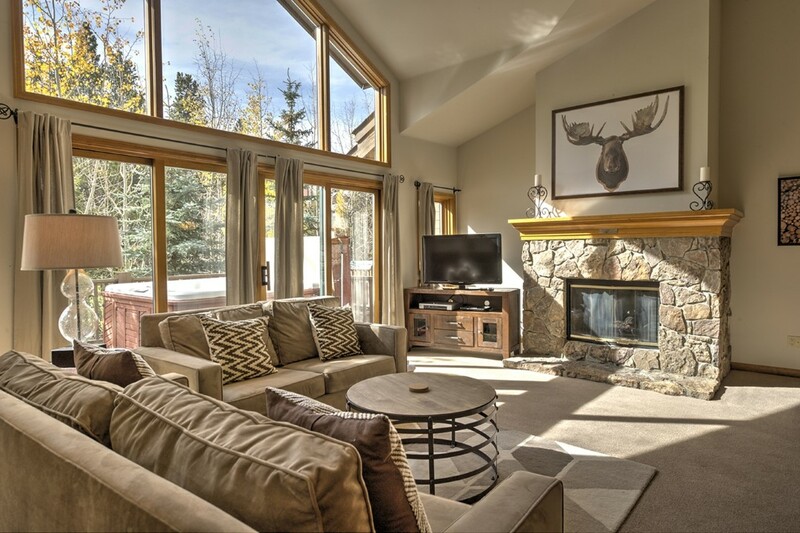 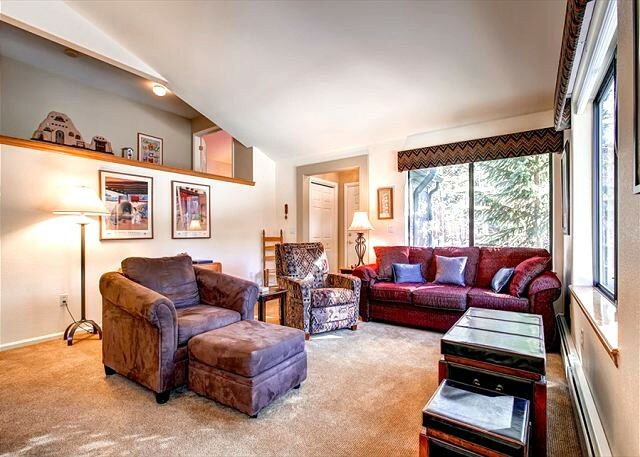 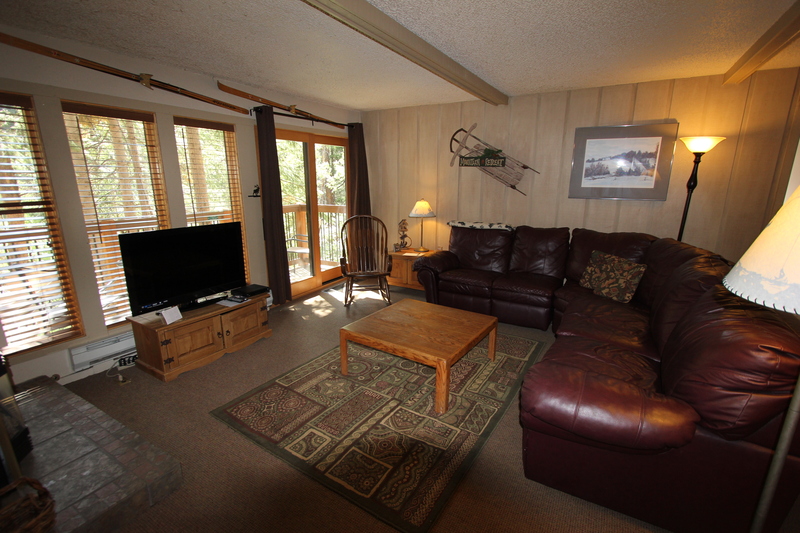 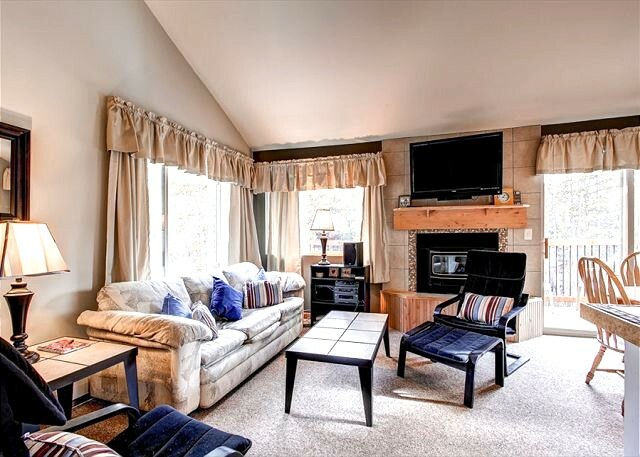 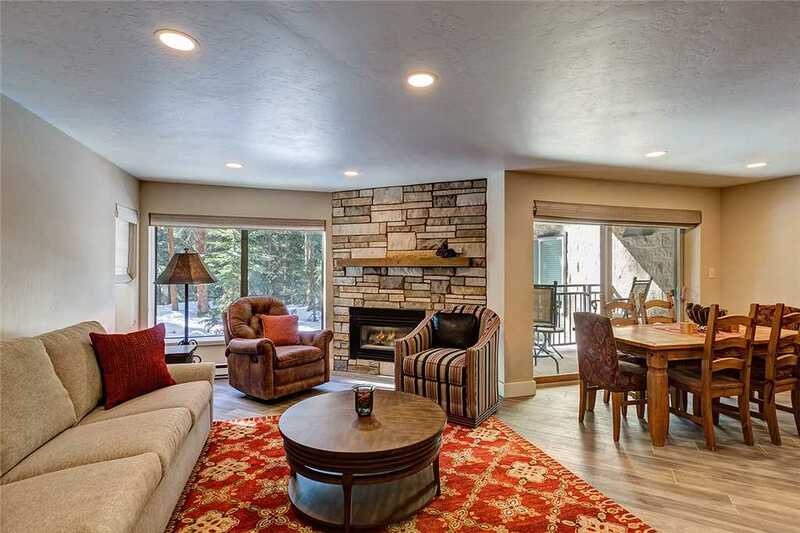 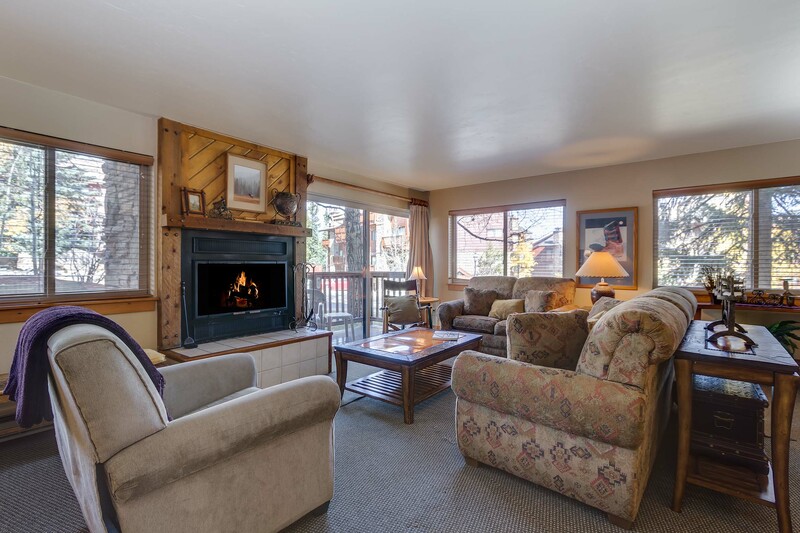 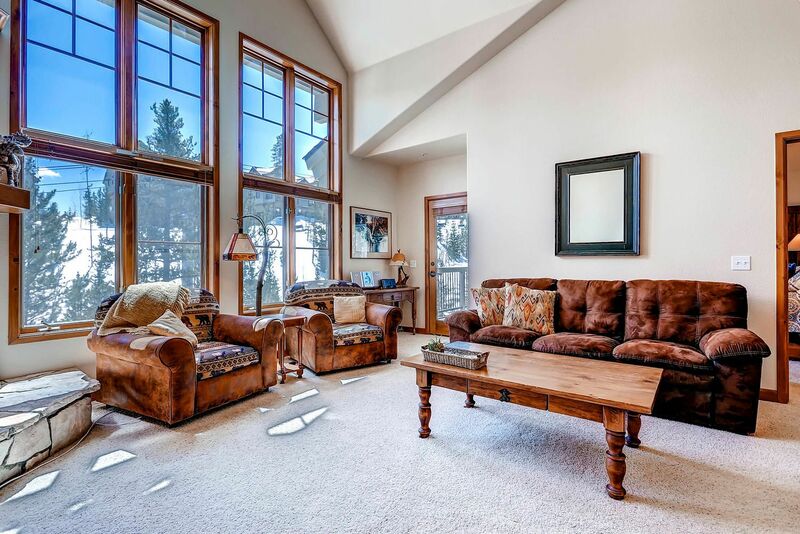 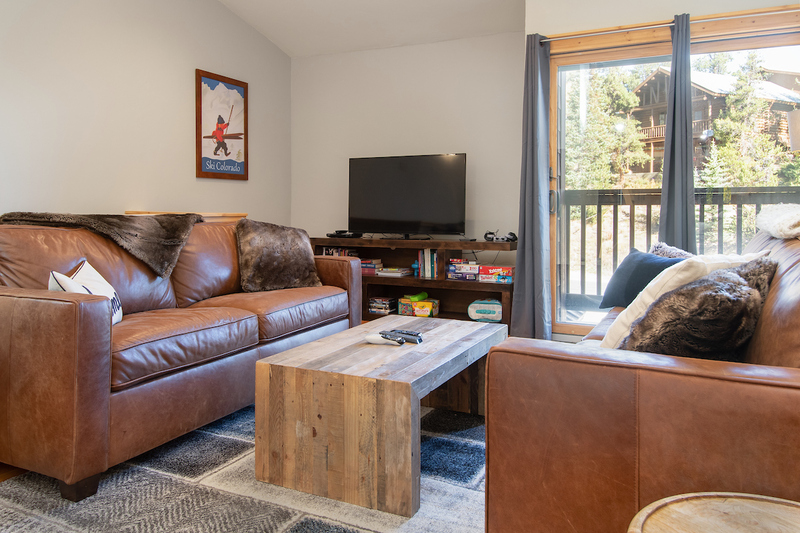 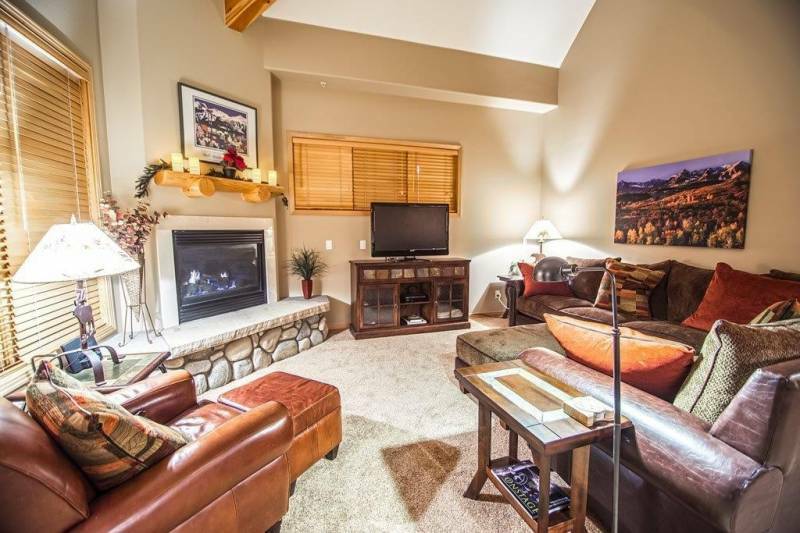 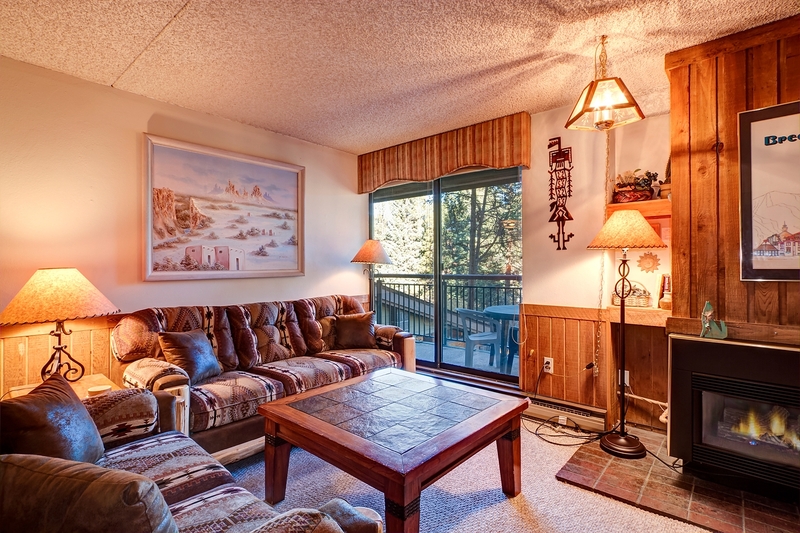 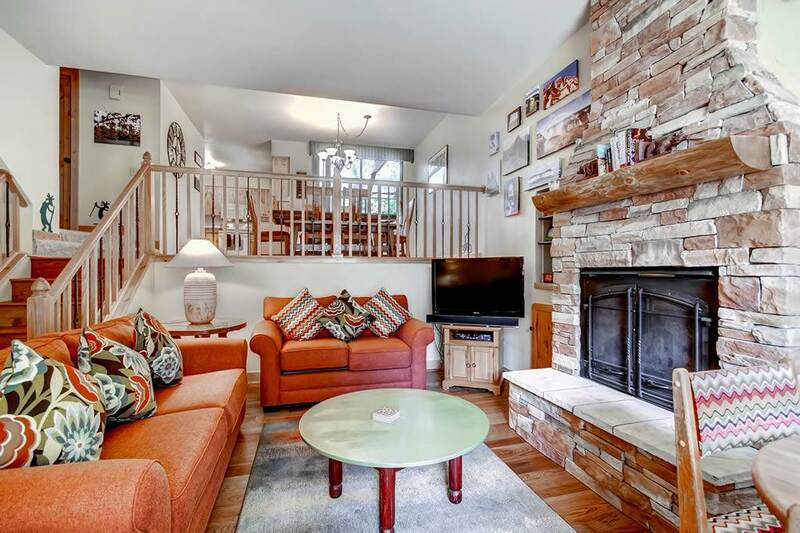 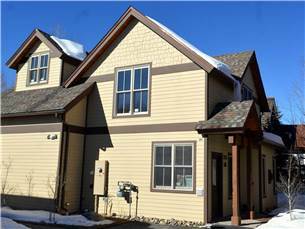 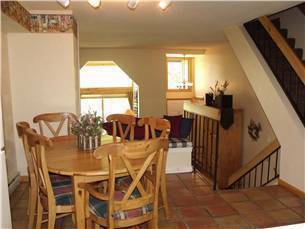 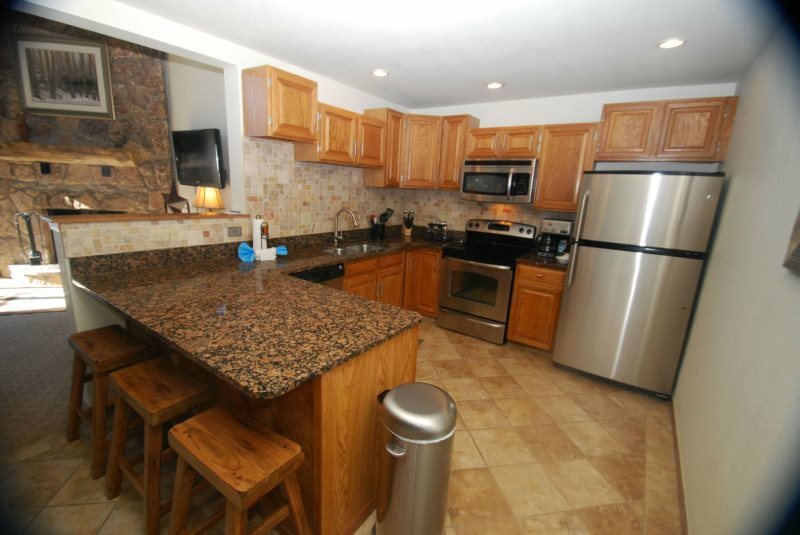 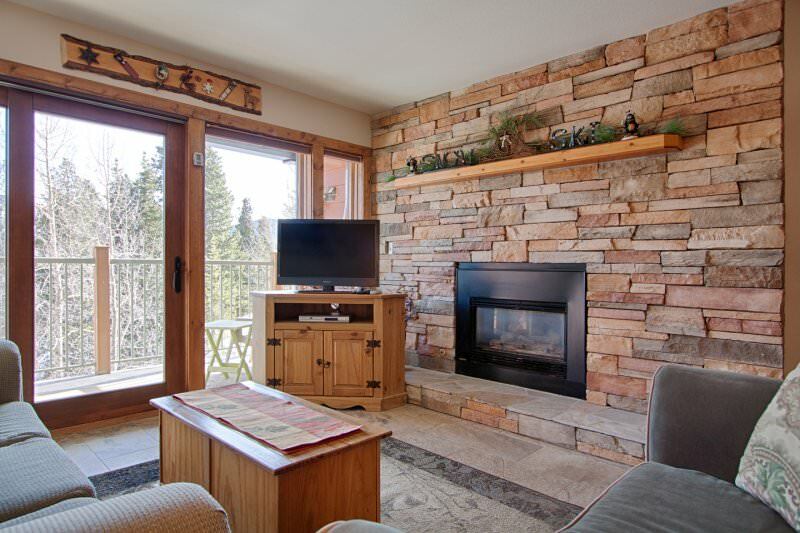 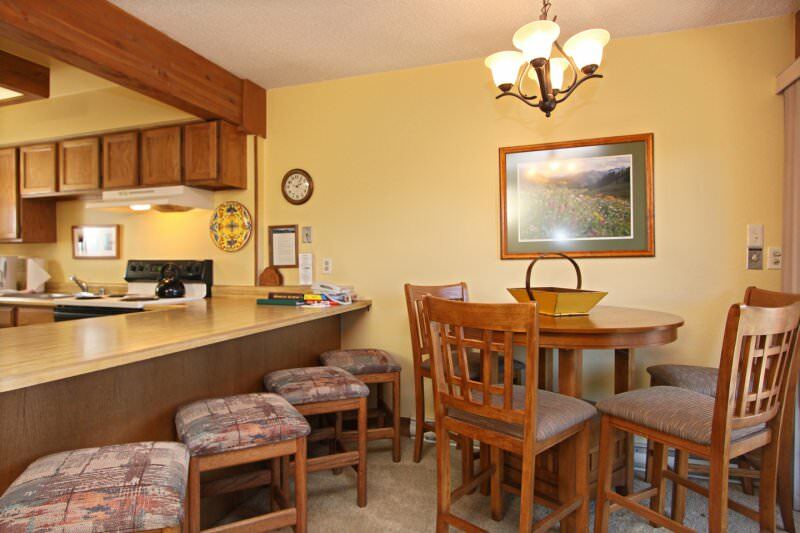 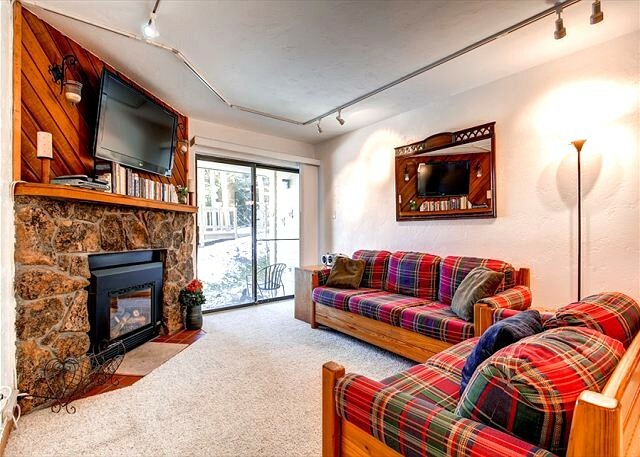 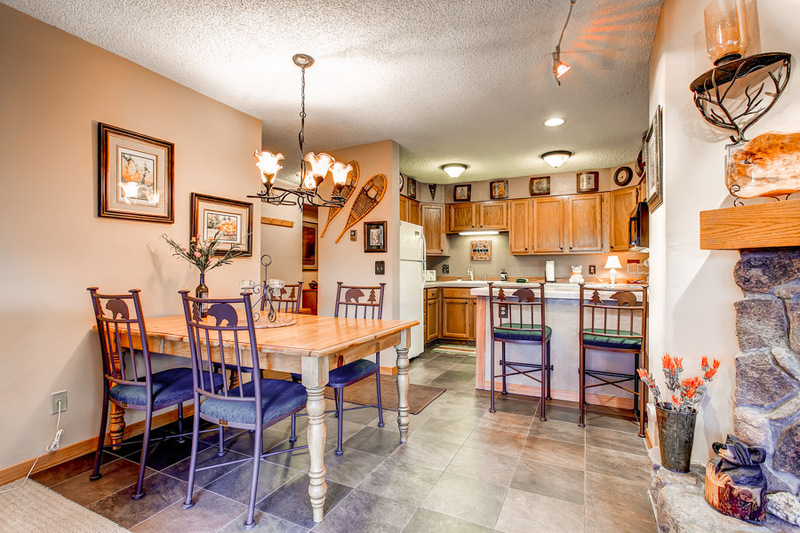 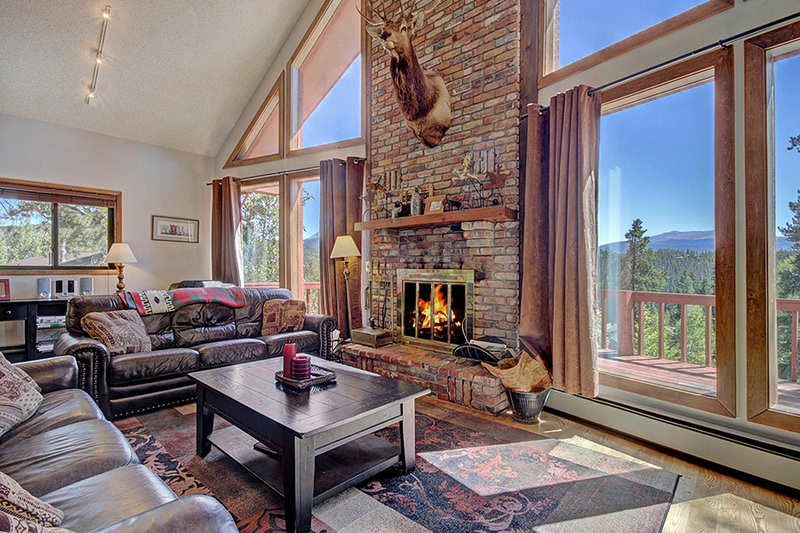 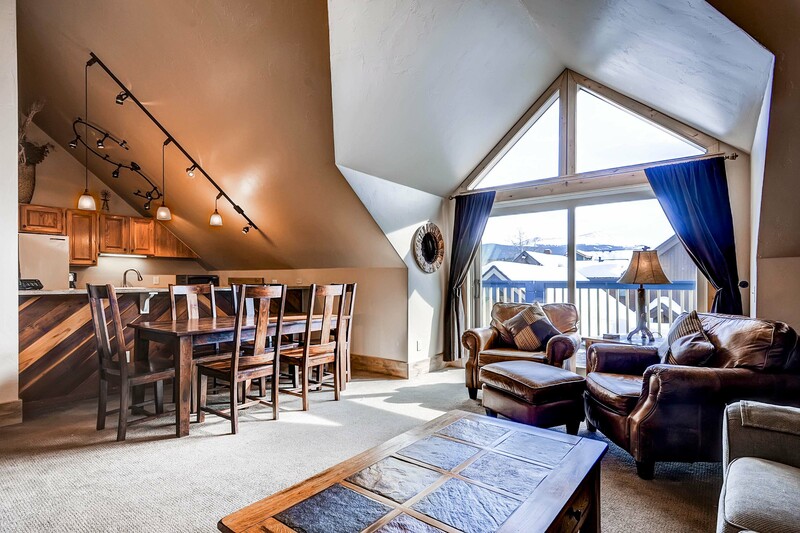 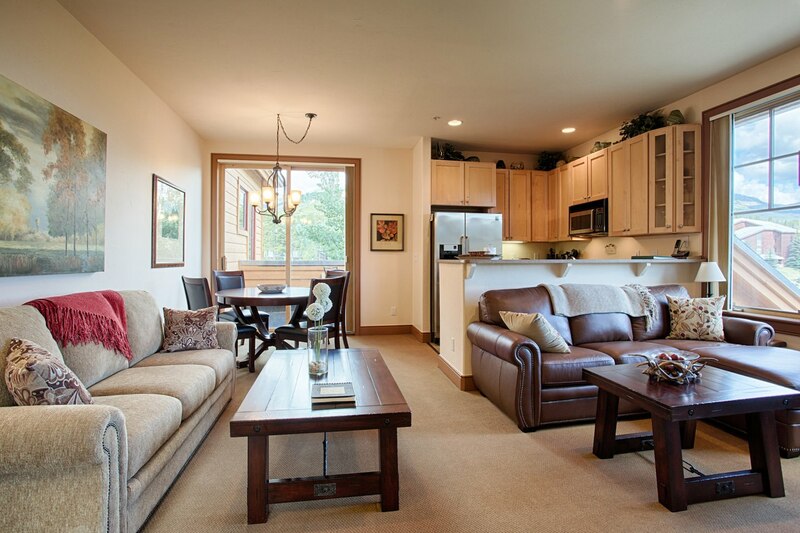 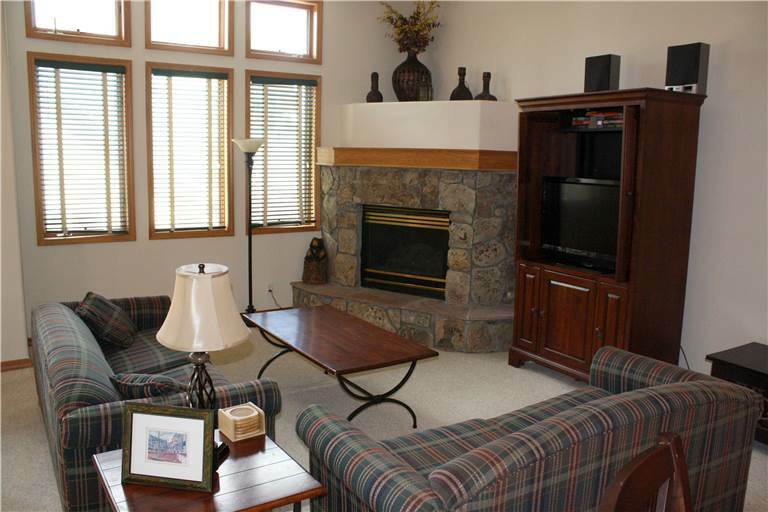 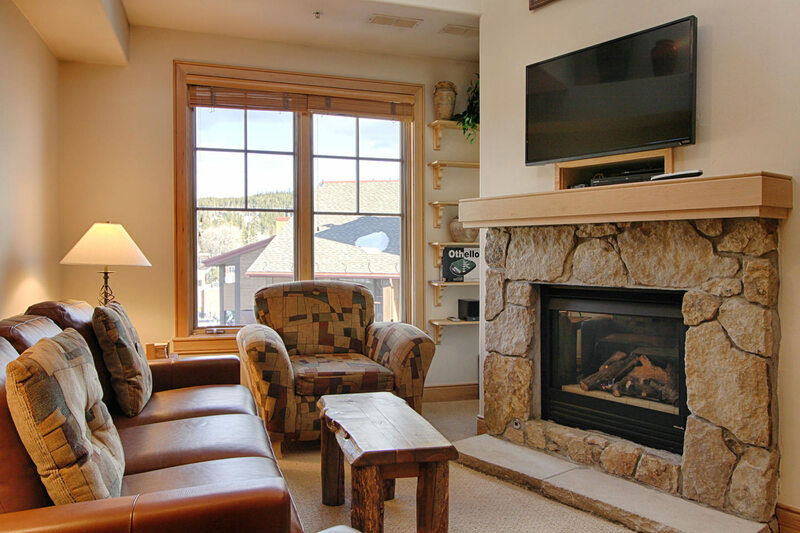 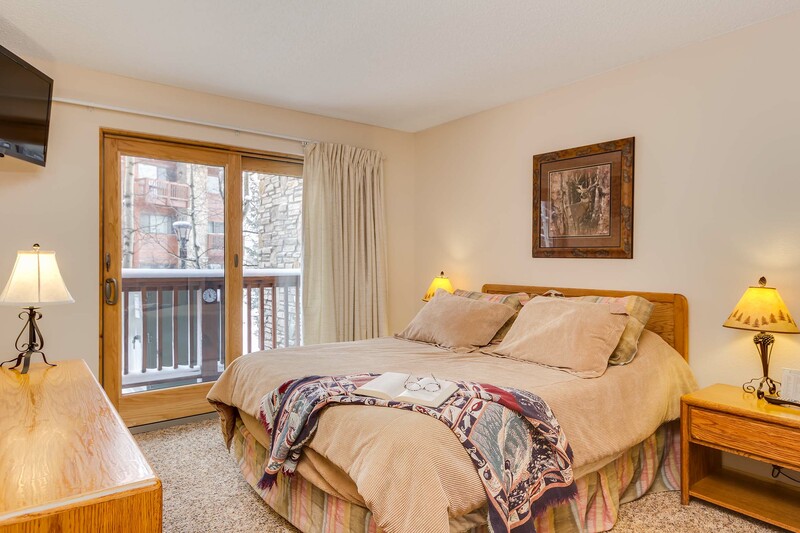 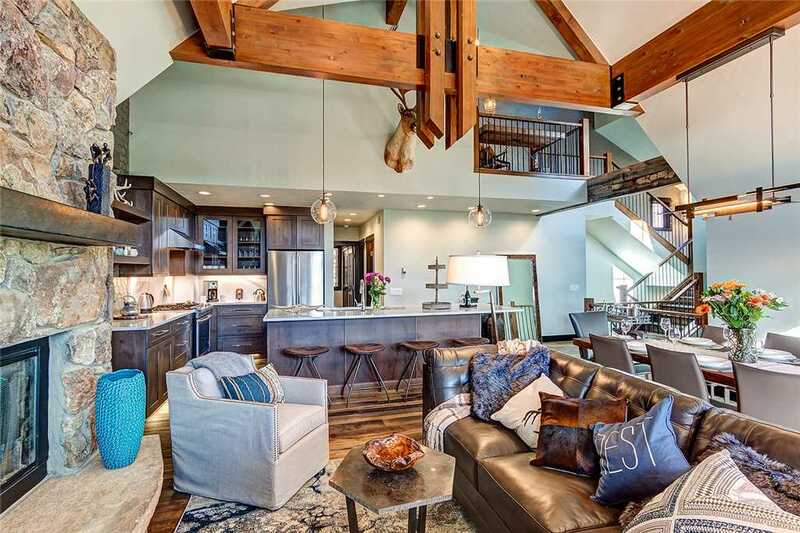 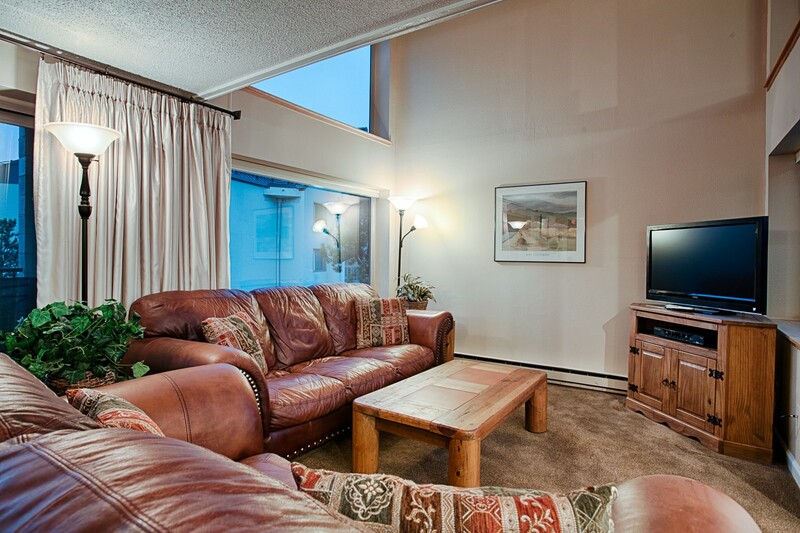 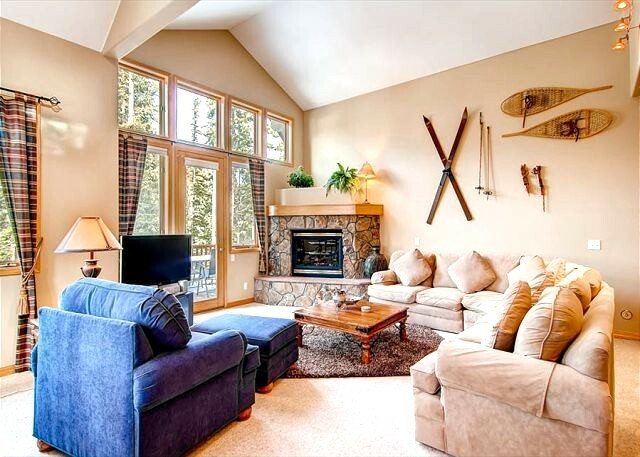 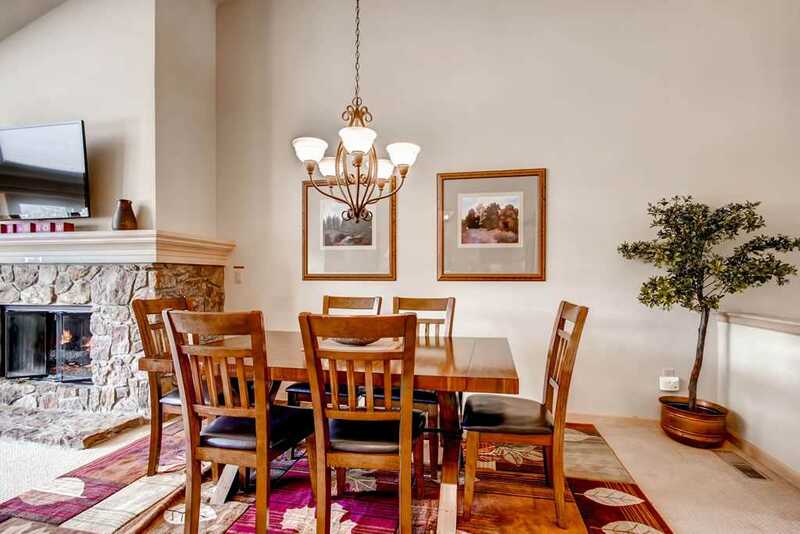 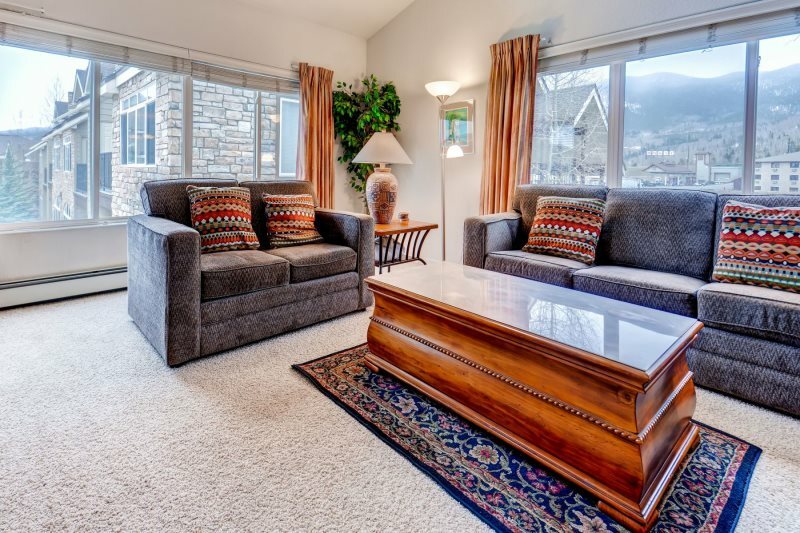 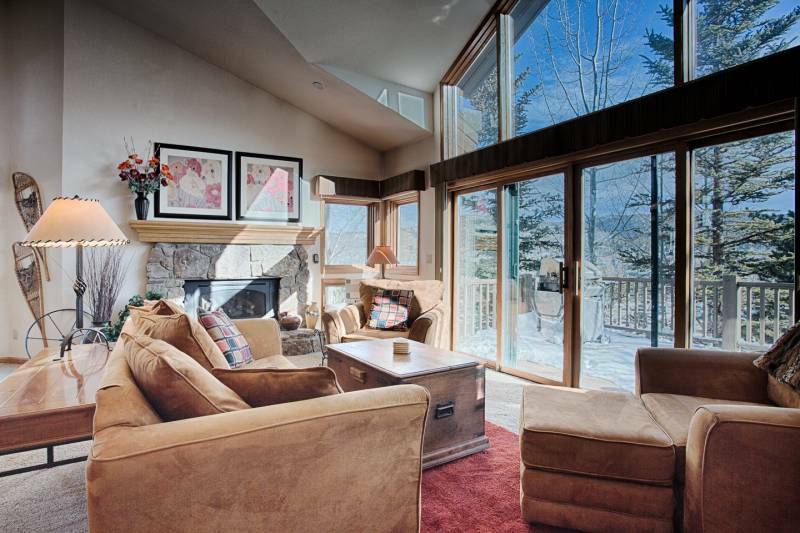 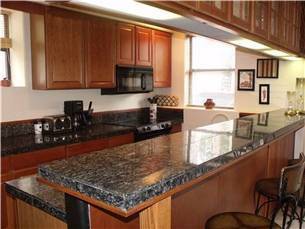 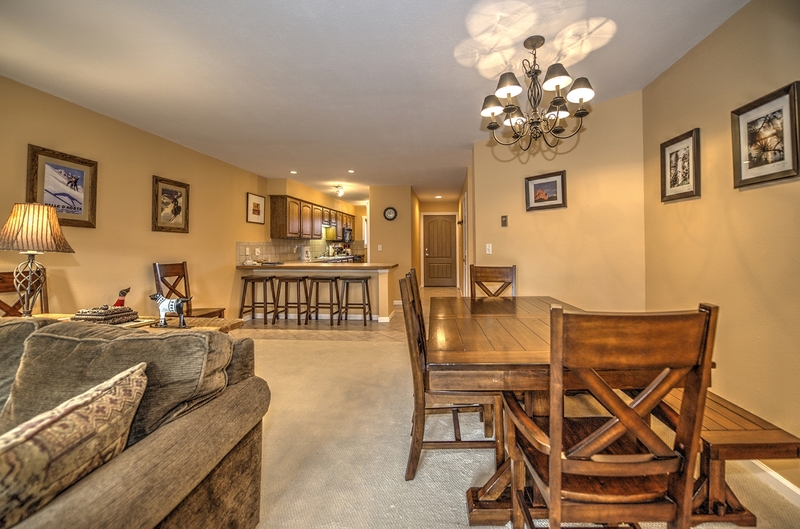 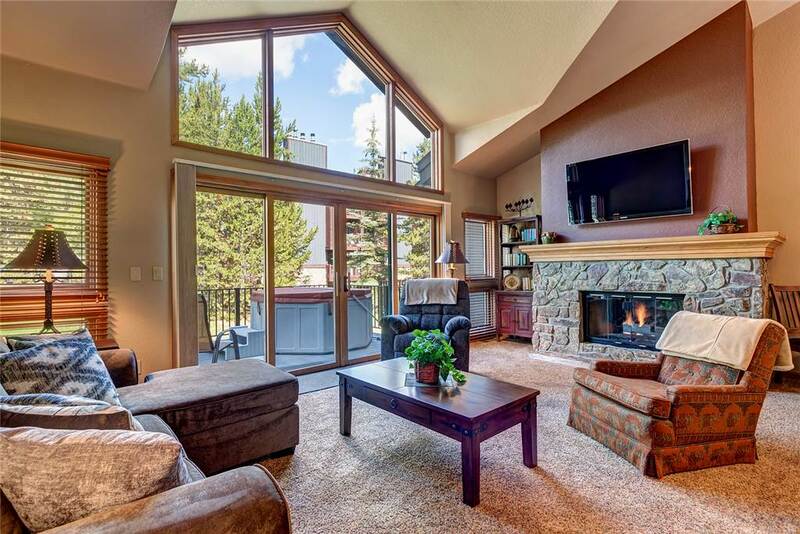 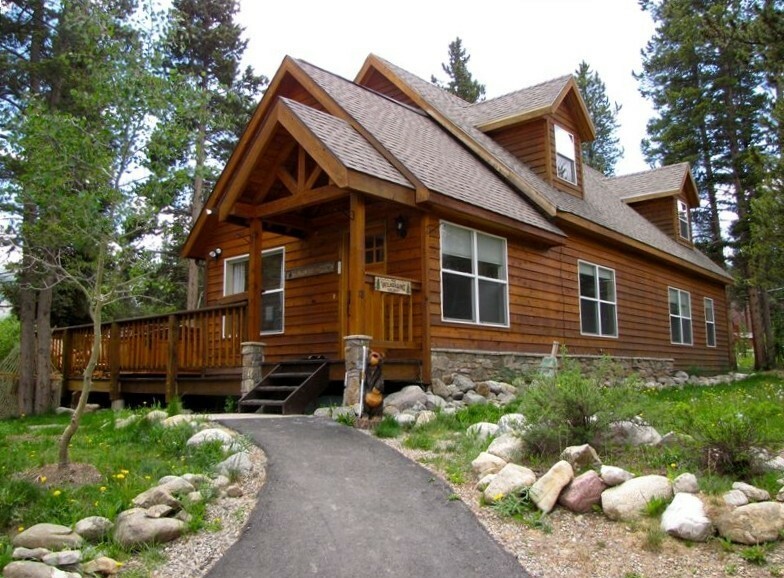 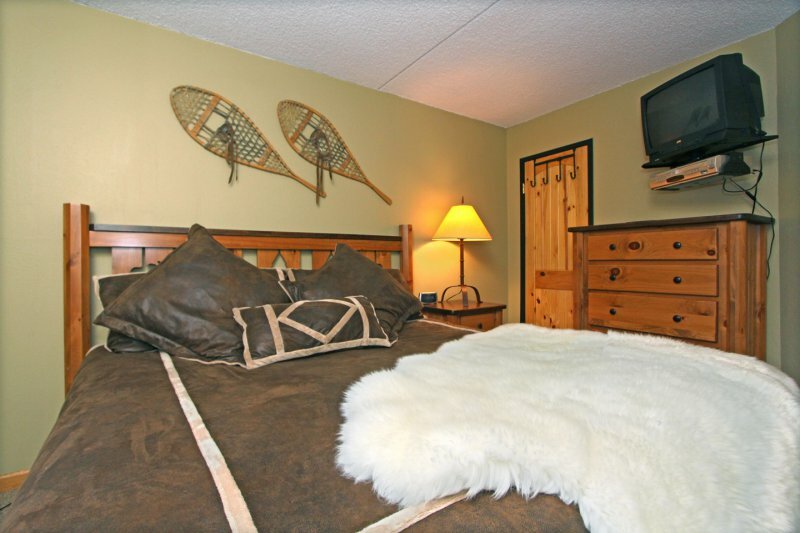 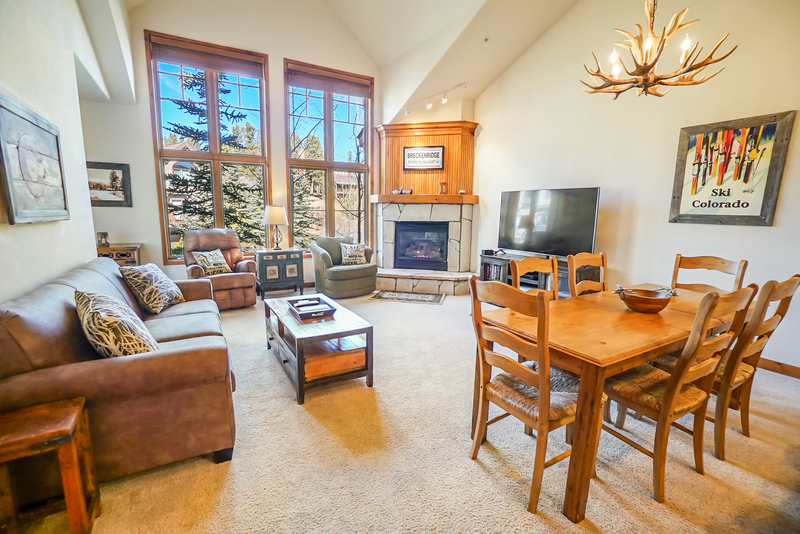 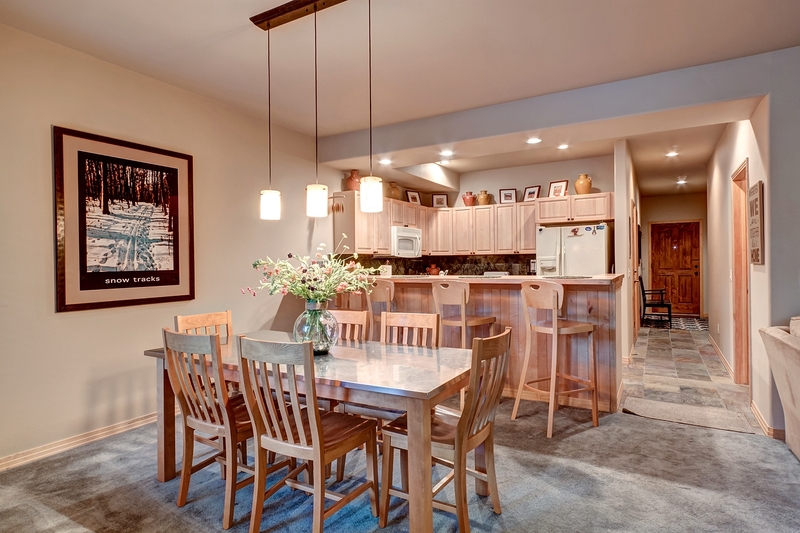 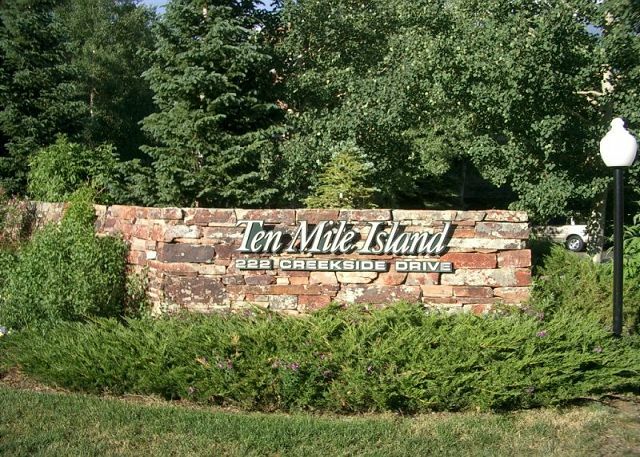 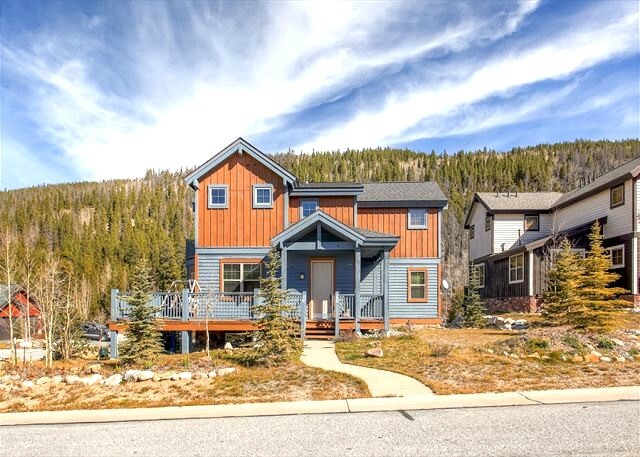 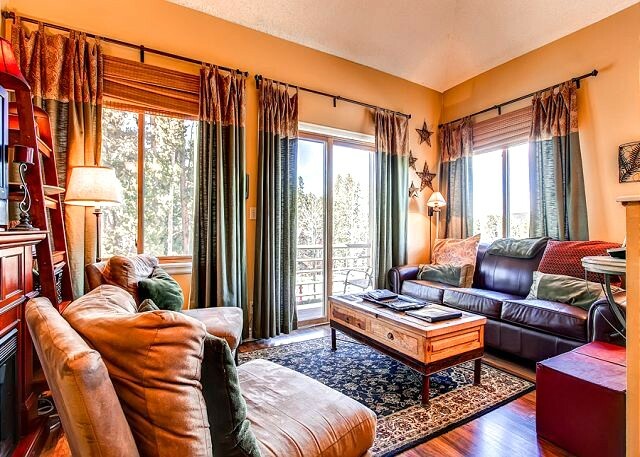 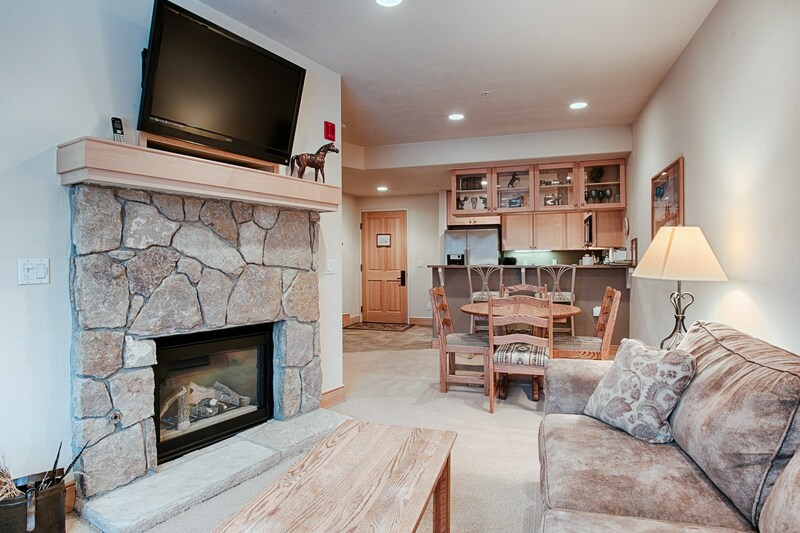 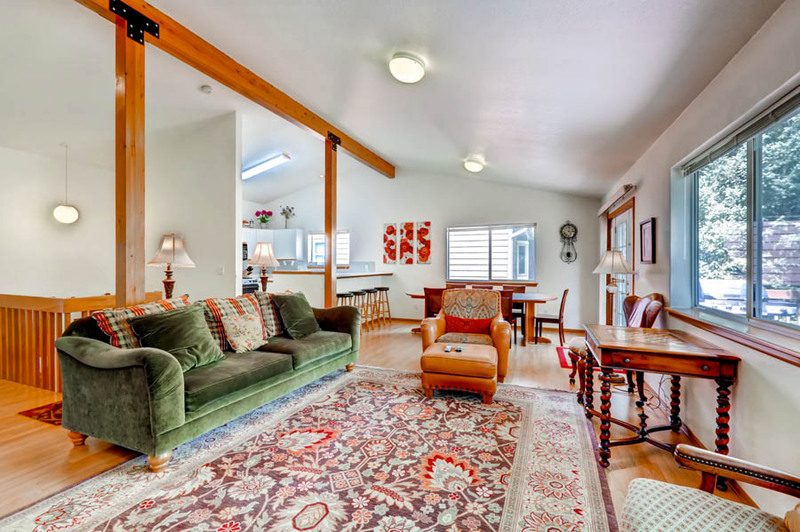 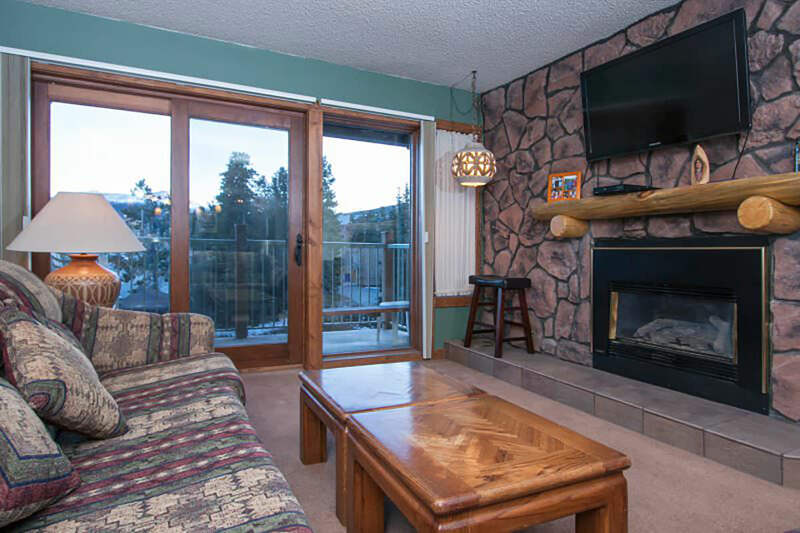 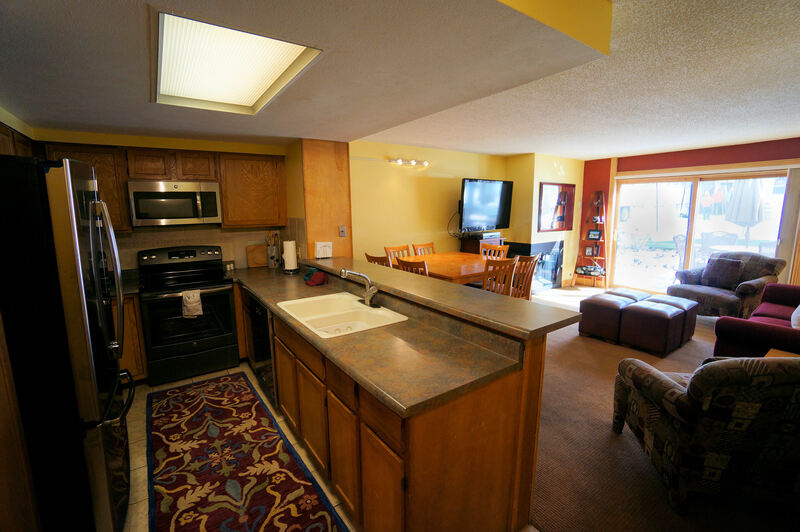 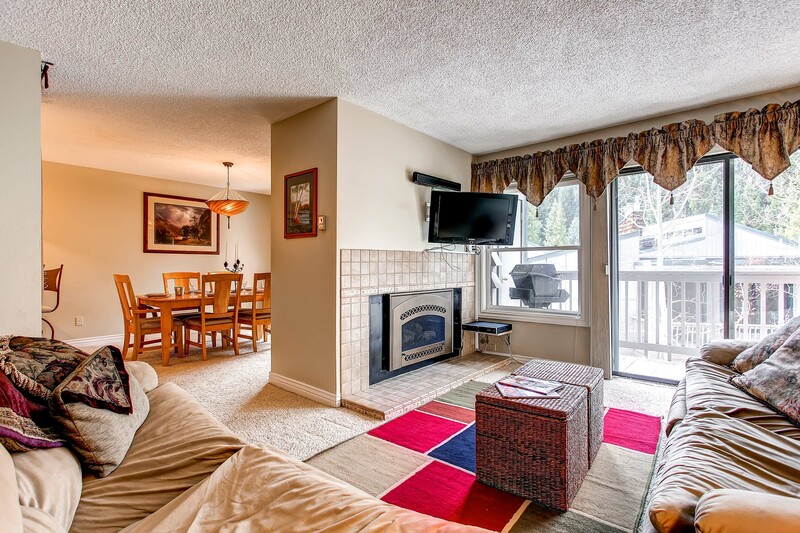 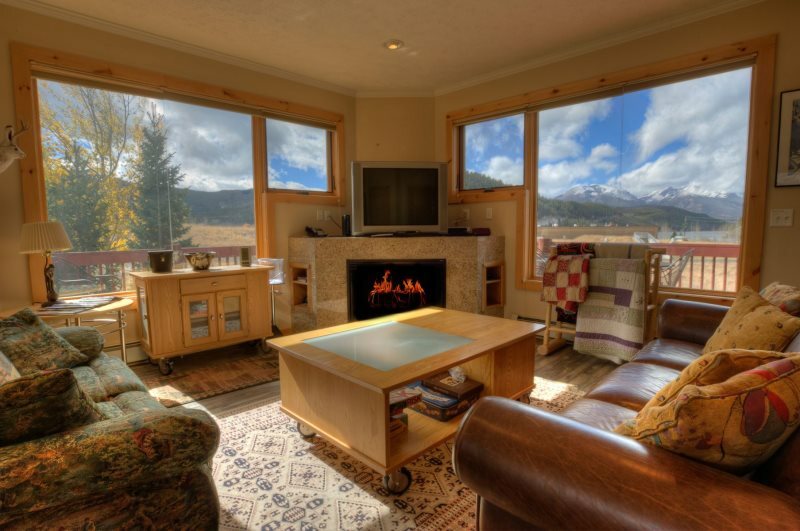 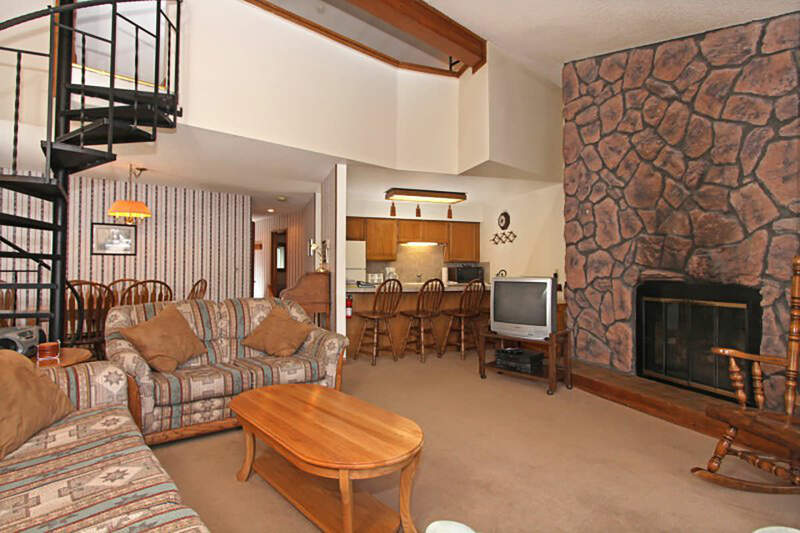 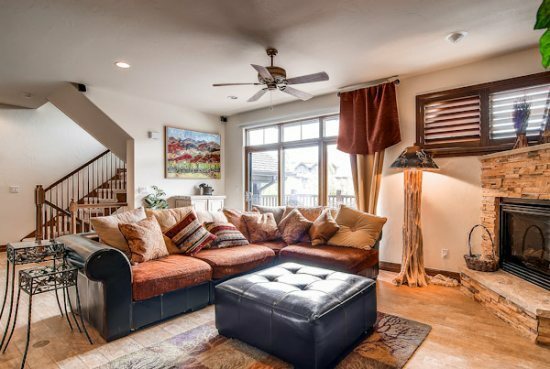 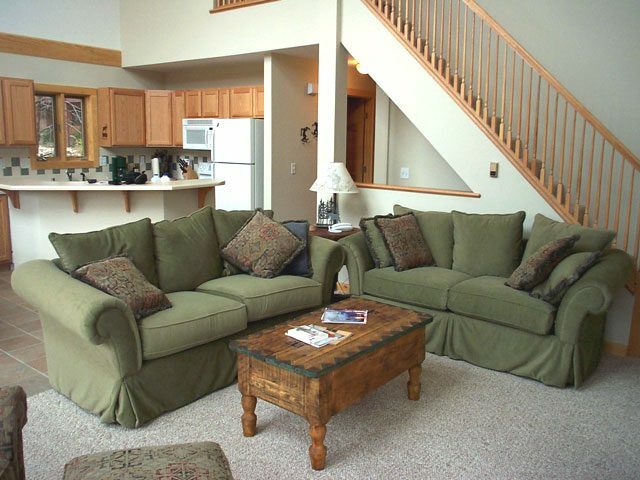 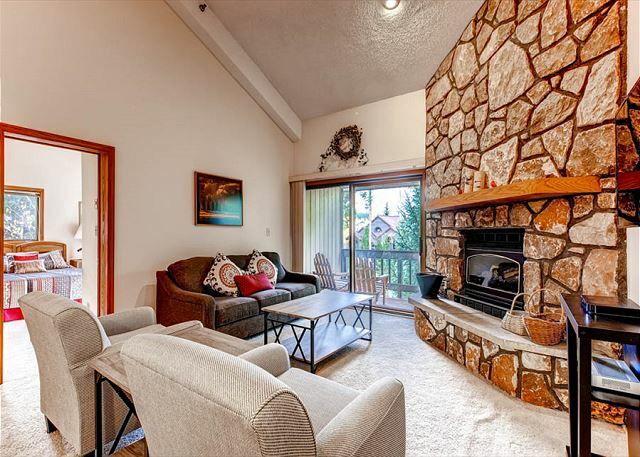 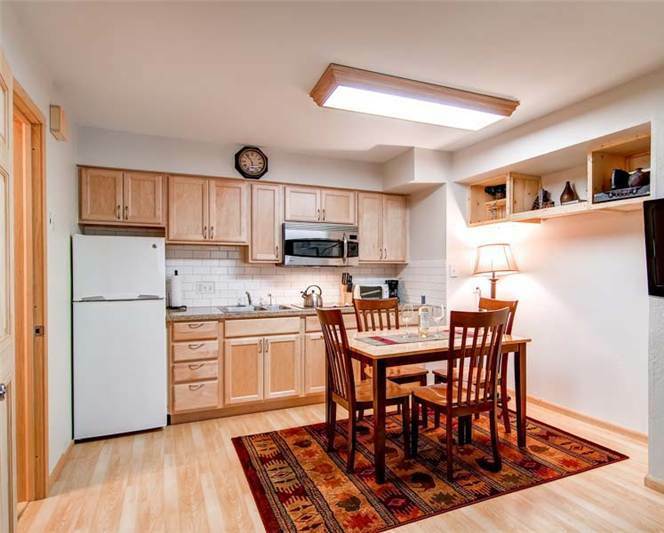 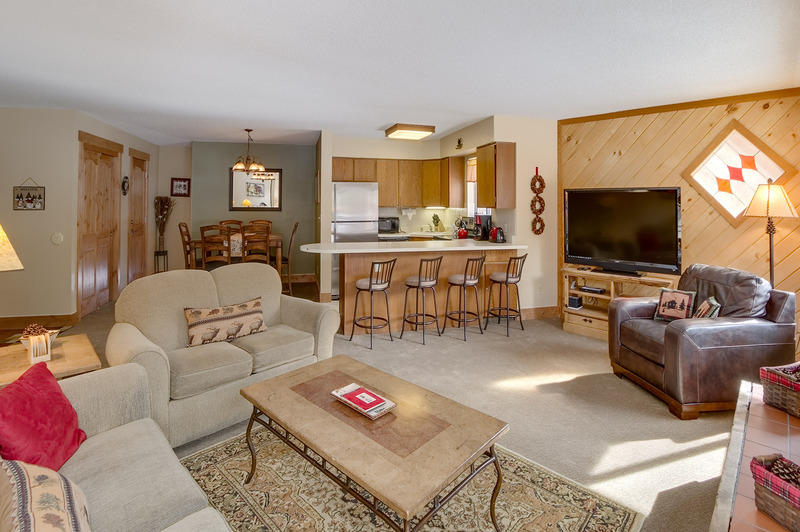 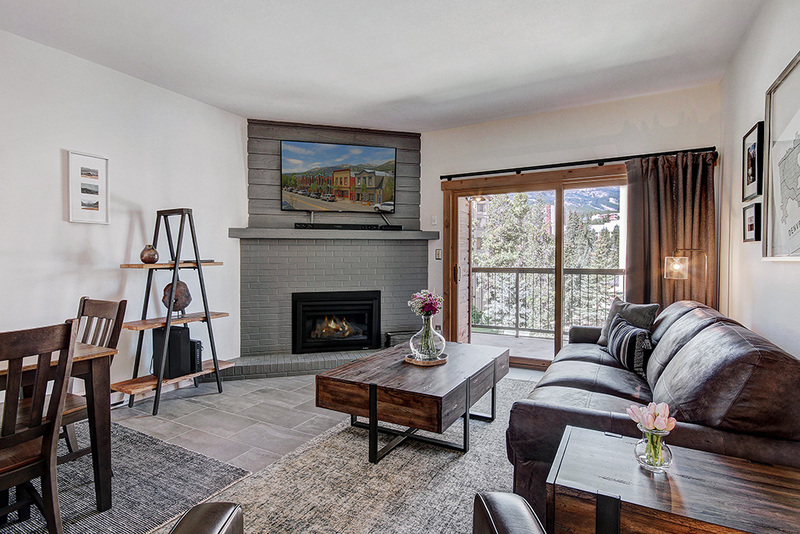 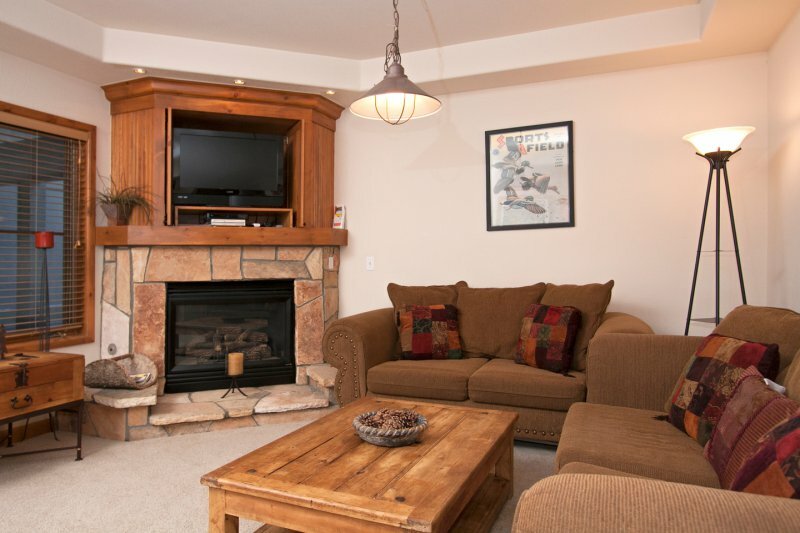 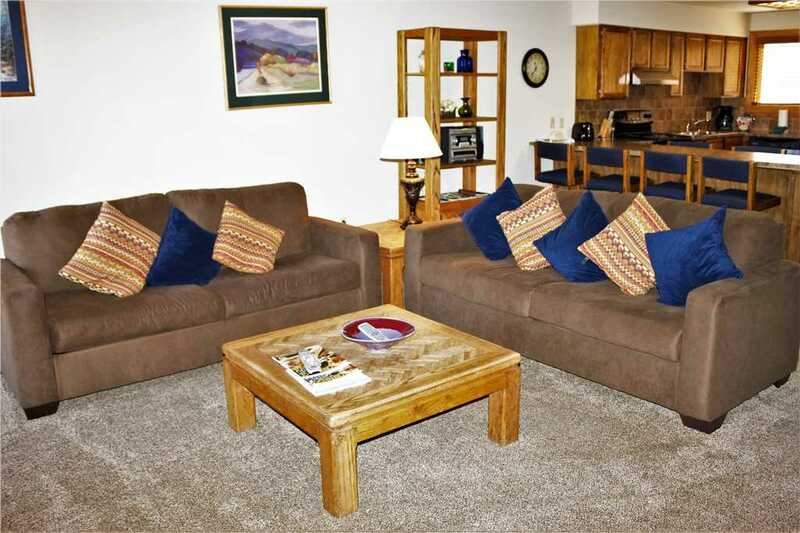 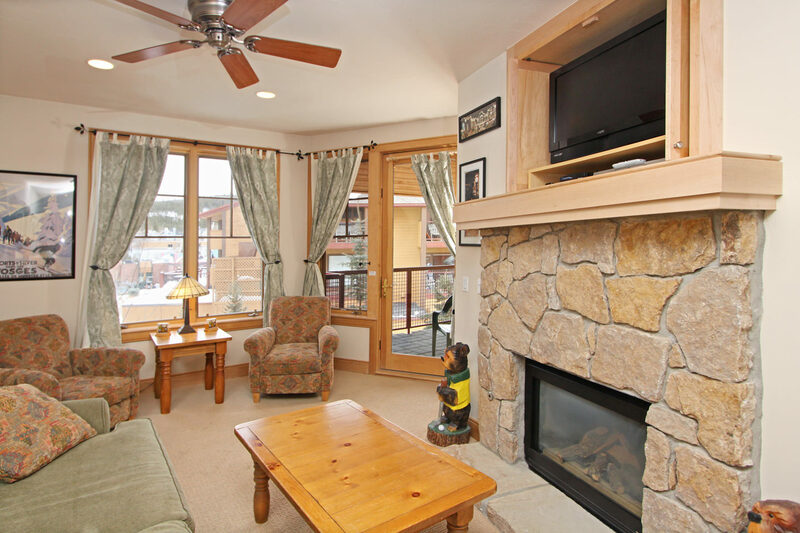 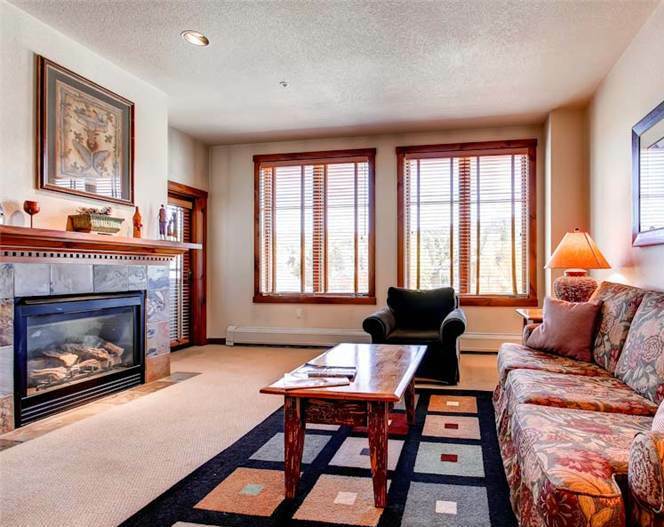 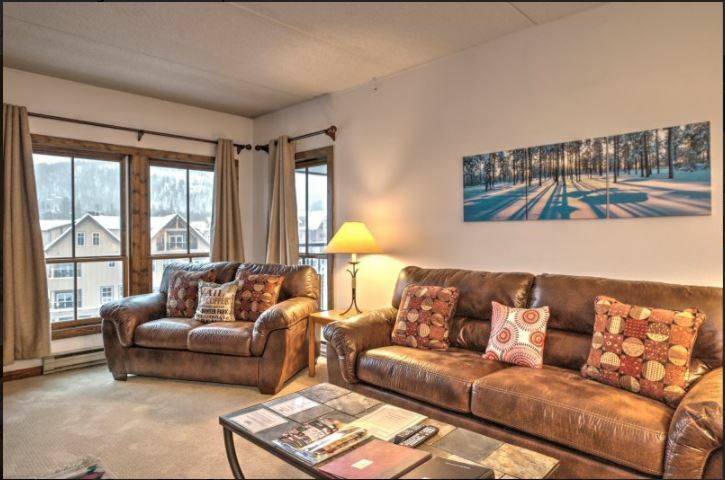 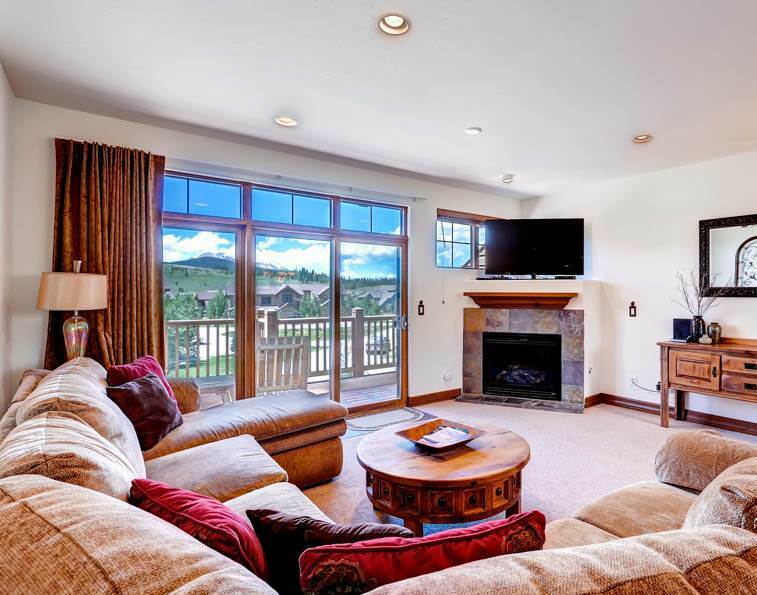 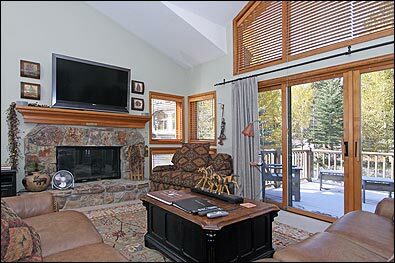 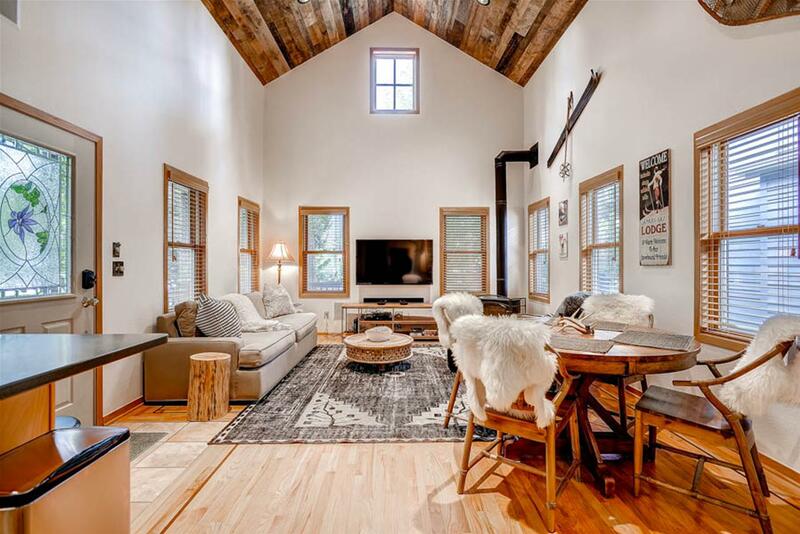 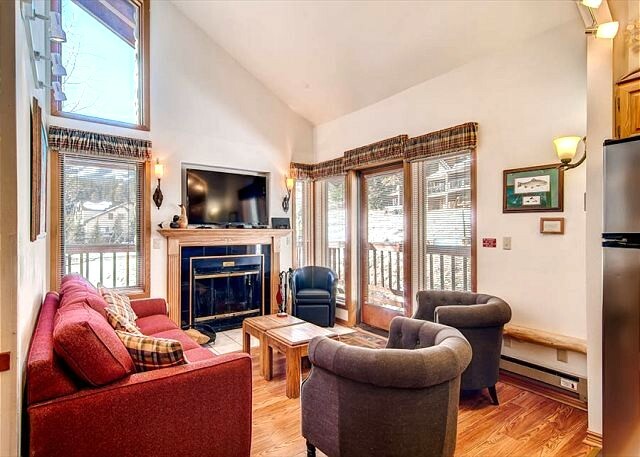 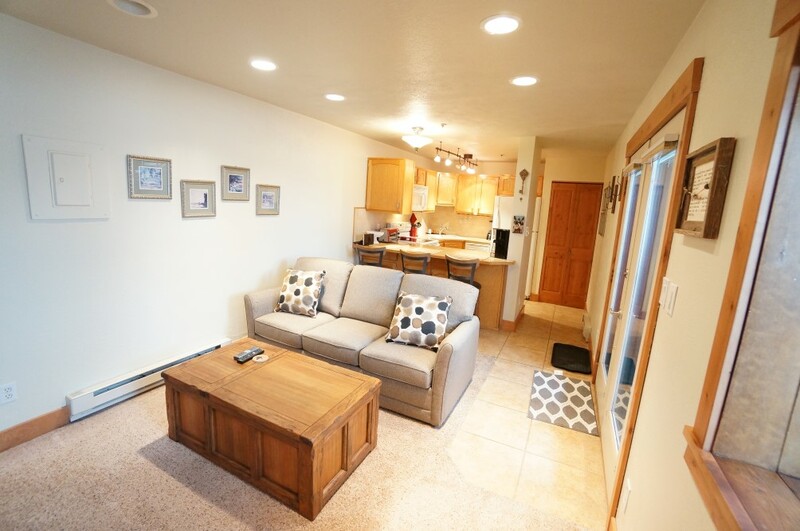 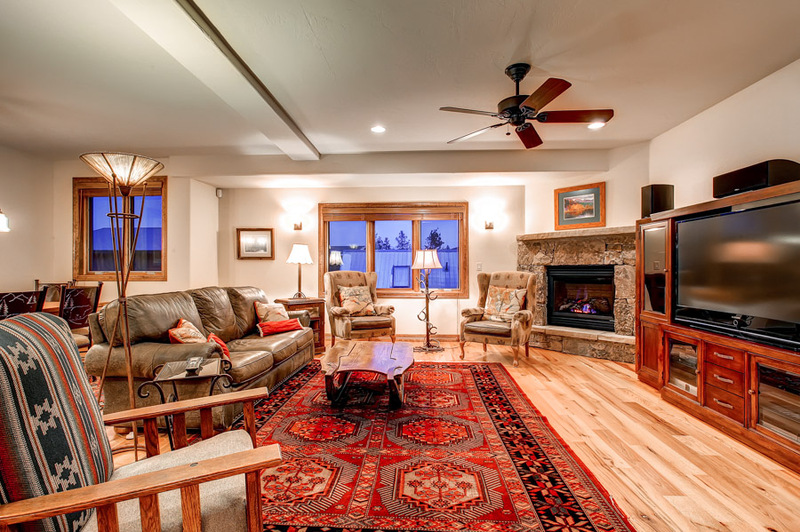 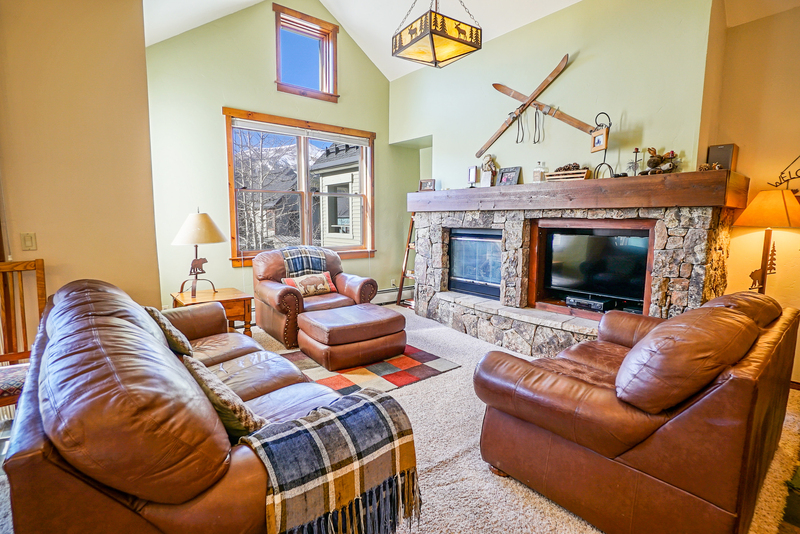 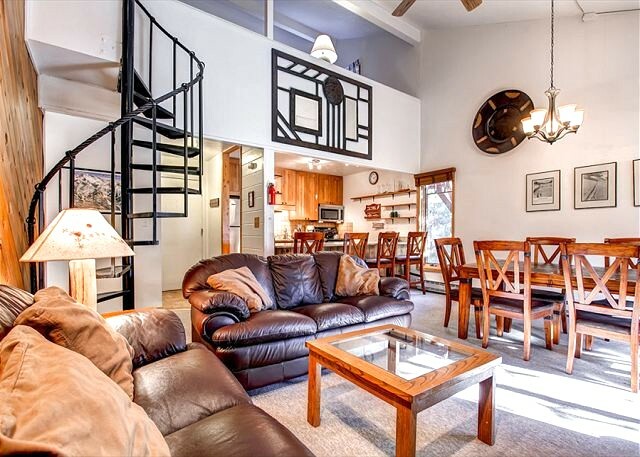 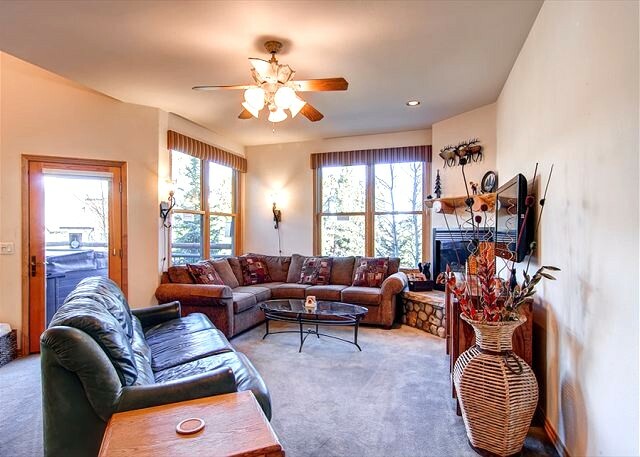 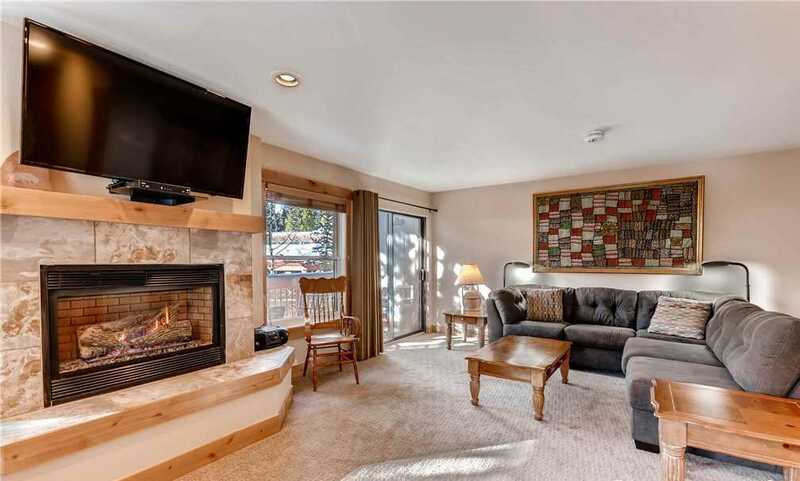 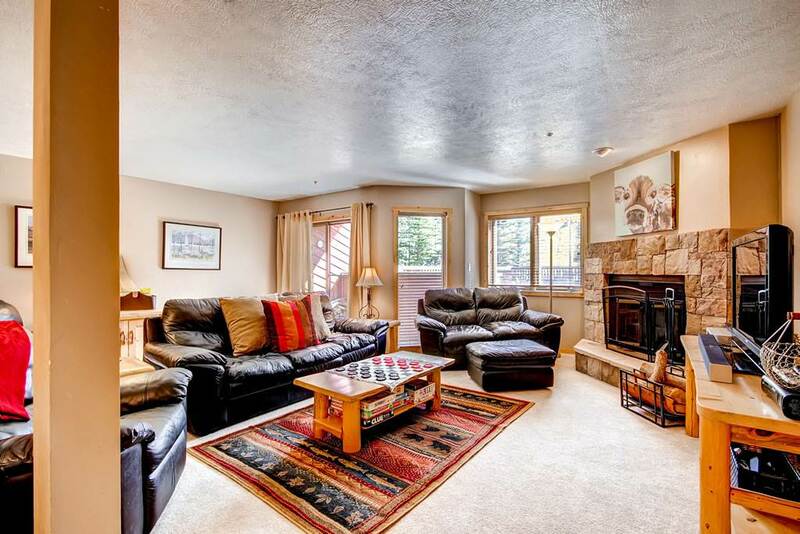 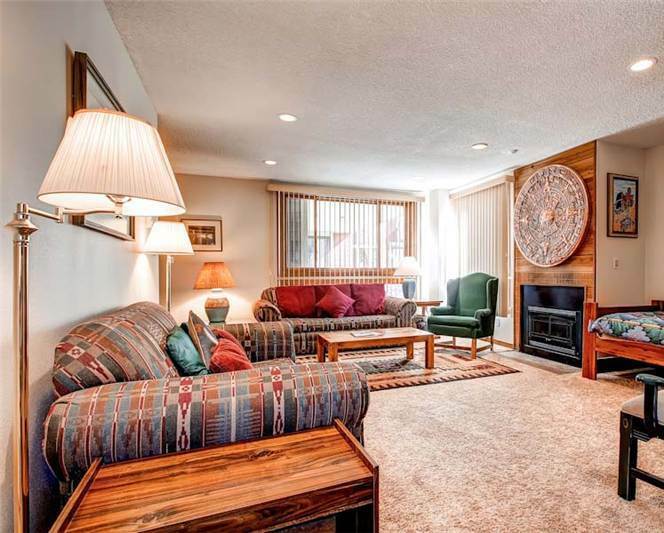 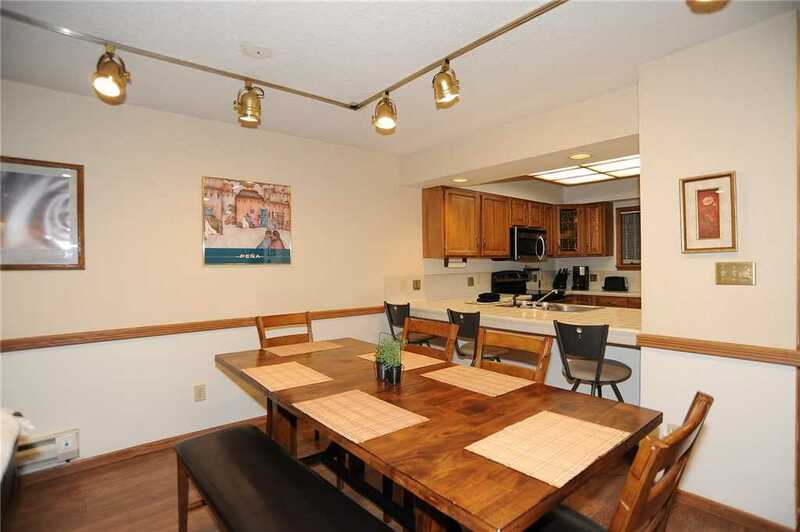 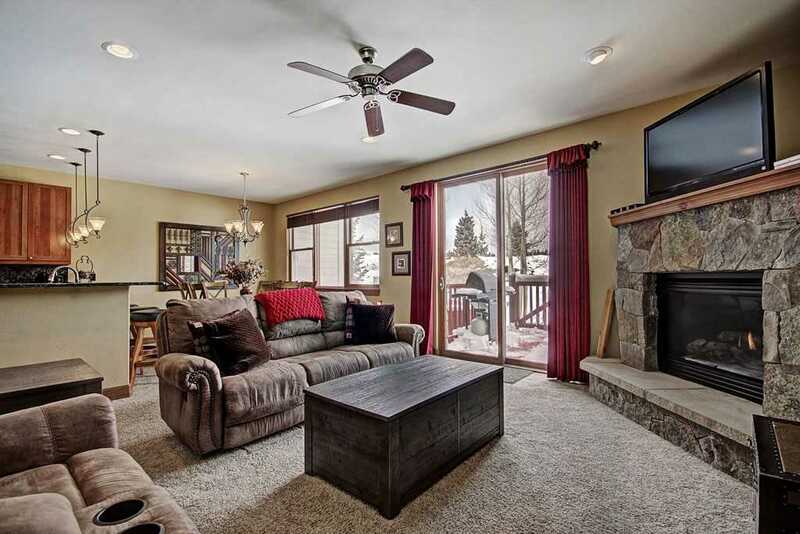 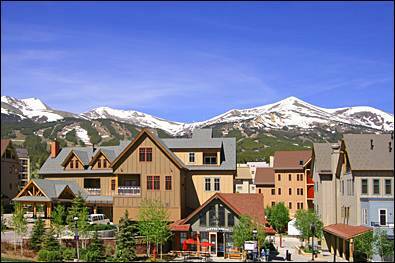 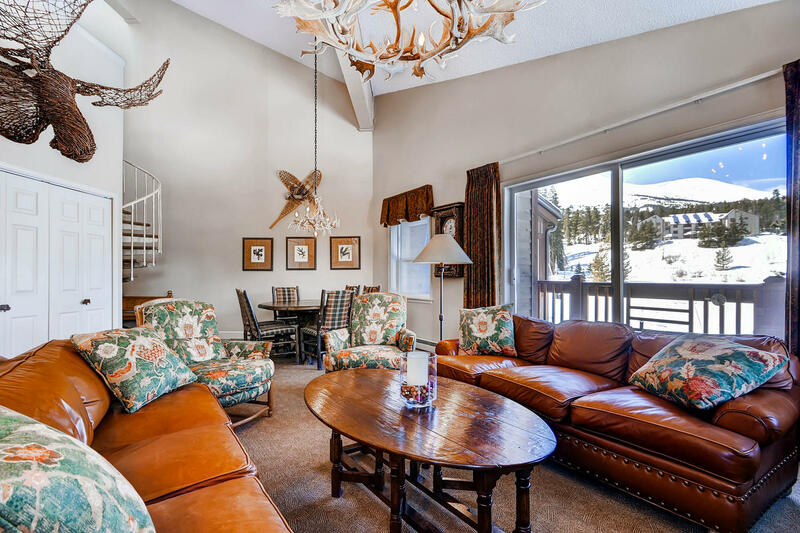 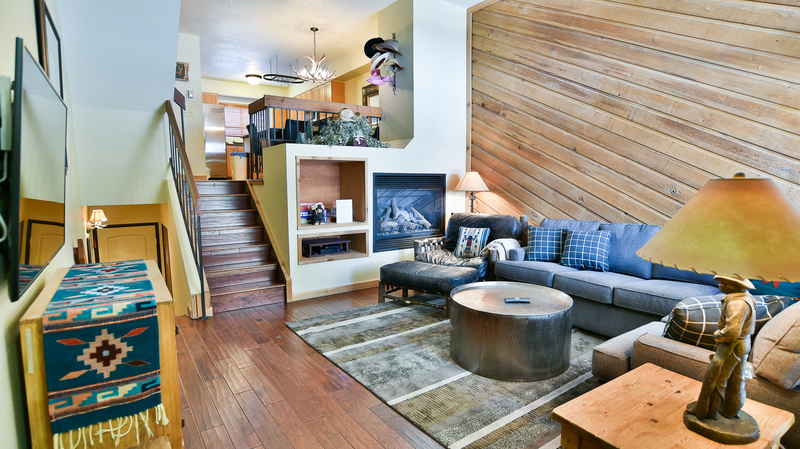 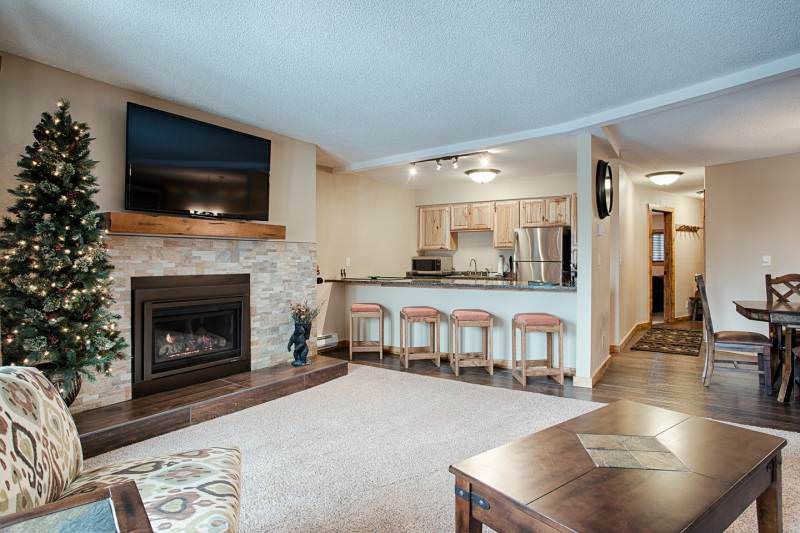 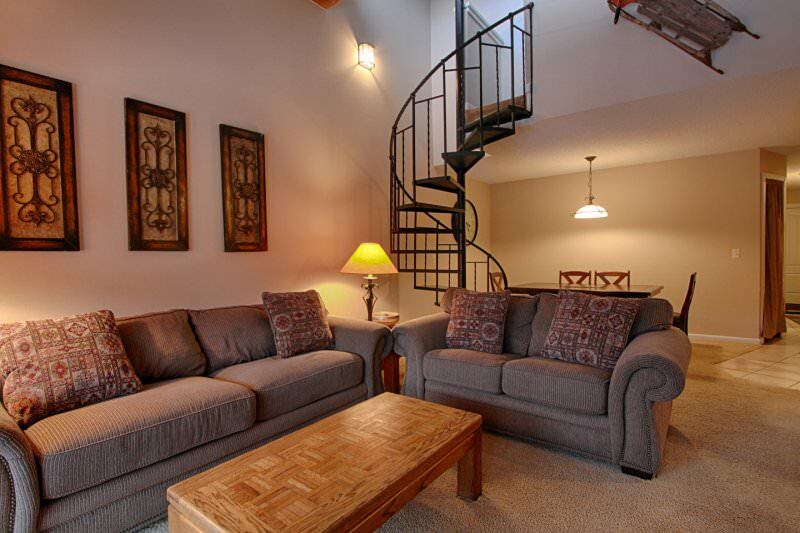 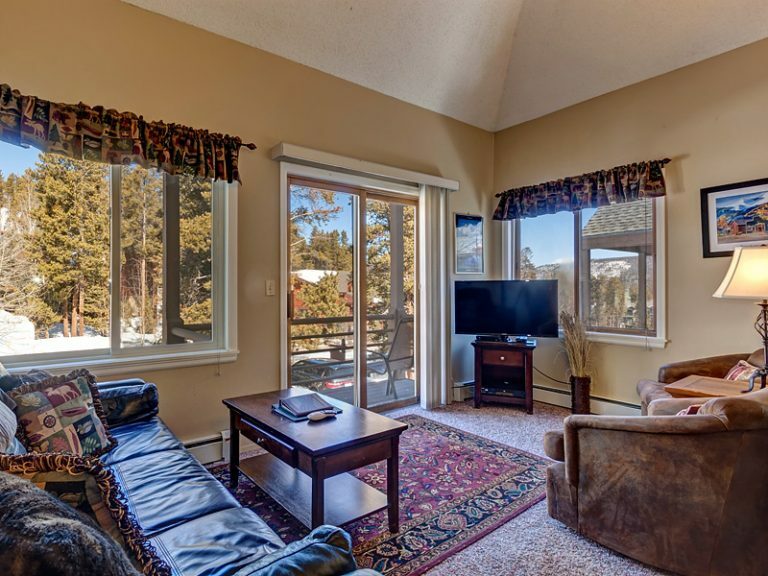 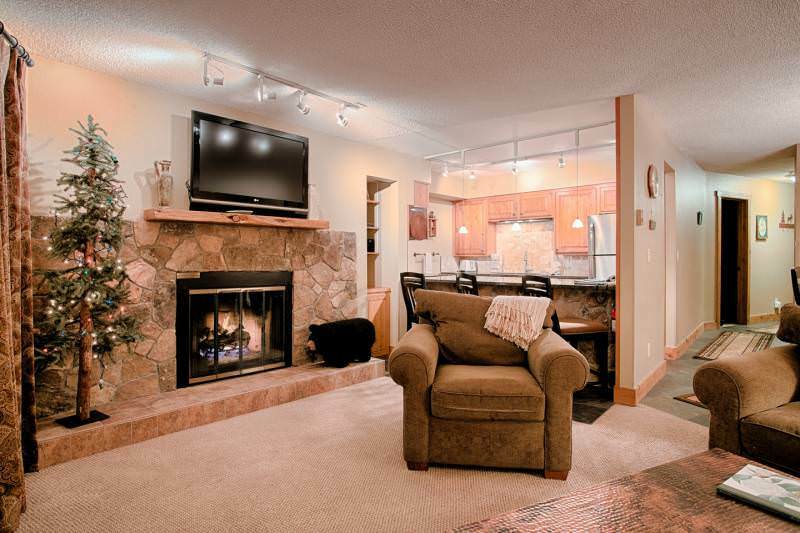 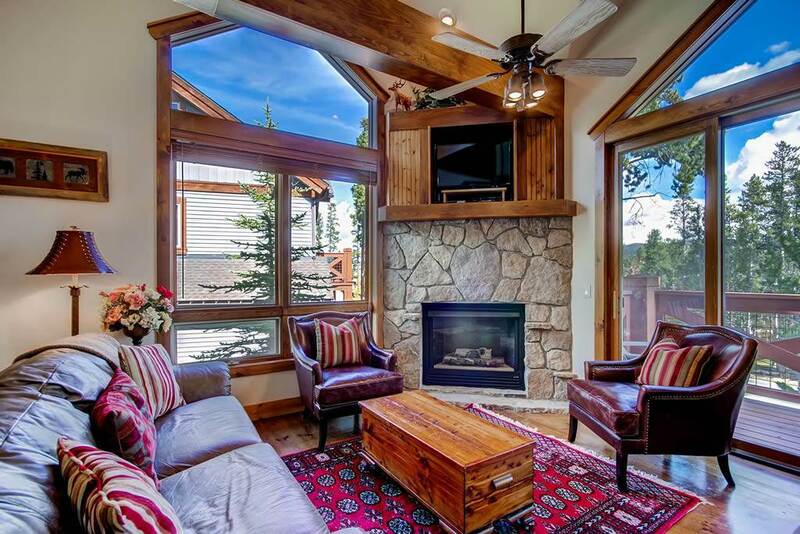 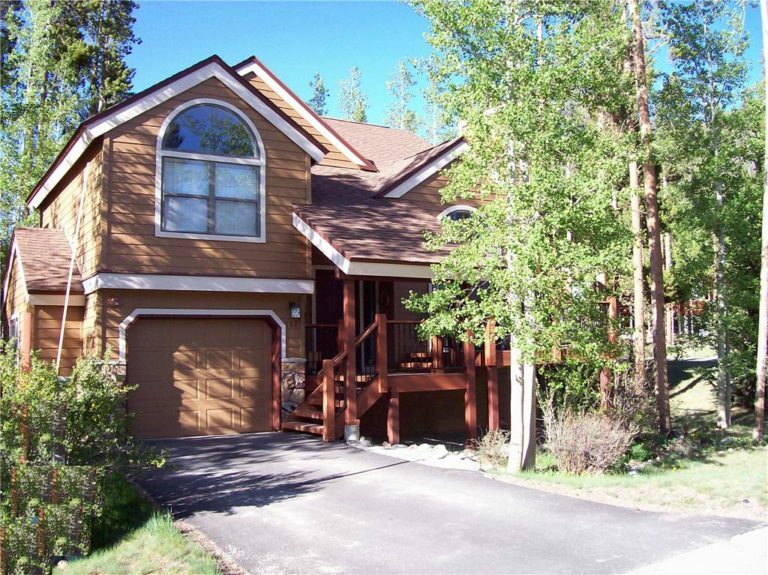 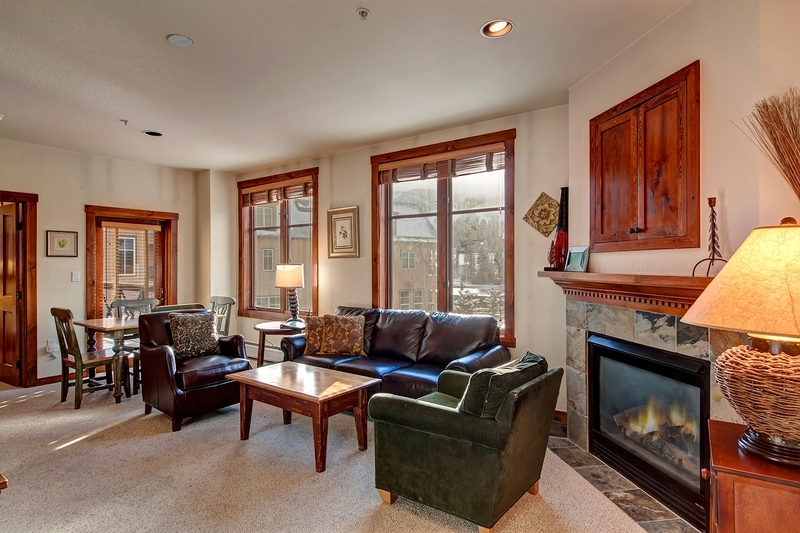 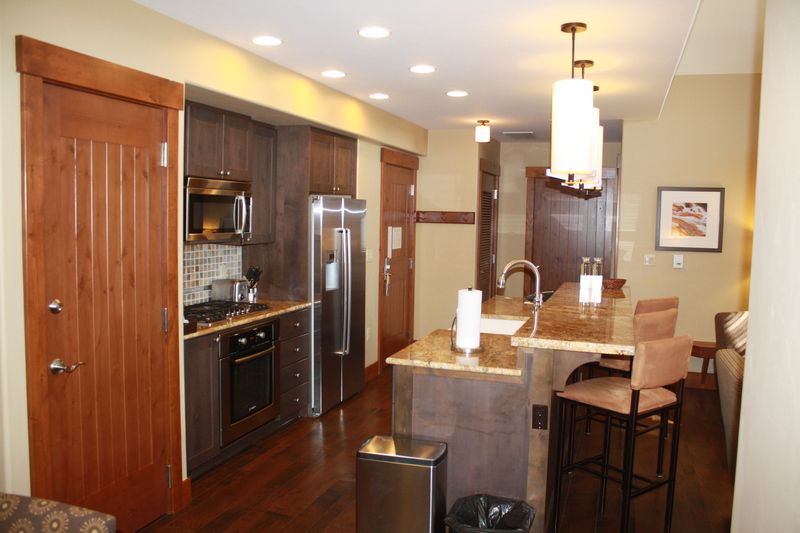 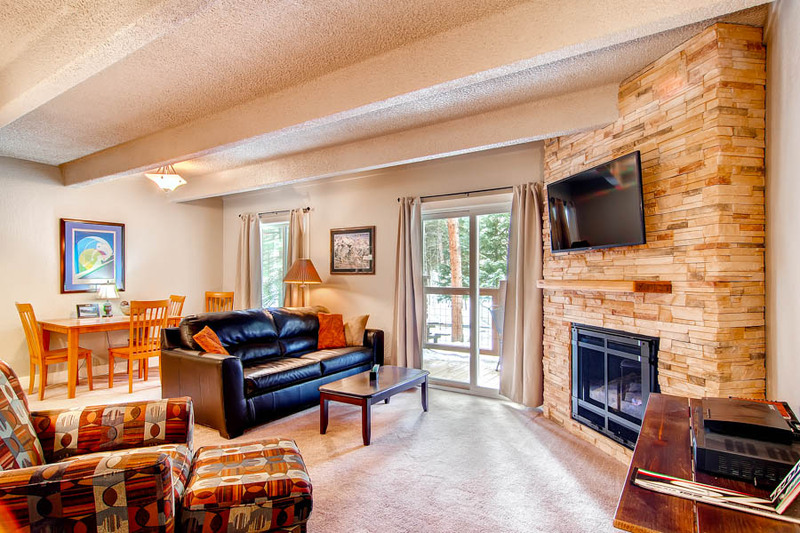 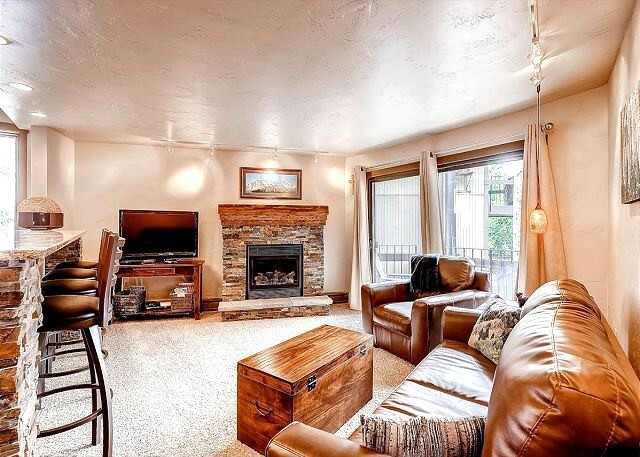 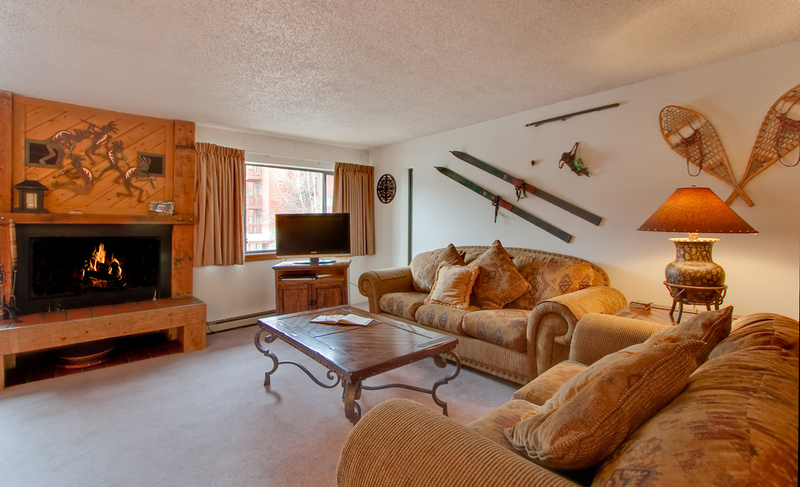 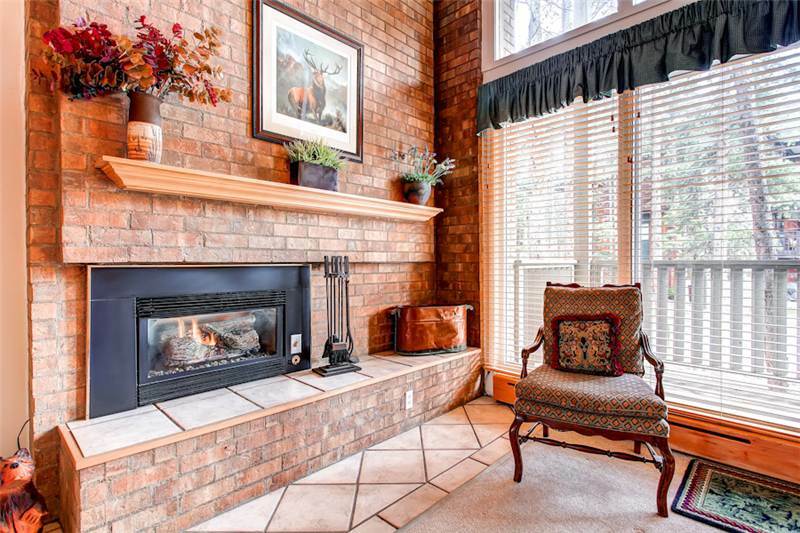 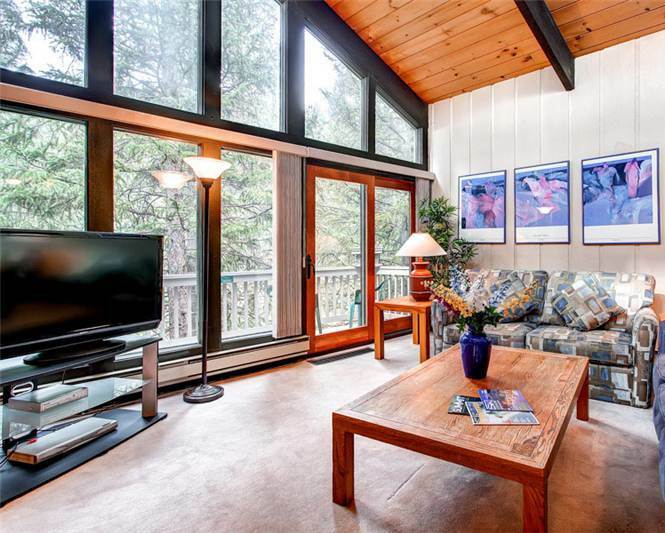 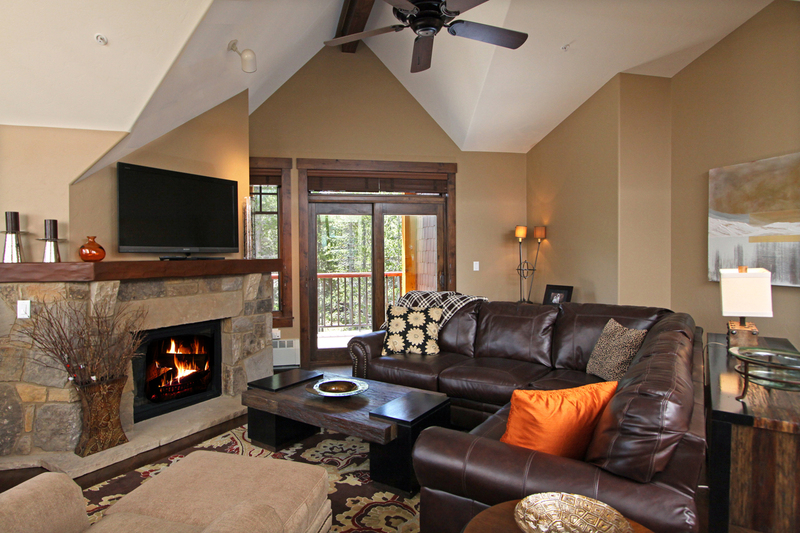 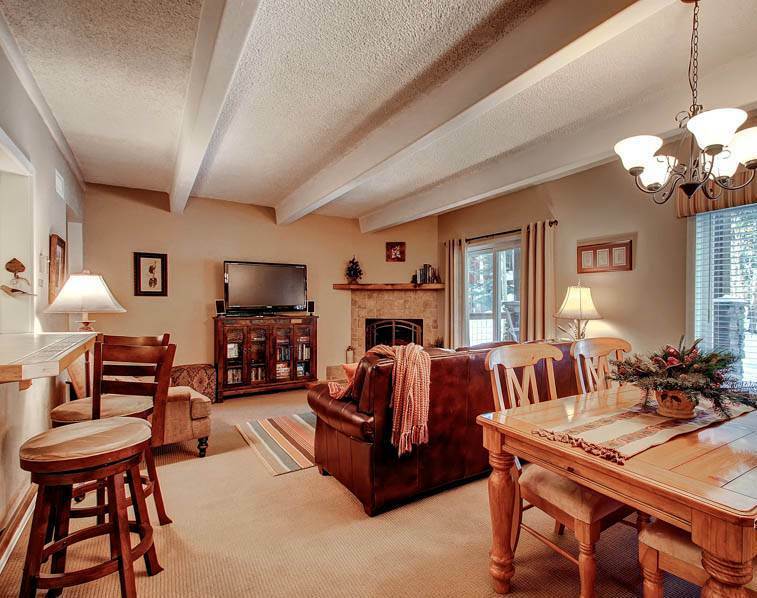 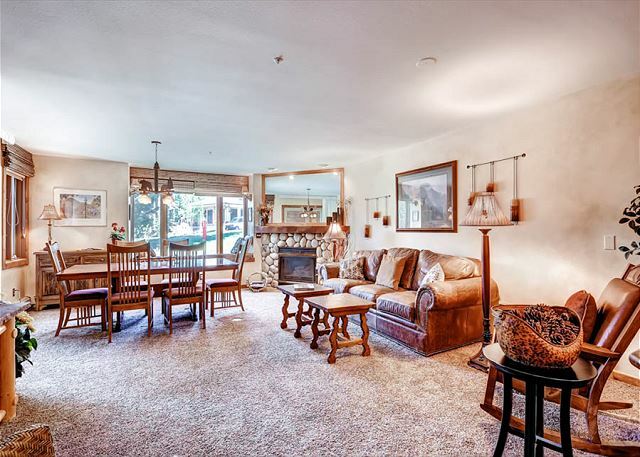 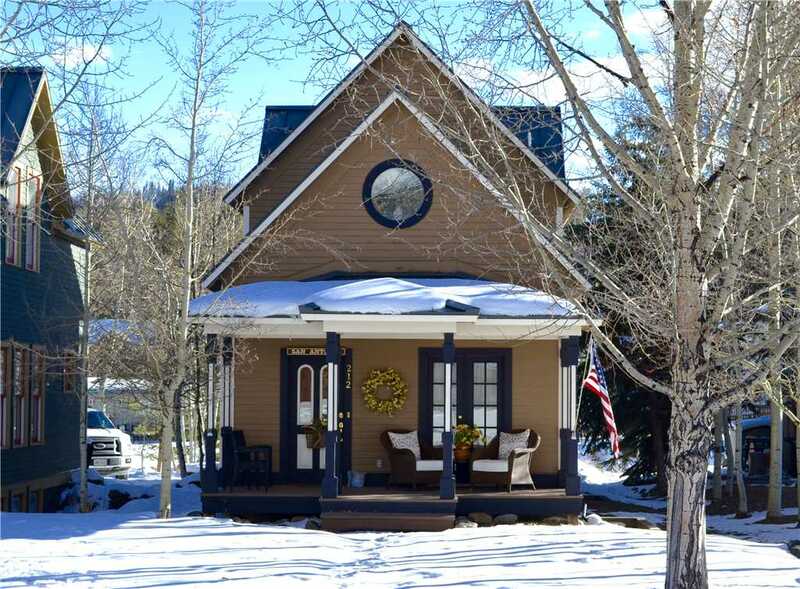 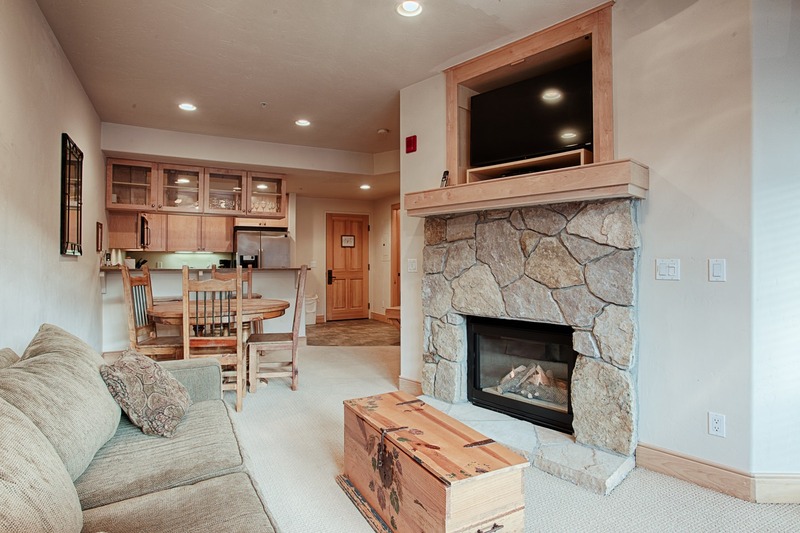 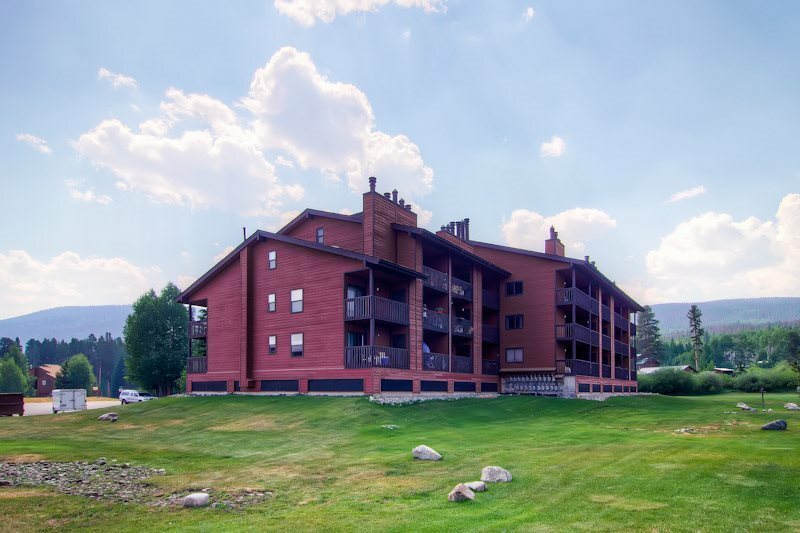 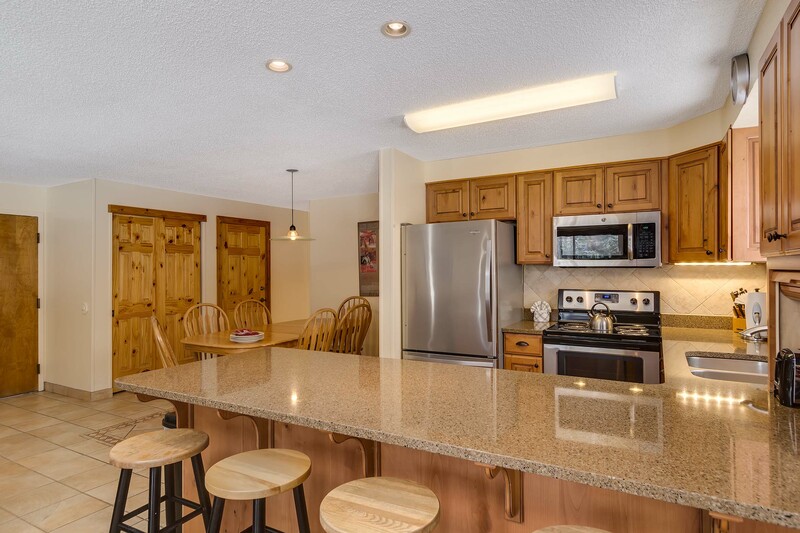 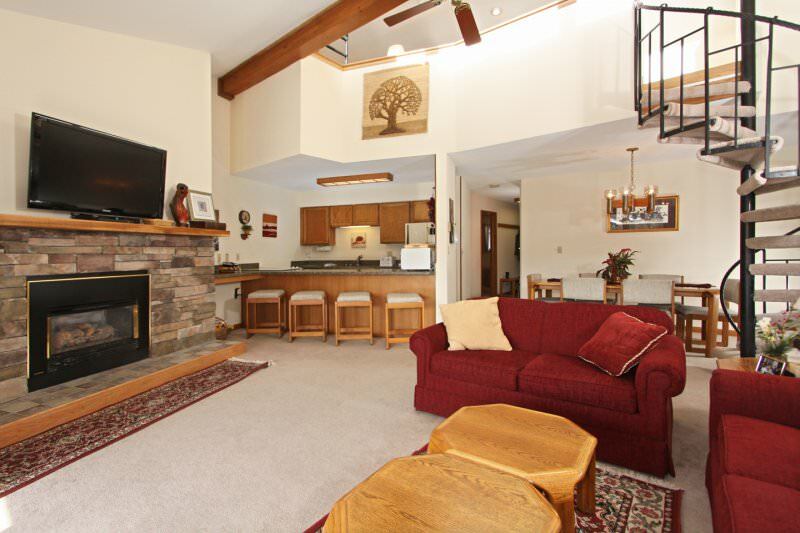 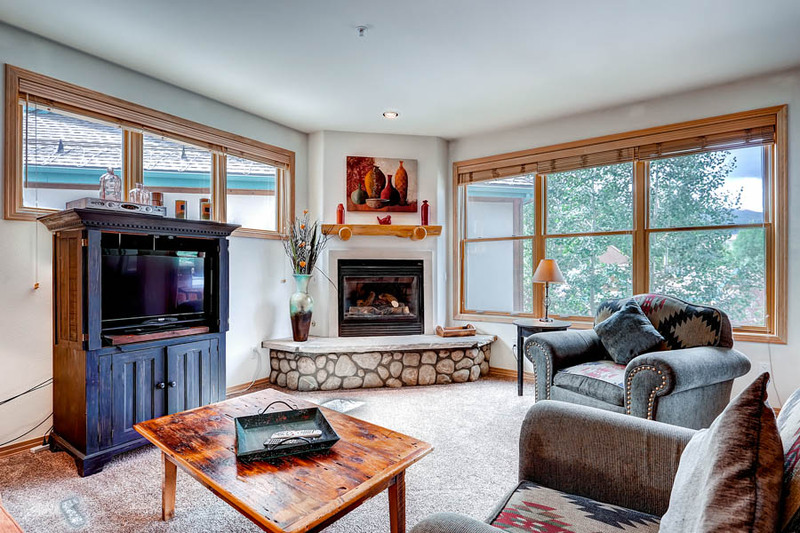 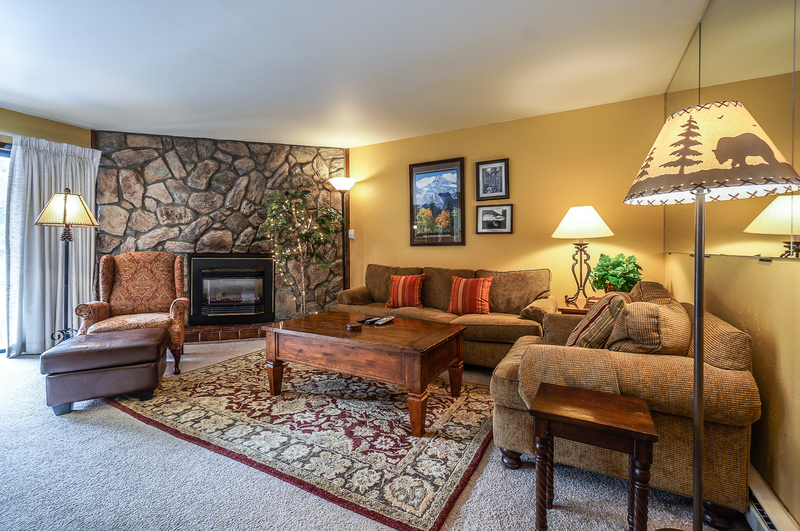 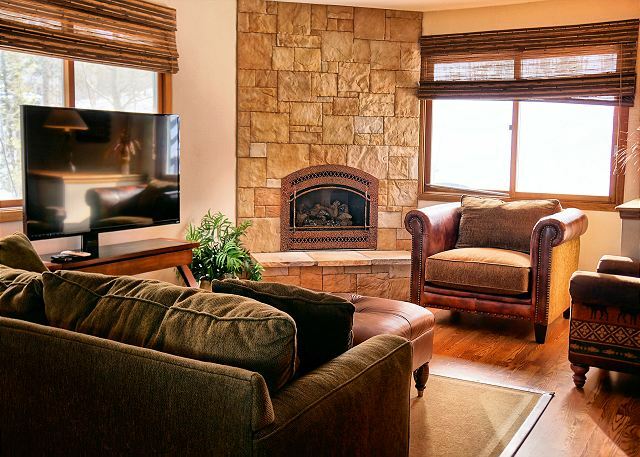 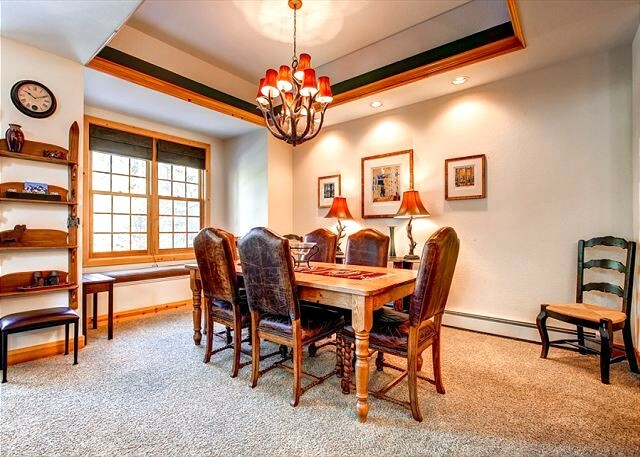 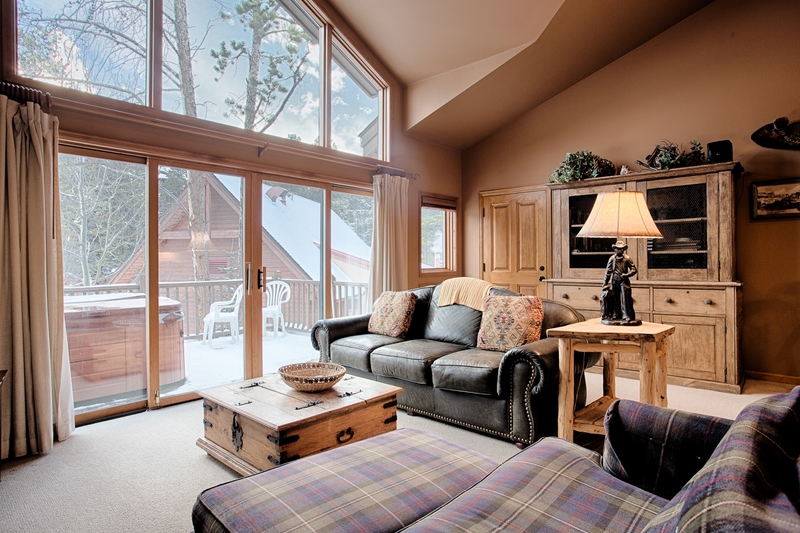 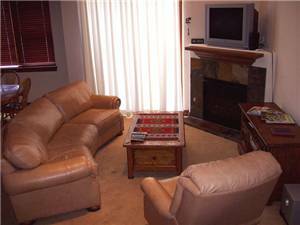 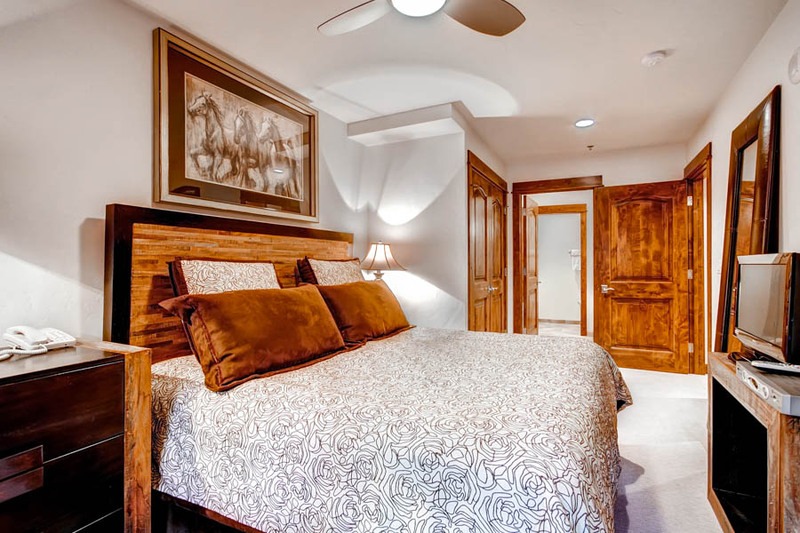 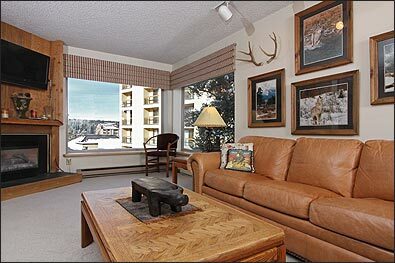 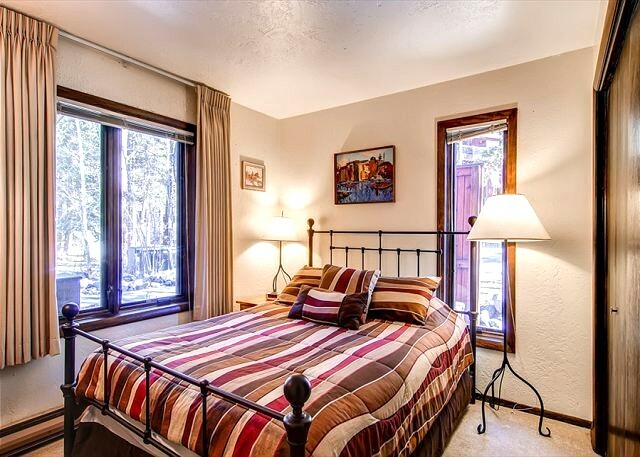 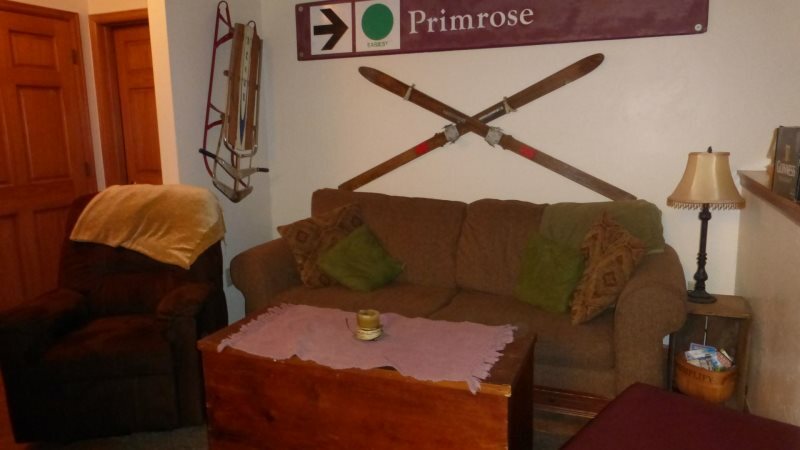 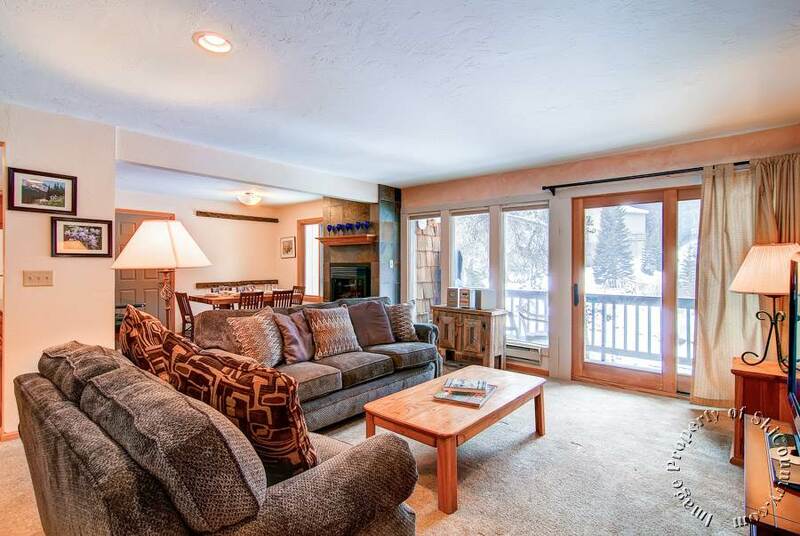 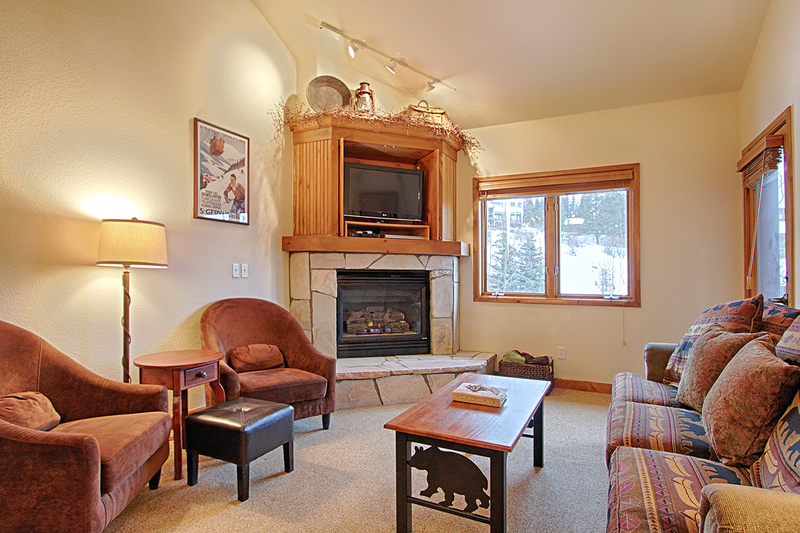 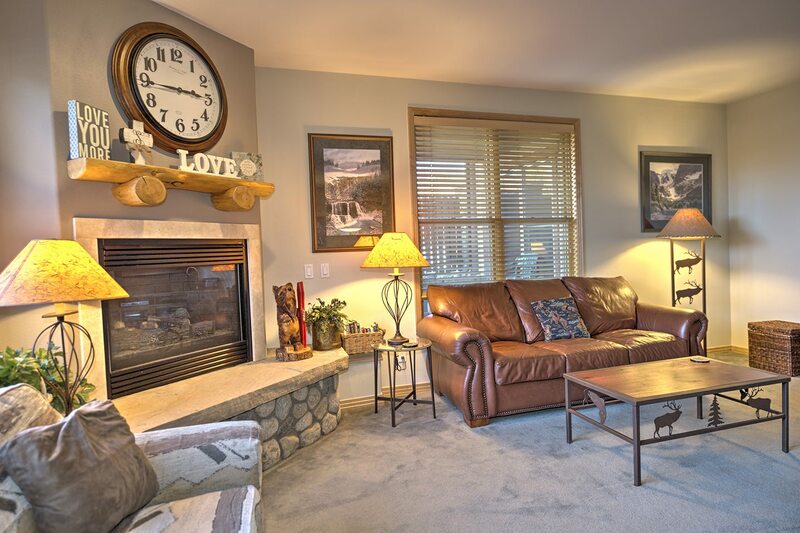 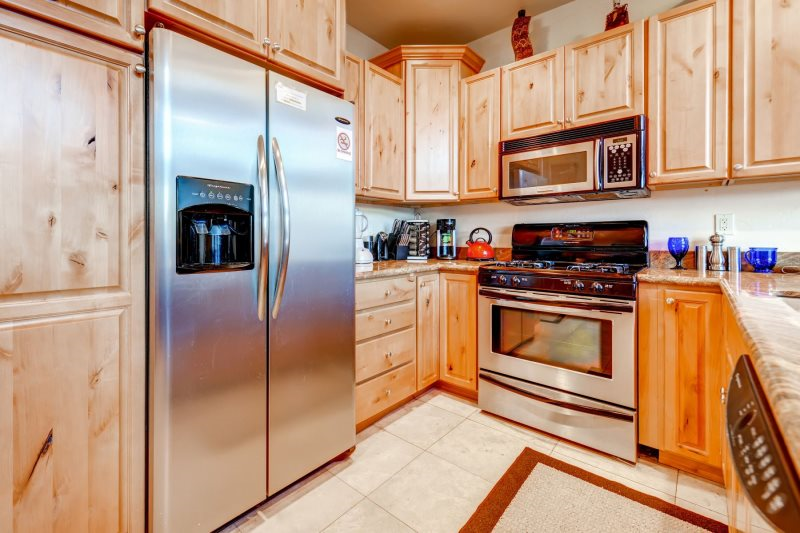 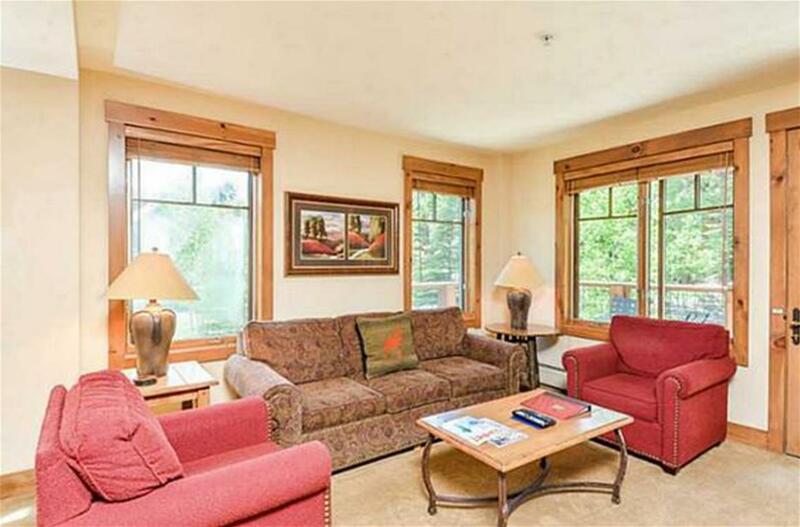 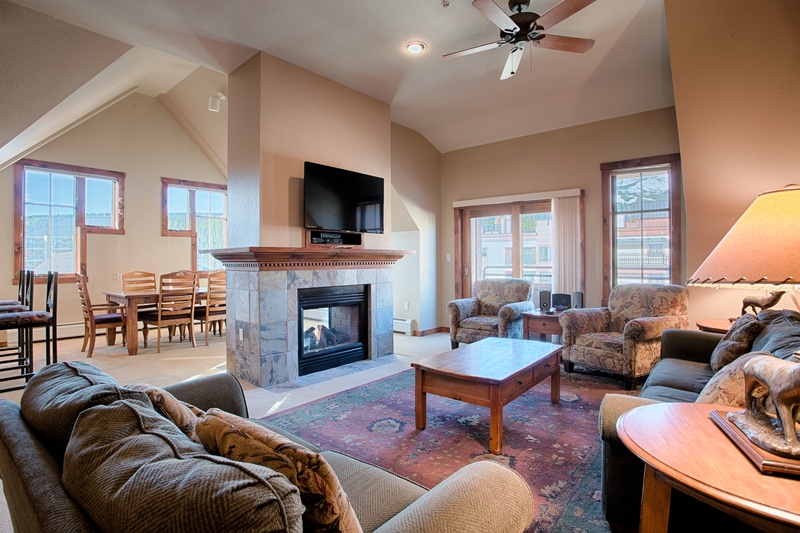 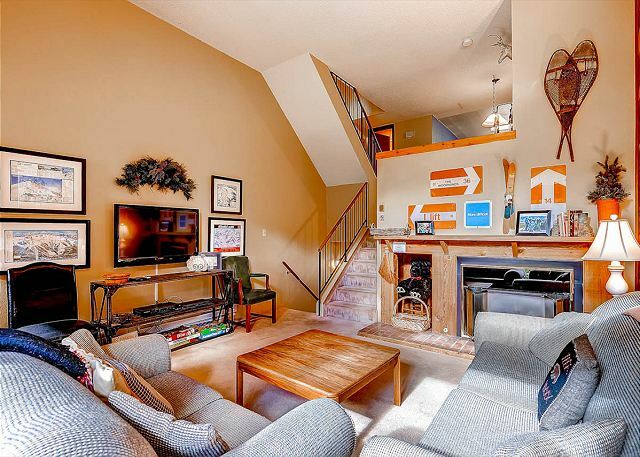 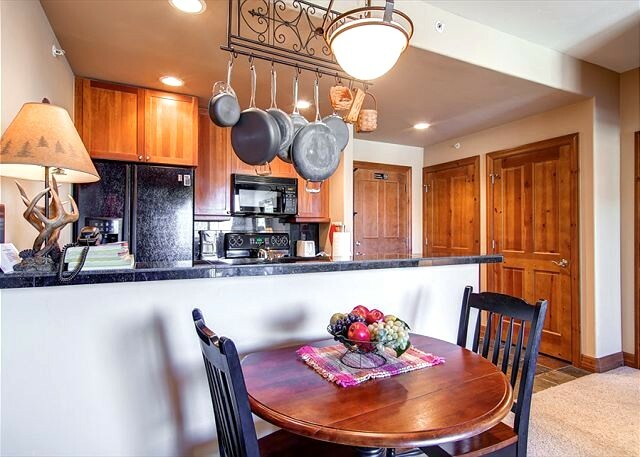 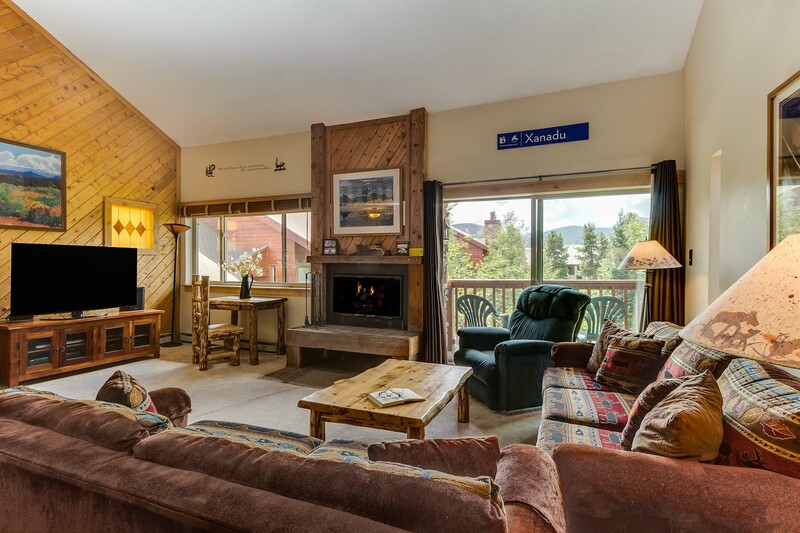 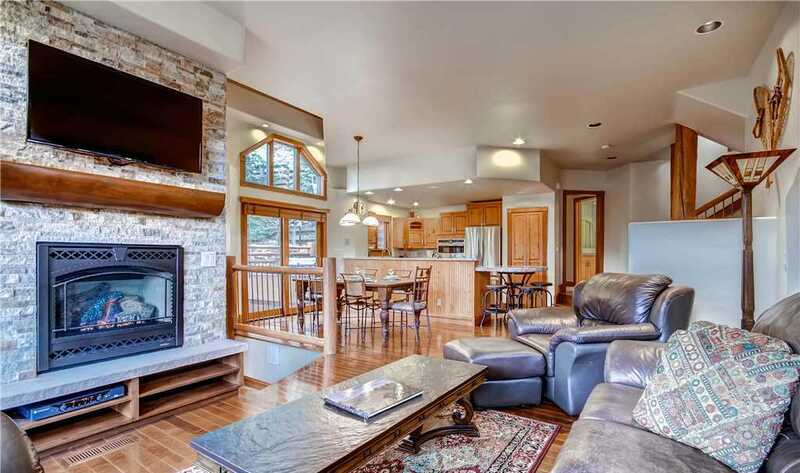 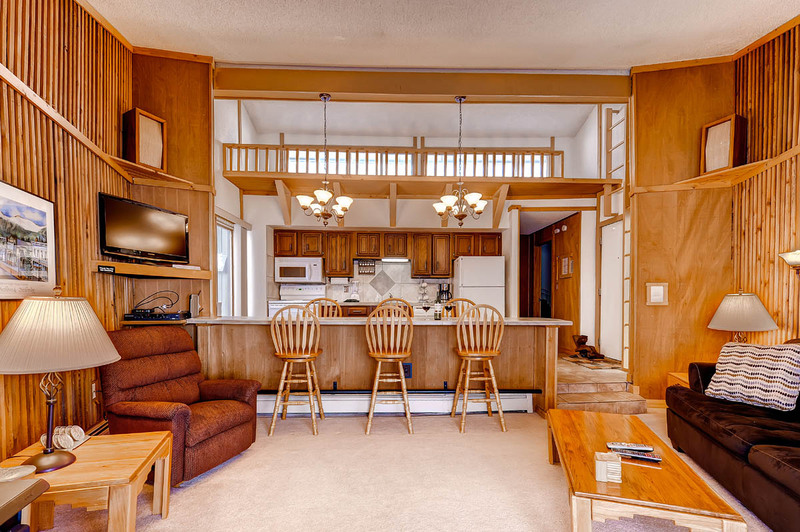 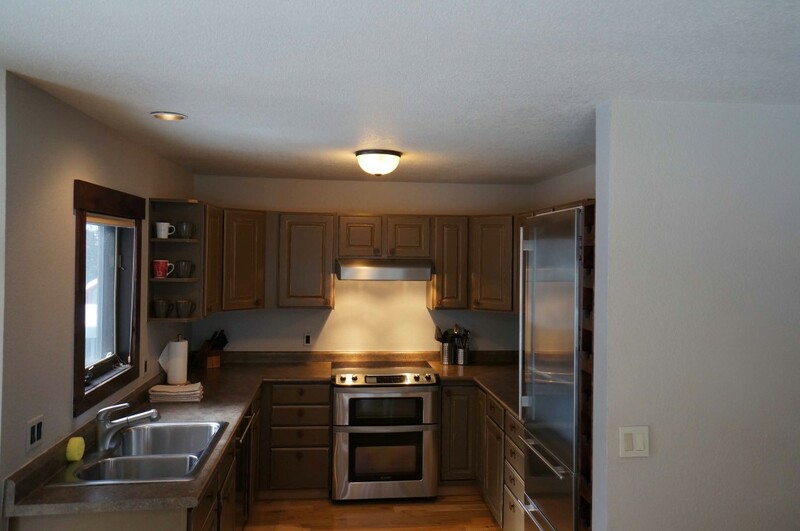 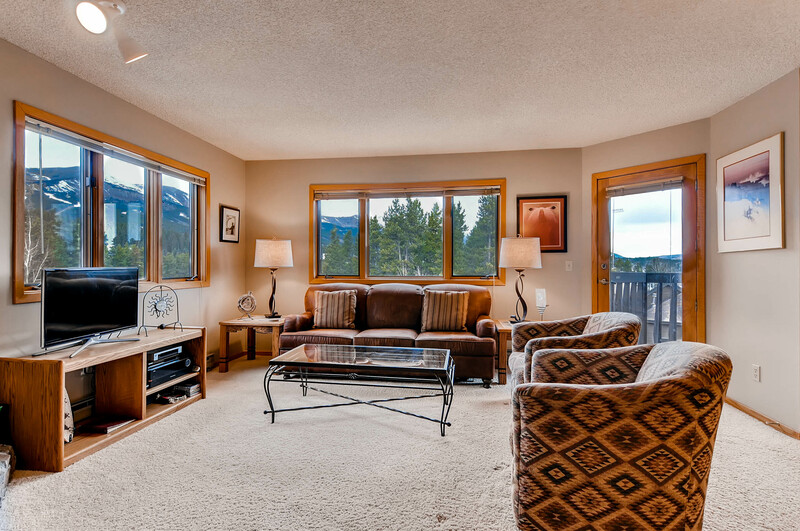 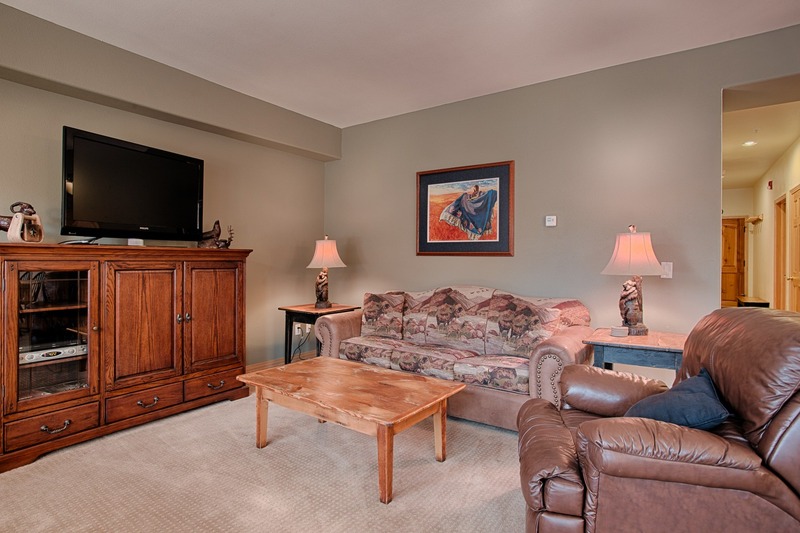 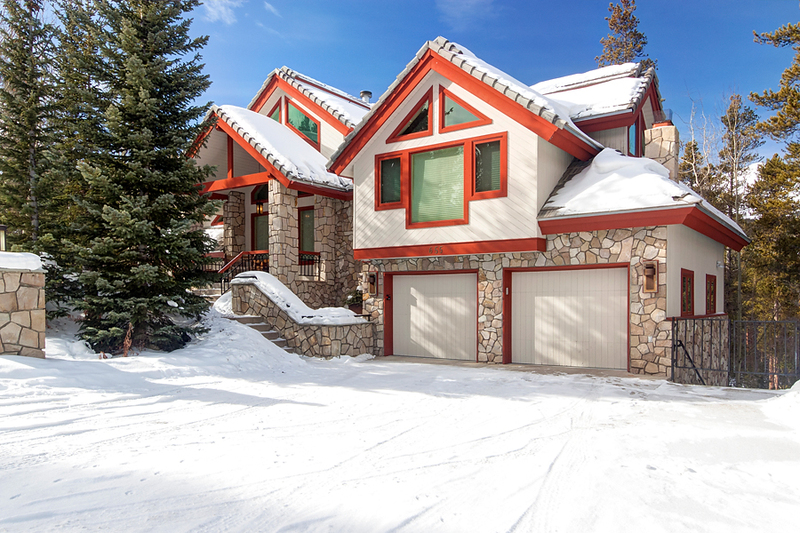 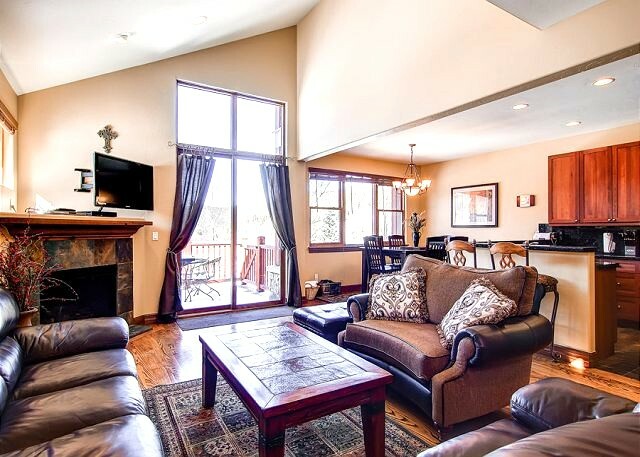 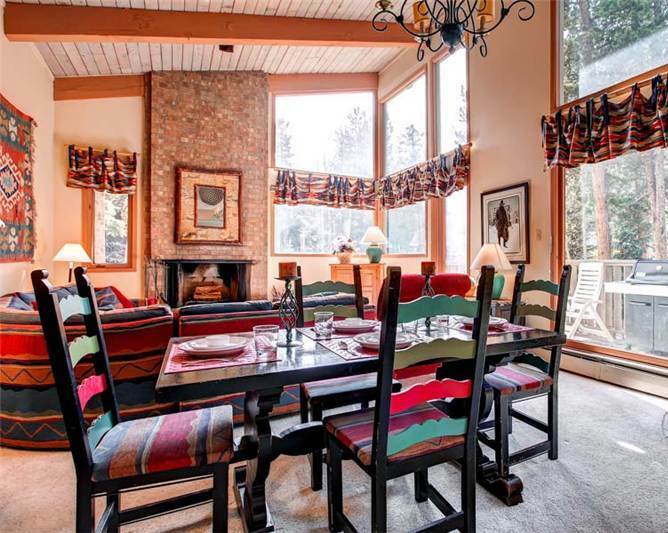 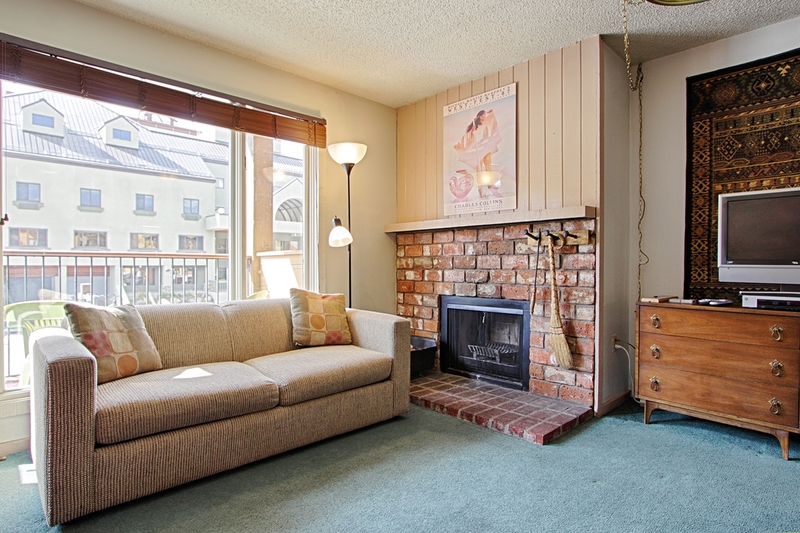 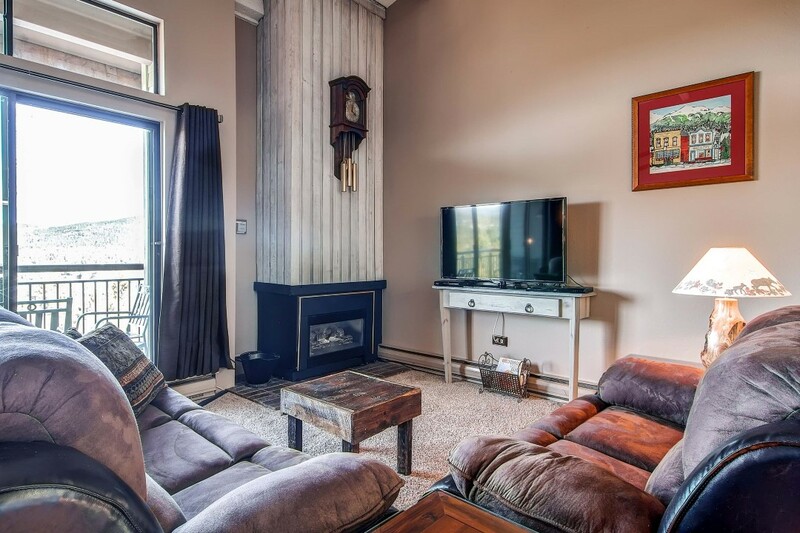 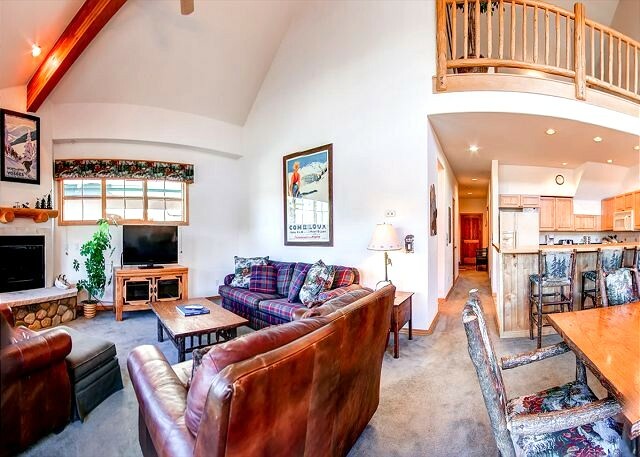 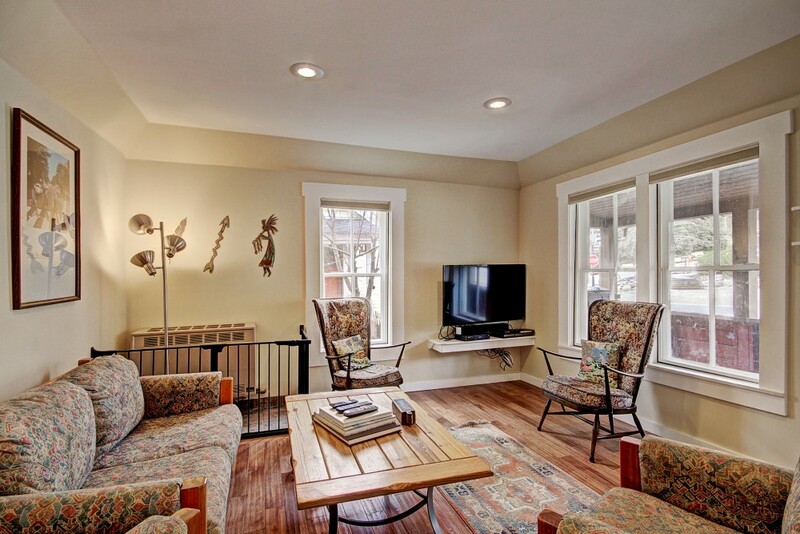 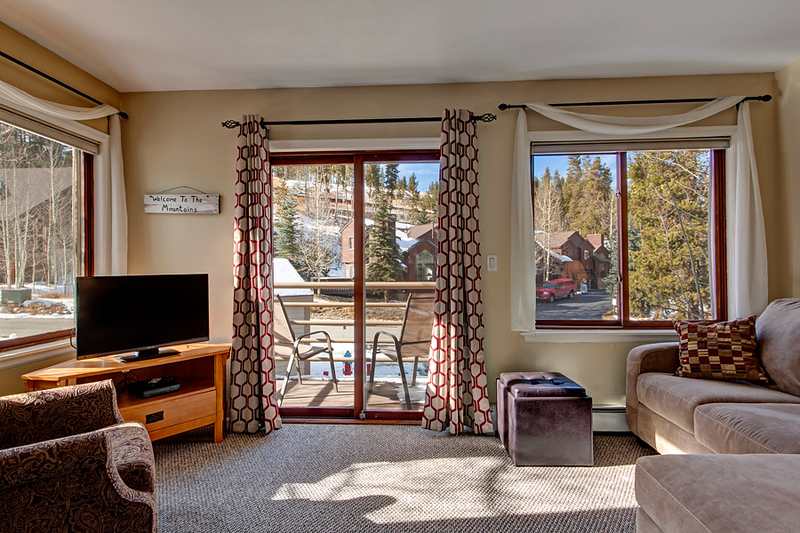 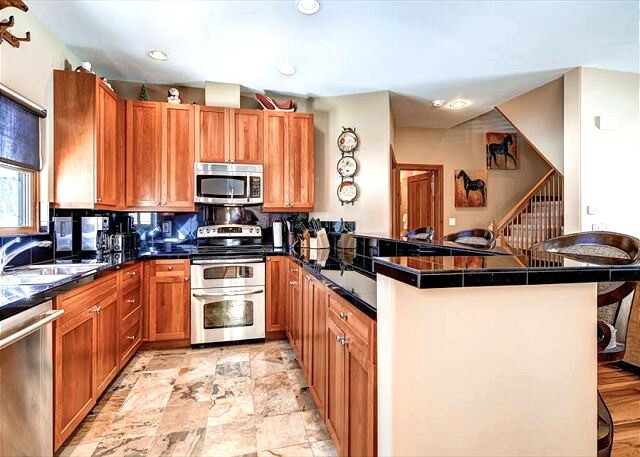 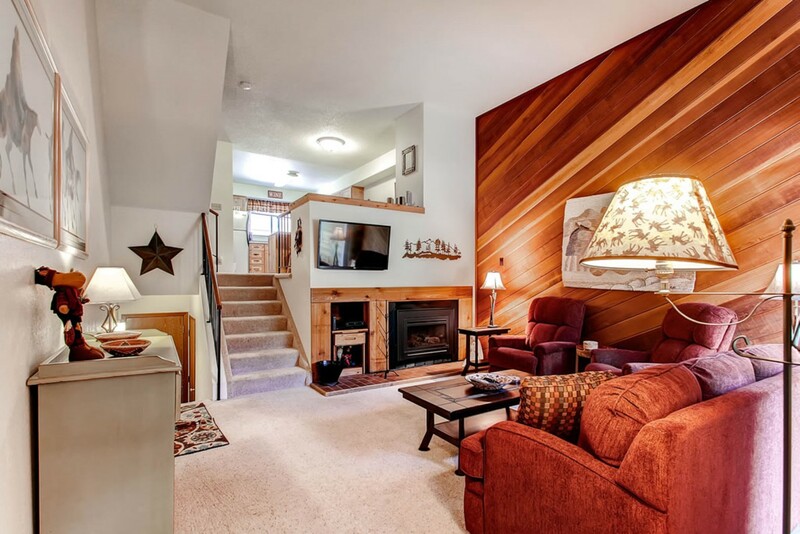 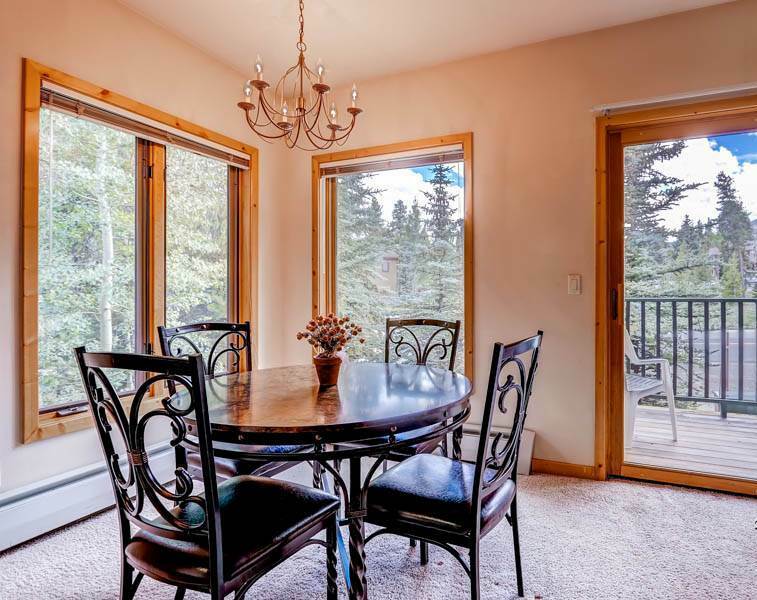 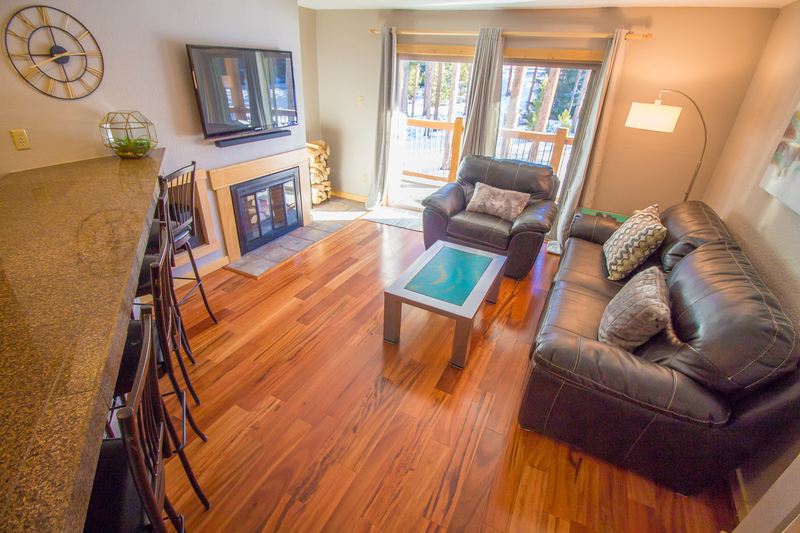 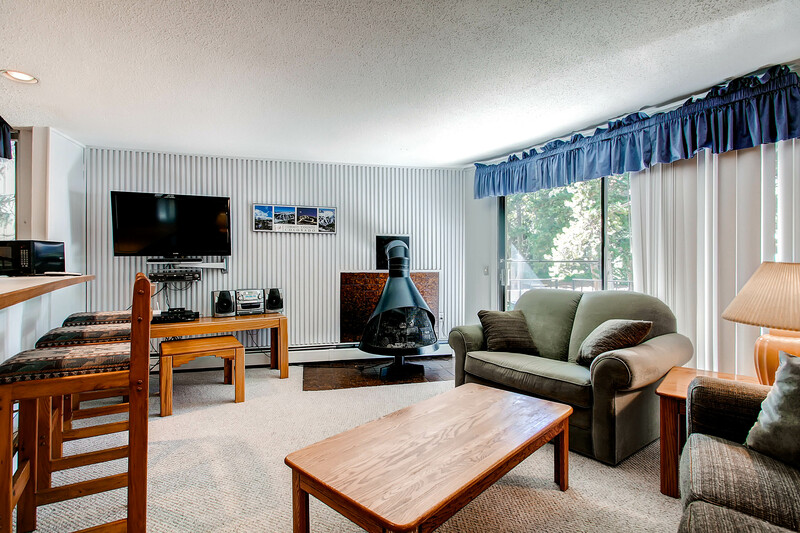 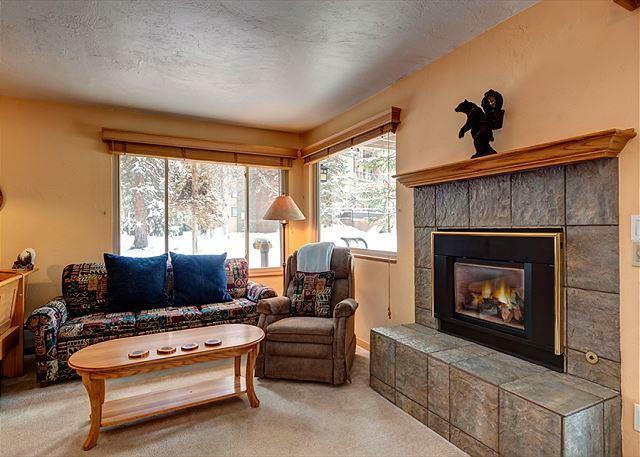 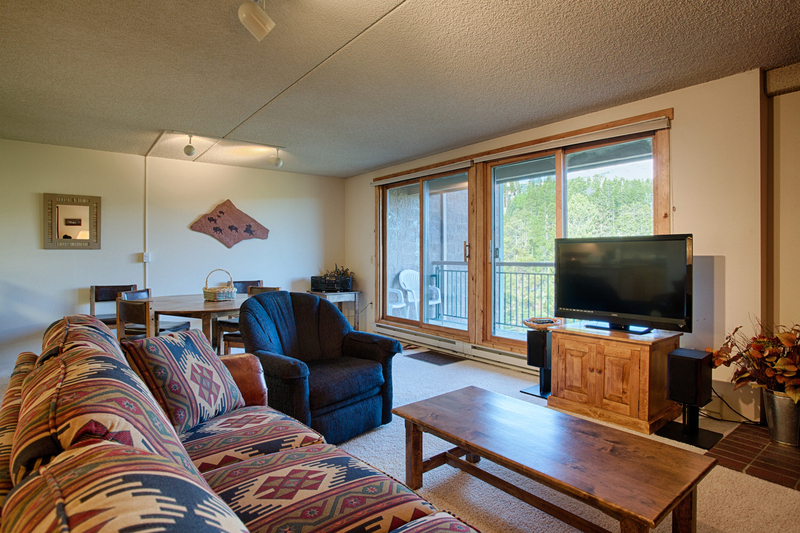 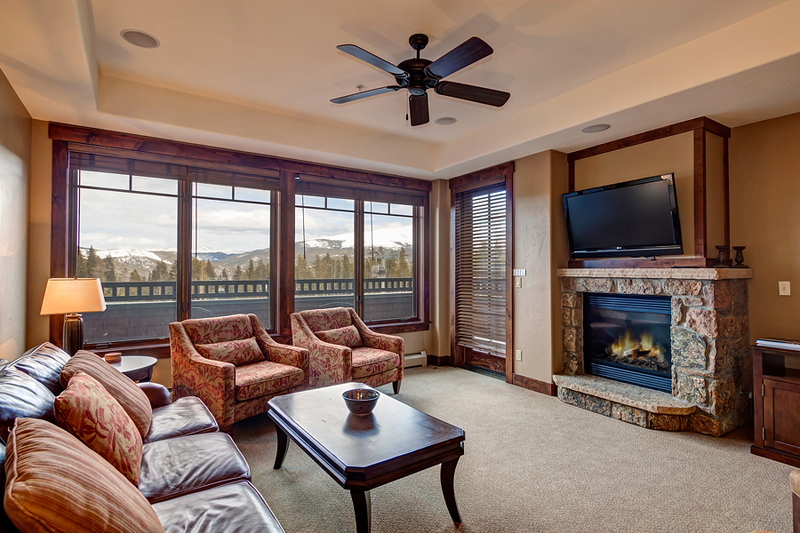 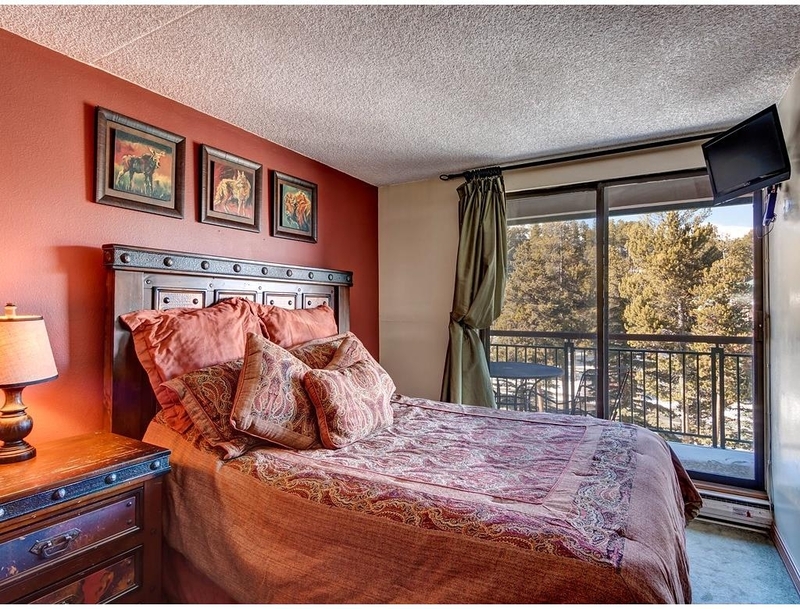 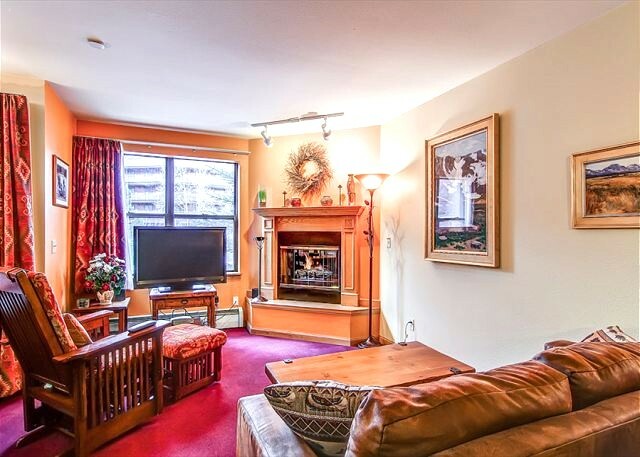 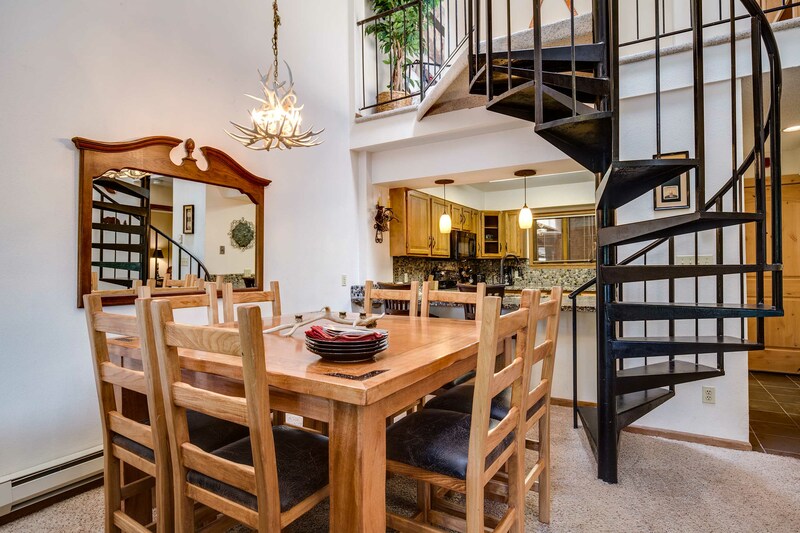 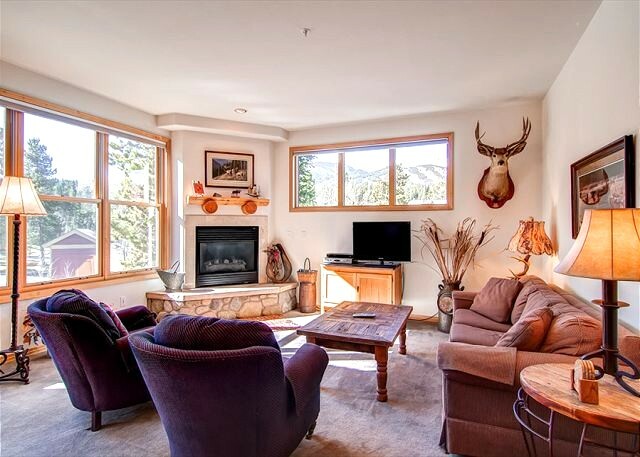 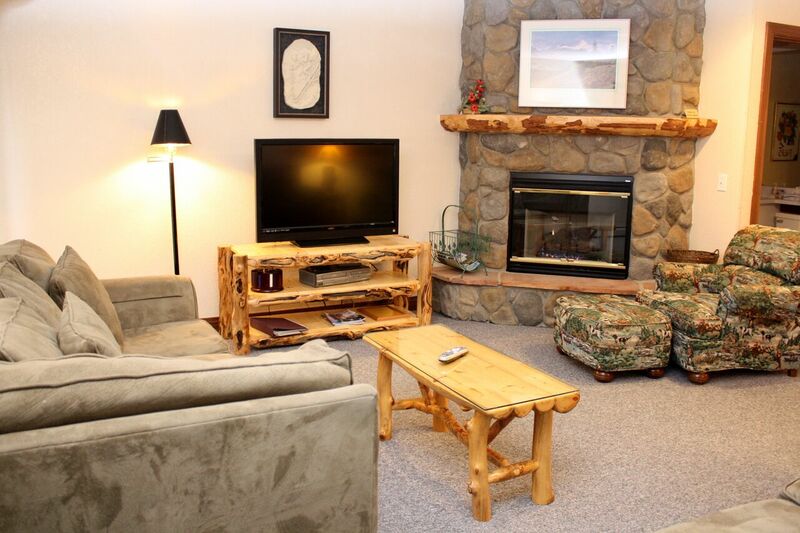 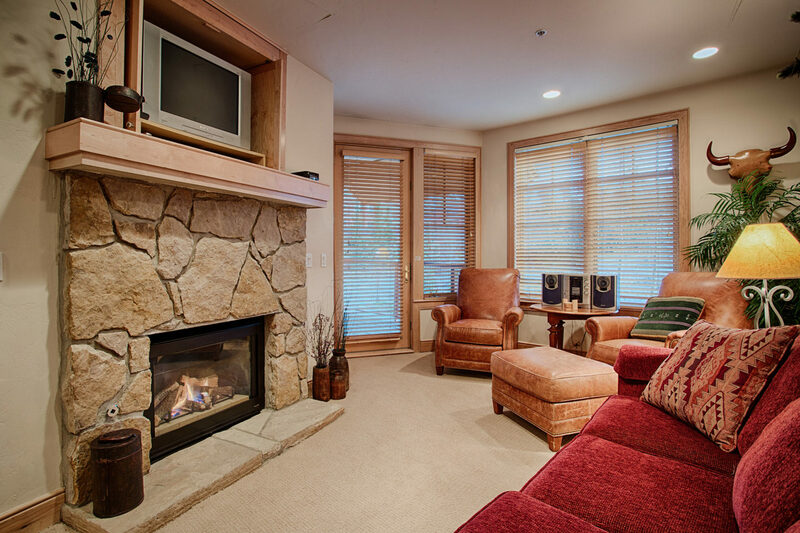 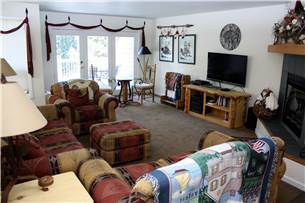 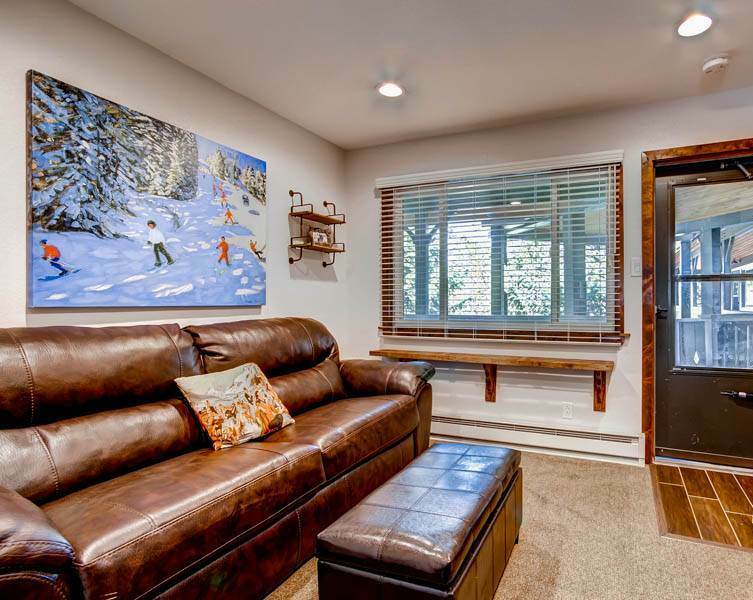 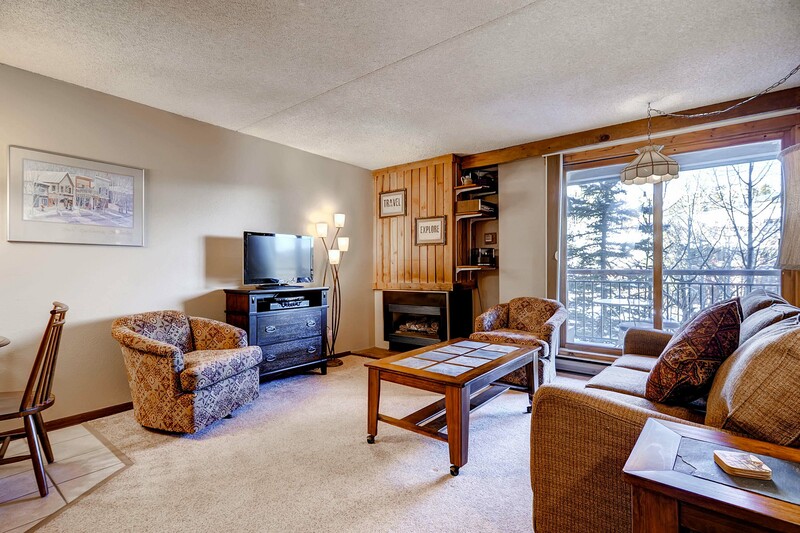 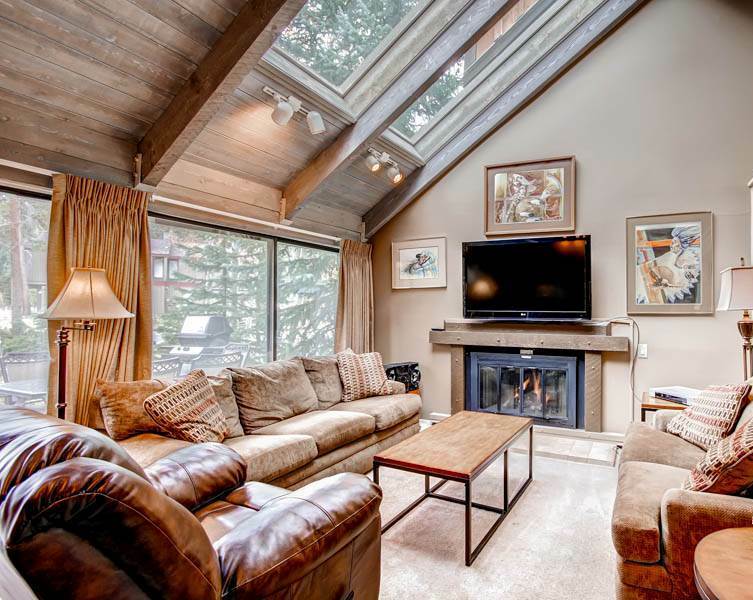 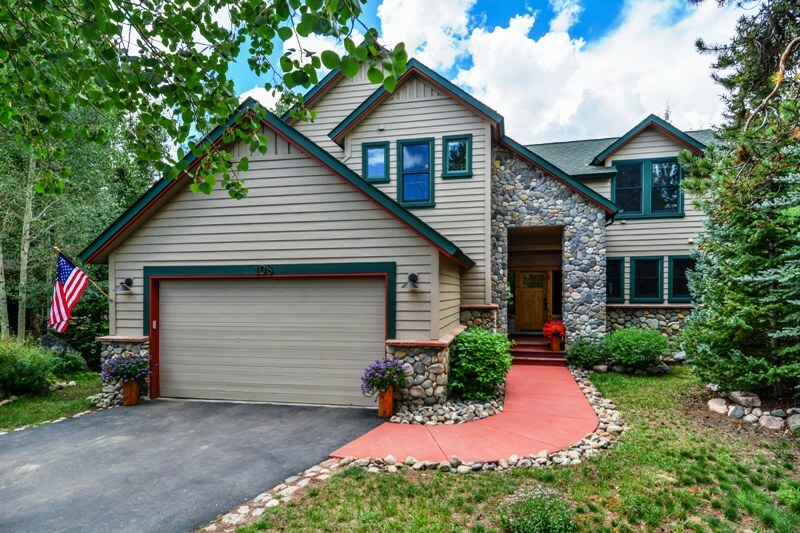 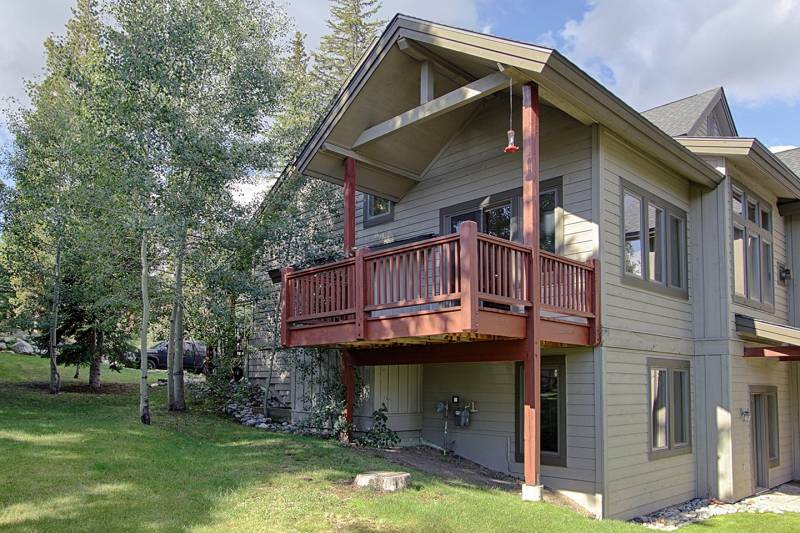 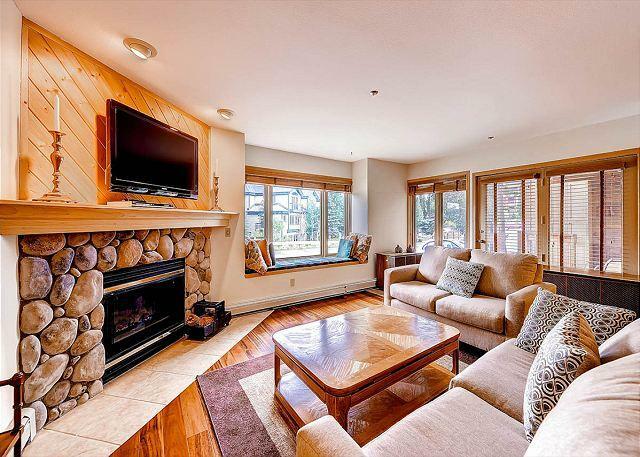 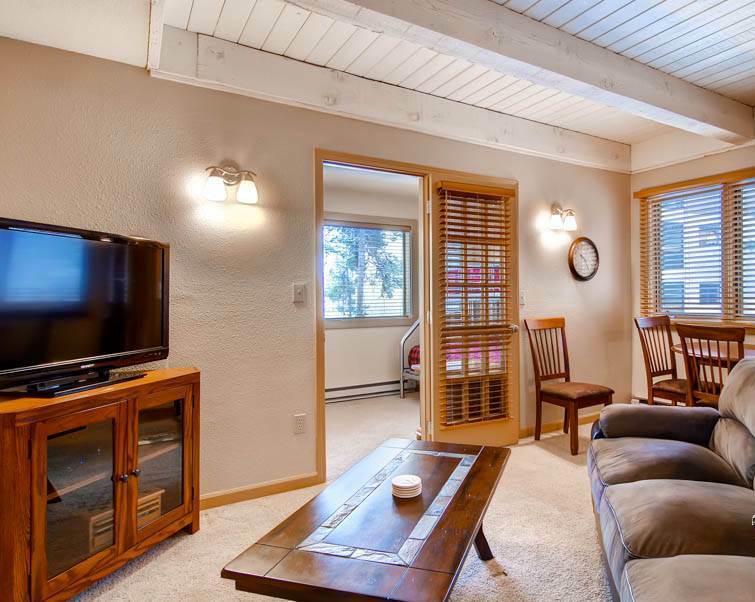 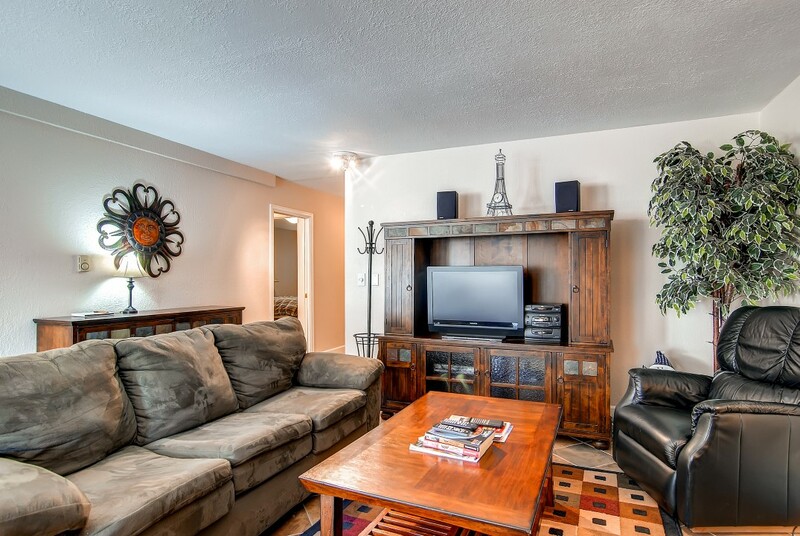 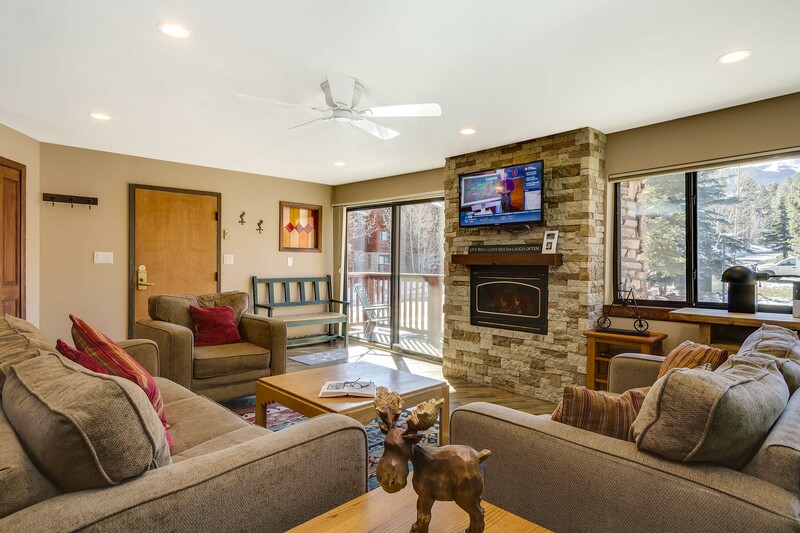 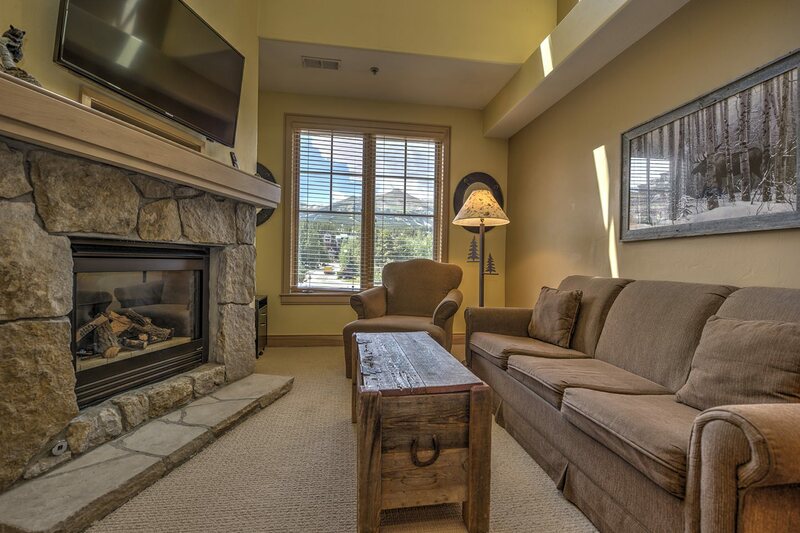 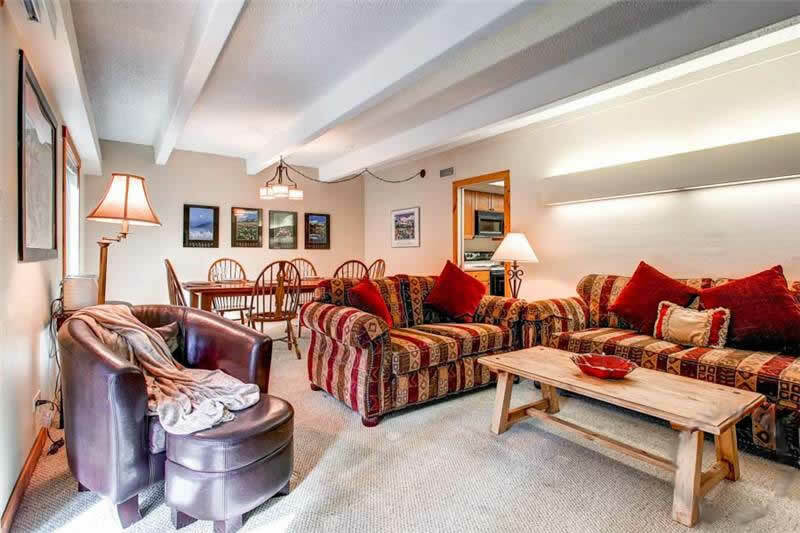 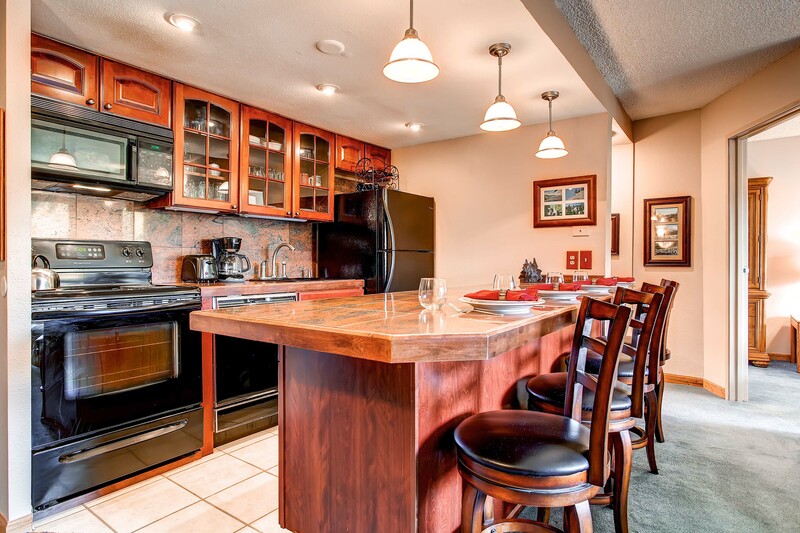 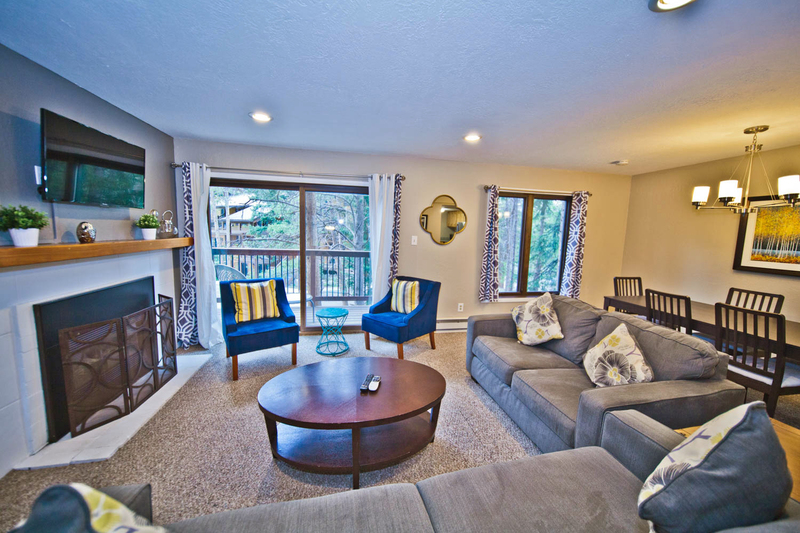 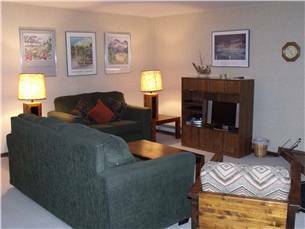 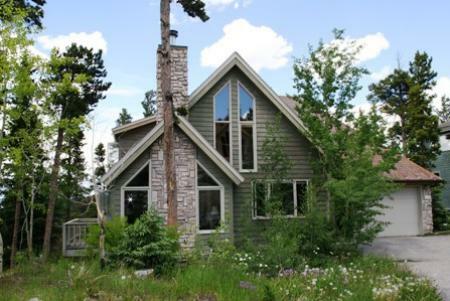 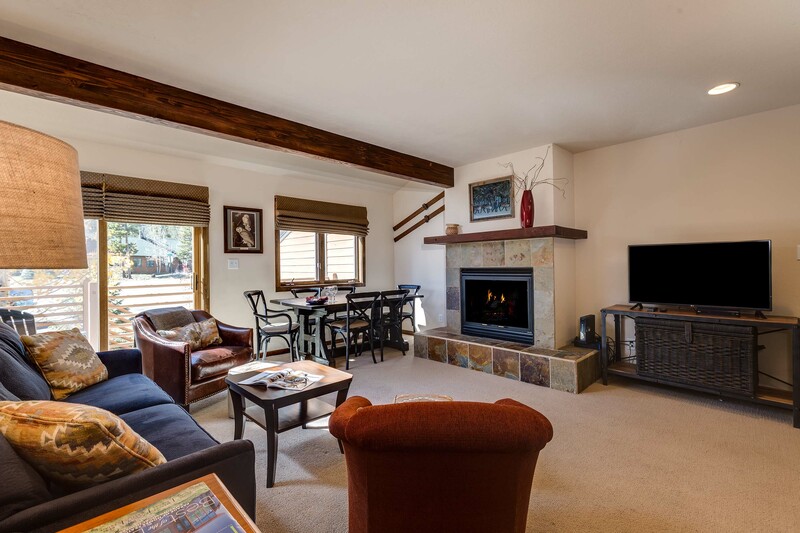 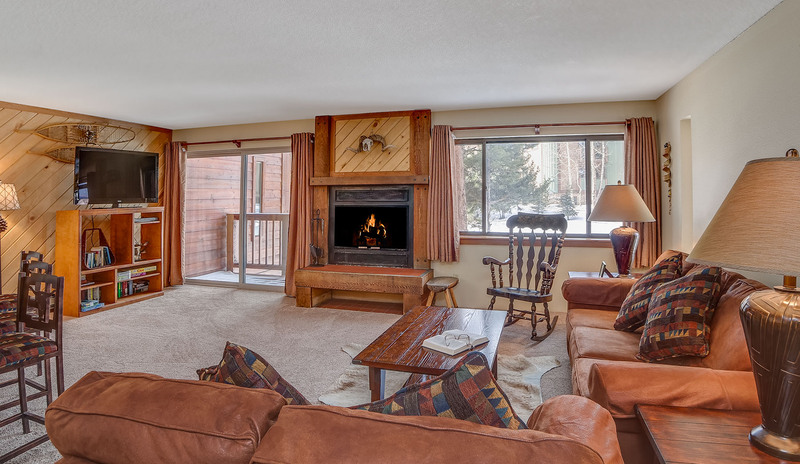 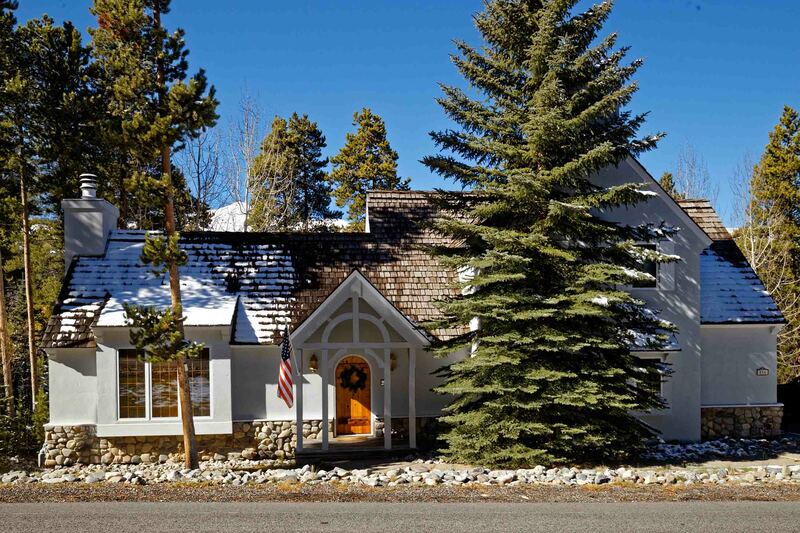 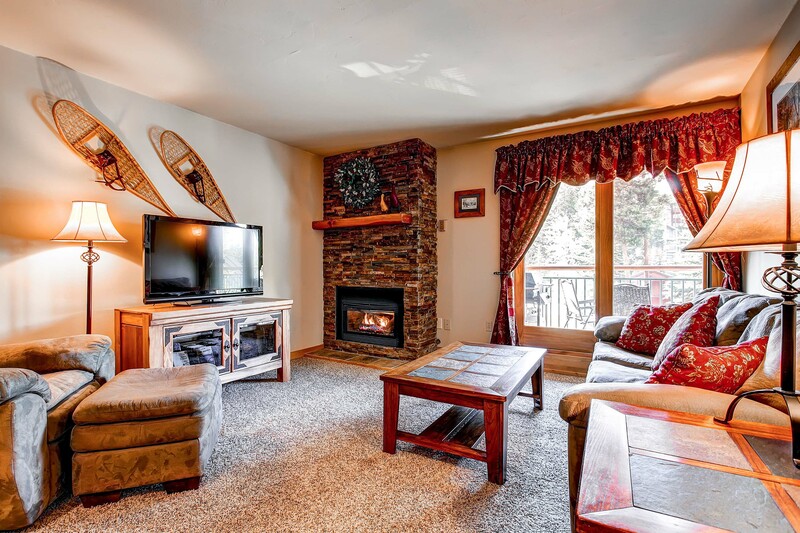 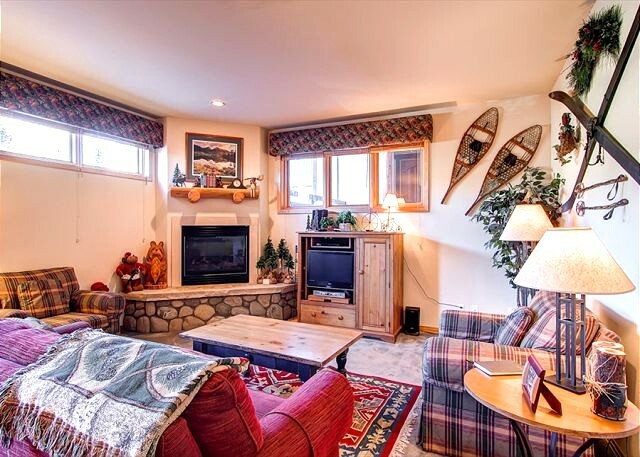 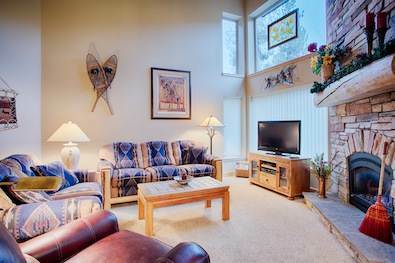 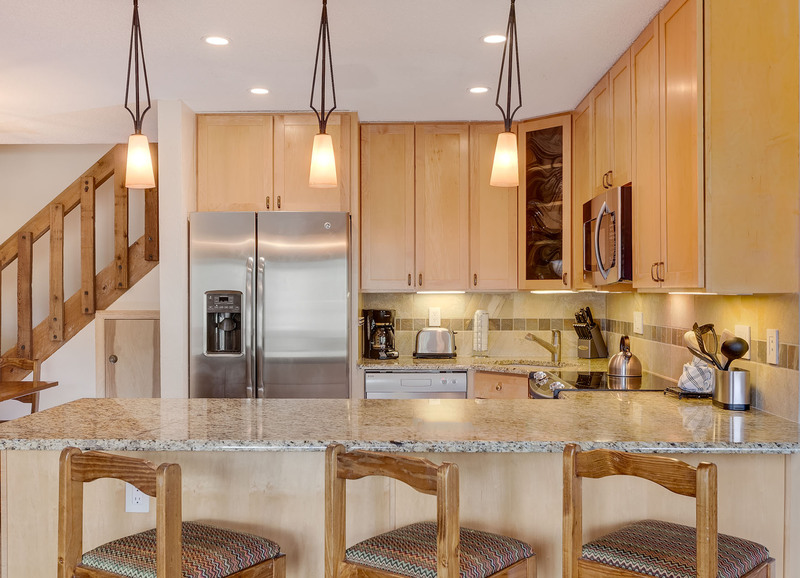 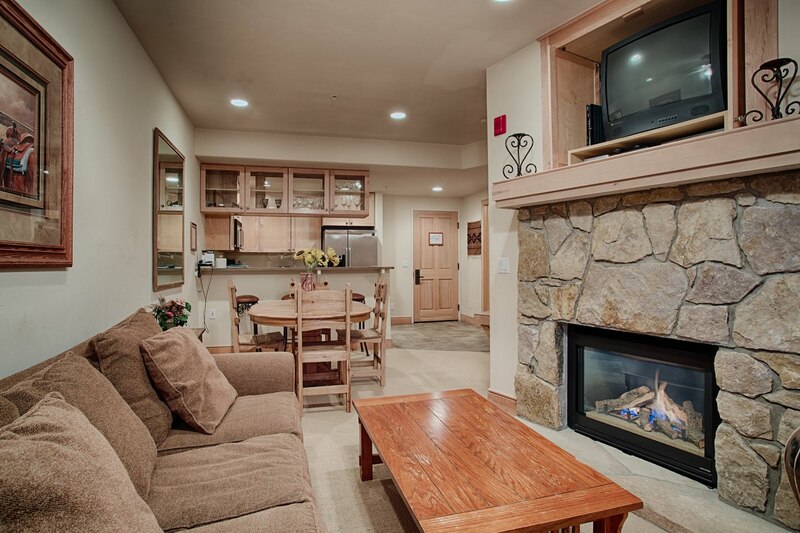 LOCATION – At Main Street Station you are truly located directly on historic Main Street, on the south side of Breckenridge within walking distance to the lifts and on the free town shuttle route; you are conveniently in the center of it all. 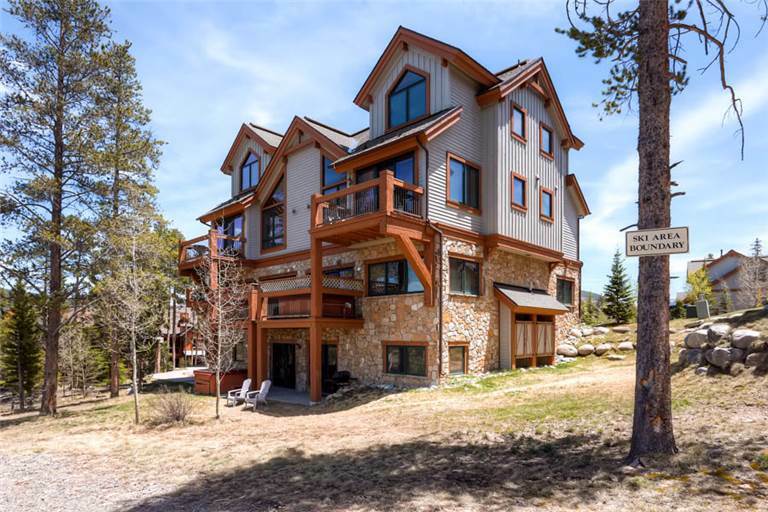 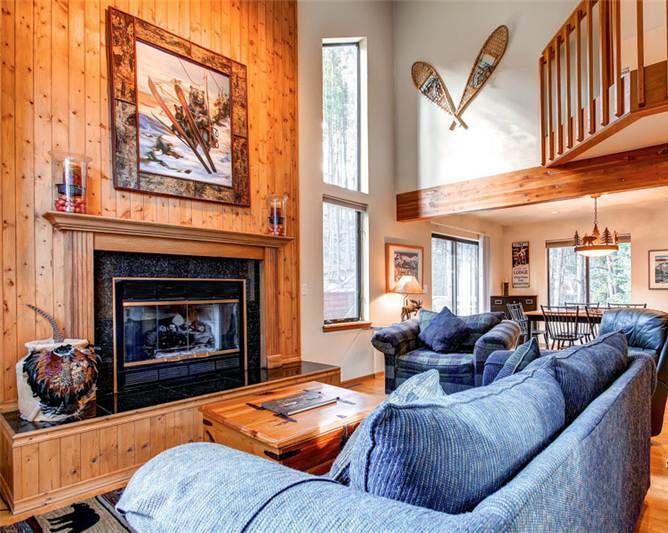 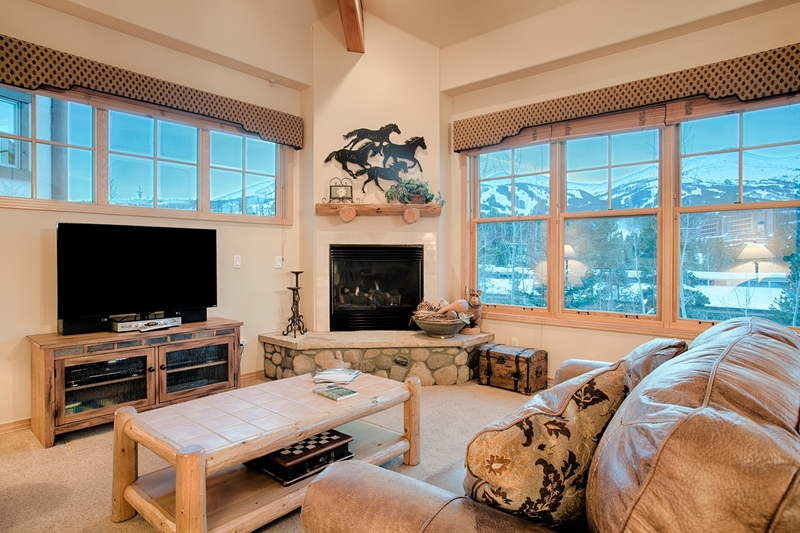 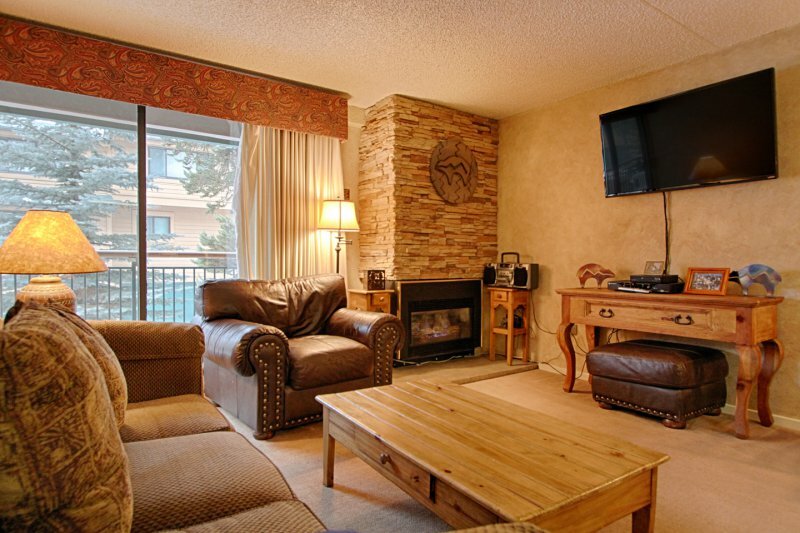 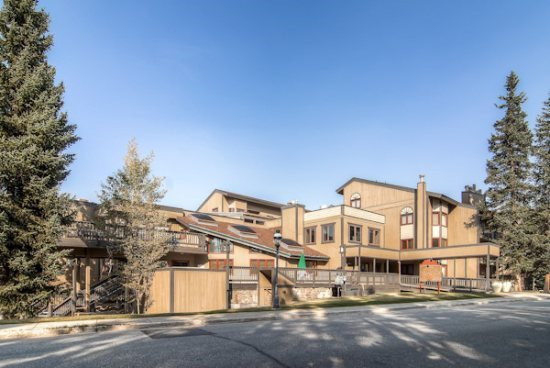 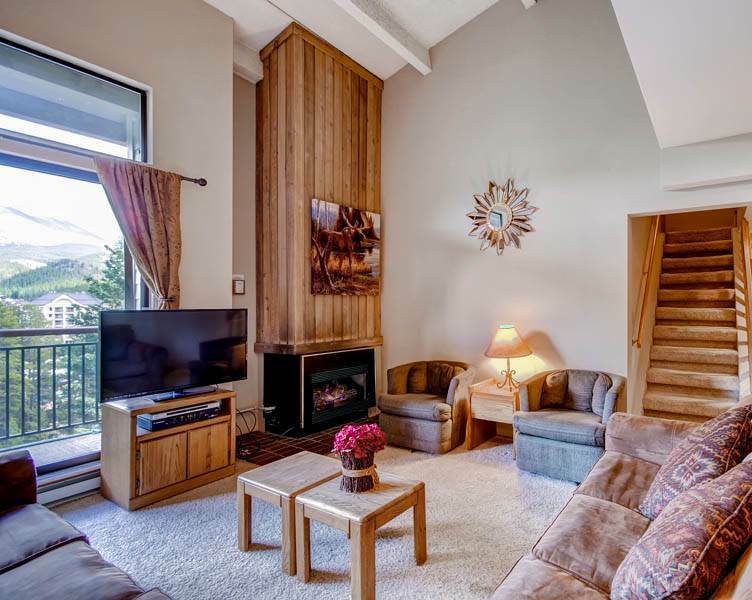 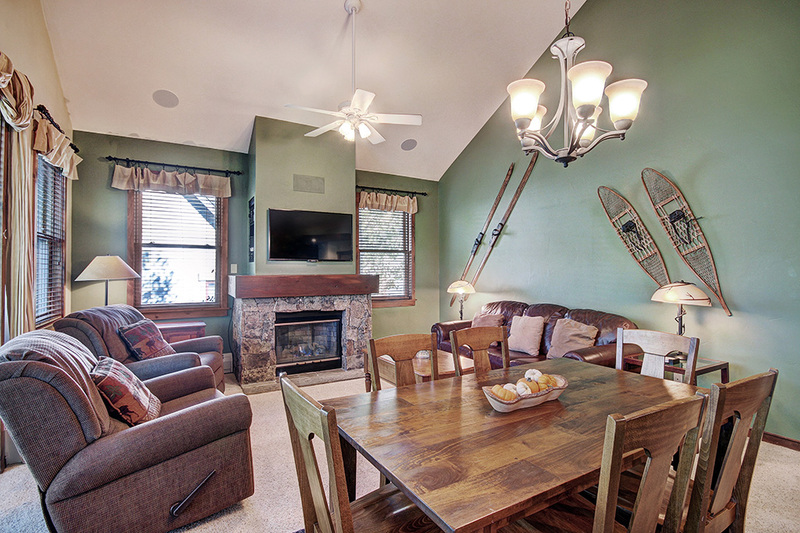 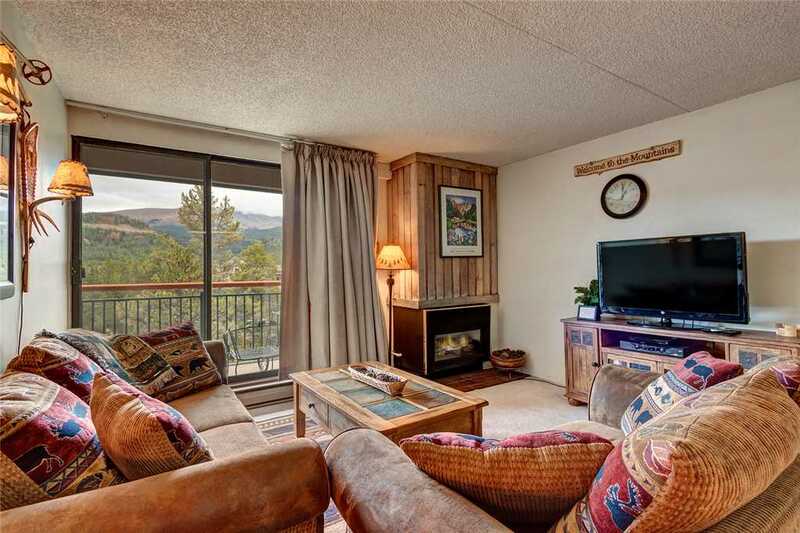 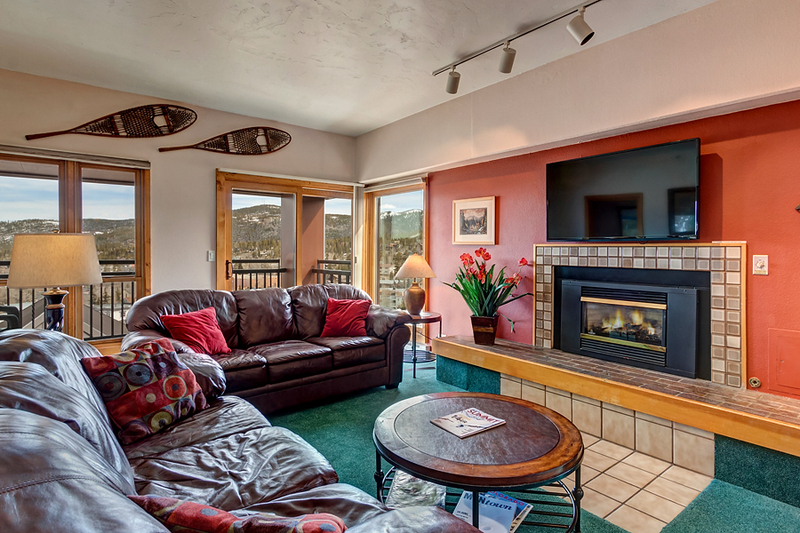 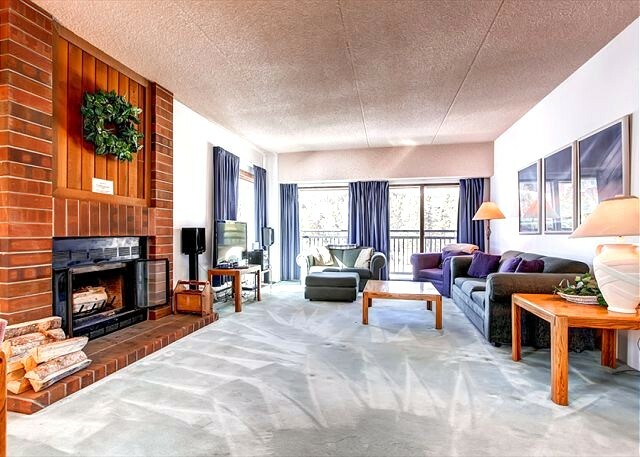 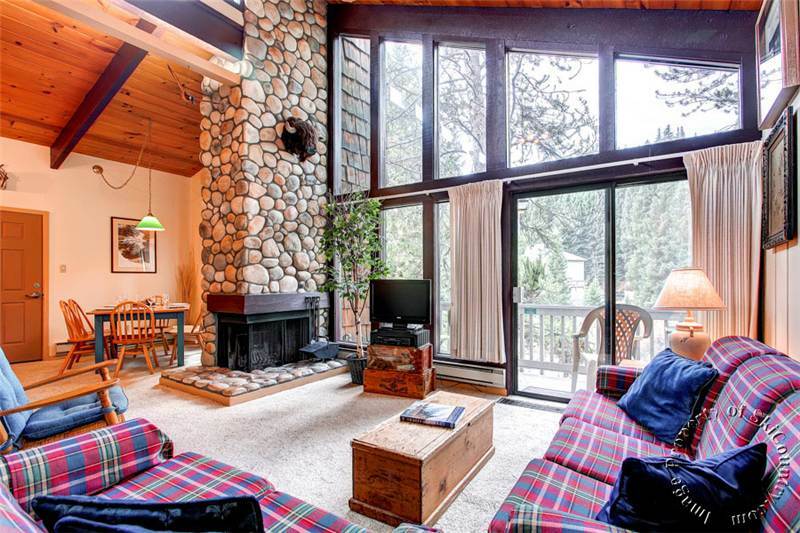 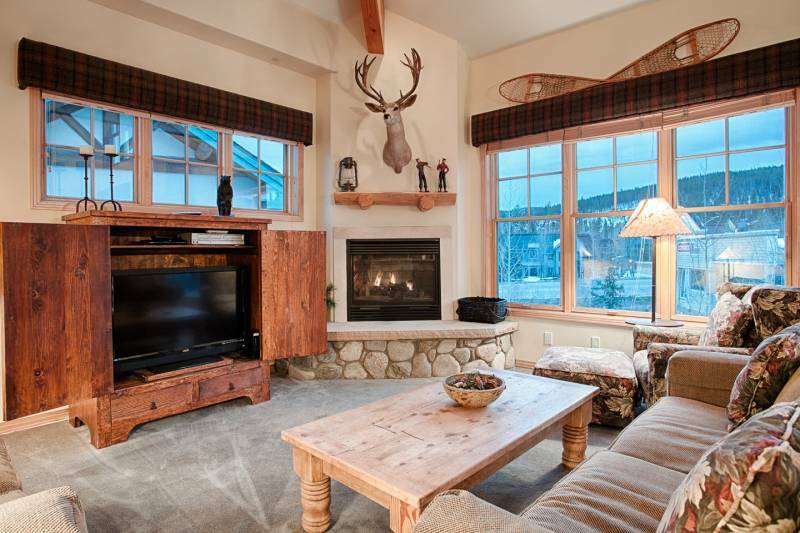 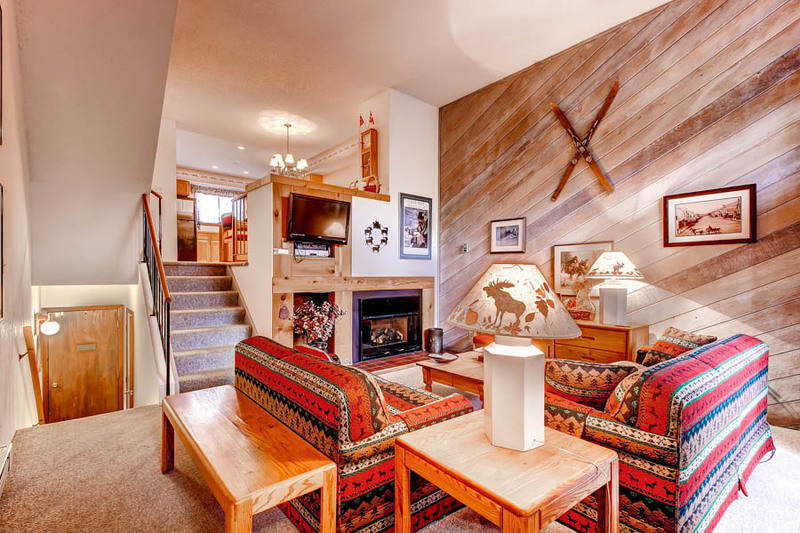 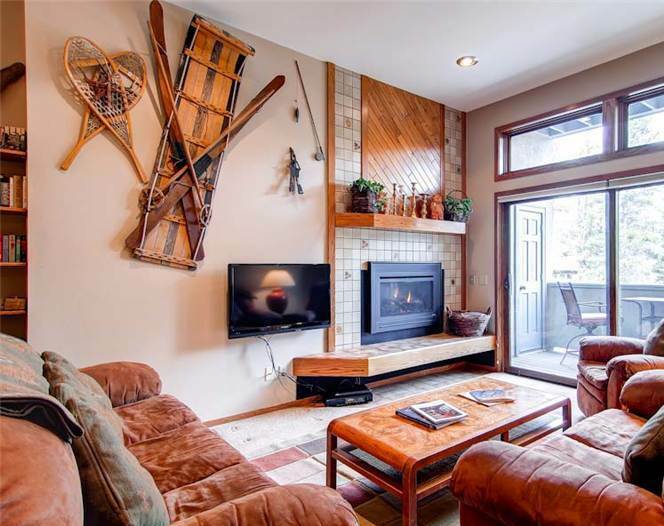 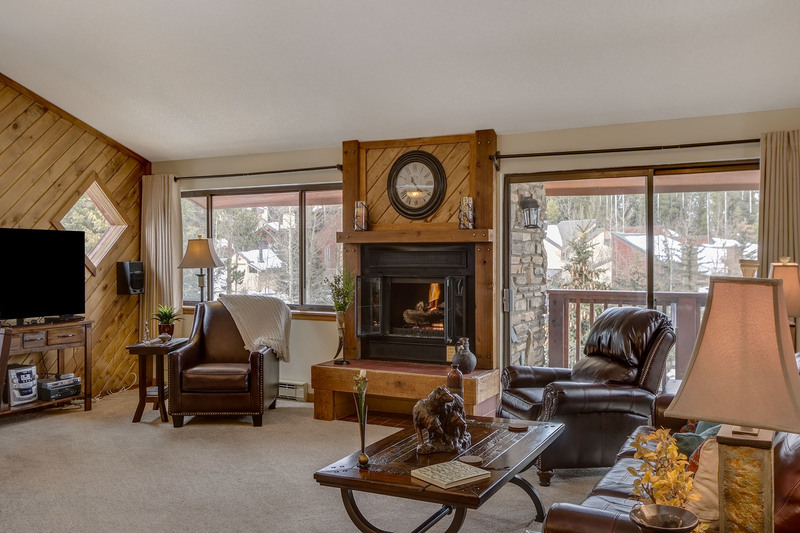 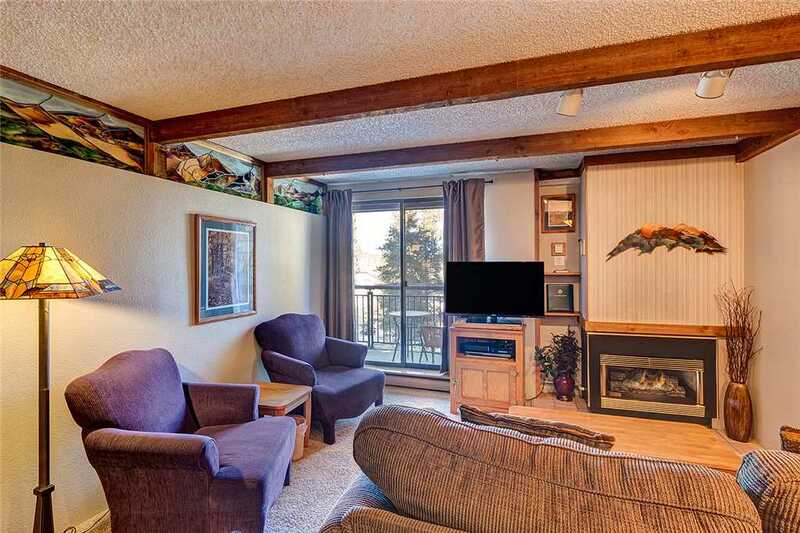 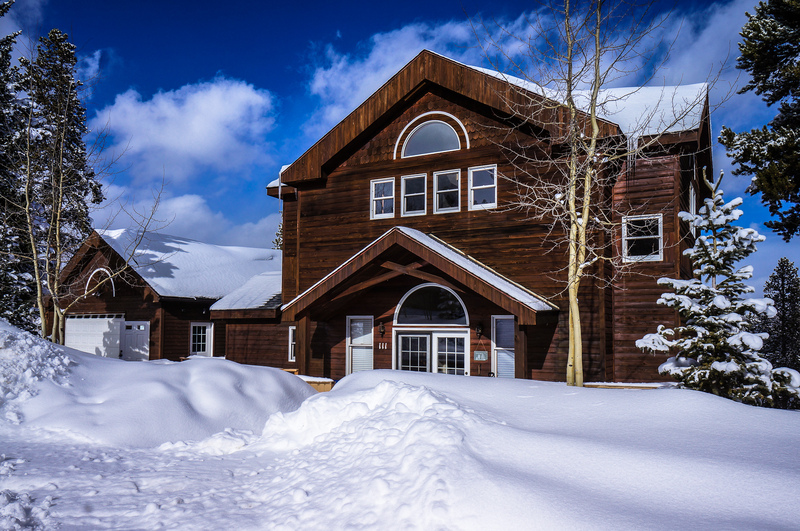 This resort complex is just steps from the lifts at the base of Peak 9 and one block from Main Street for shopping, dining, festivals, museums and plenty of après ski options. 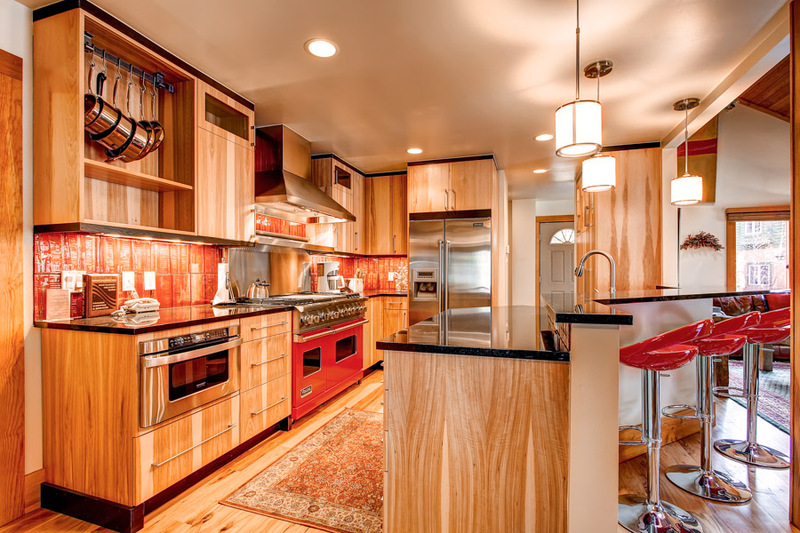 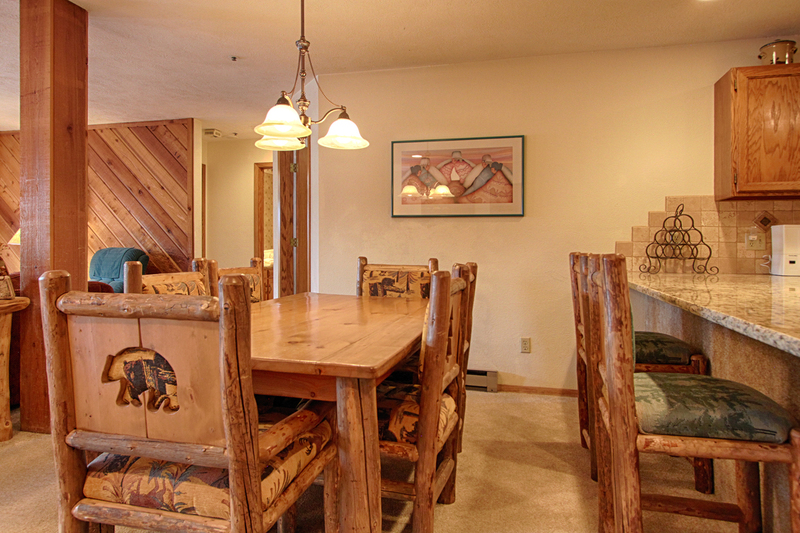 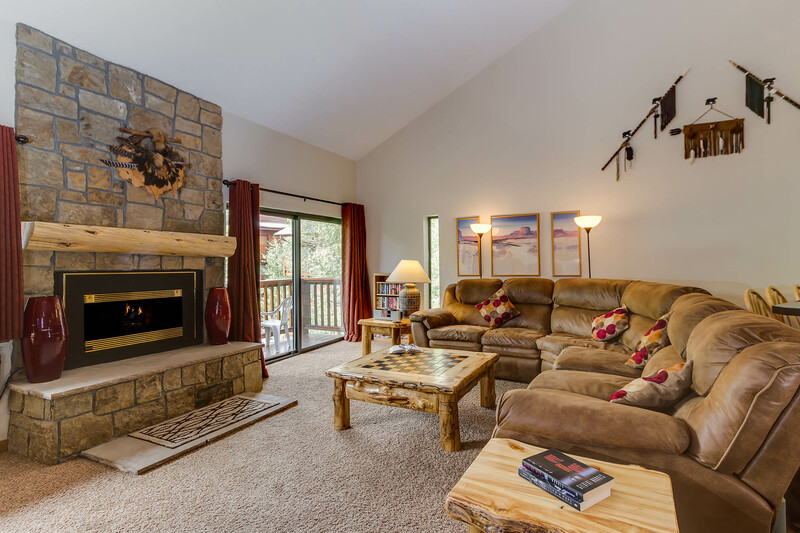 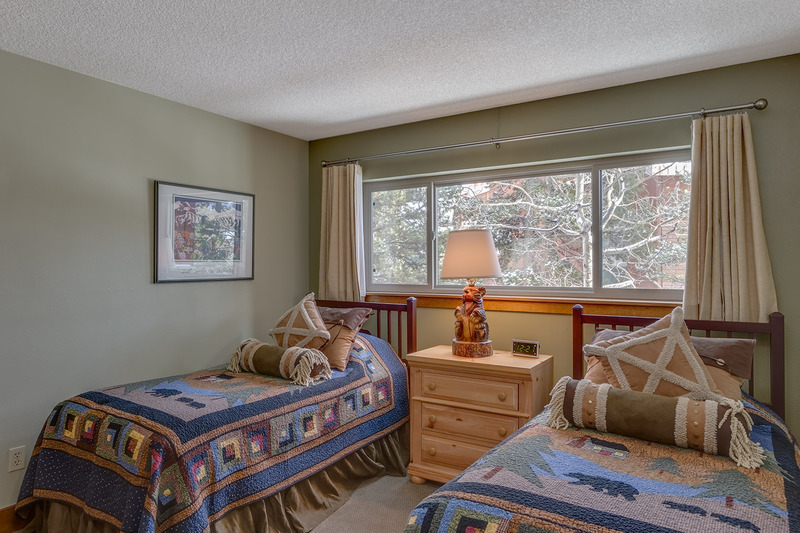 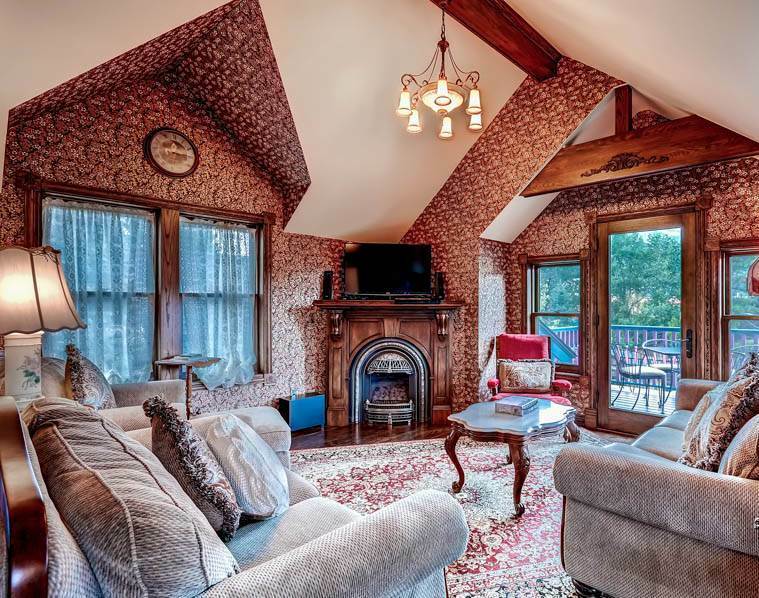 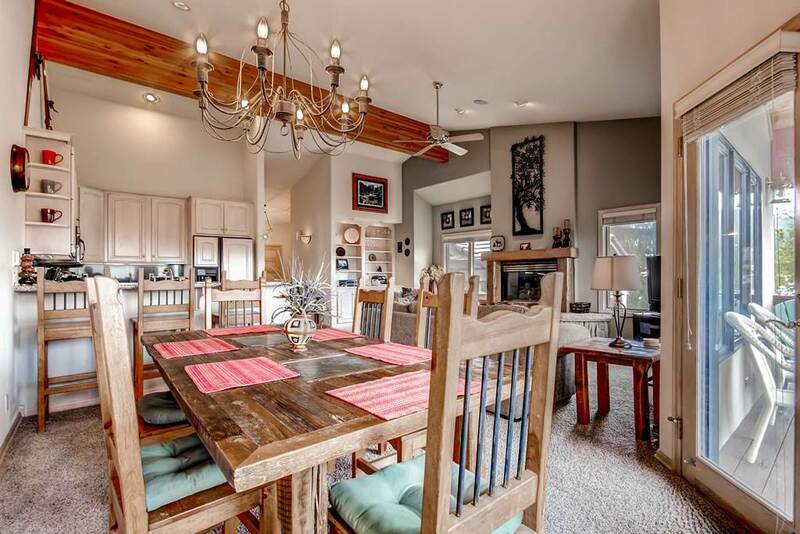 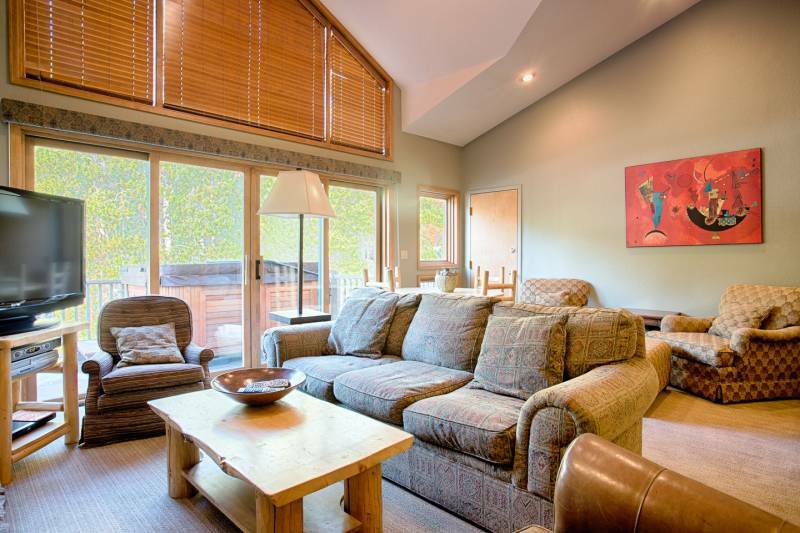 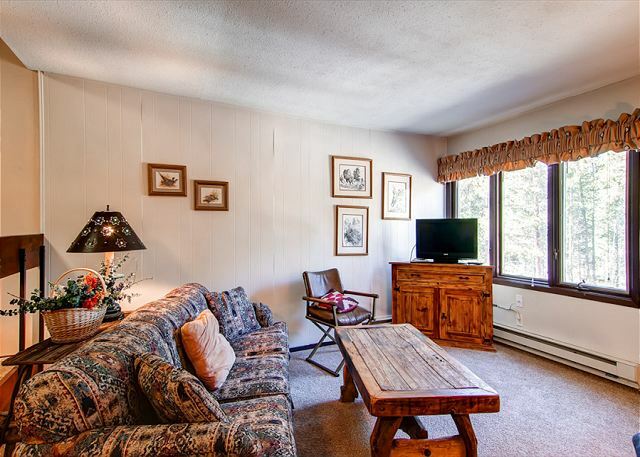 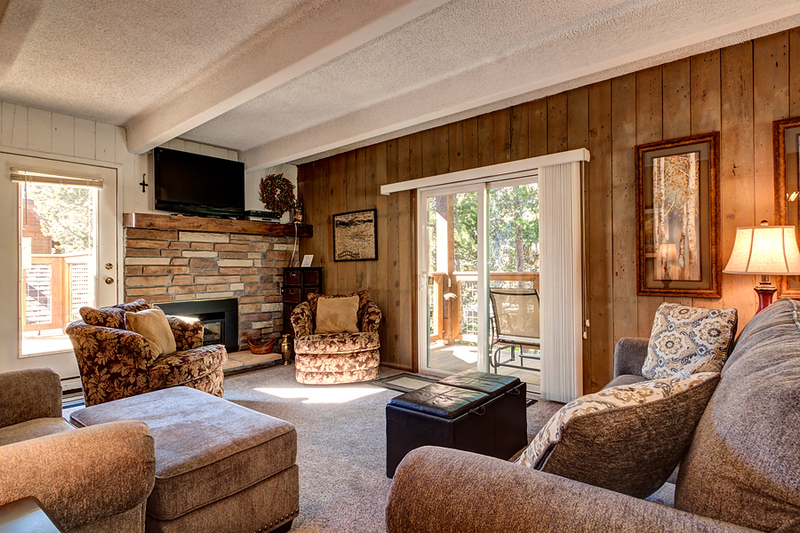 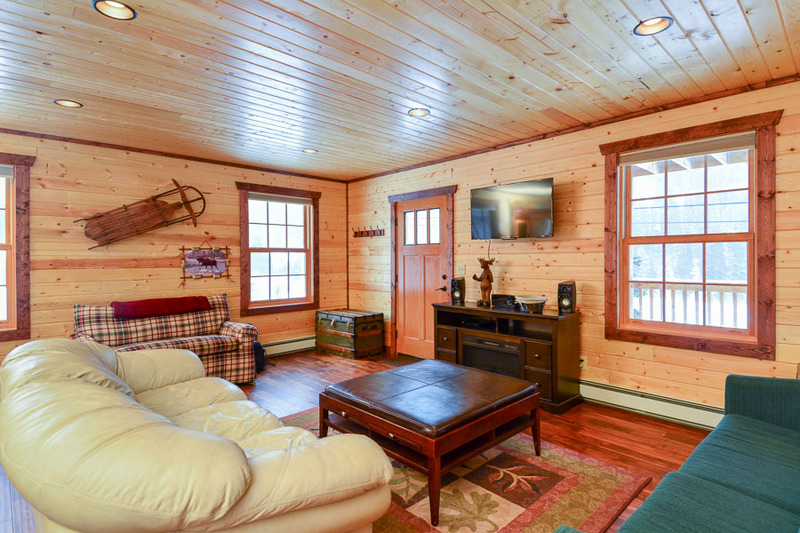 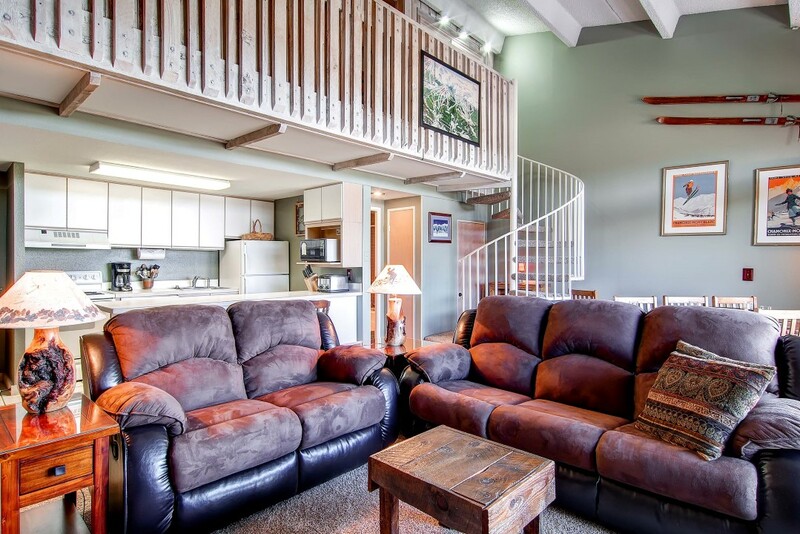 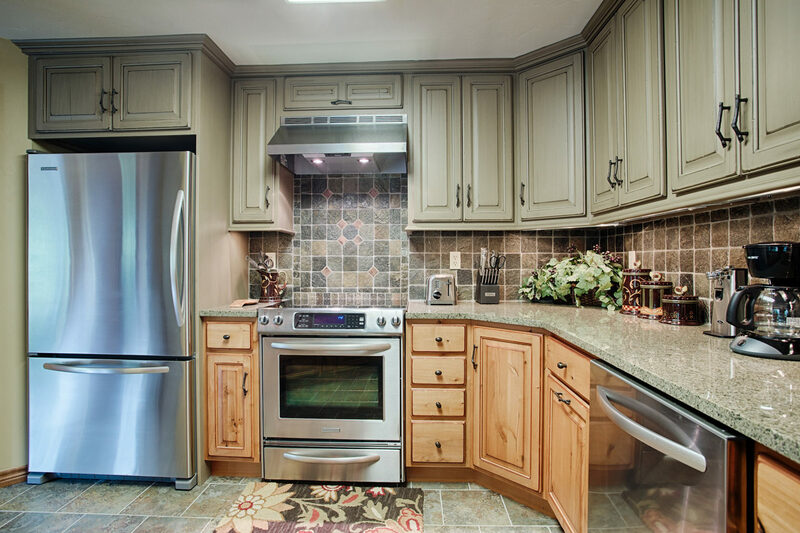 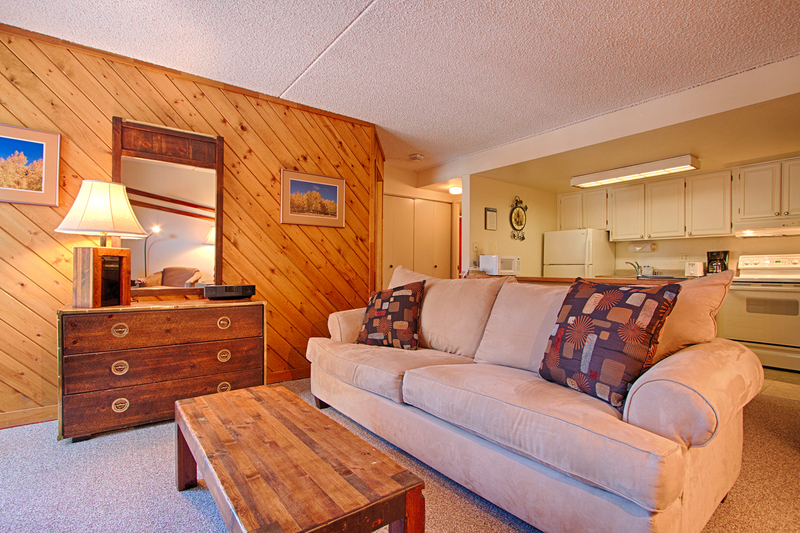 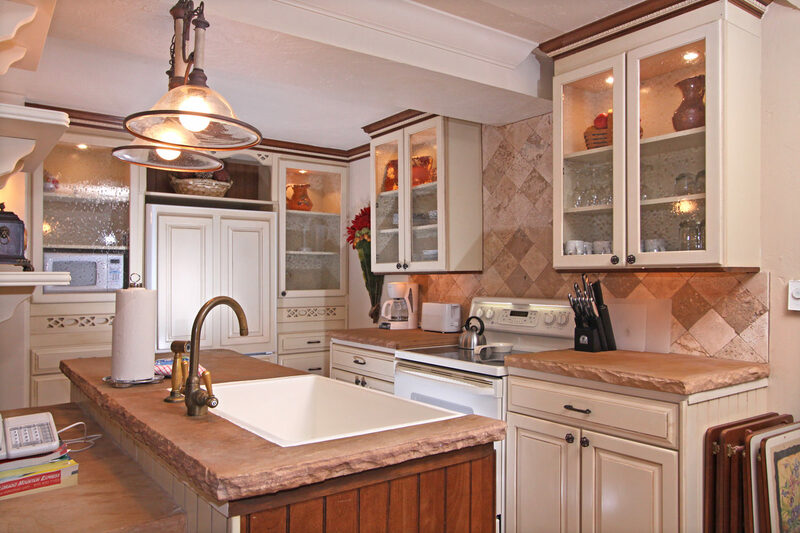 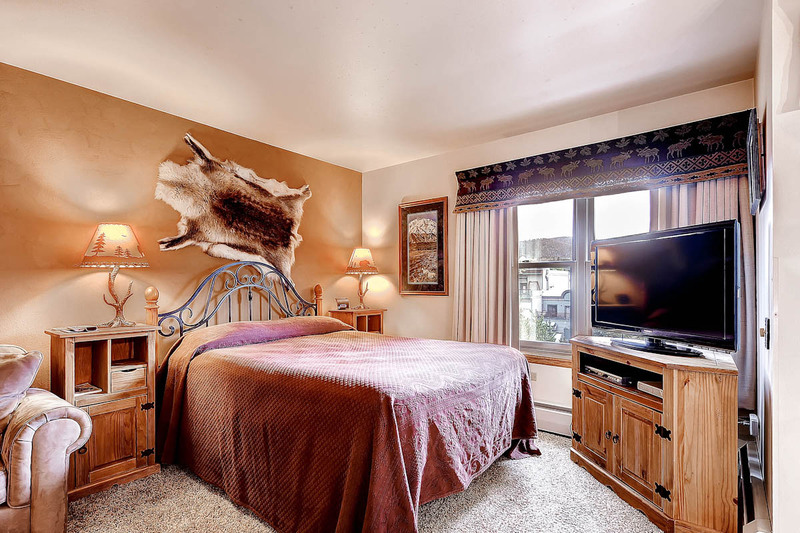 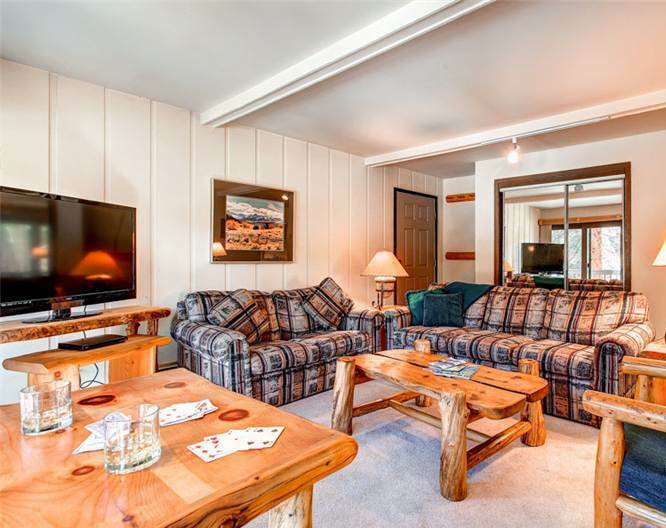 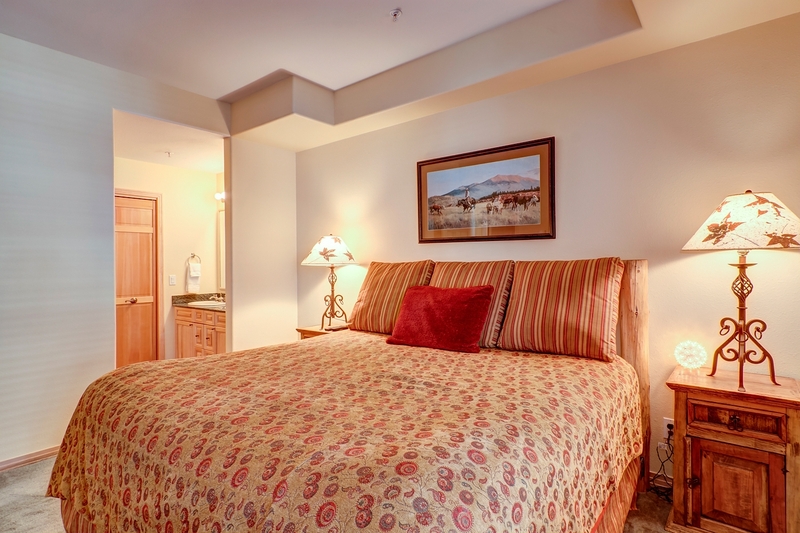 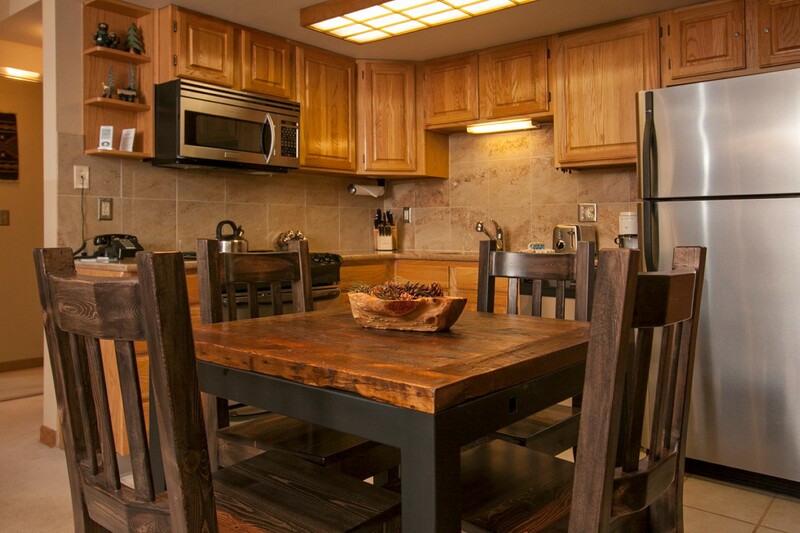 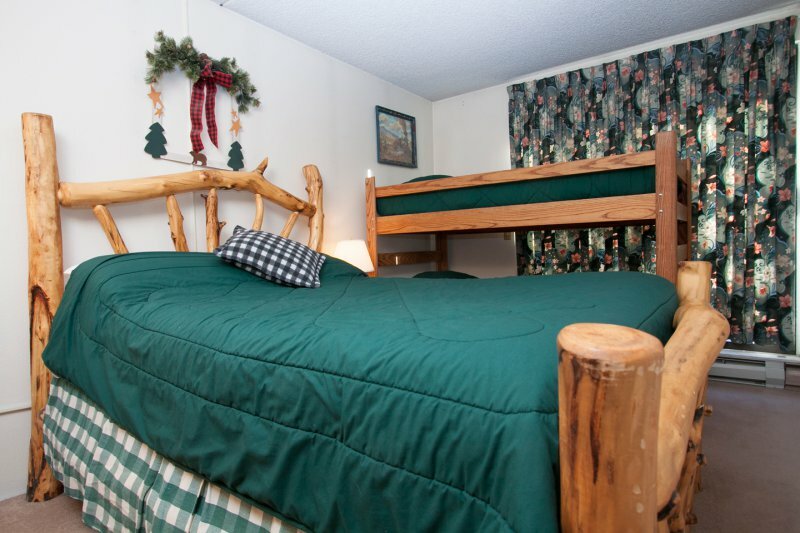 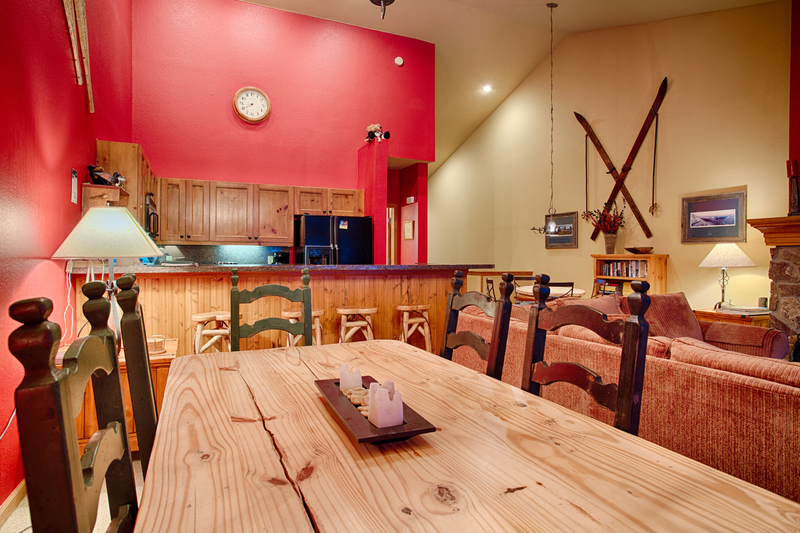 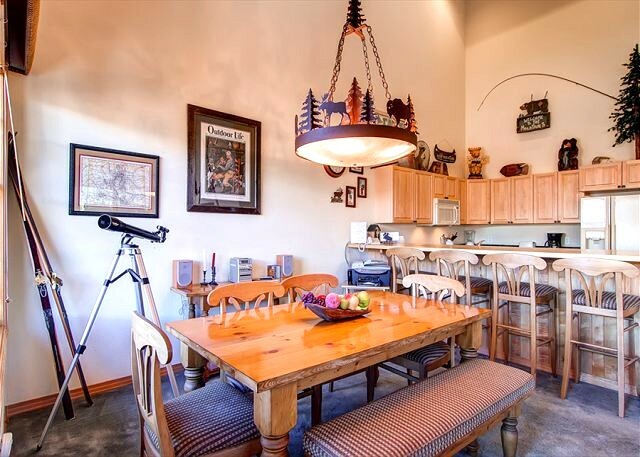 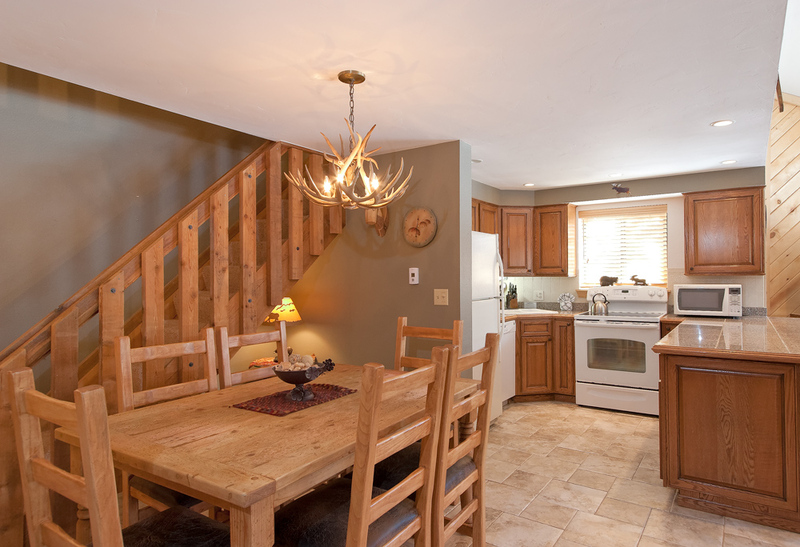 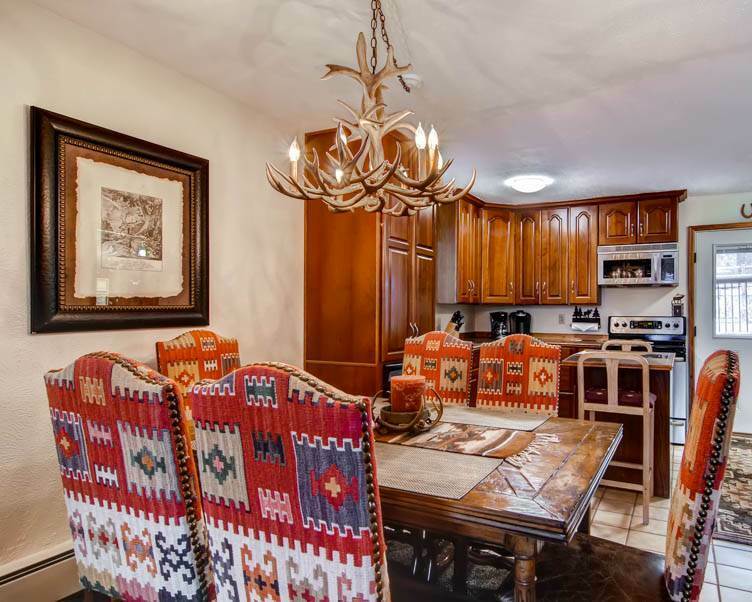 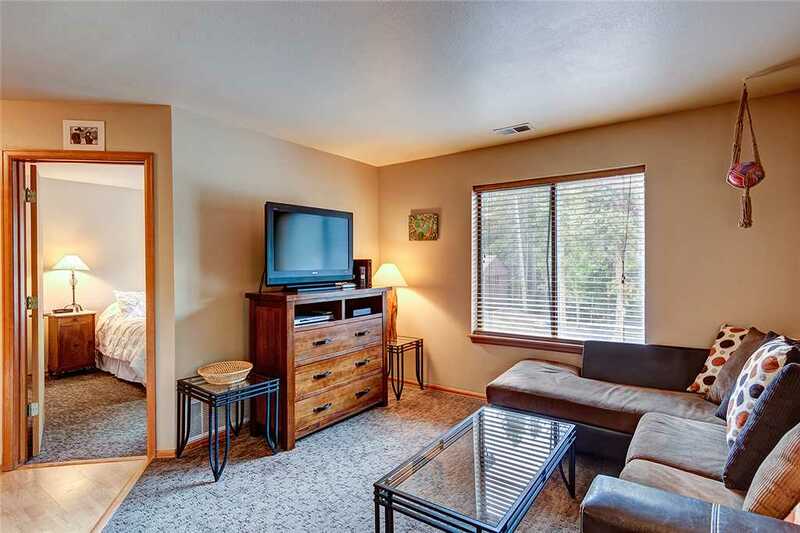 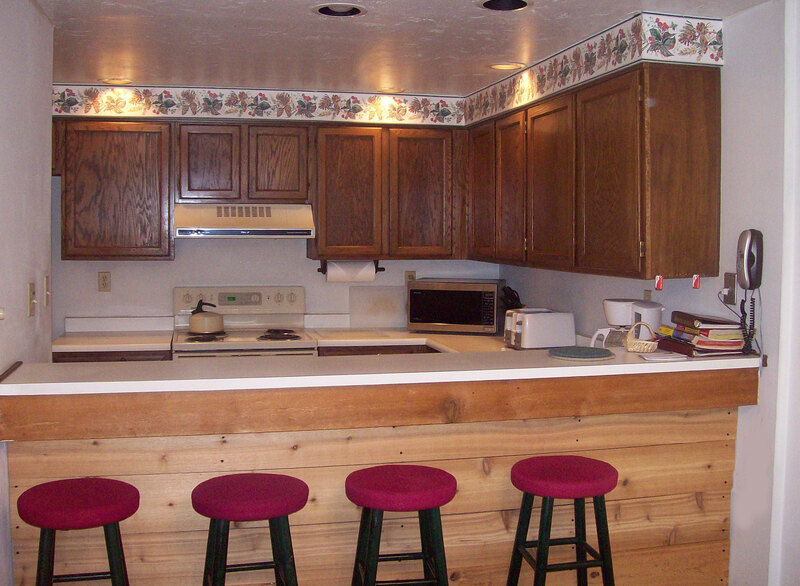 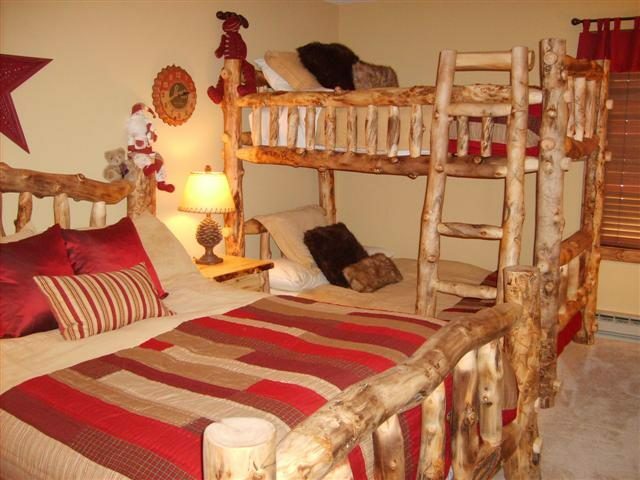 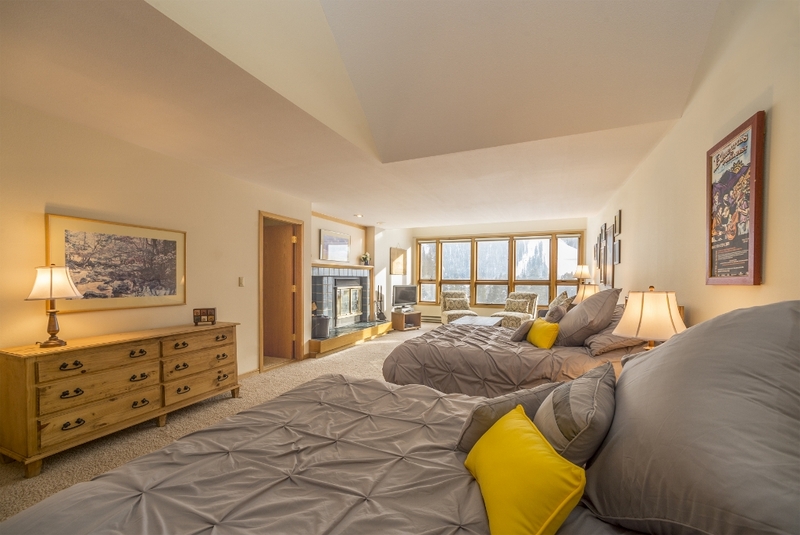 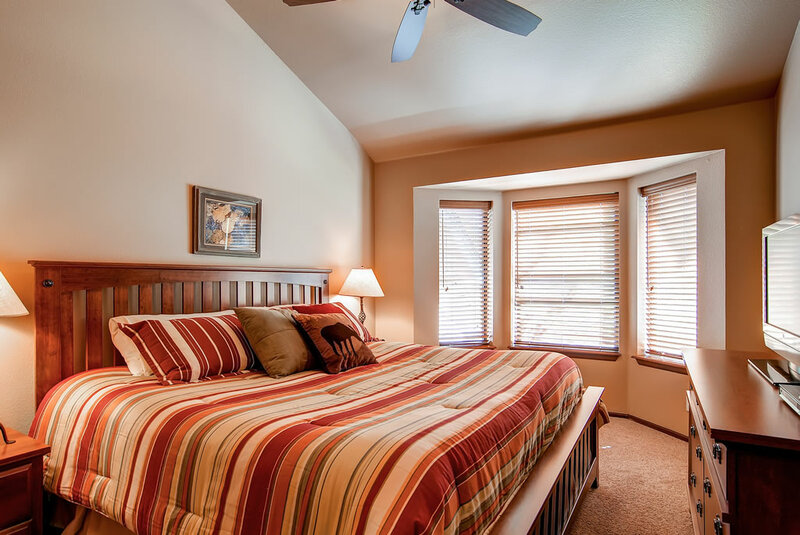 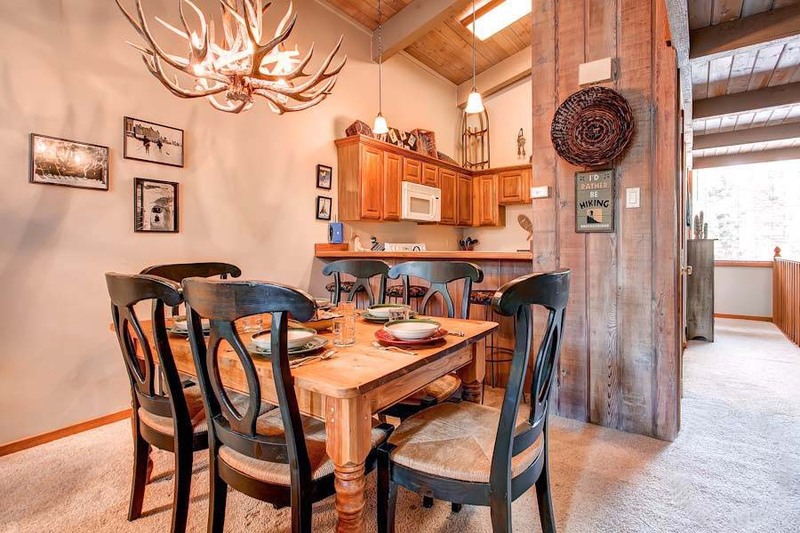 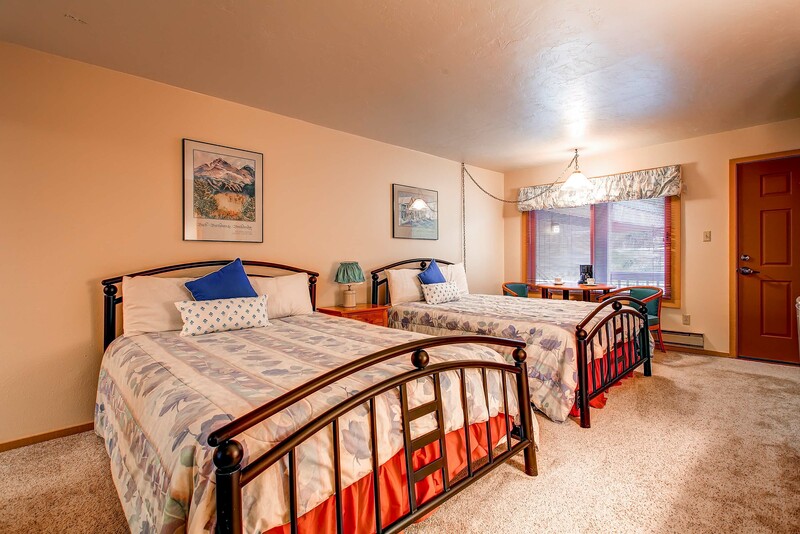 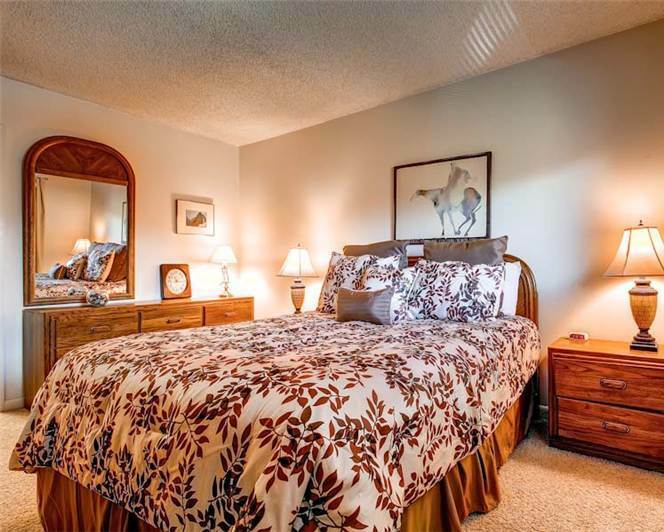 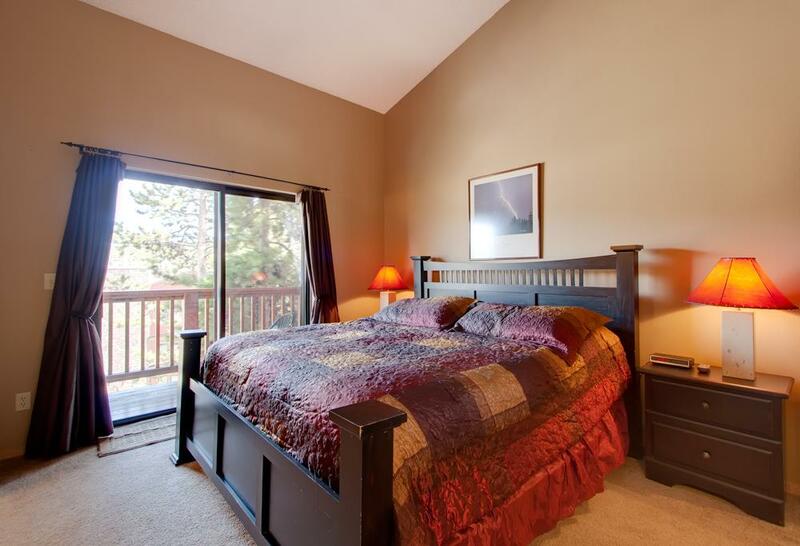 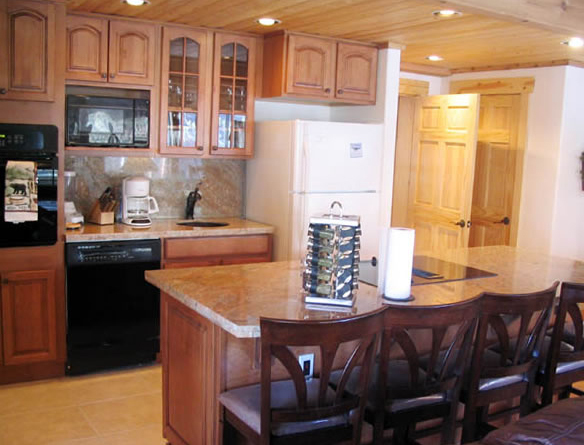 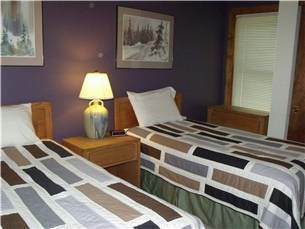 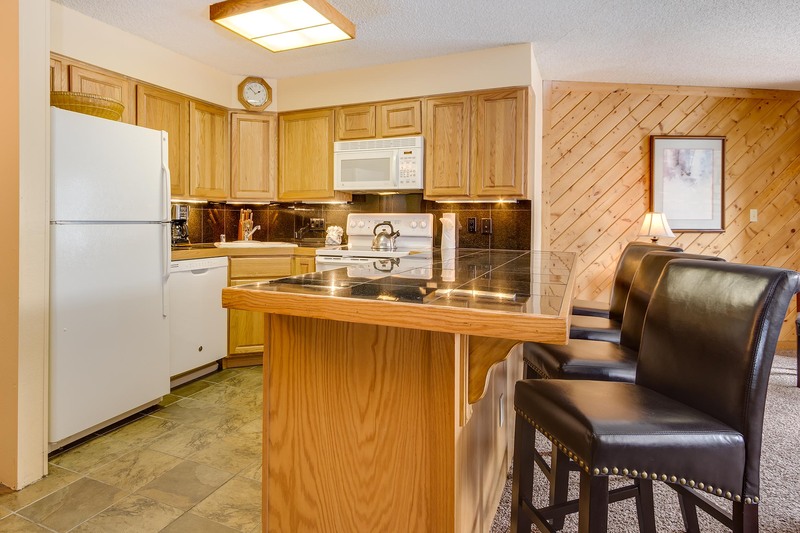 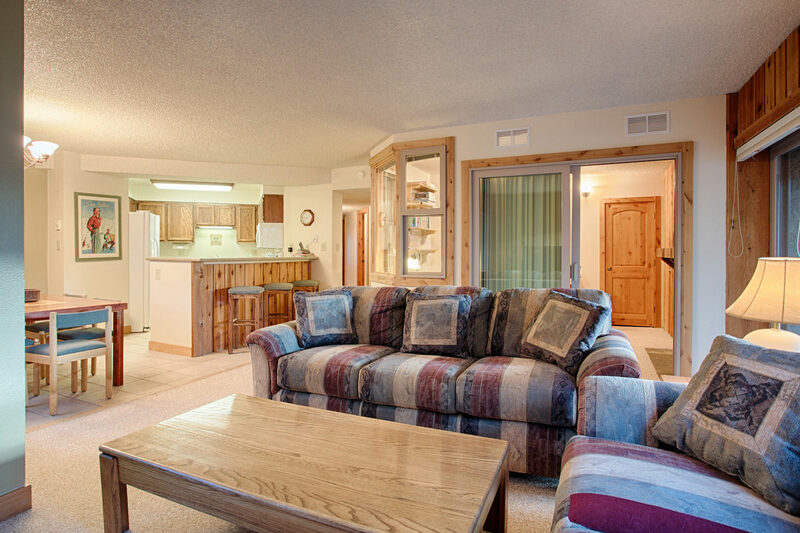 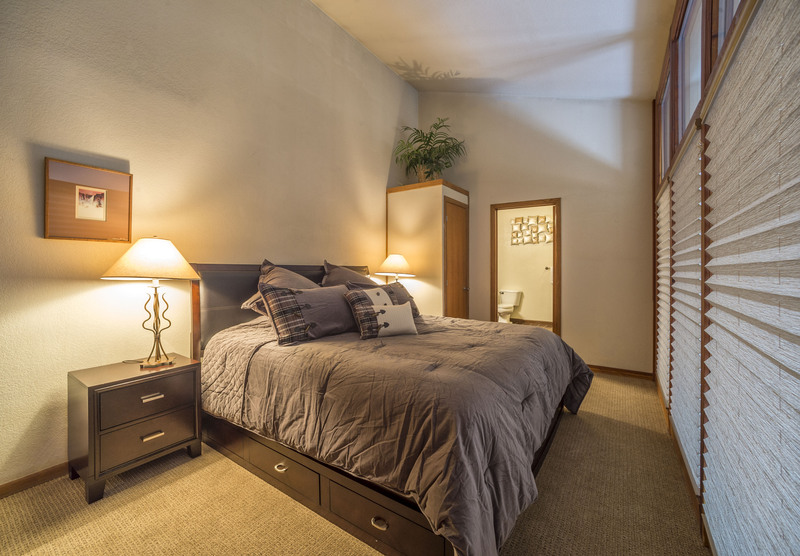 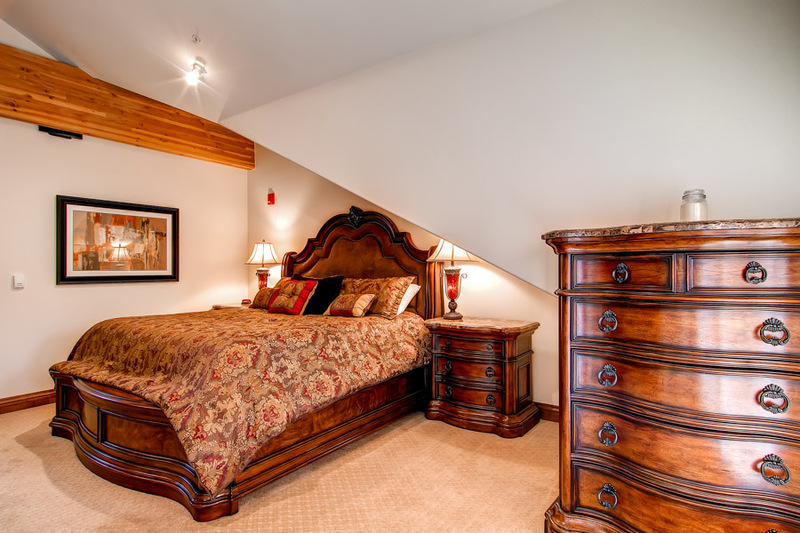 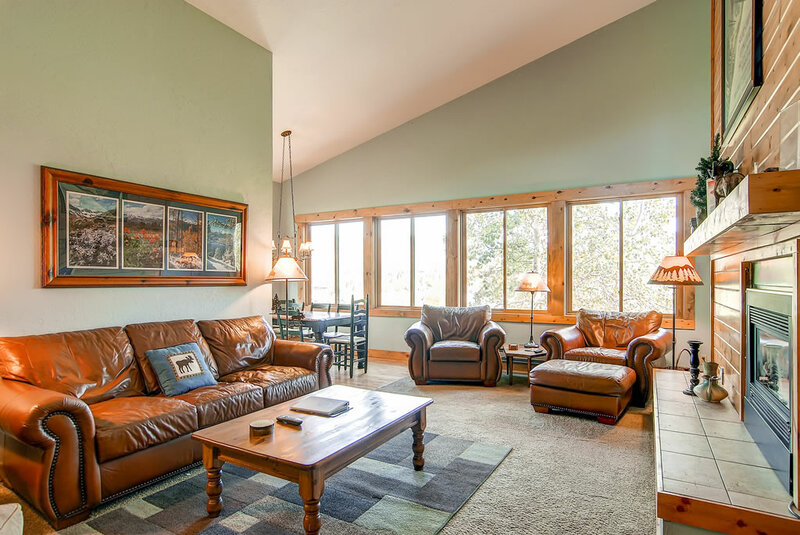 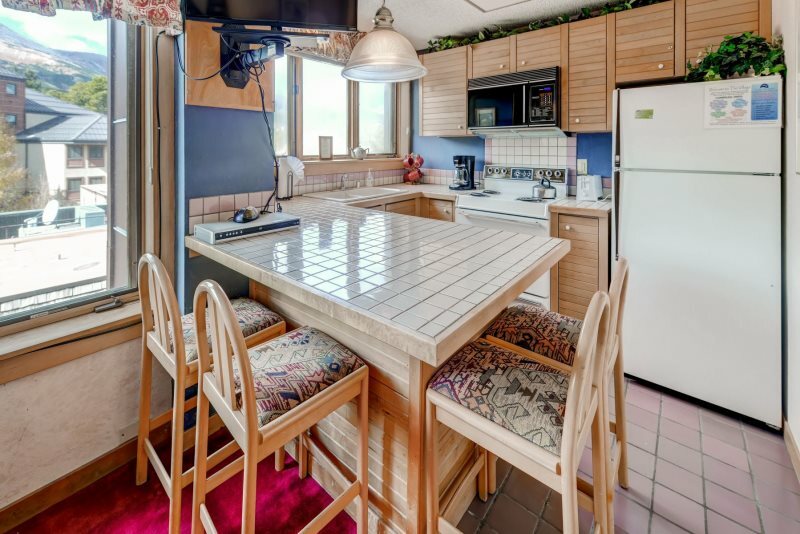 UNIT AMENITIES – This property sleeps up to eight guests with two king bedrooms and a bunk bedroom, each with a private bath. 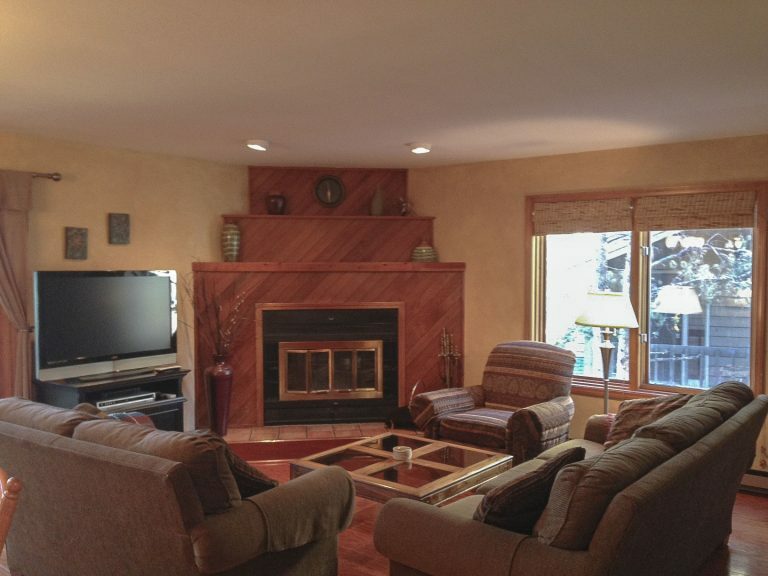 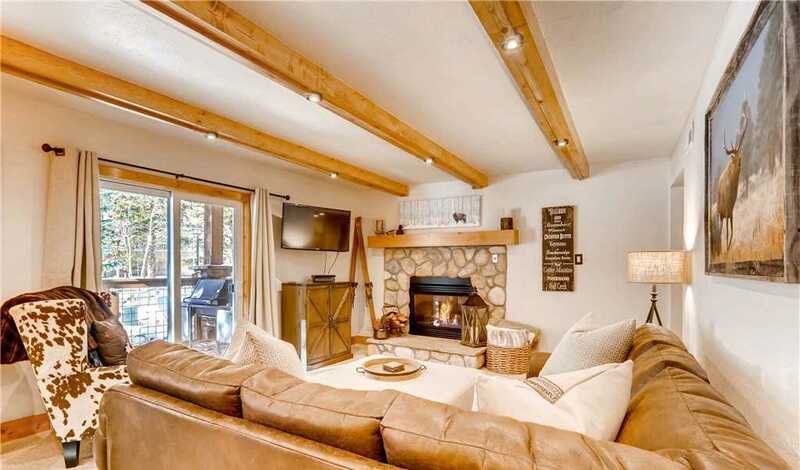 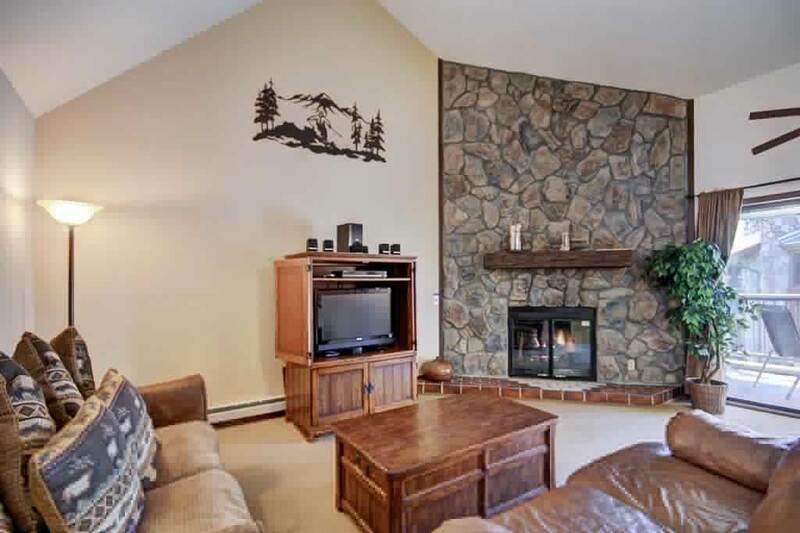 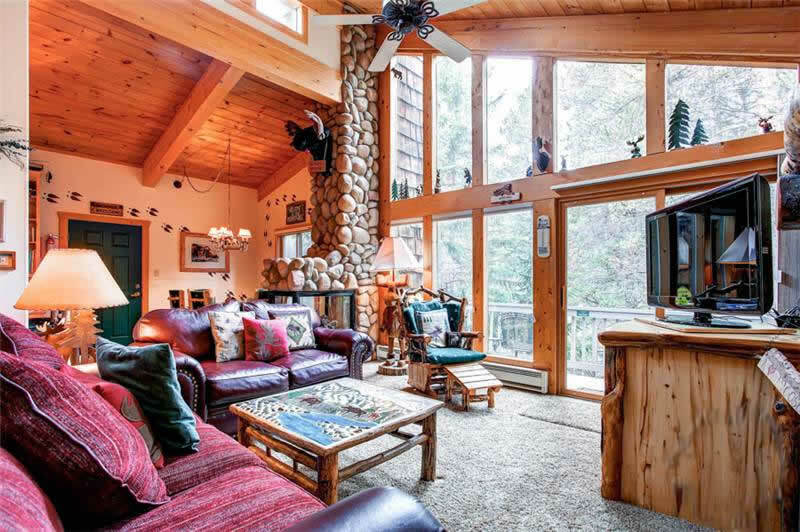 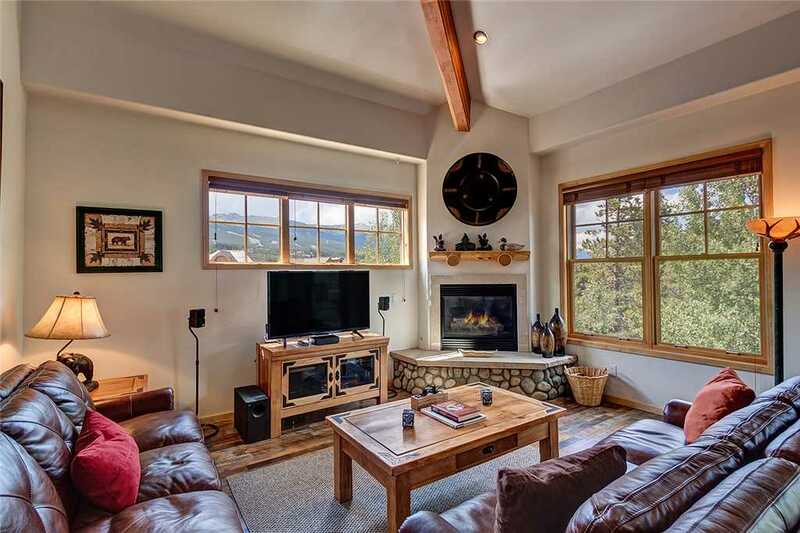 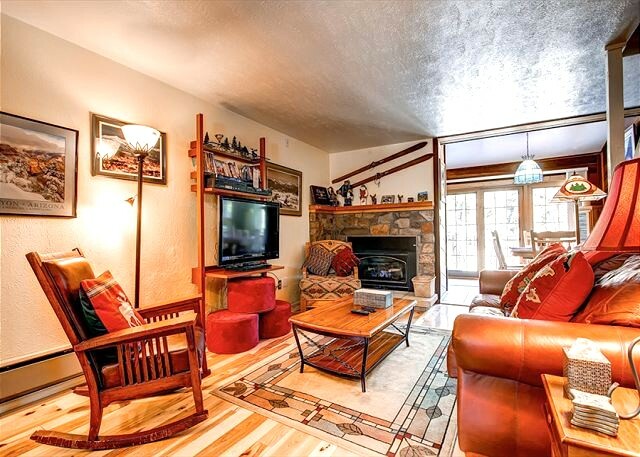 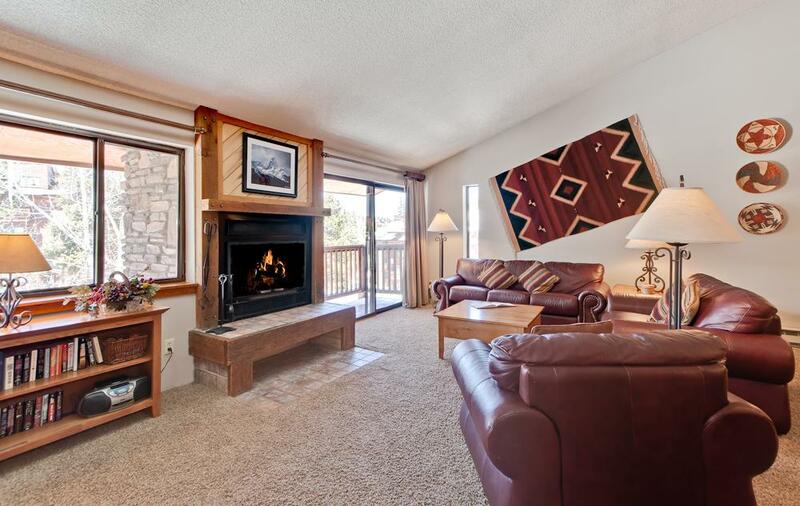 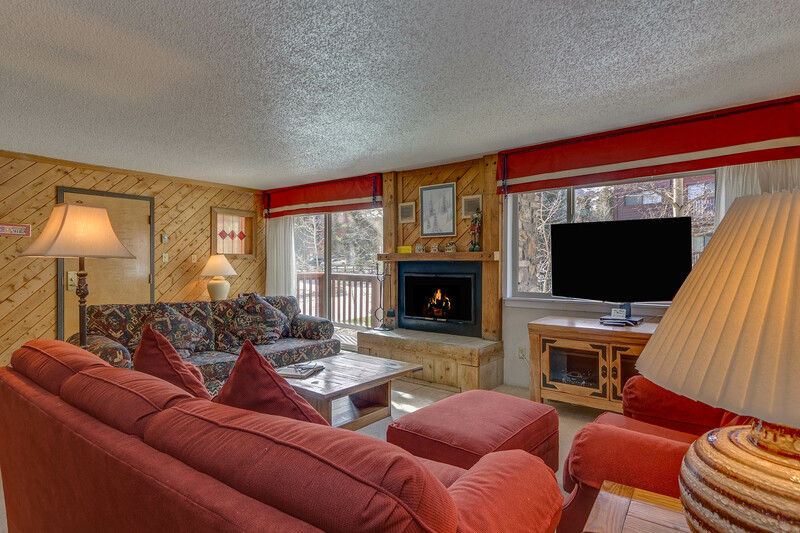 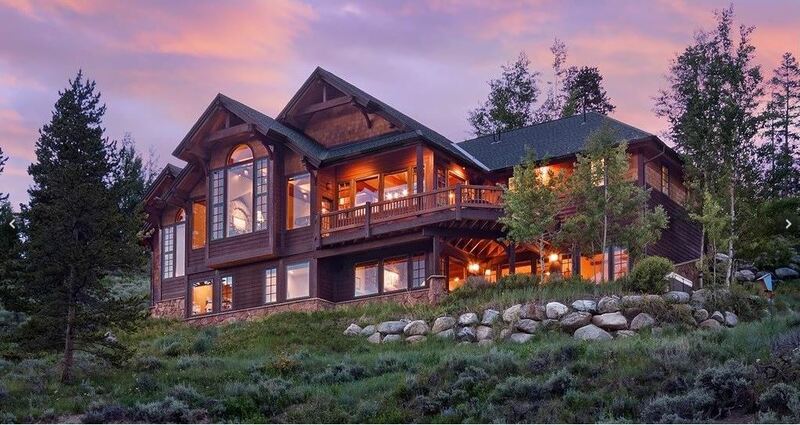 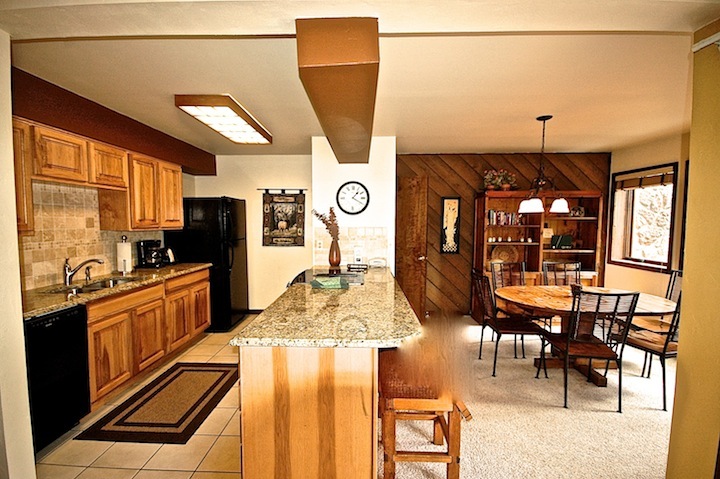 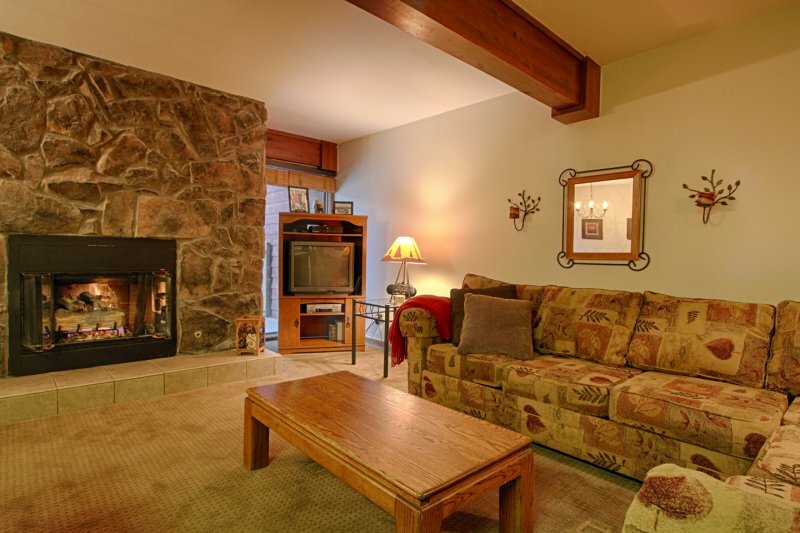 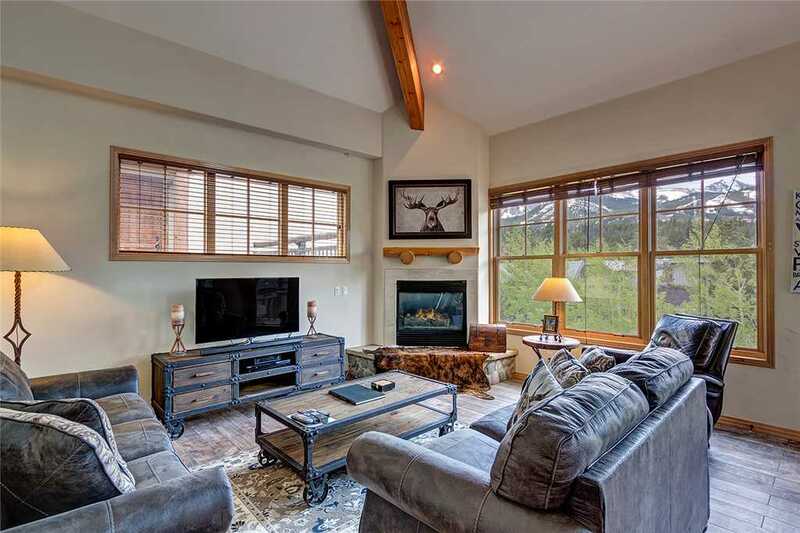 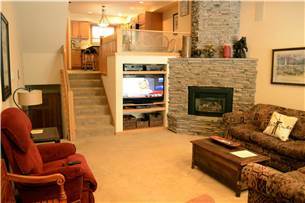 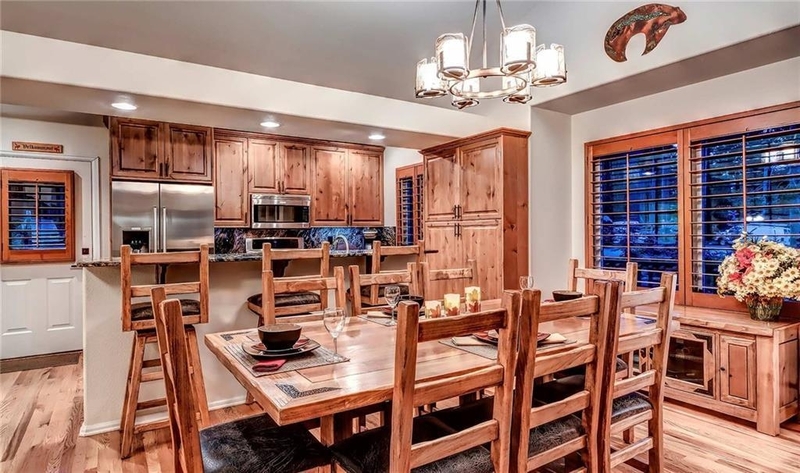 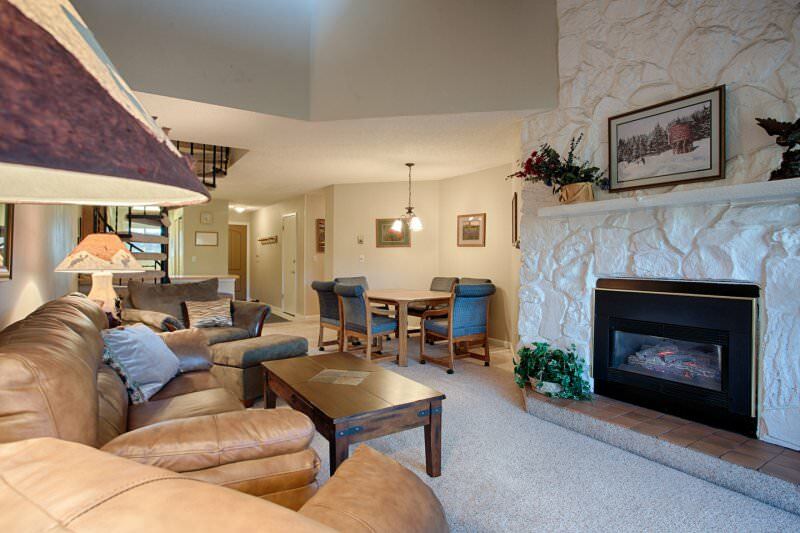 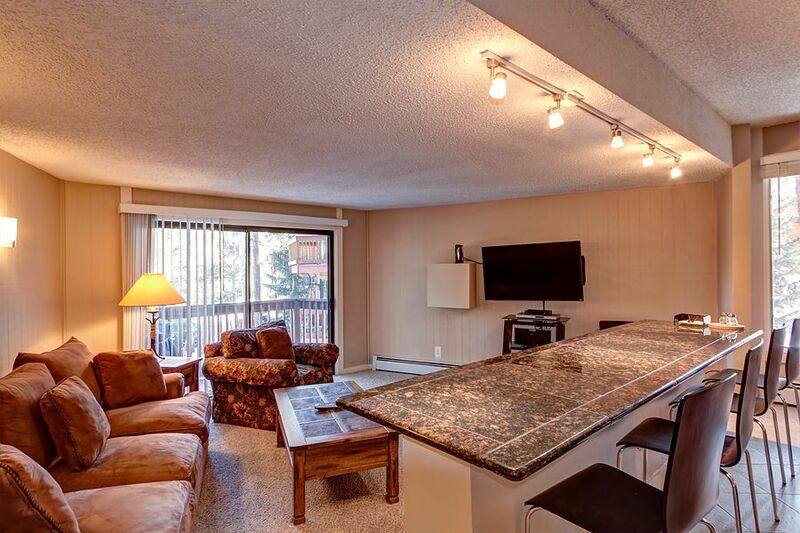 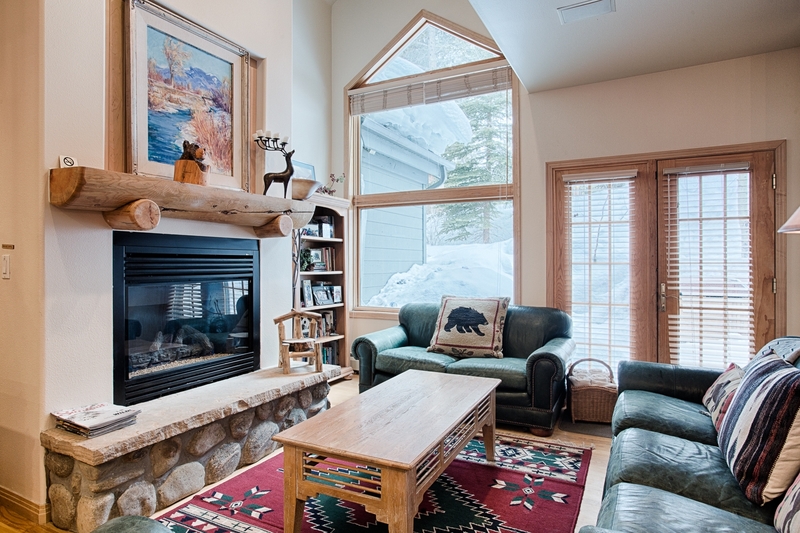 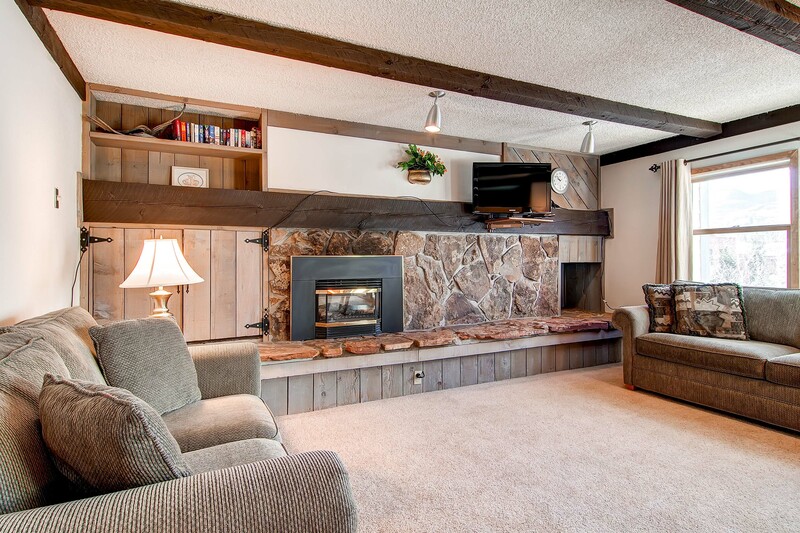 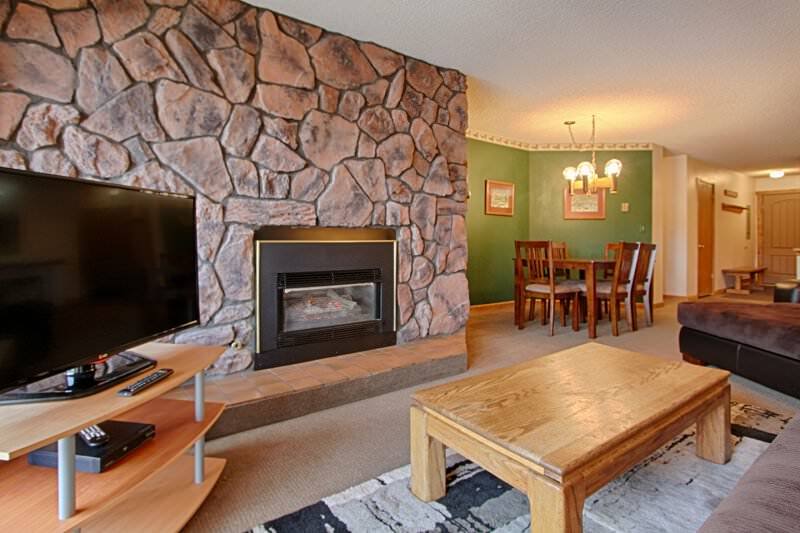 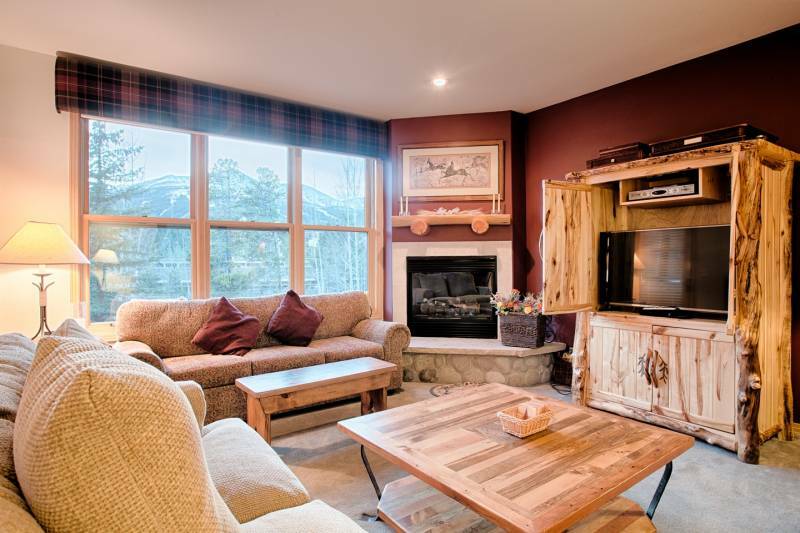 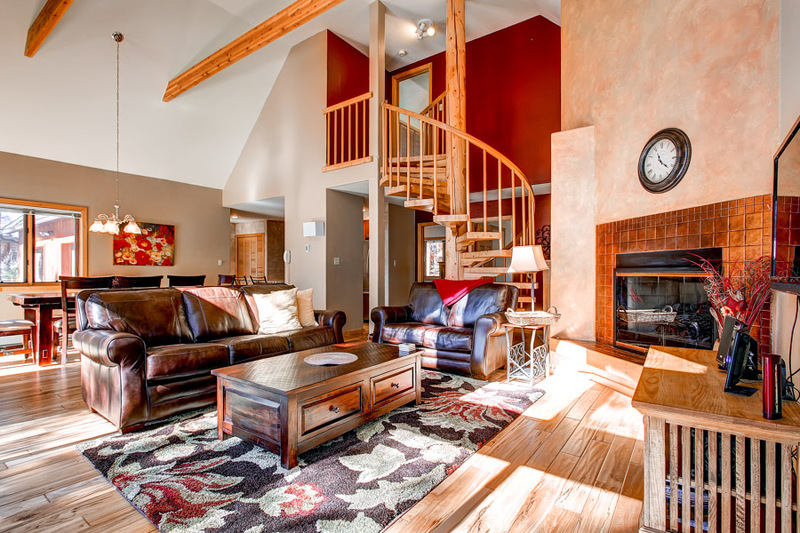 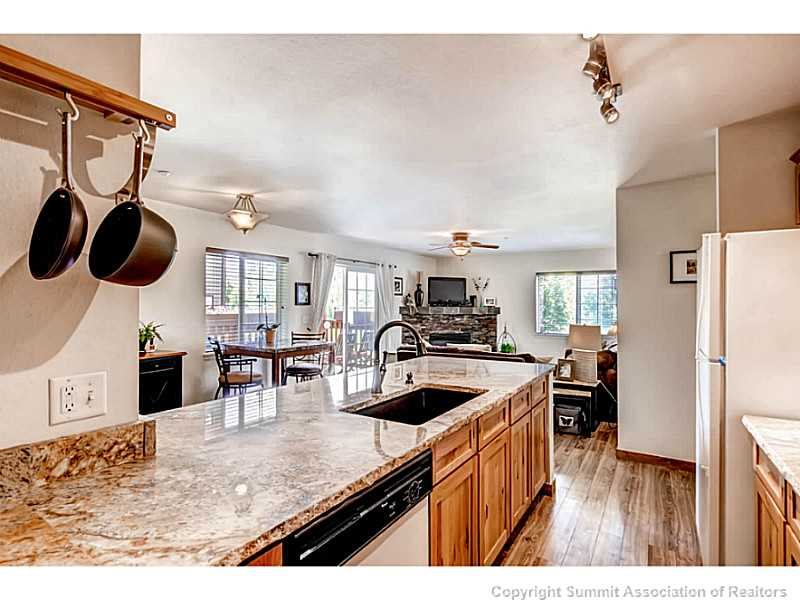 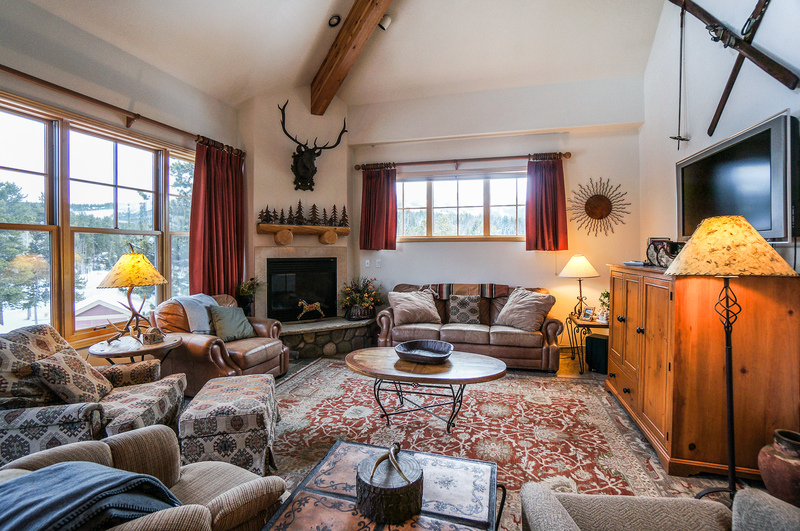 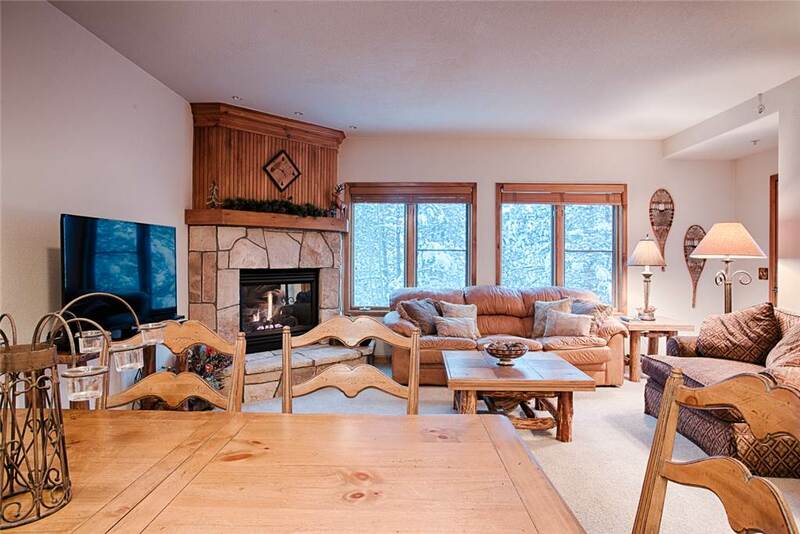 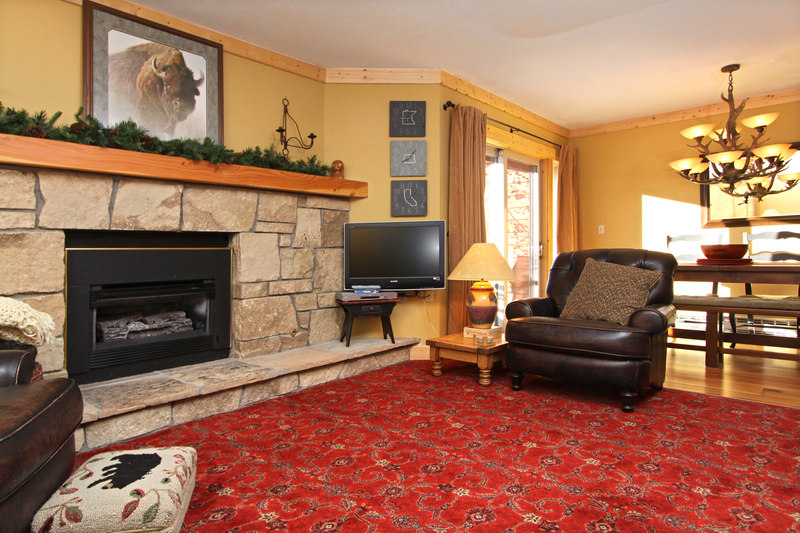 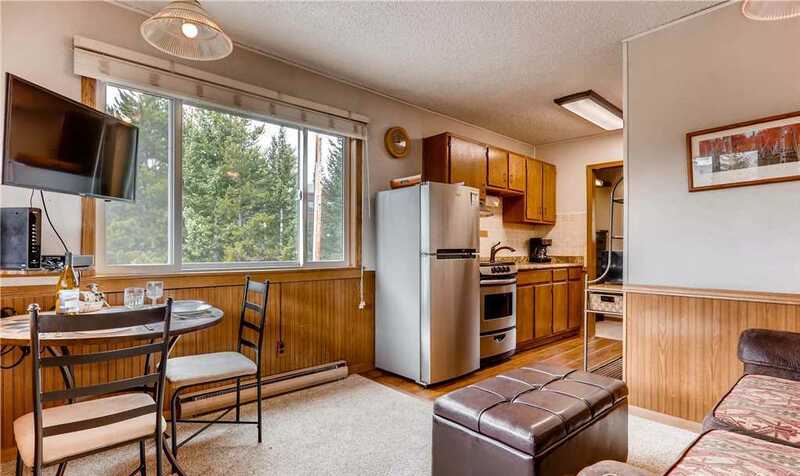 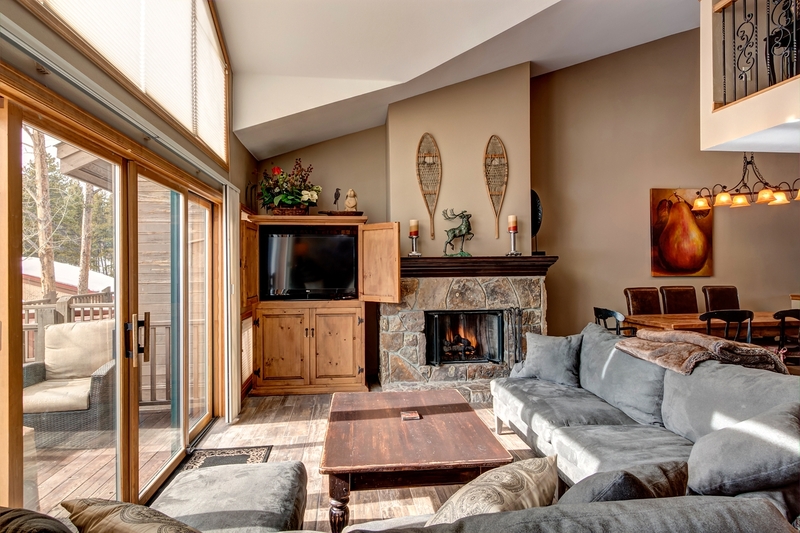 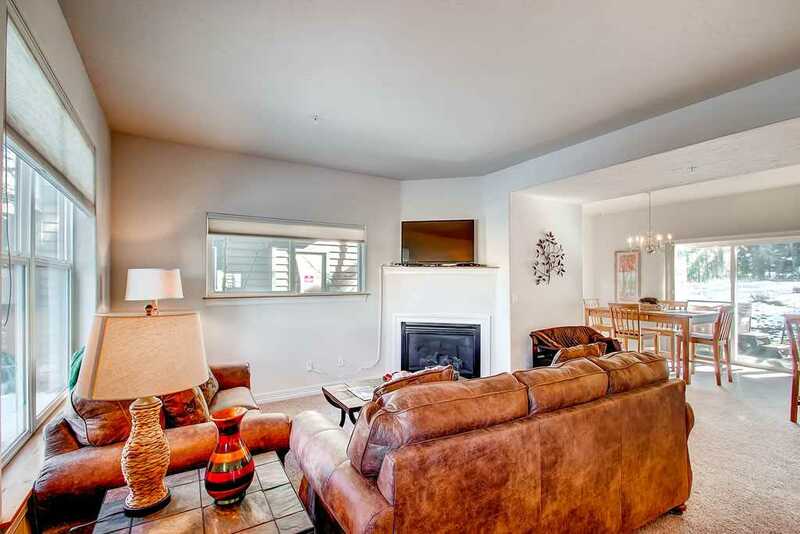 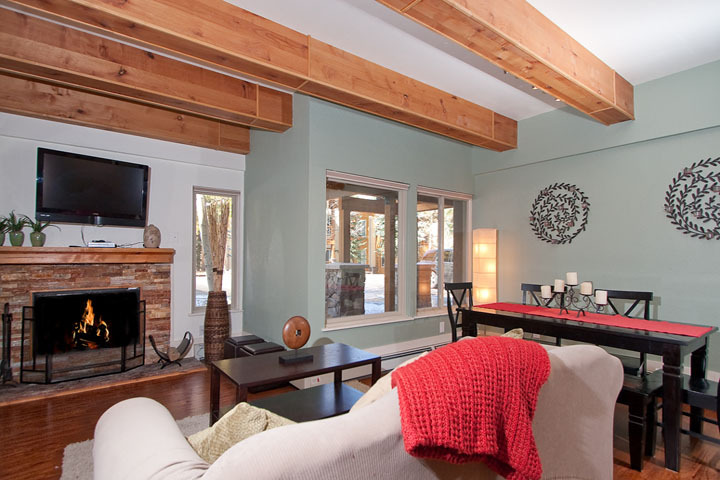 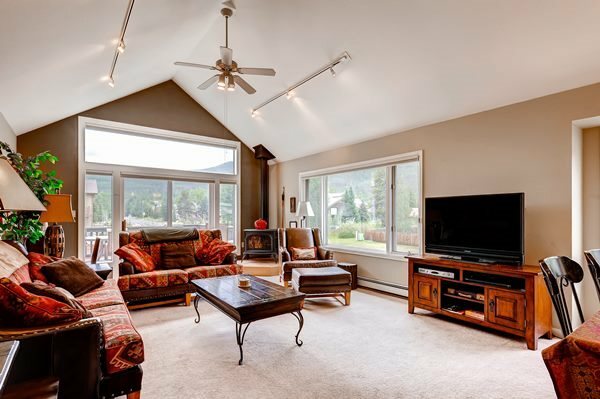 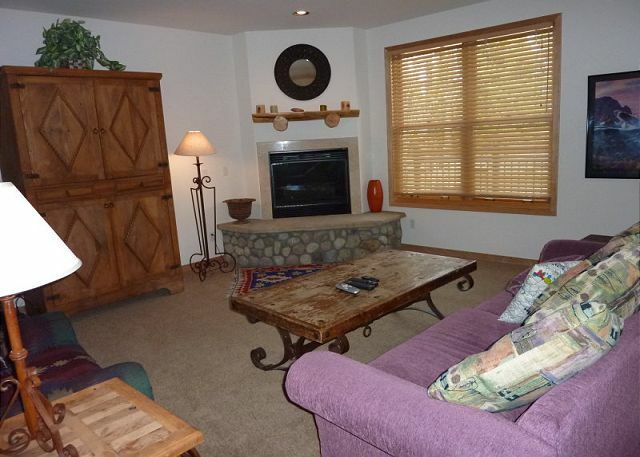 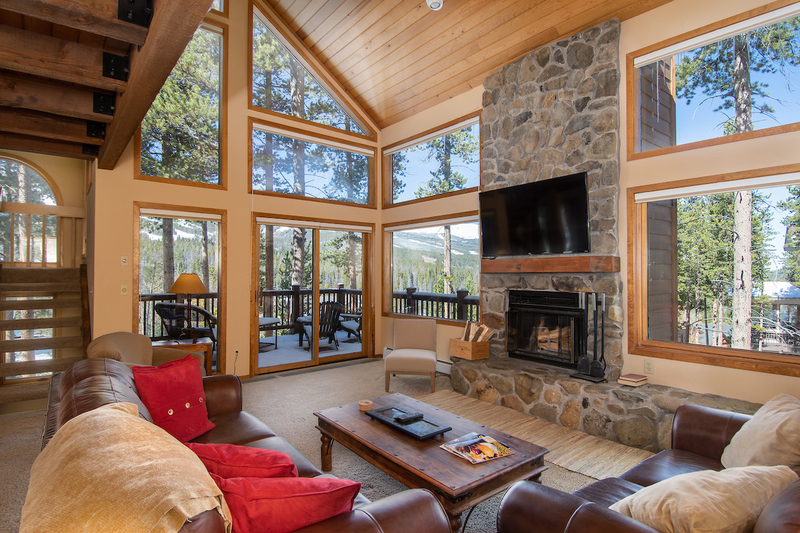 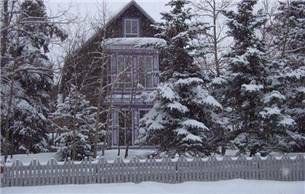 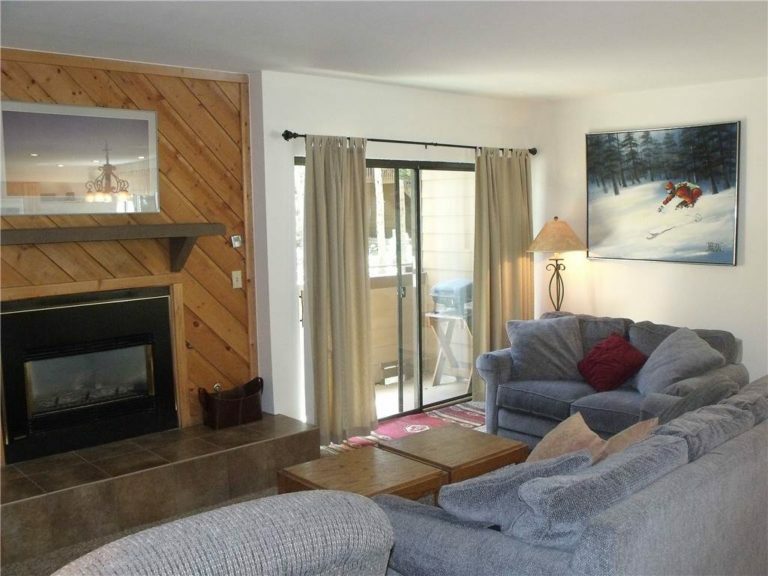 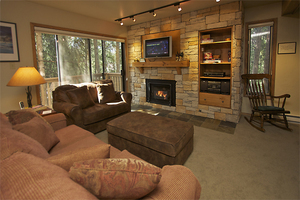 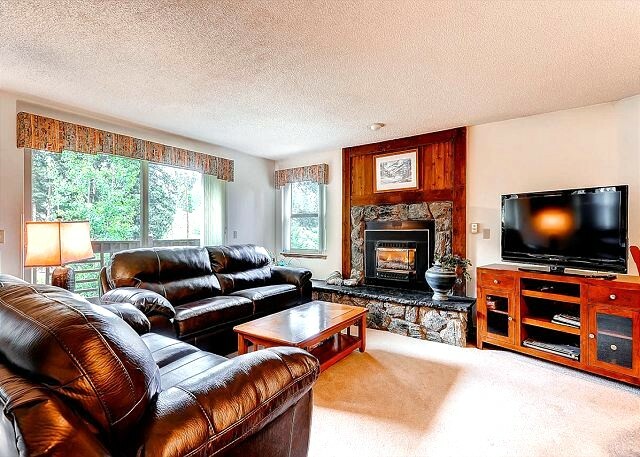 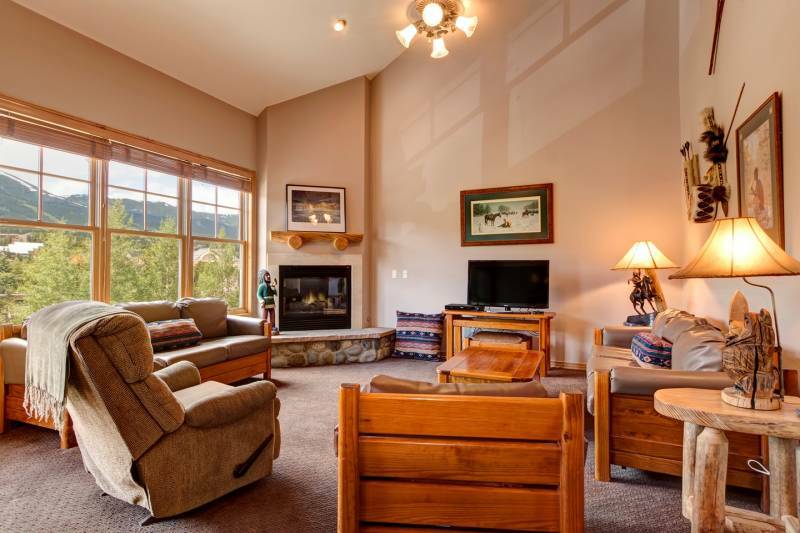 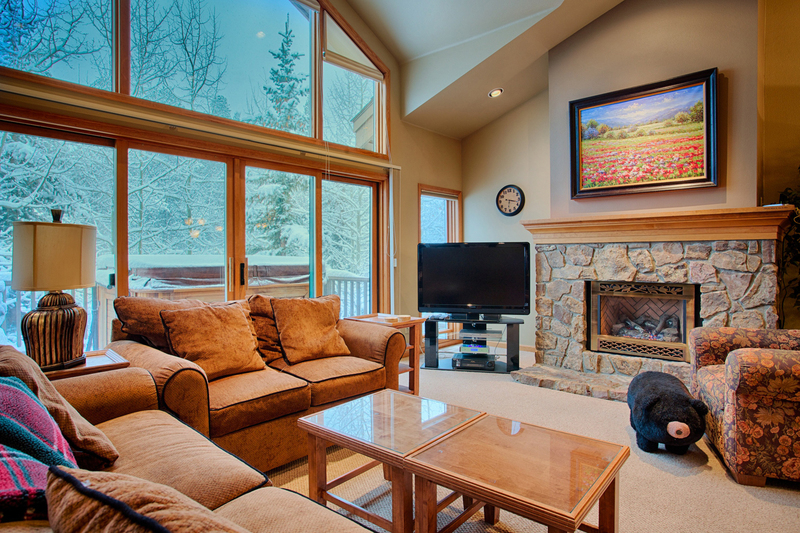 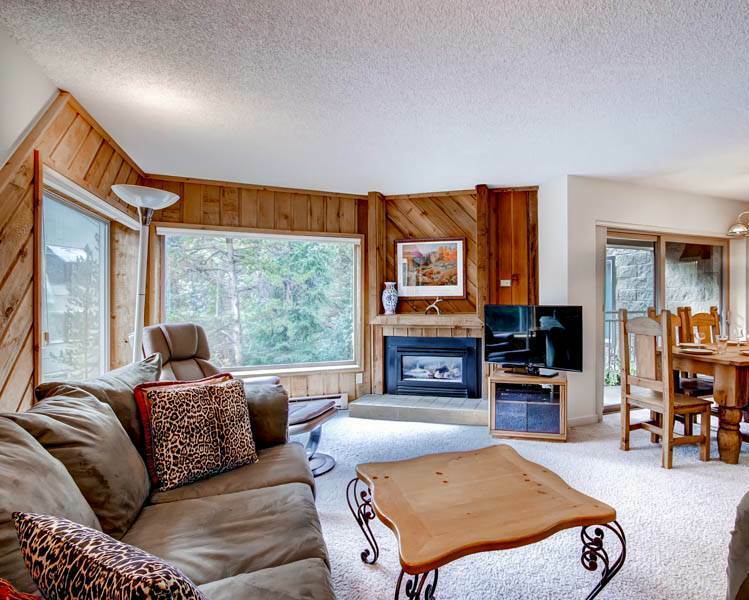 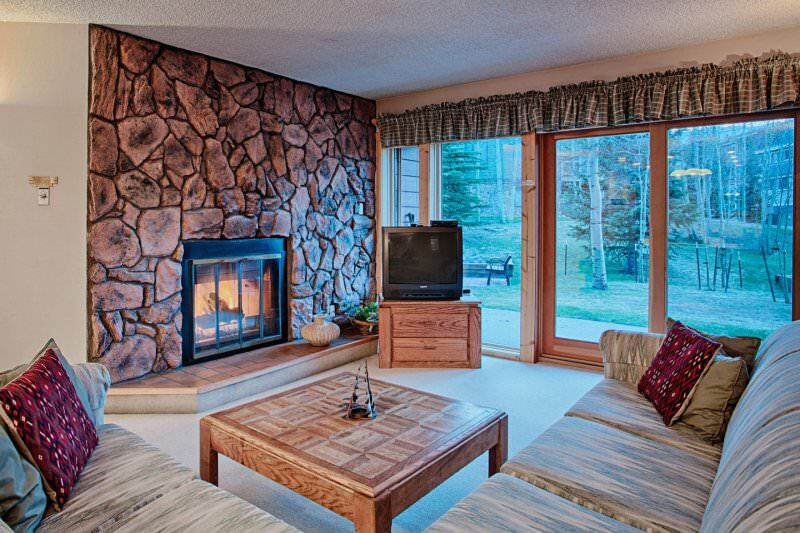 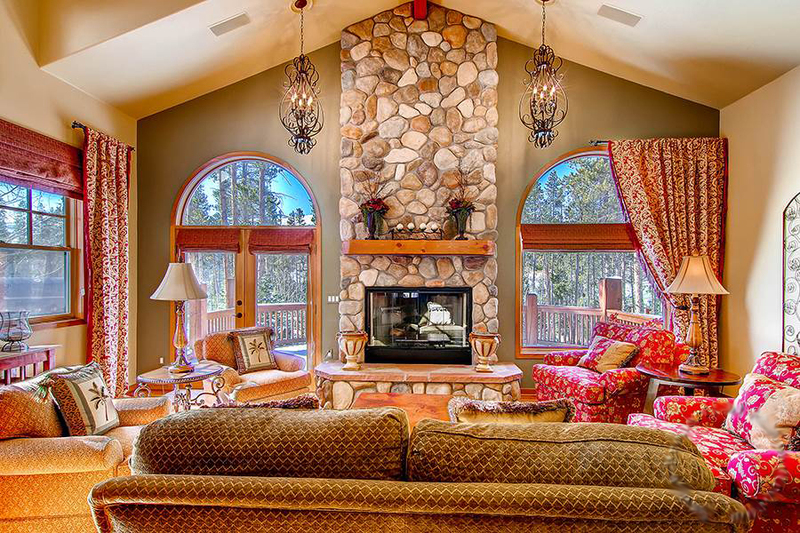 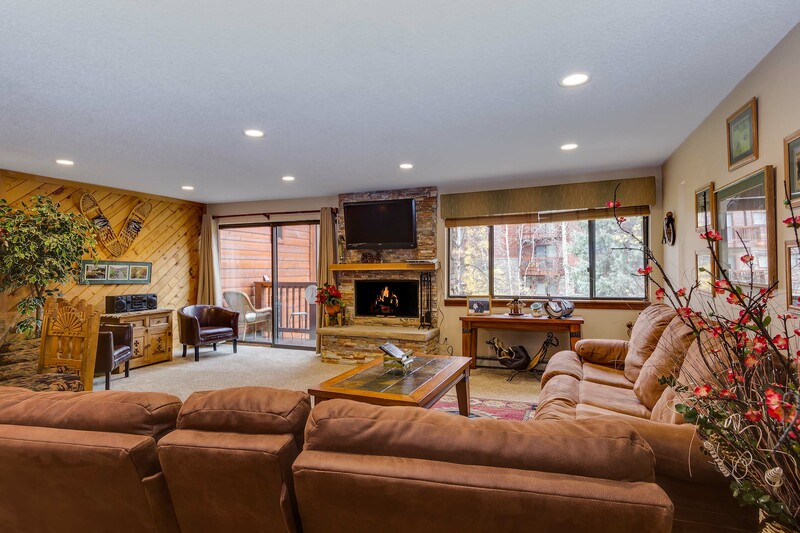 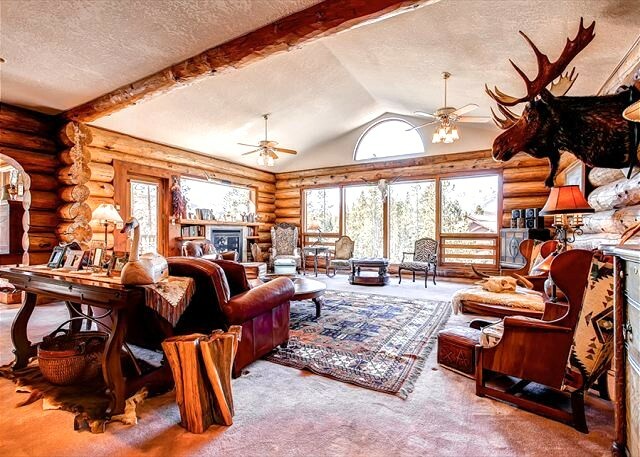 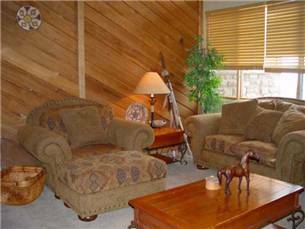 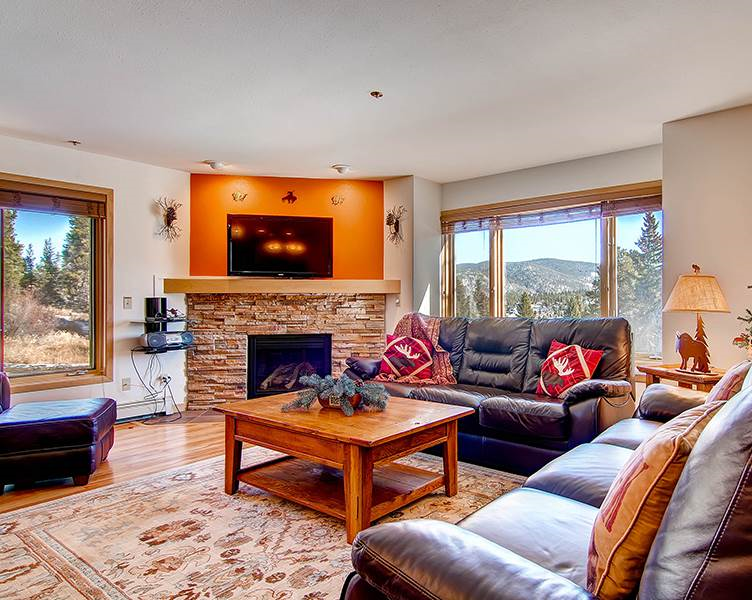 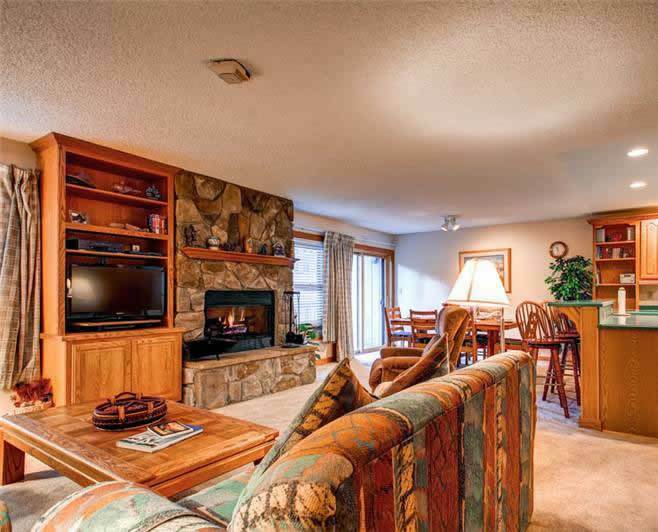 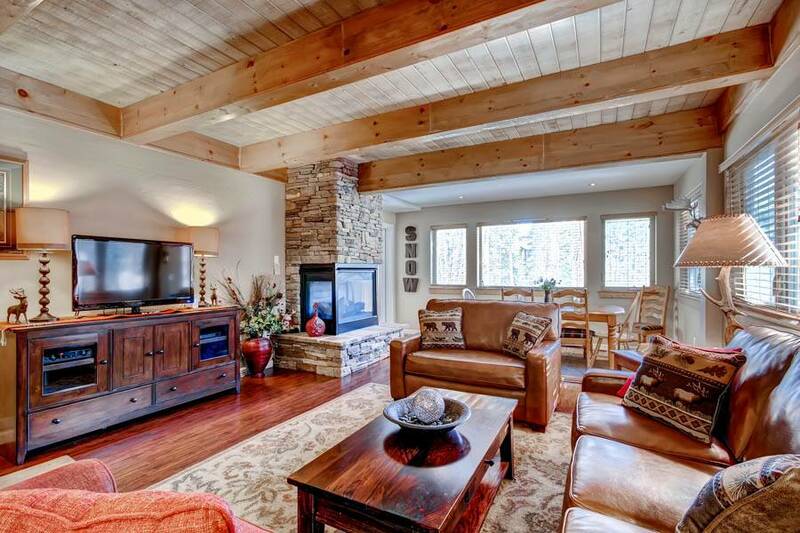 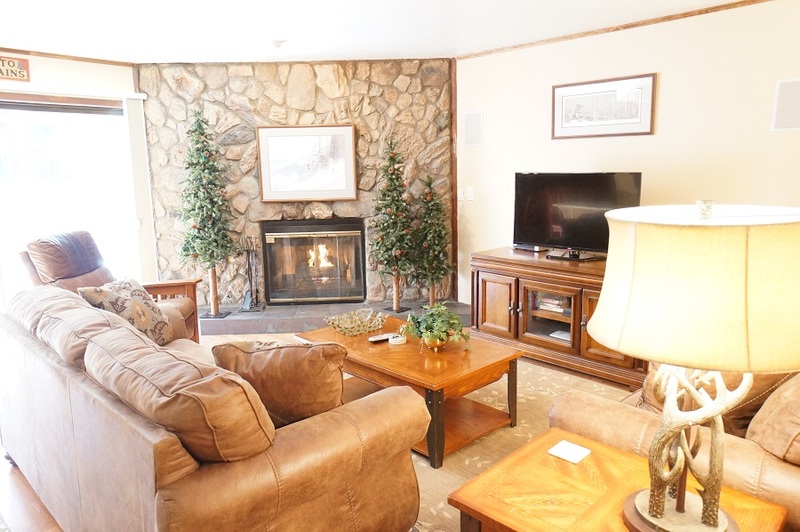 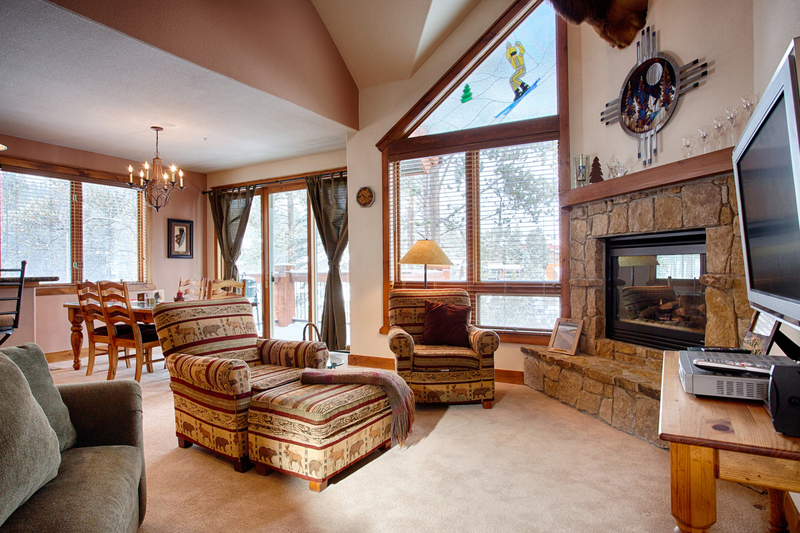 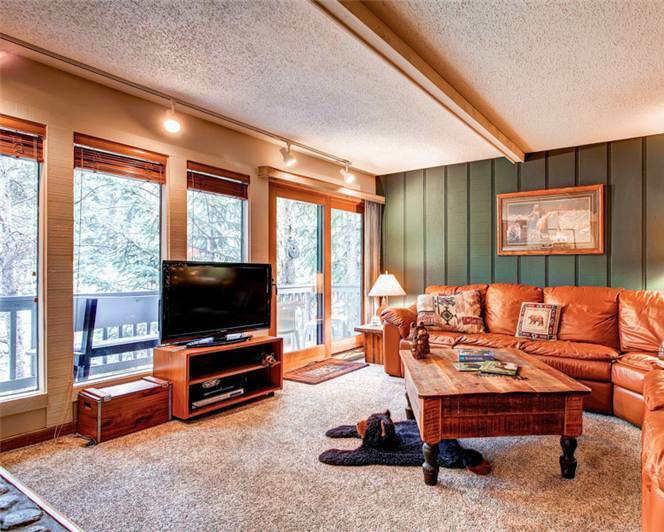 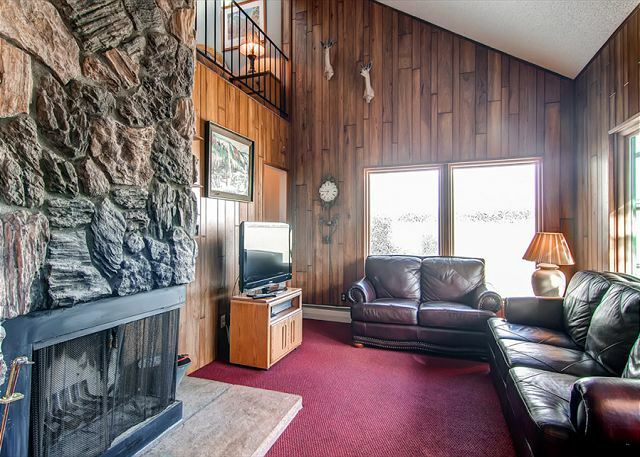 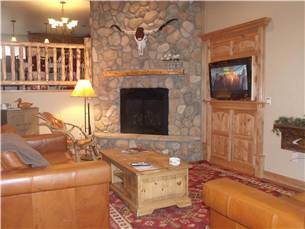 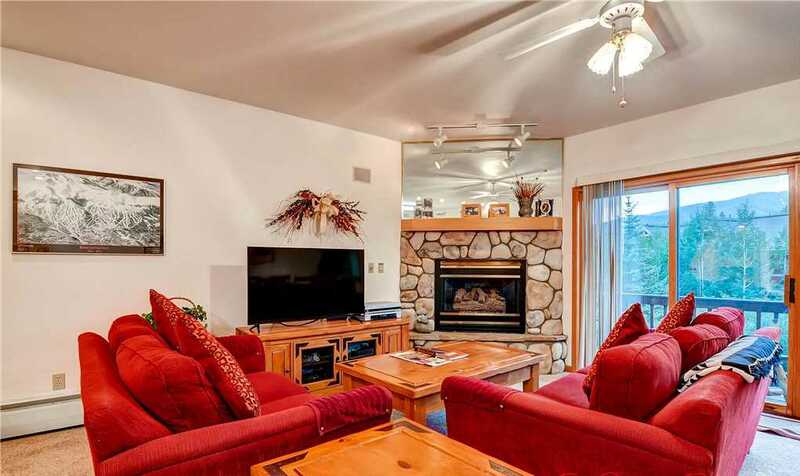 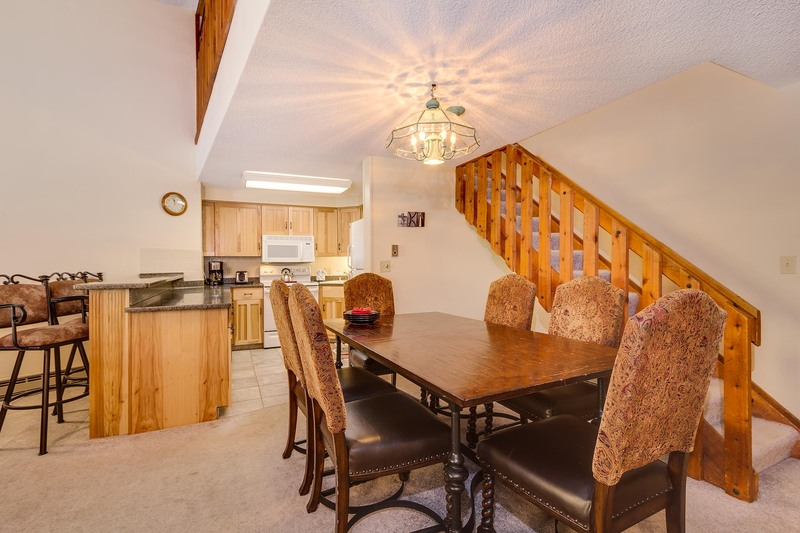 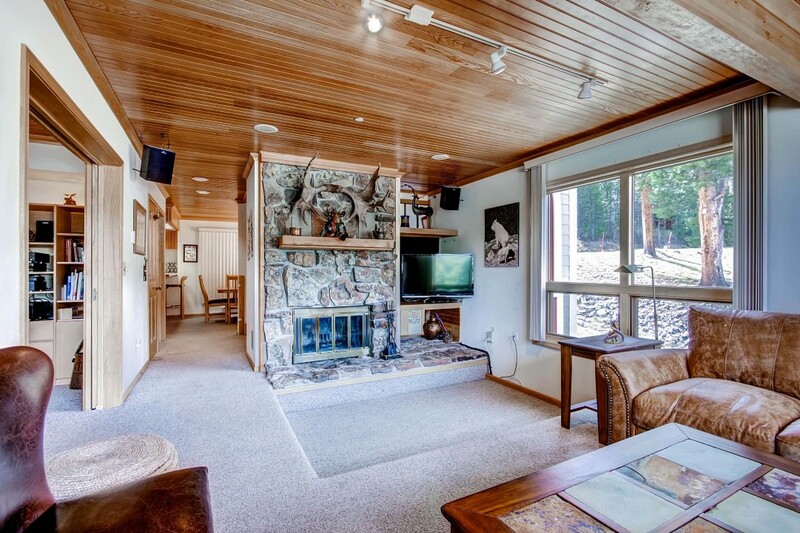 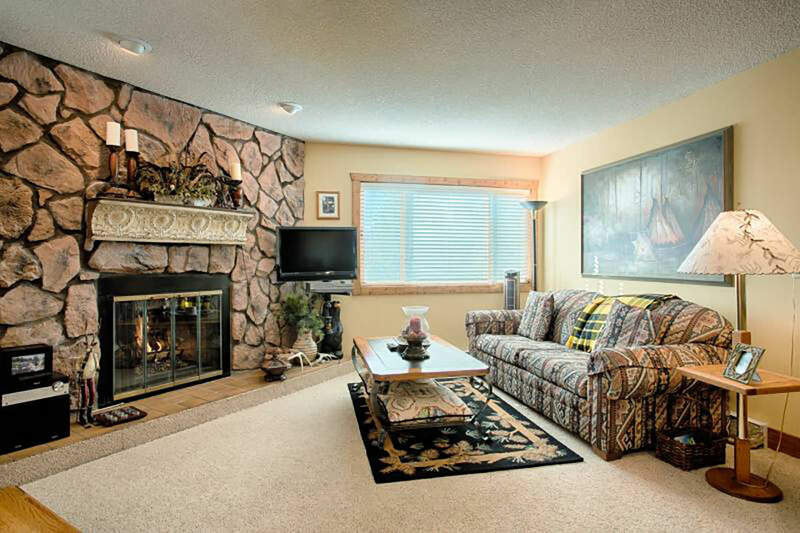 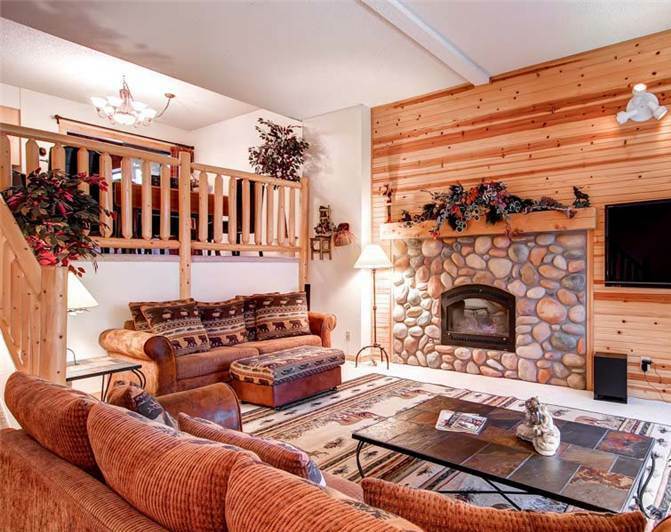 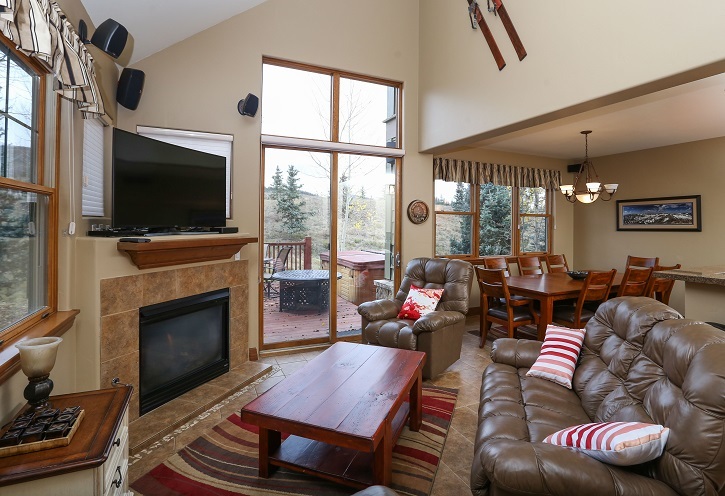 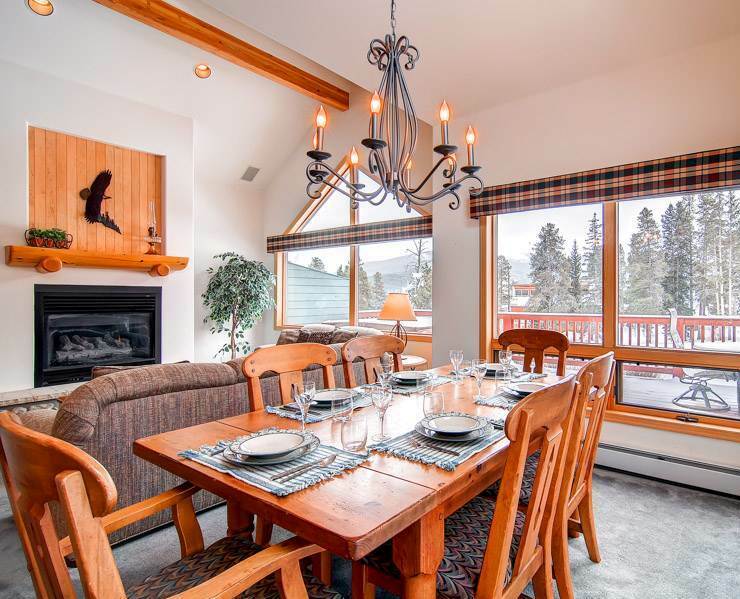 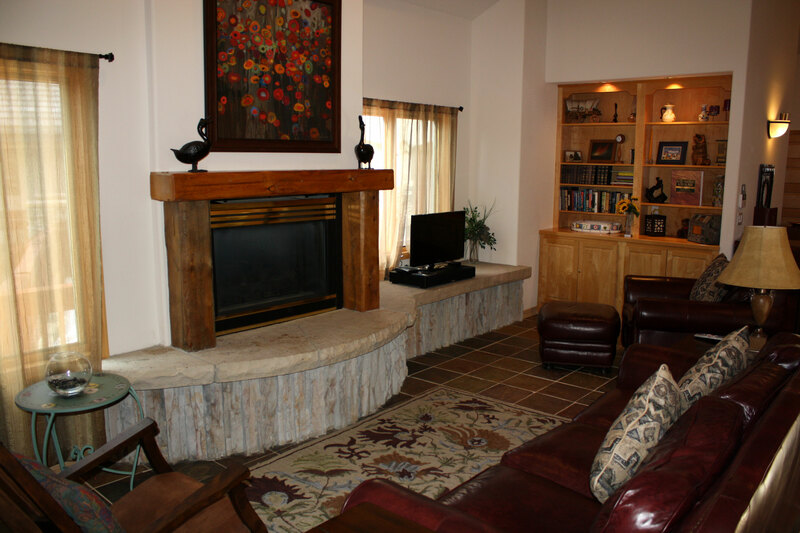 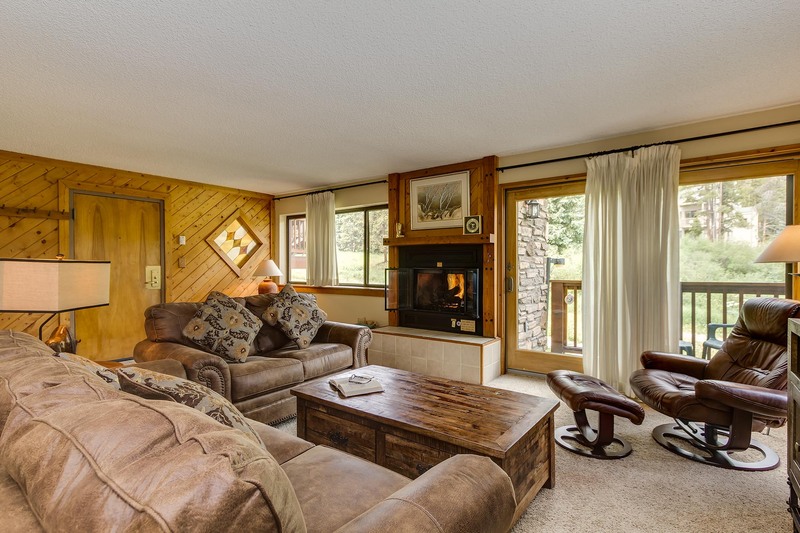 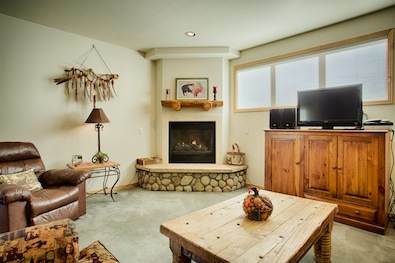 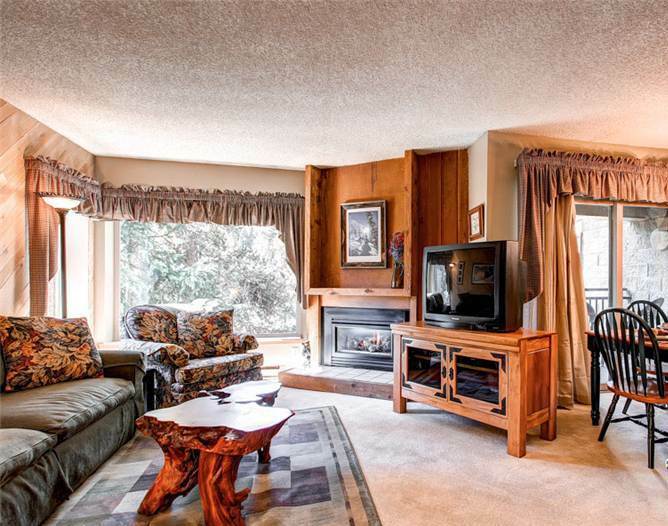 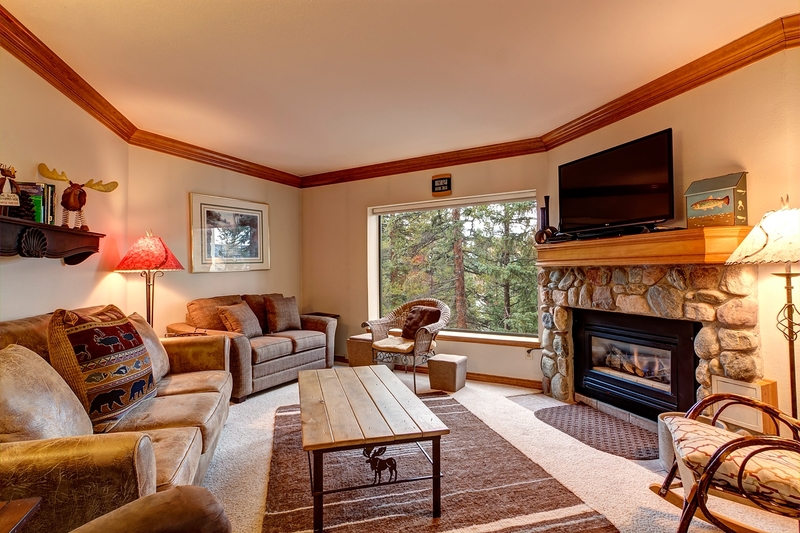 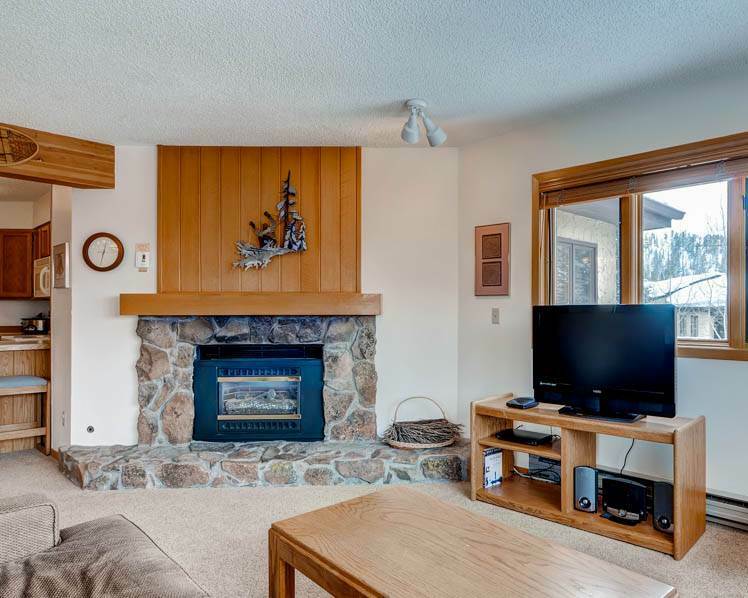 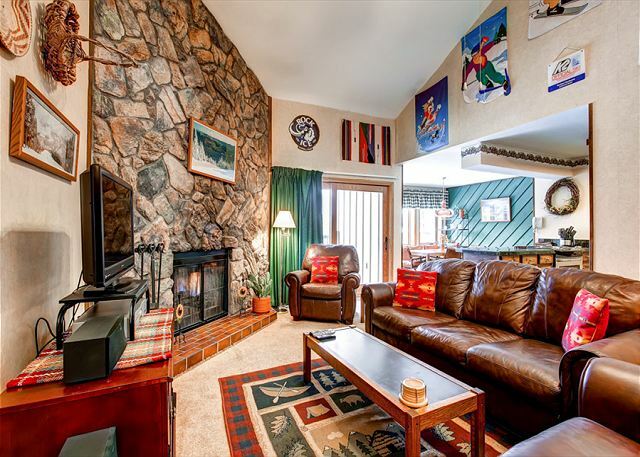 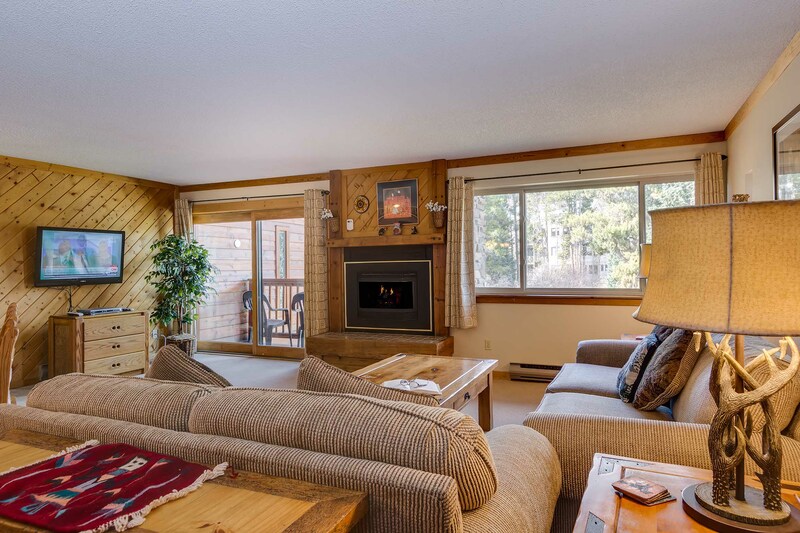 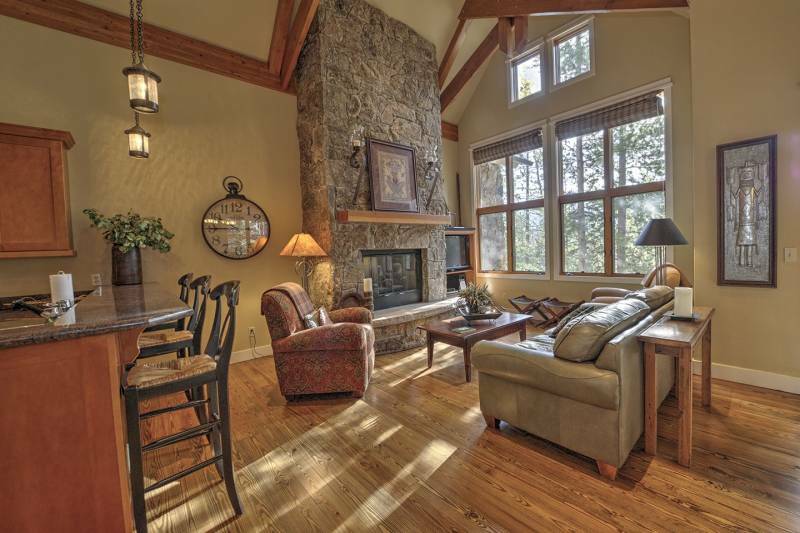 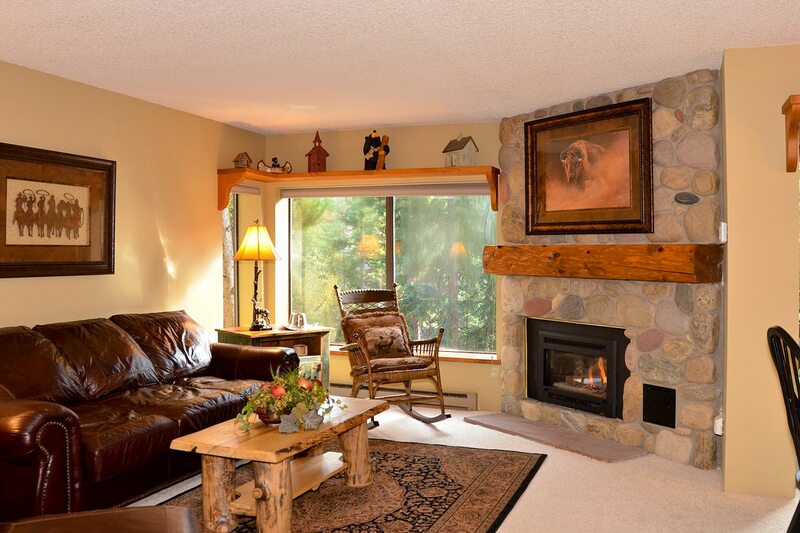 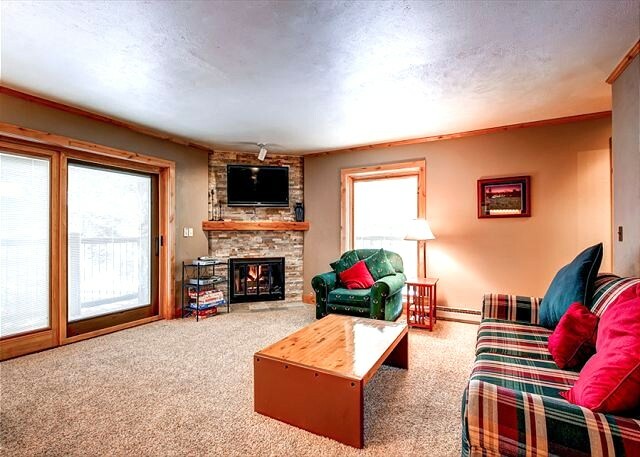 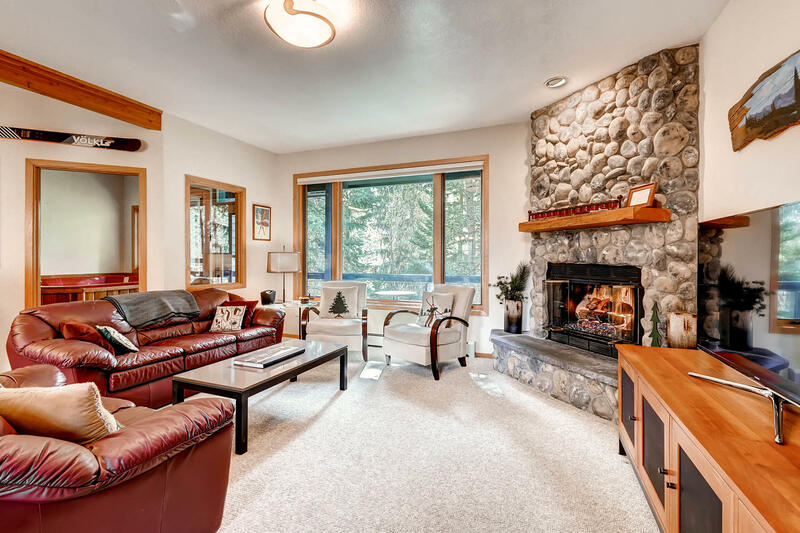 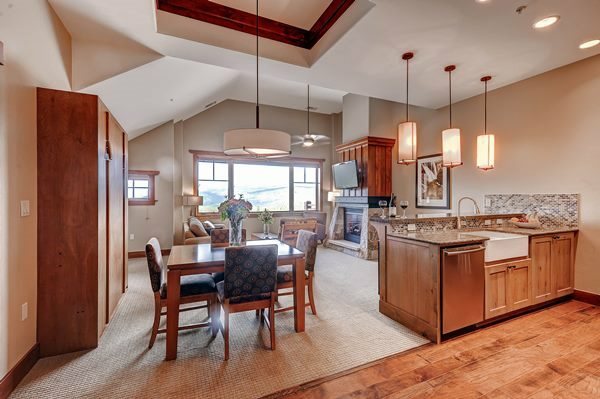 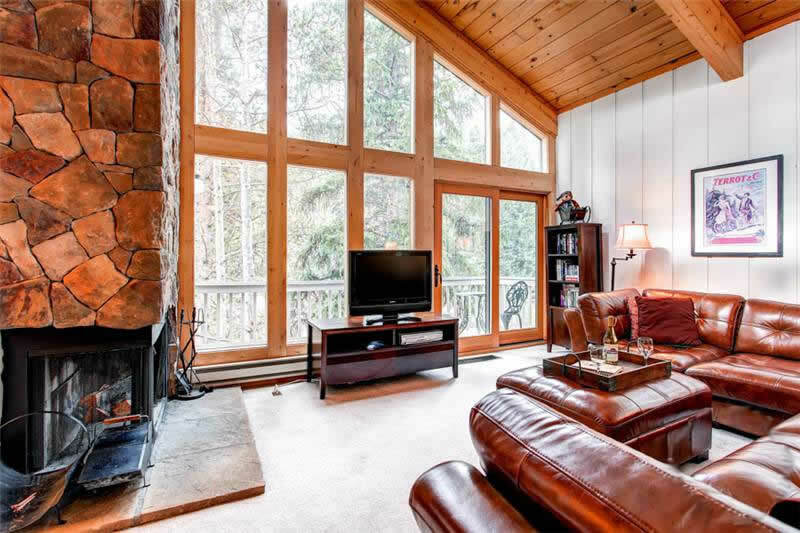 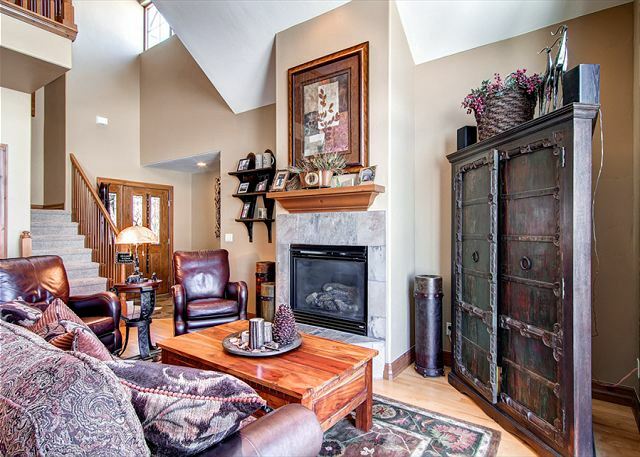 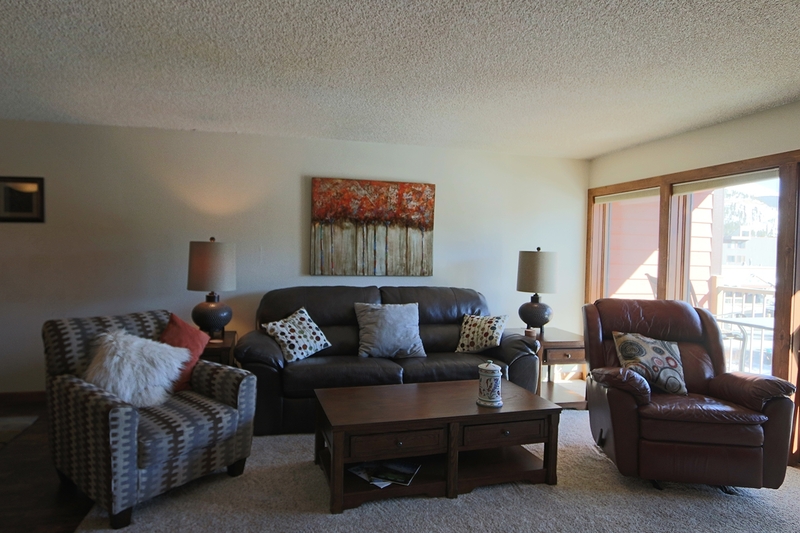 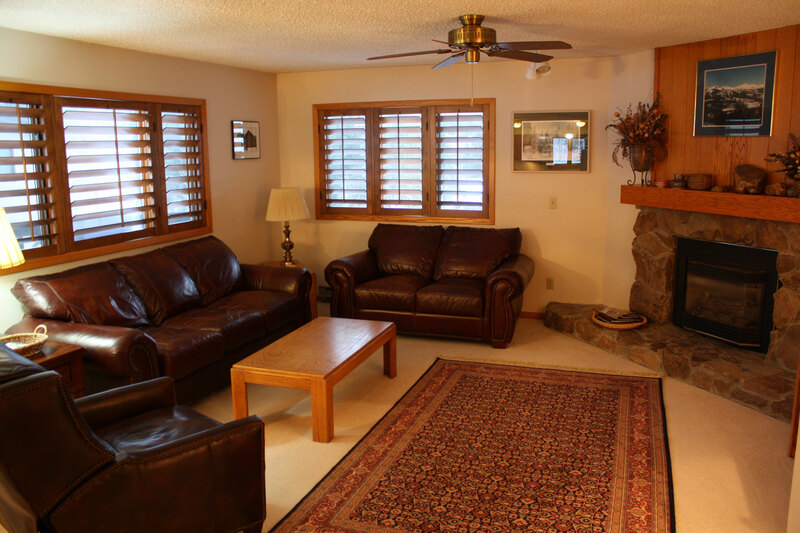 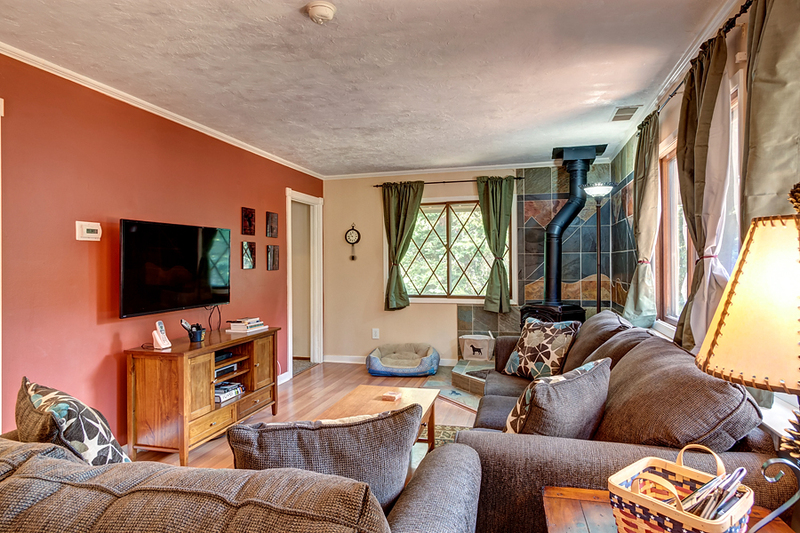 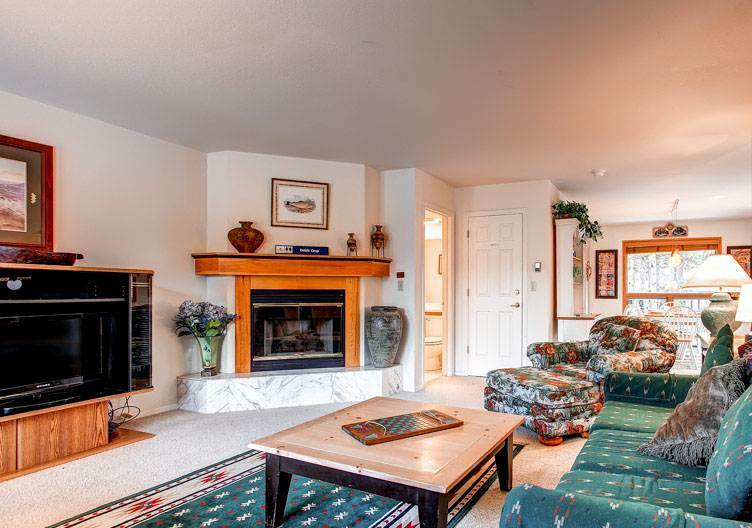 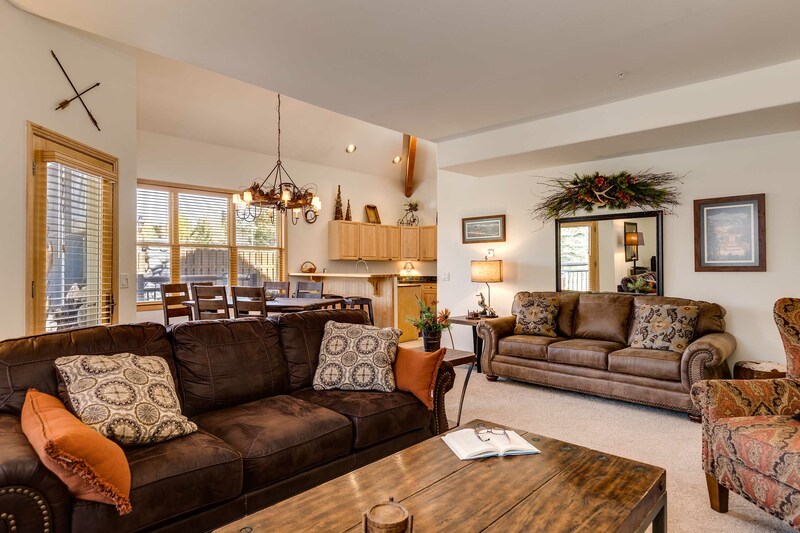 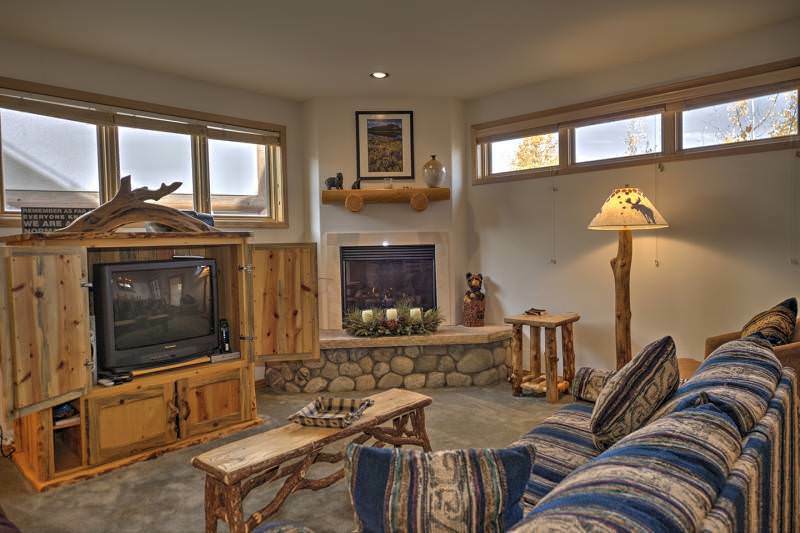 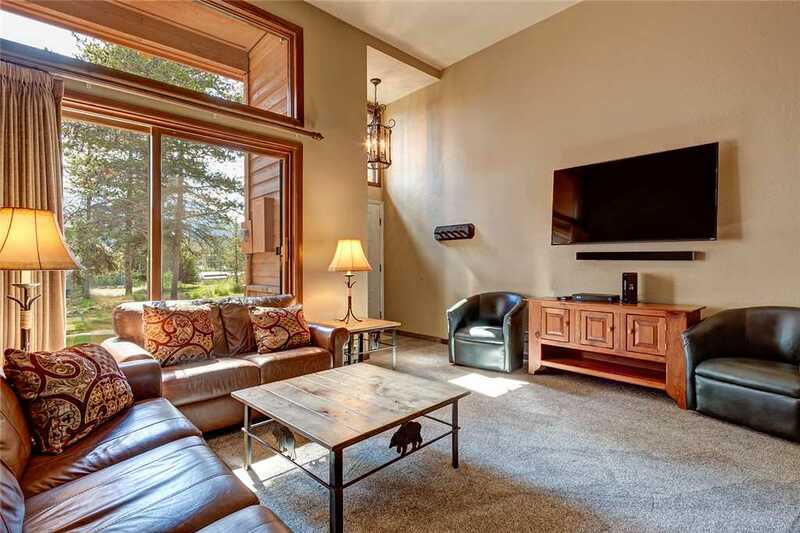 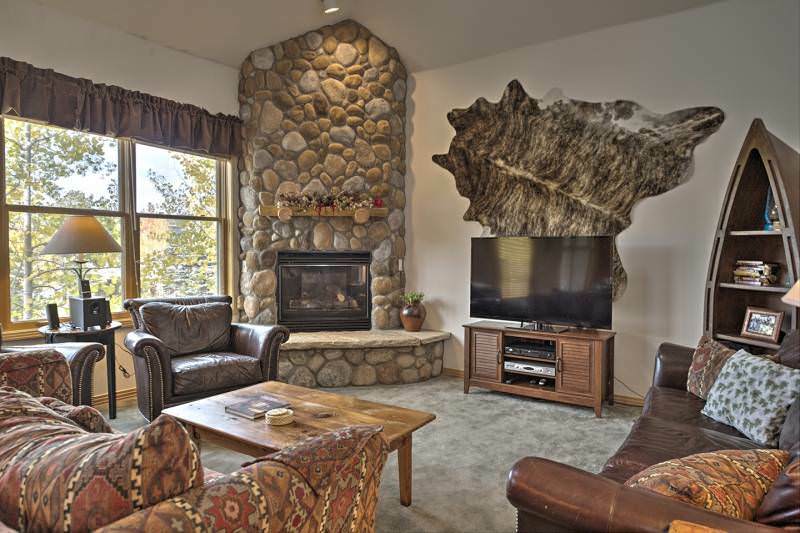 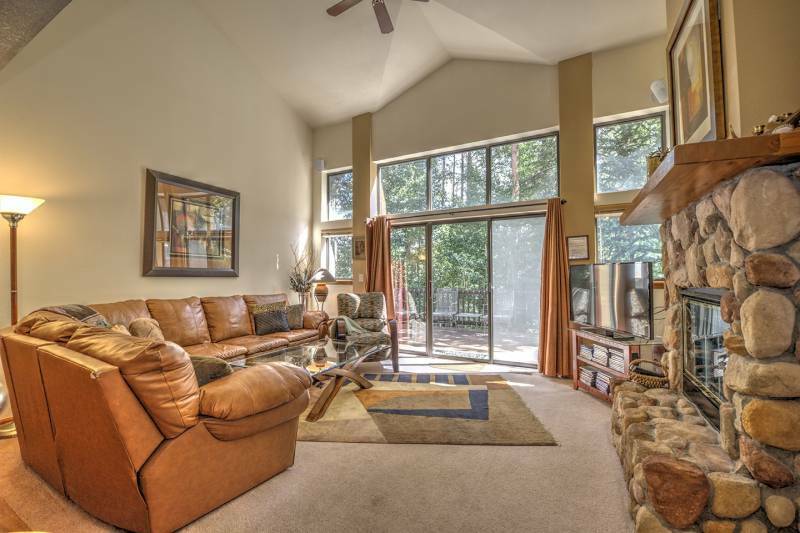 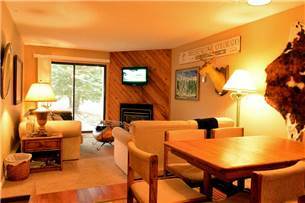 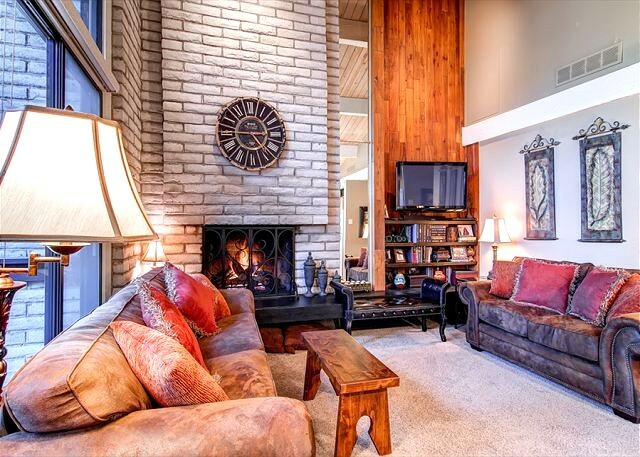 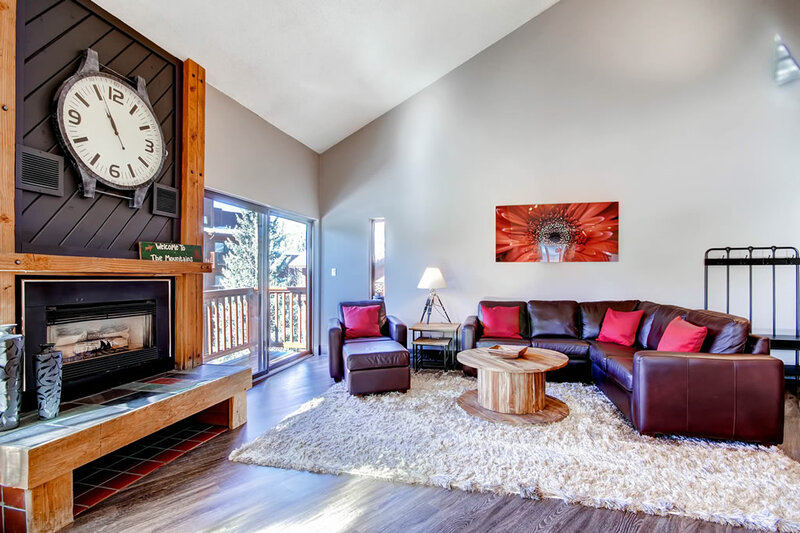 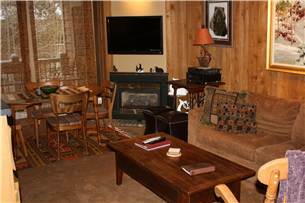 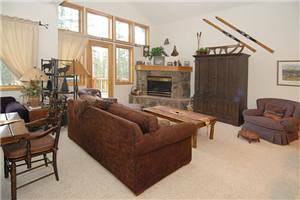 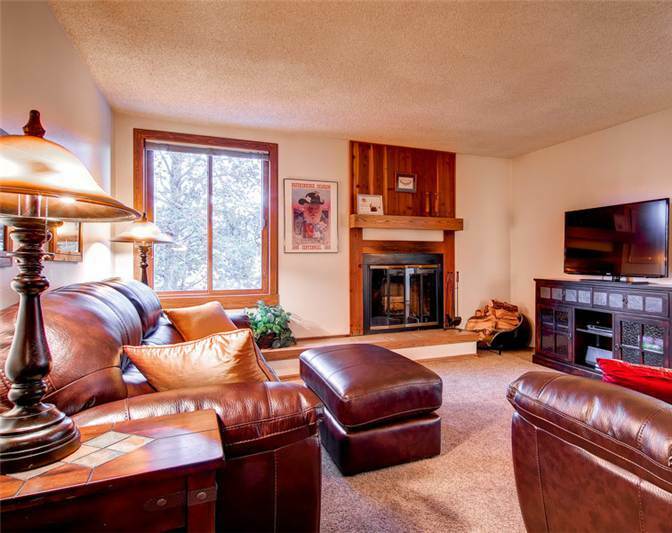 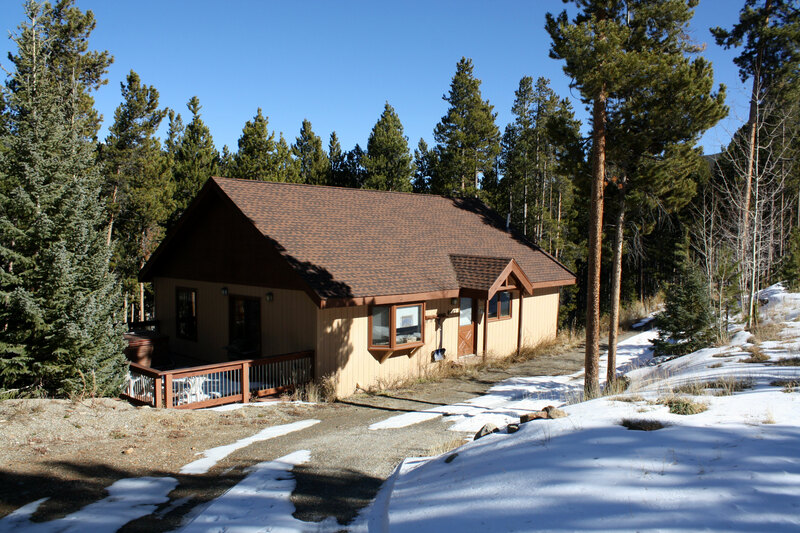 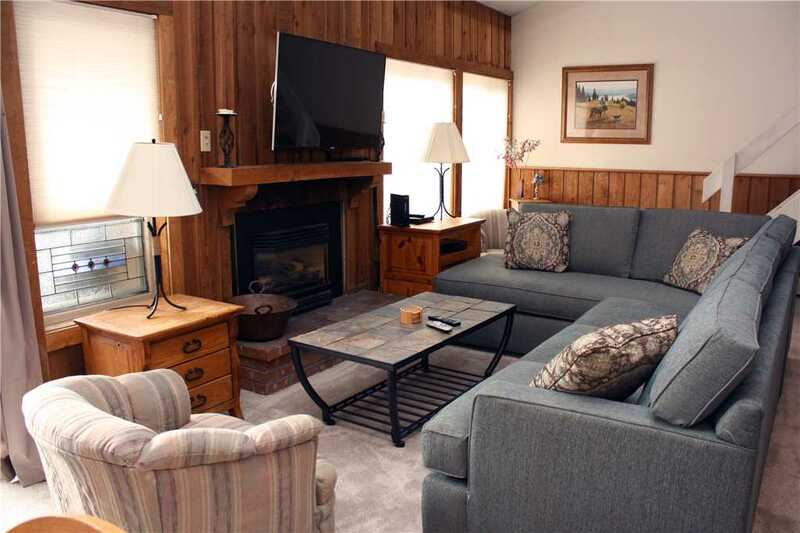 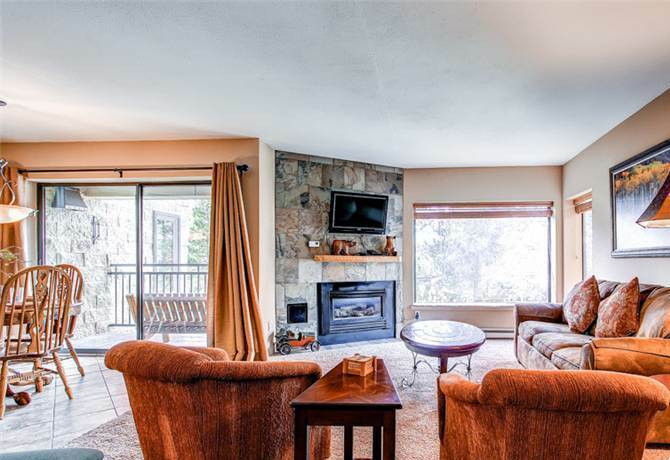 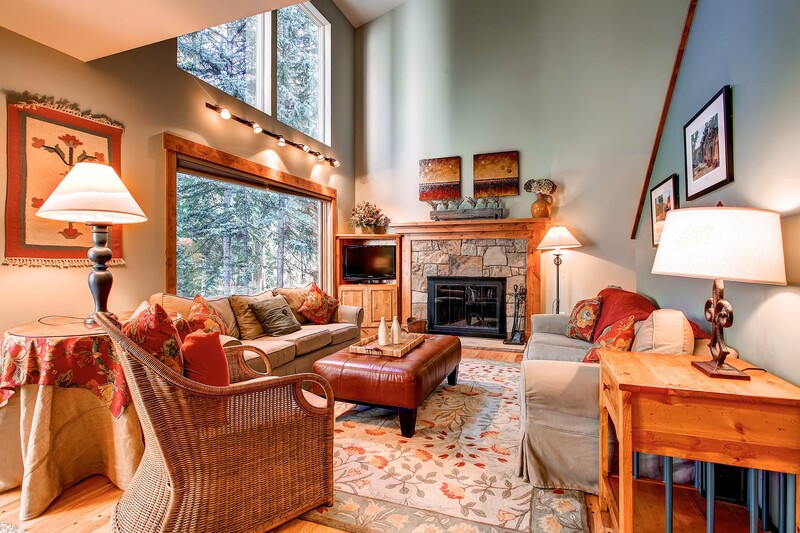 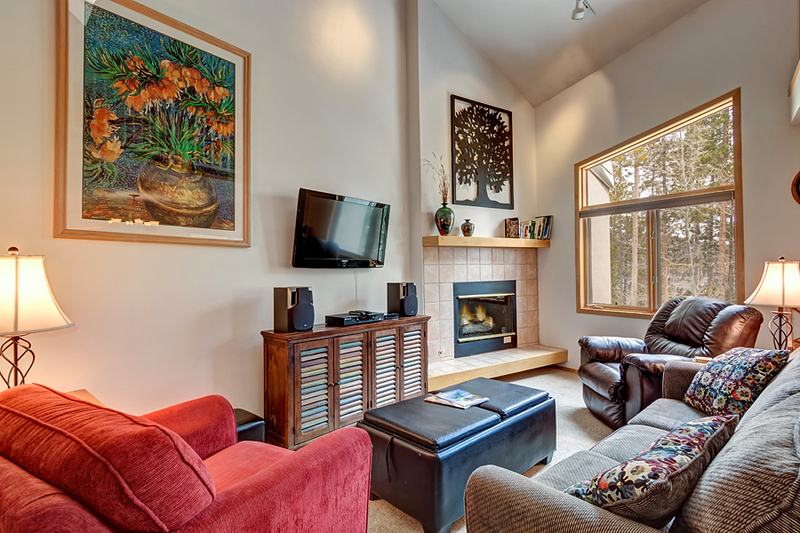 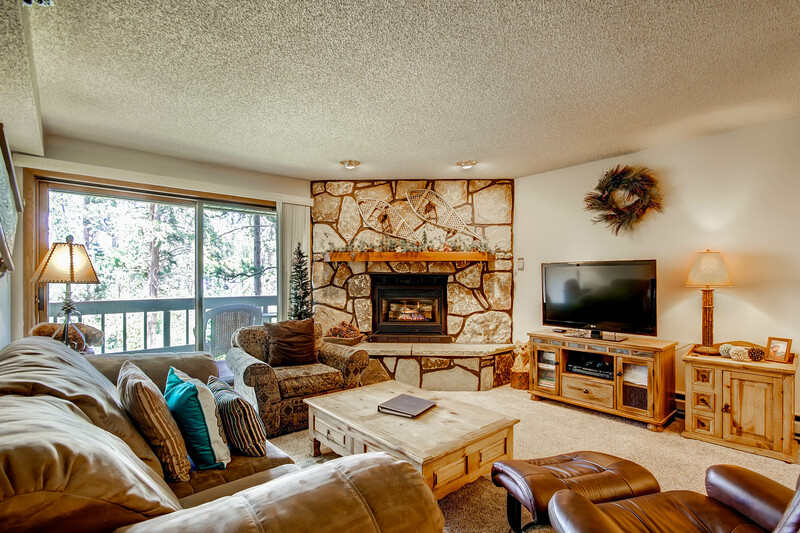 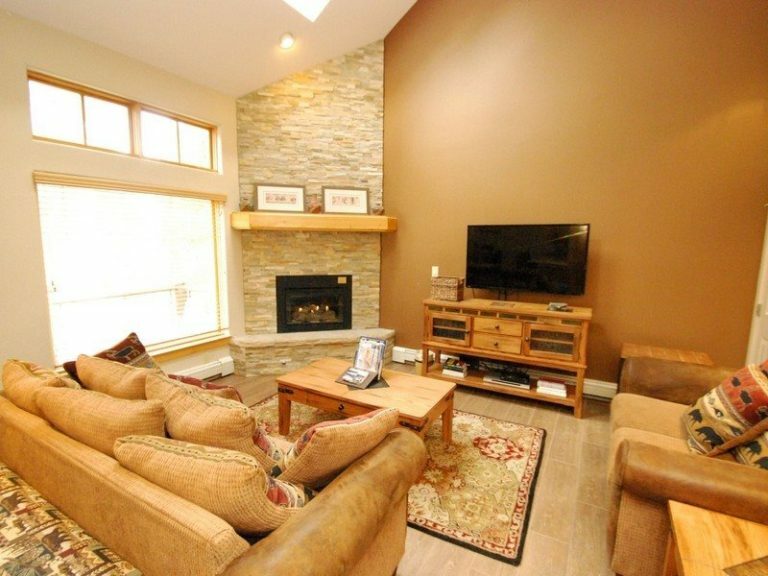 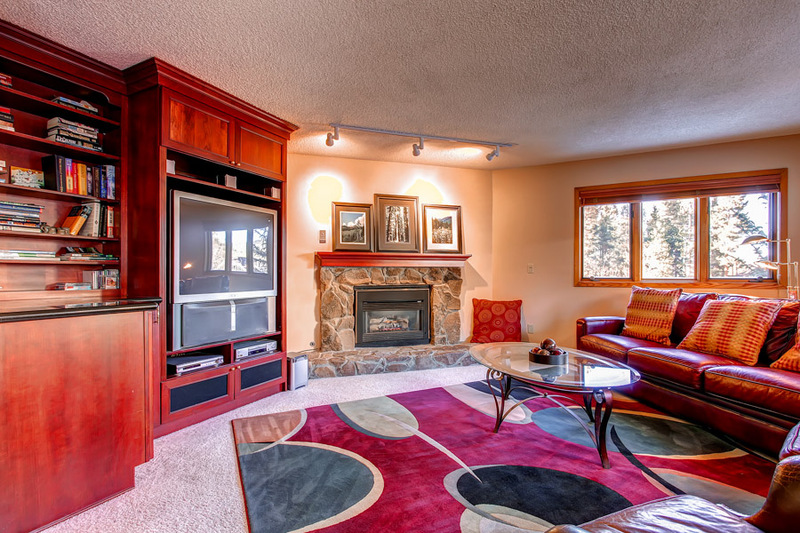 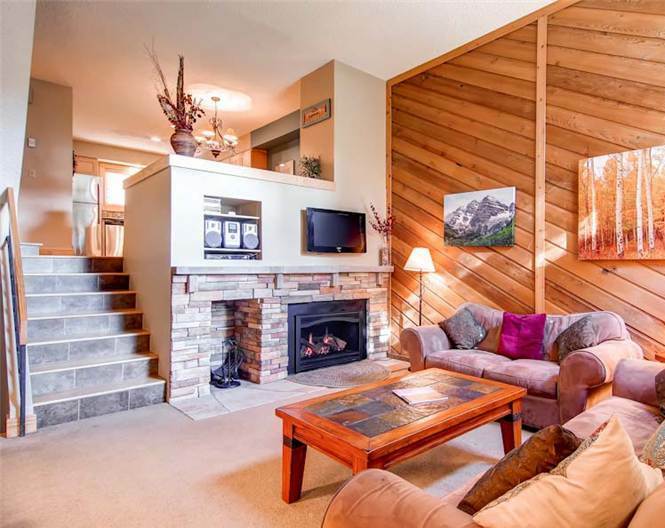 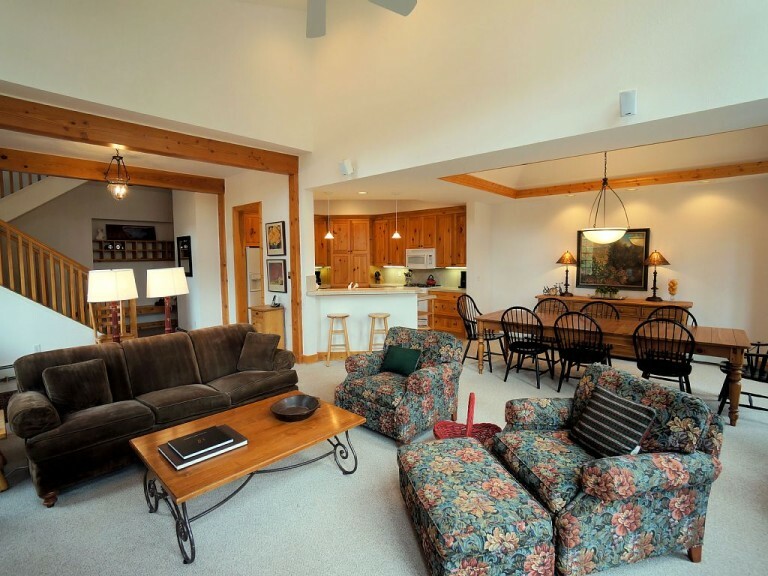 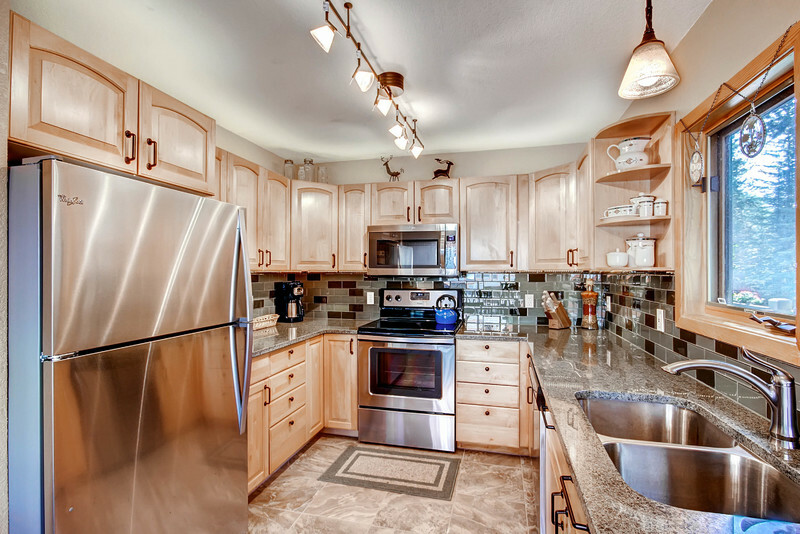 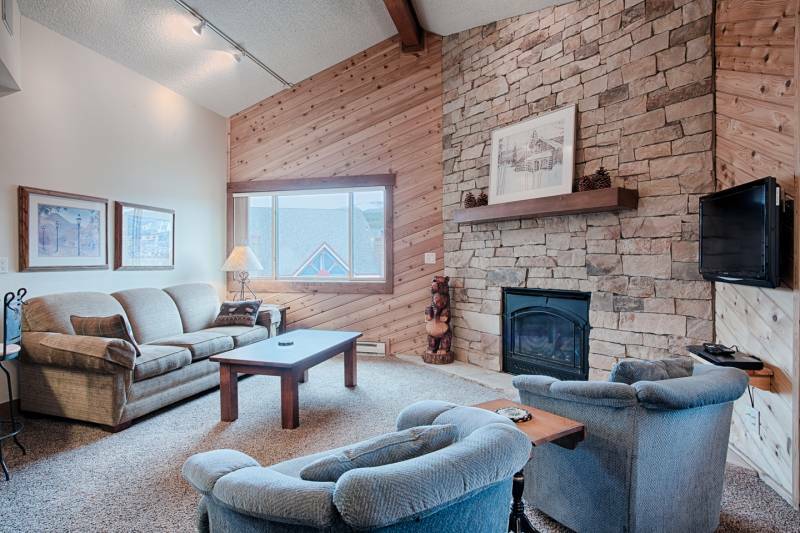 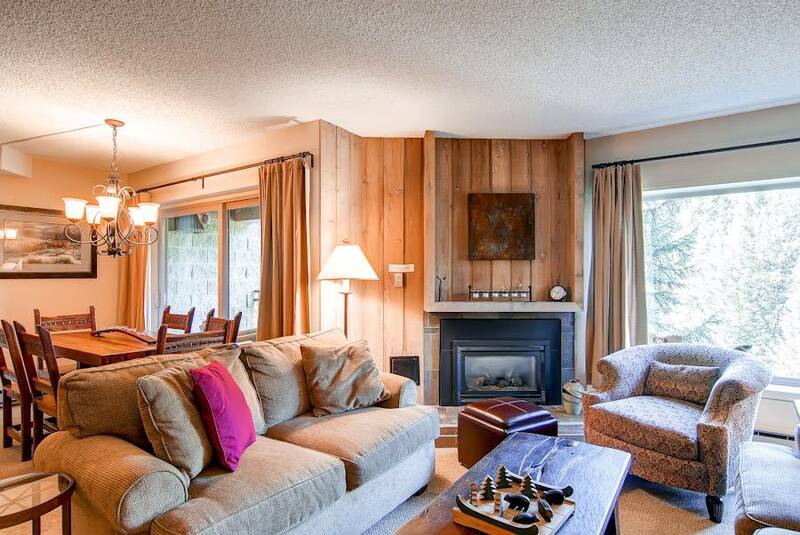 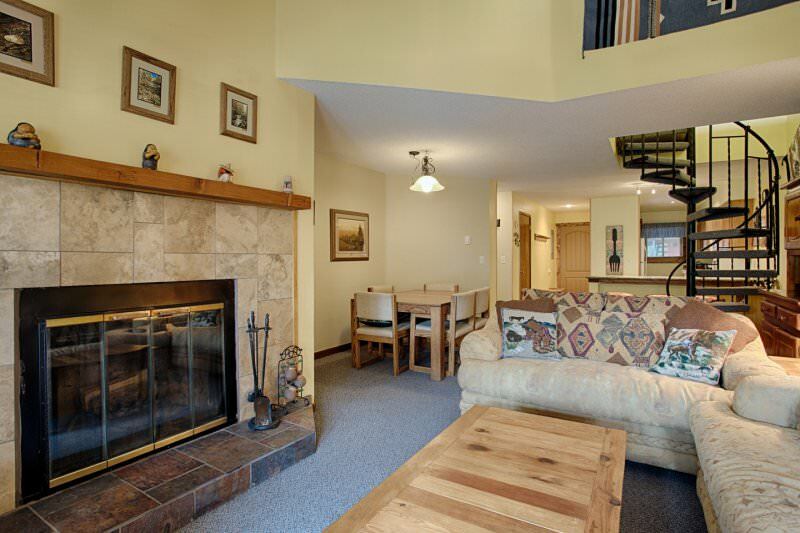 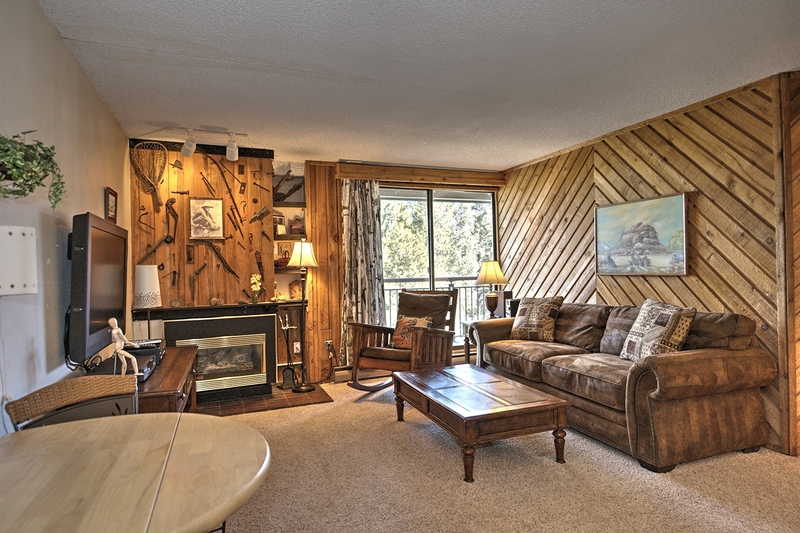 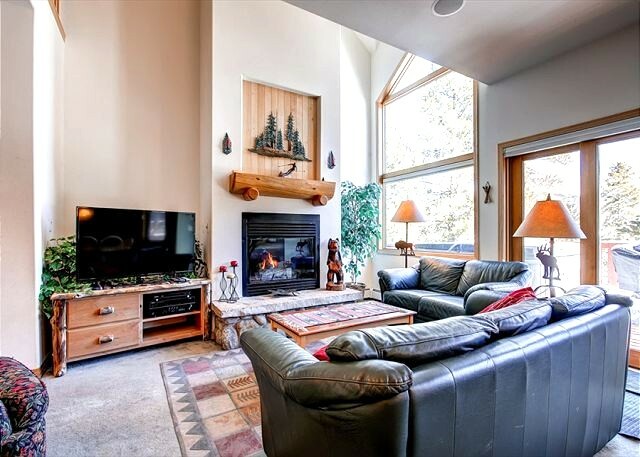 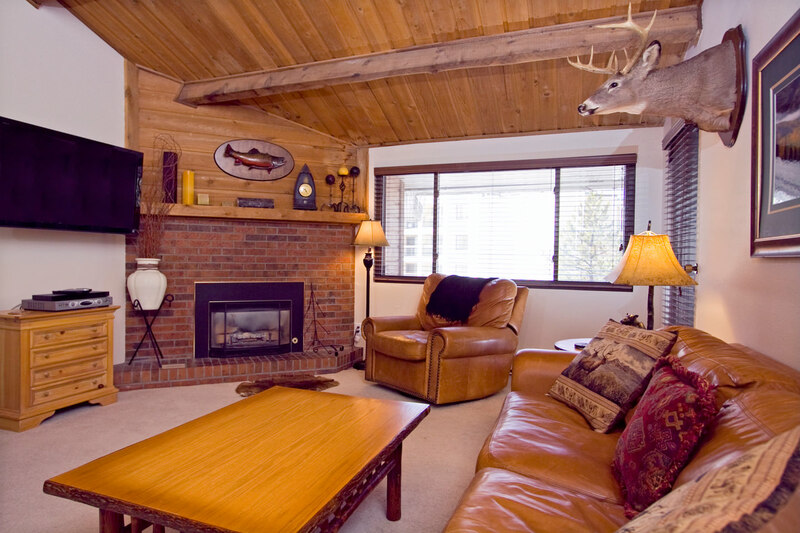 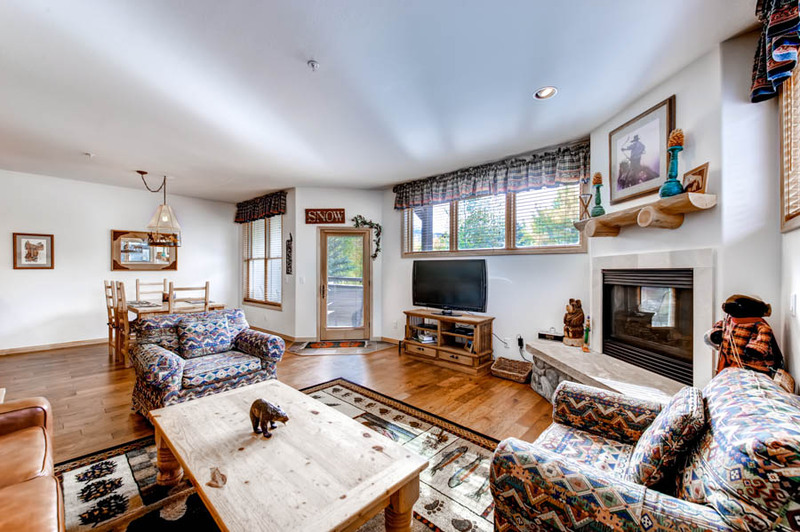 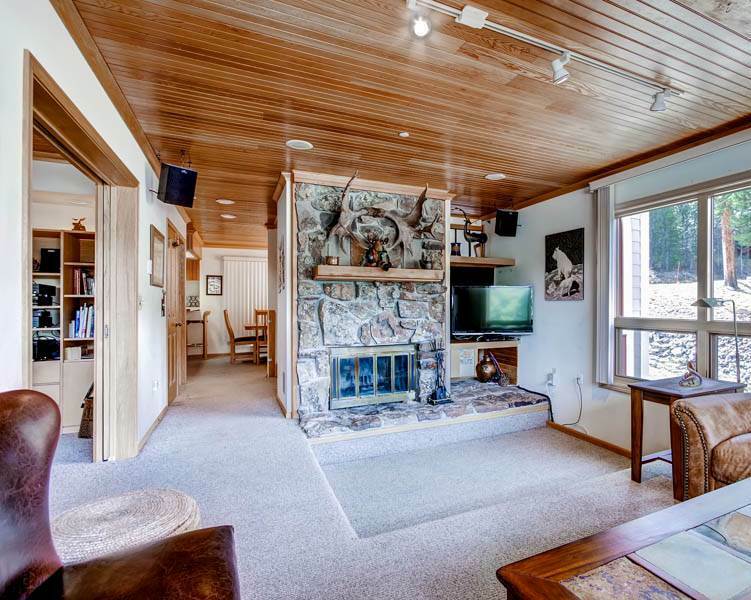 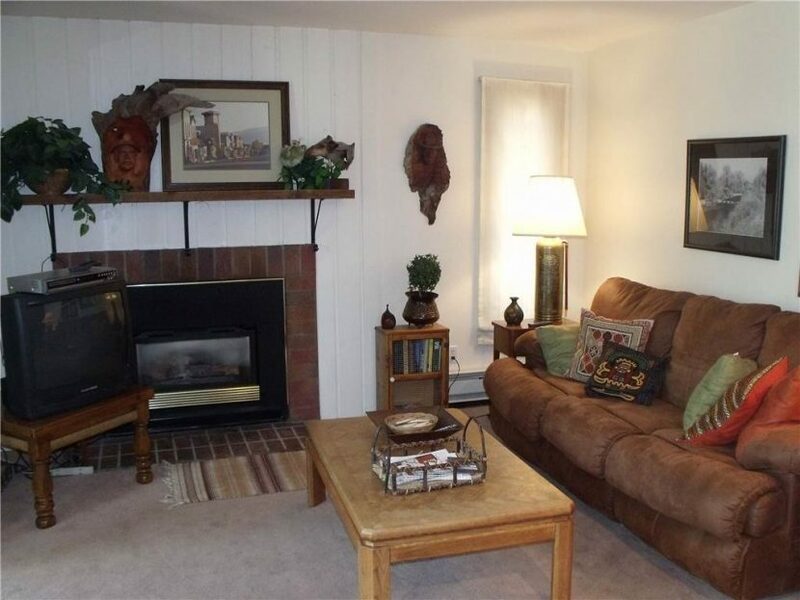 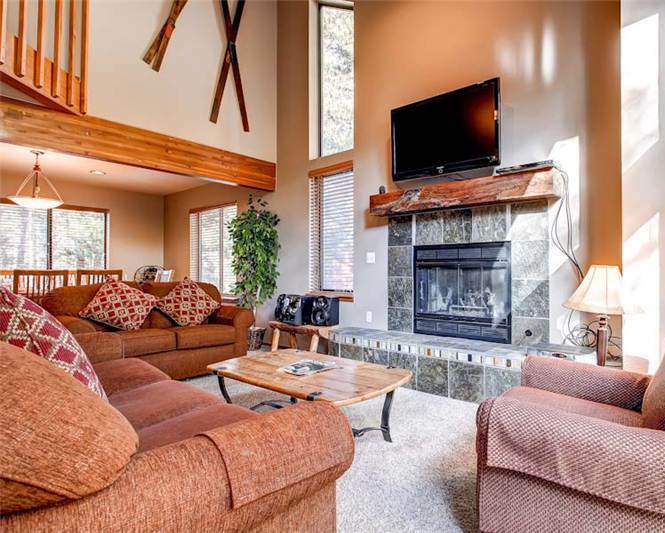 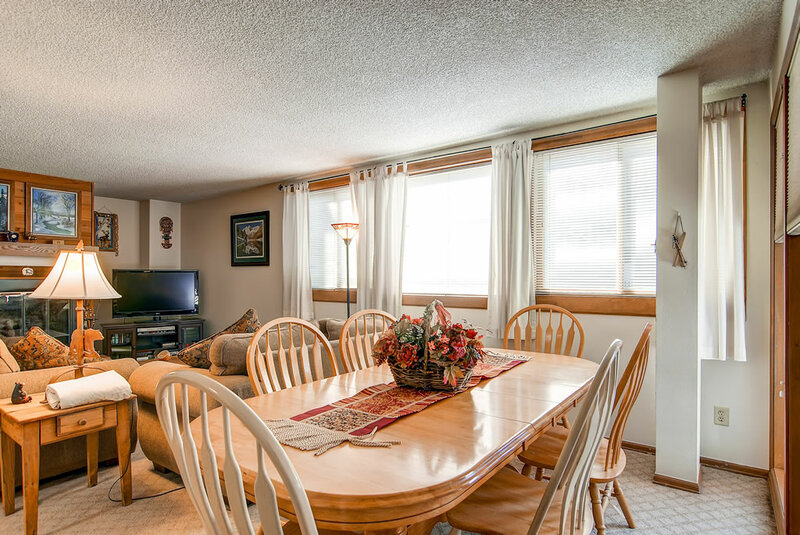 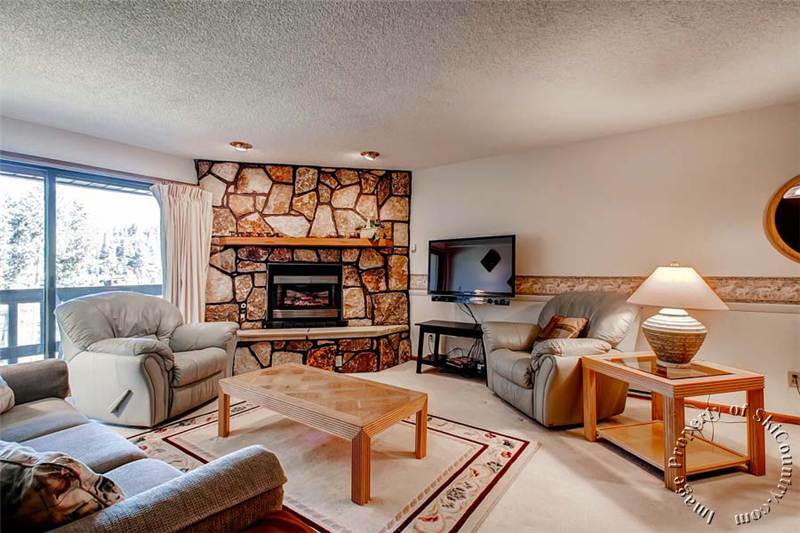 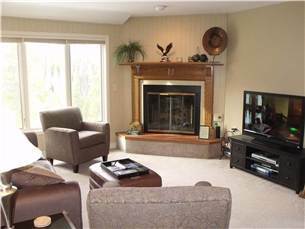 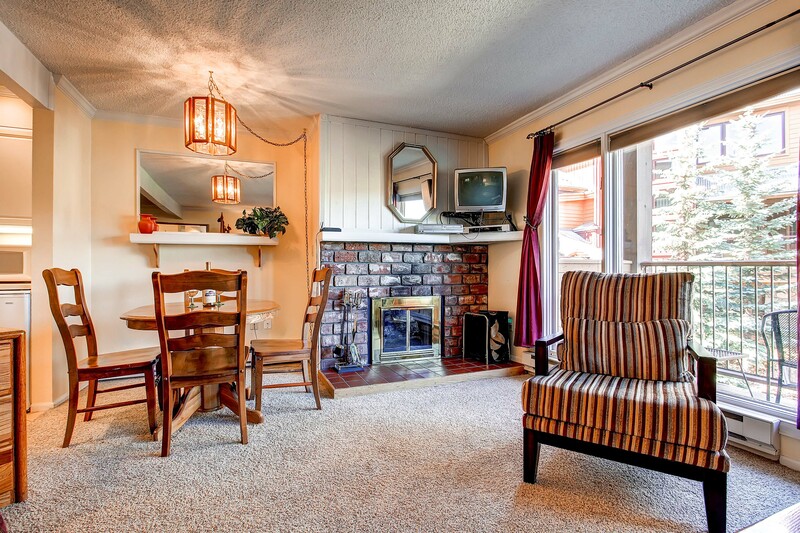 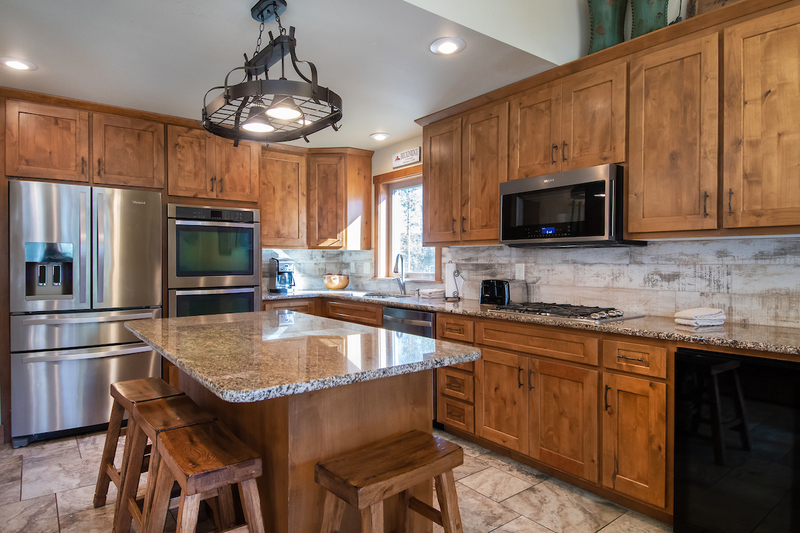 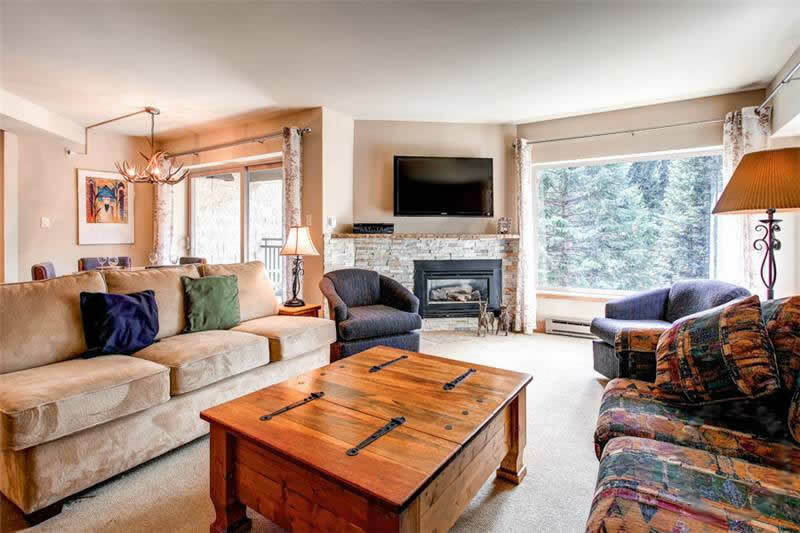 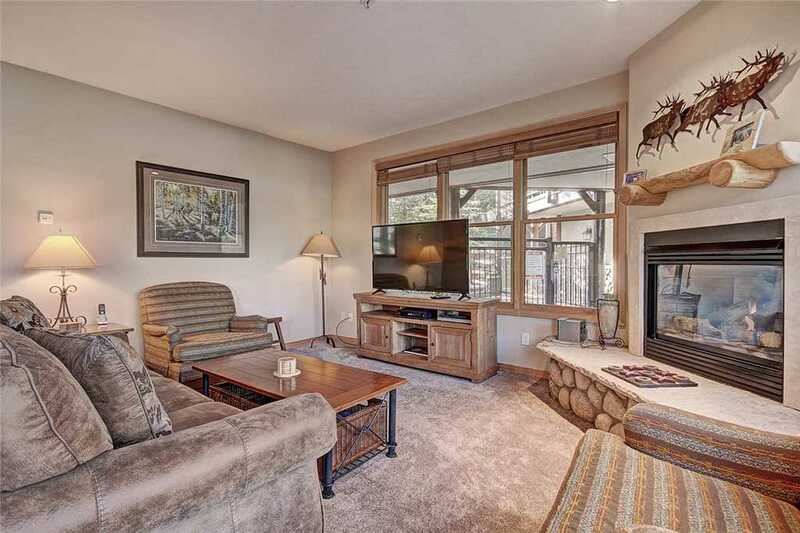 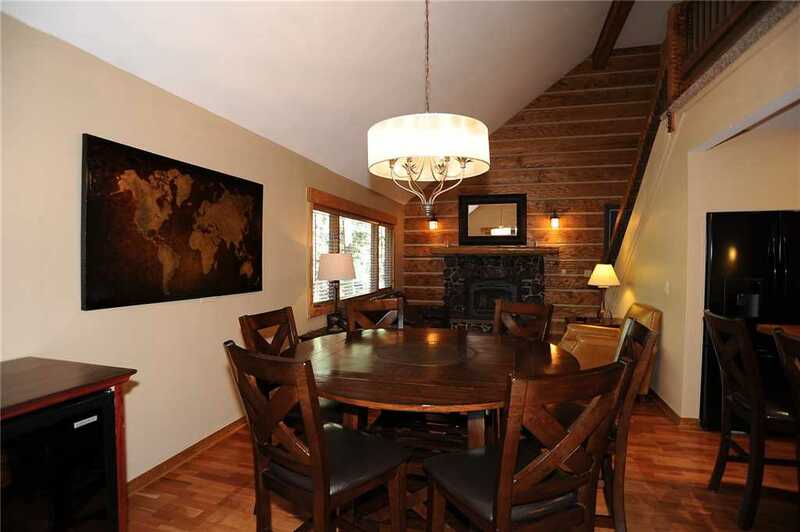 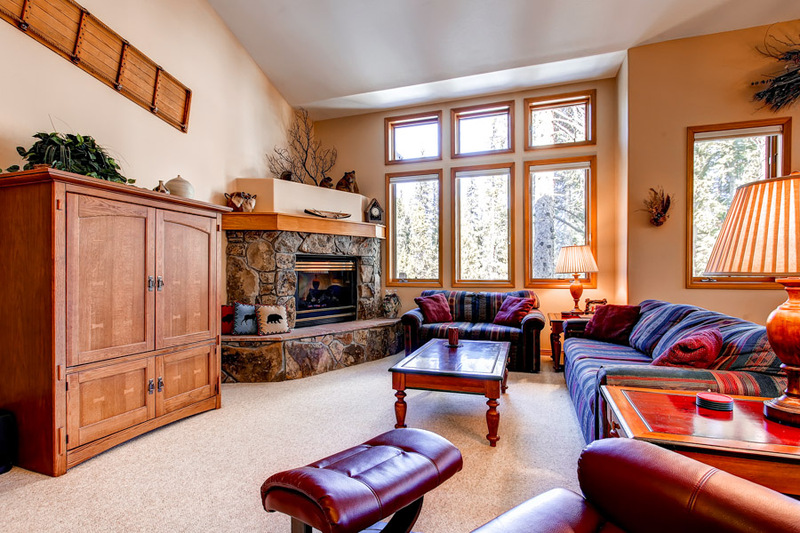 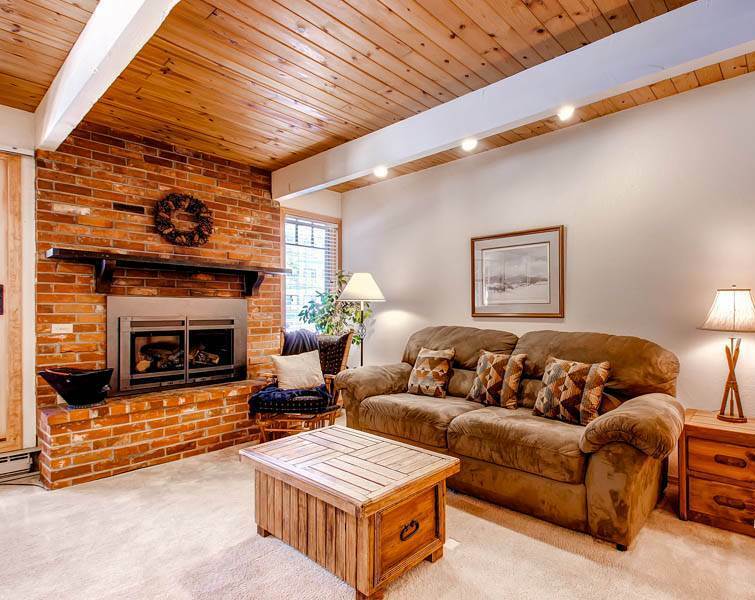 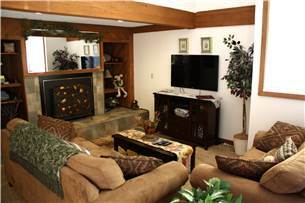 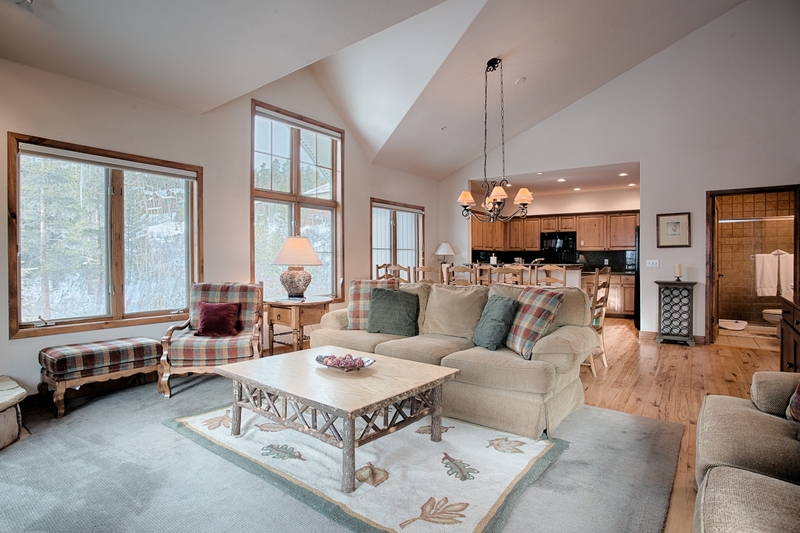 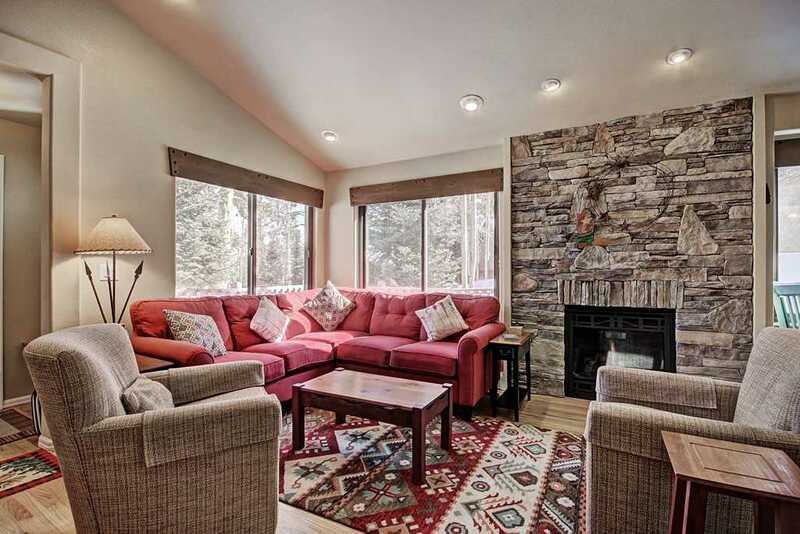 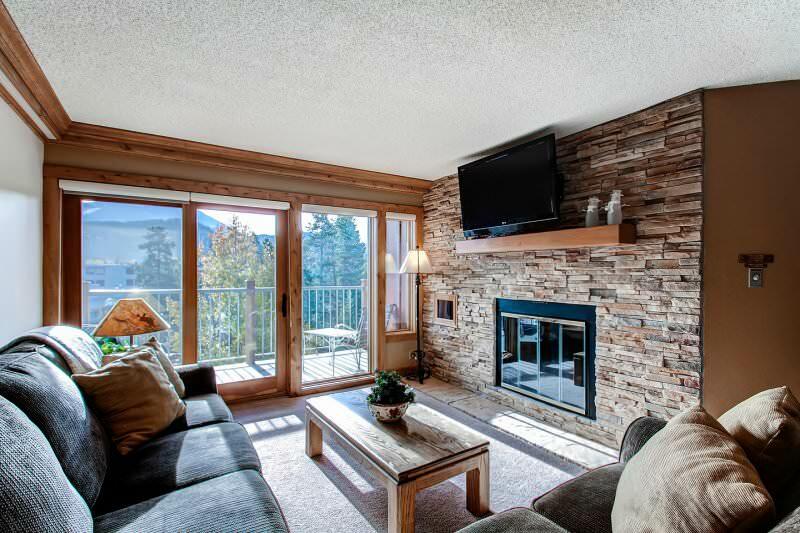 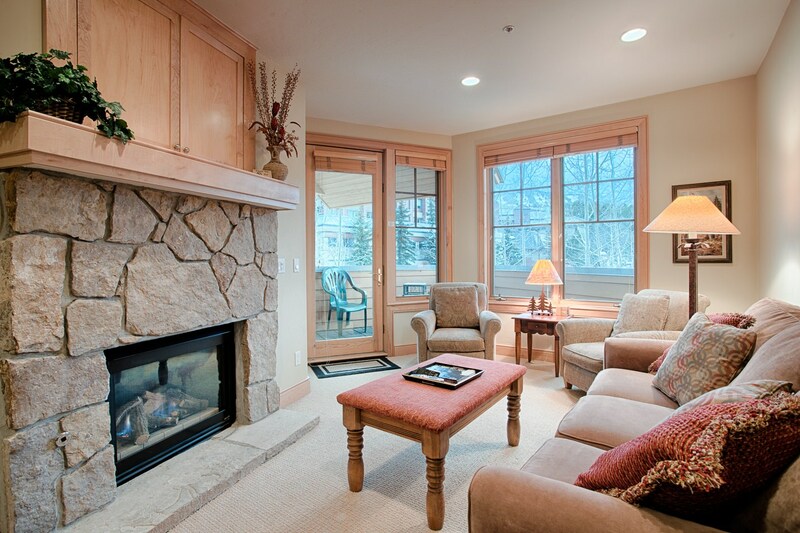 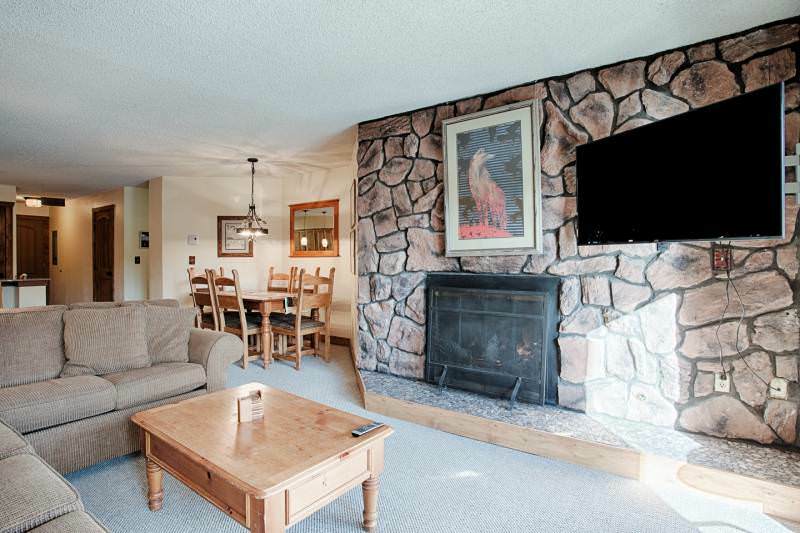 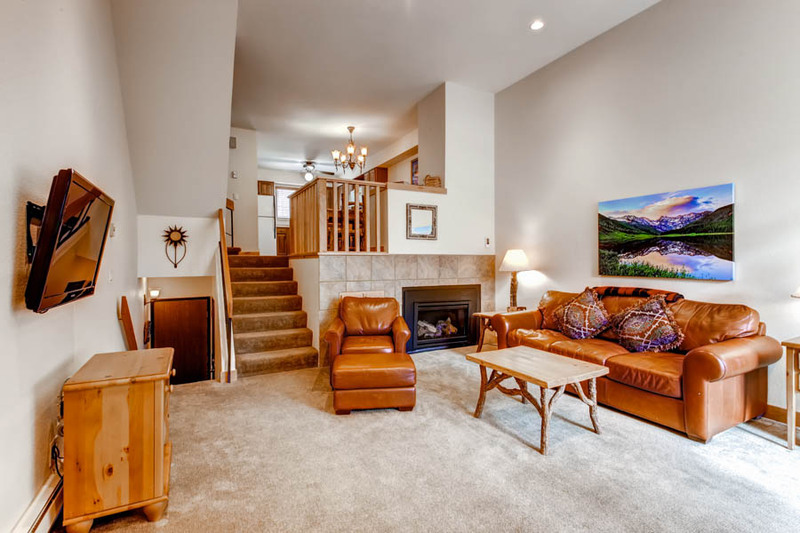 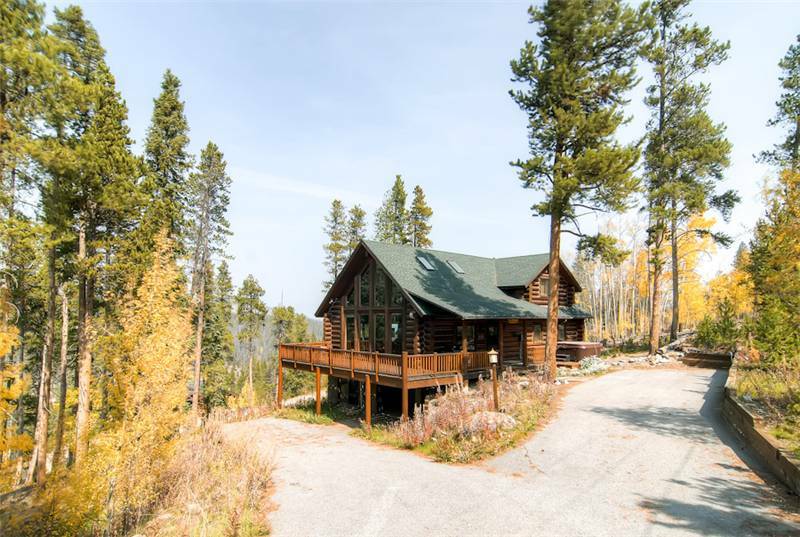 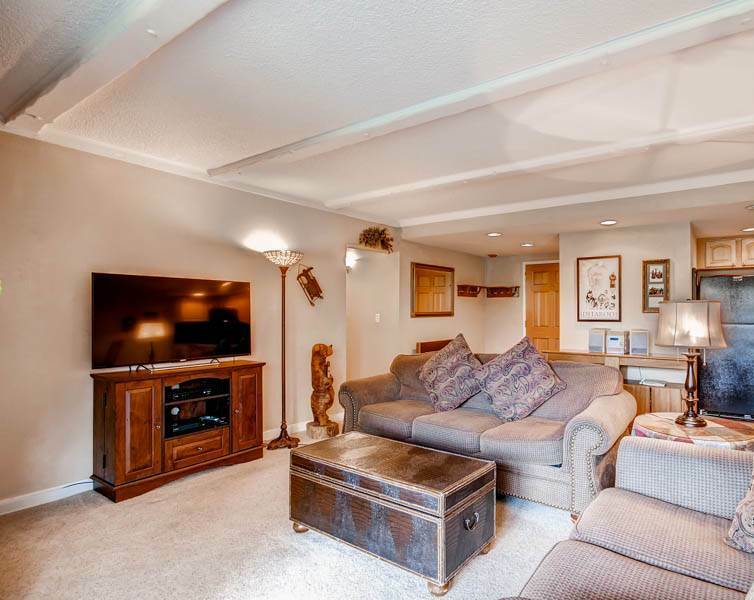 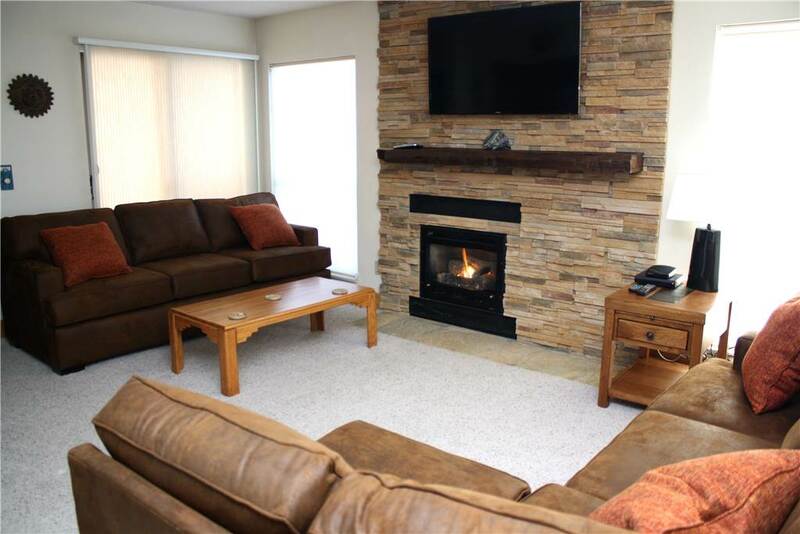 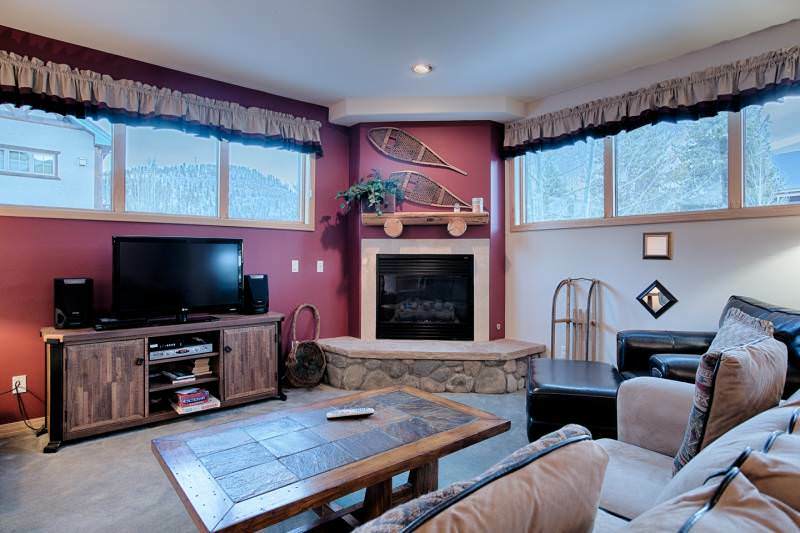 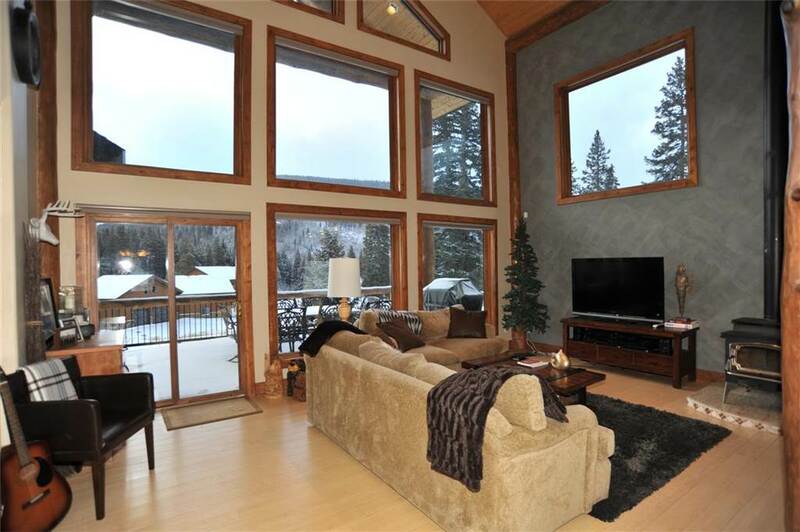 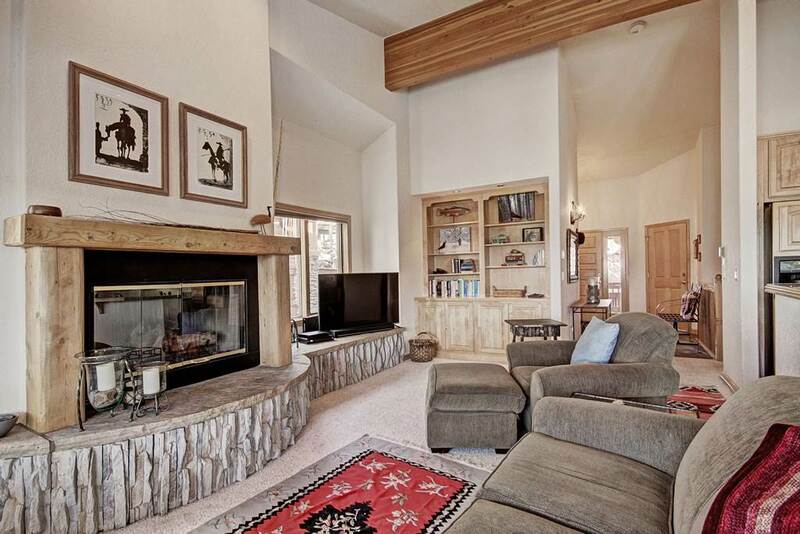 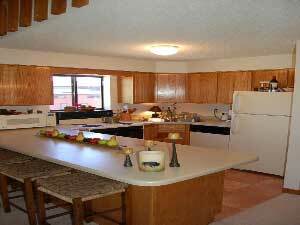 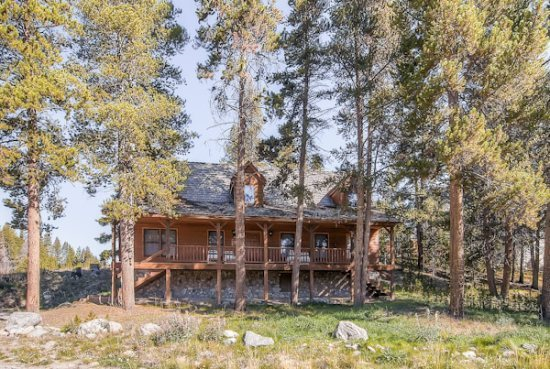 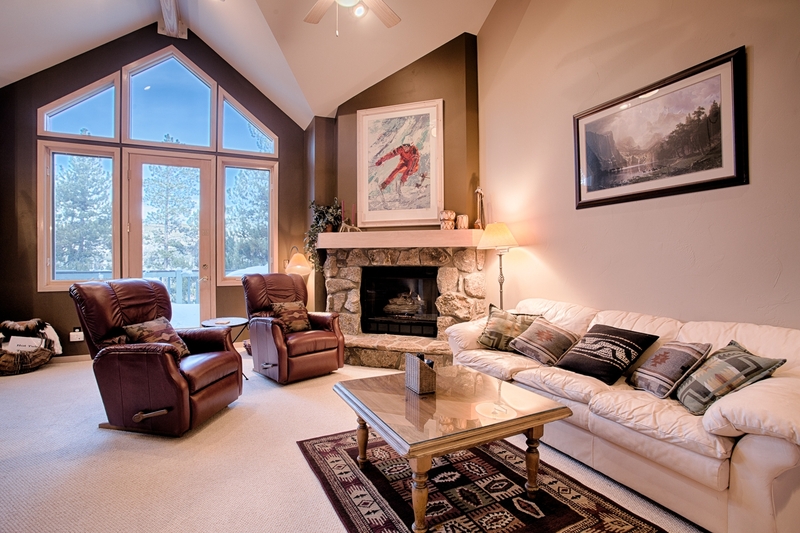 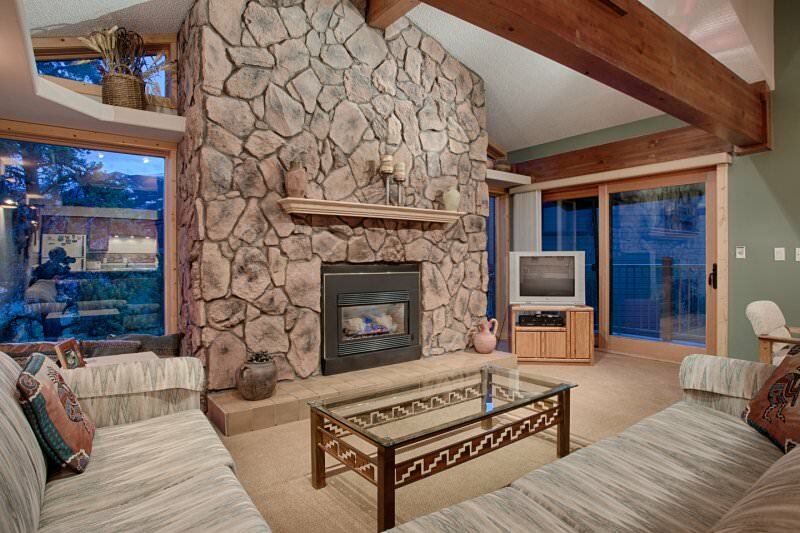 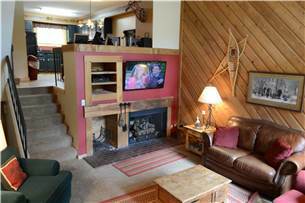 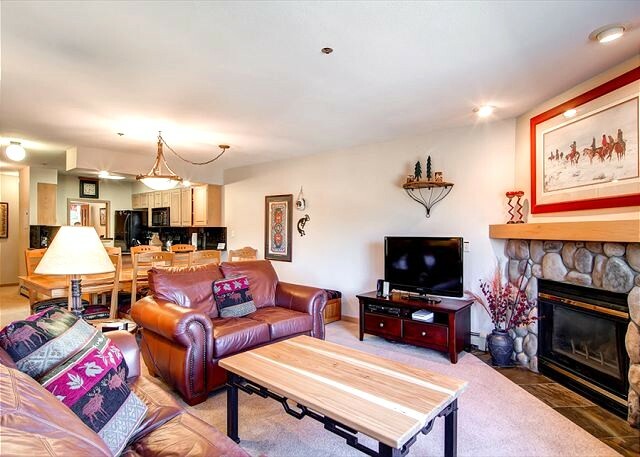 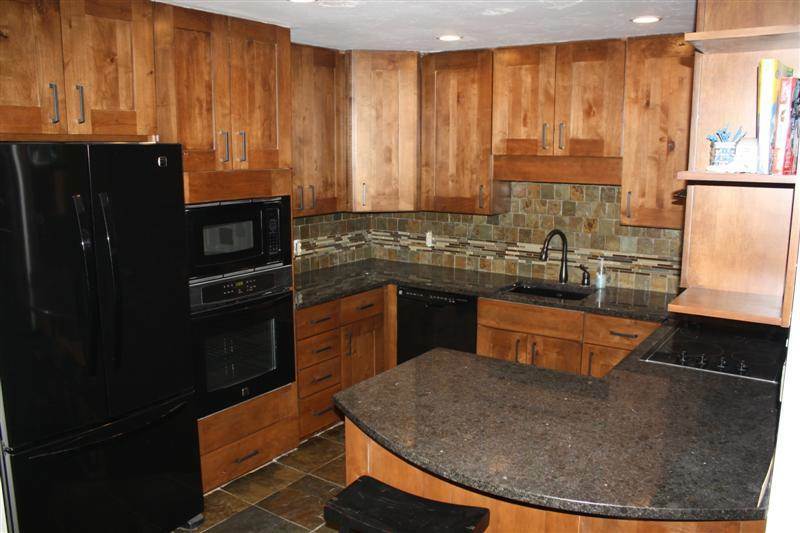 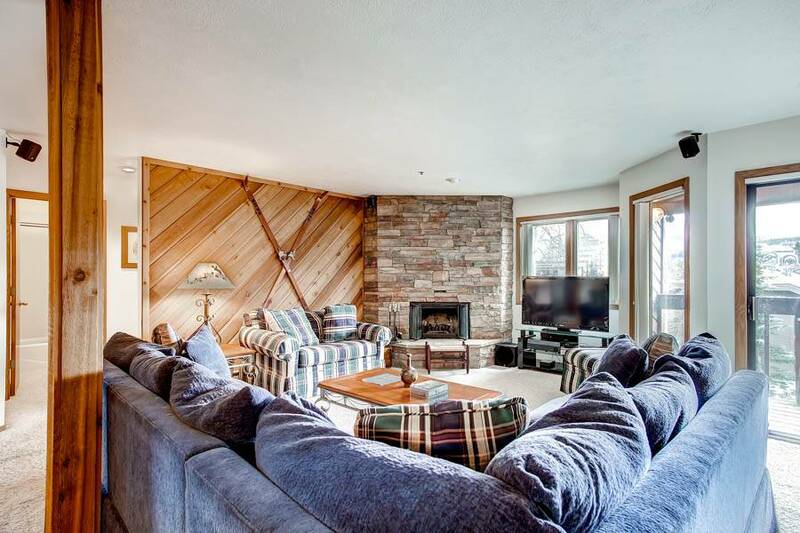 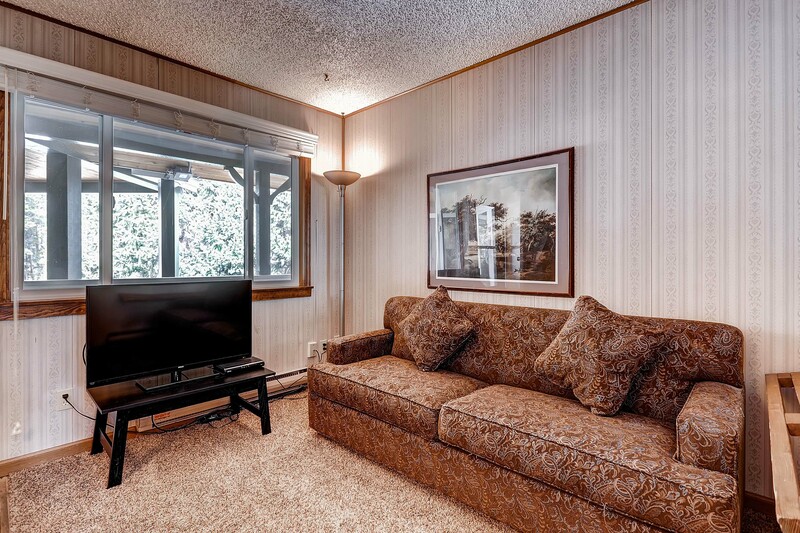 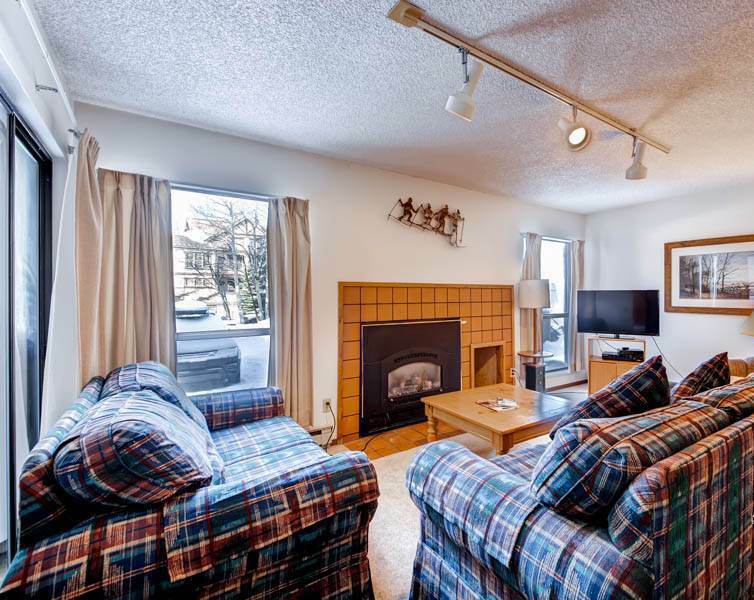 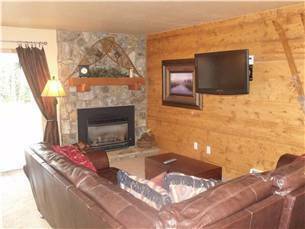 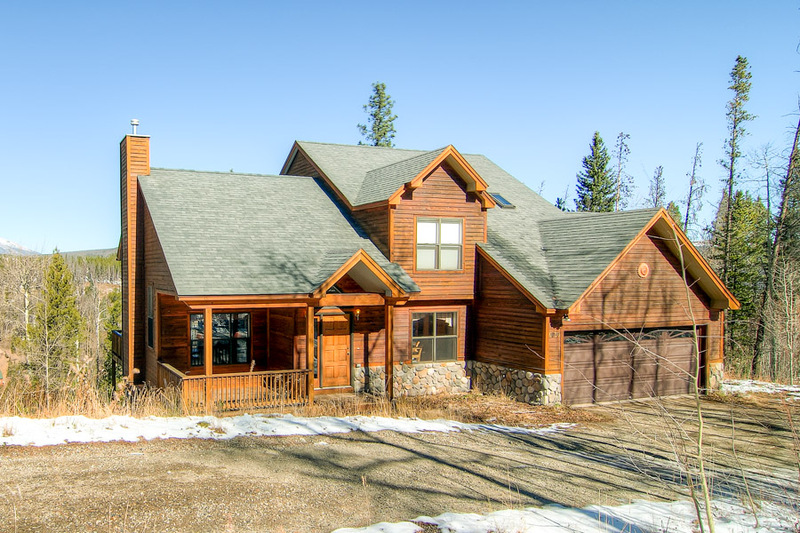 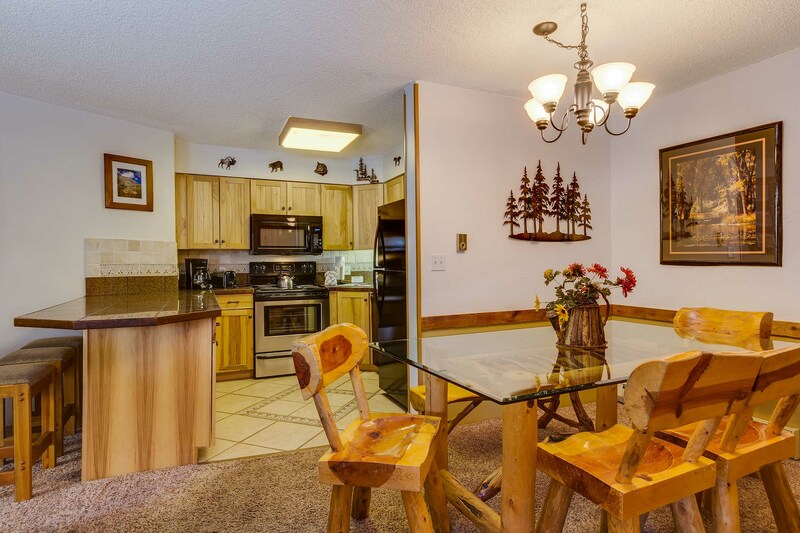 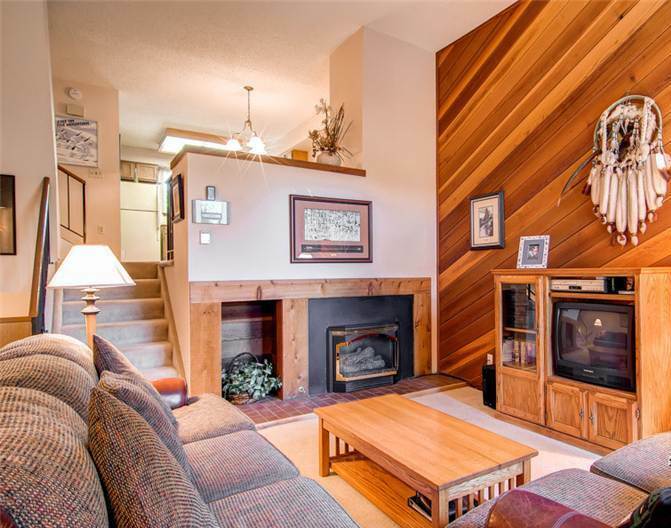 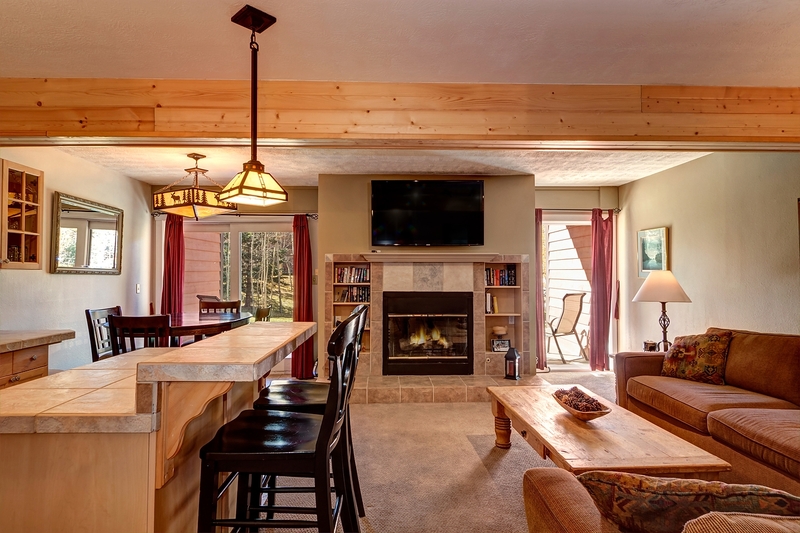 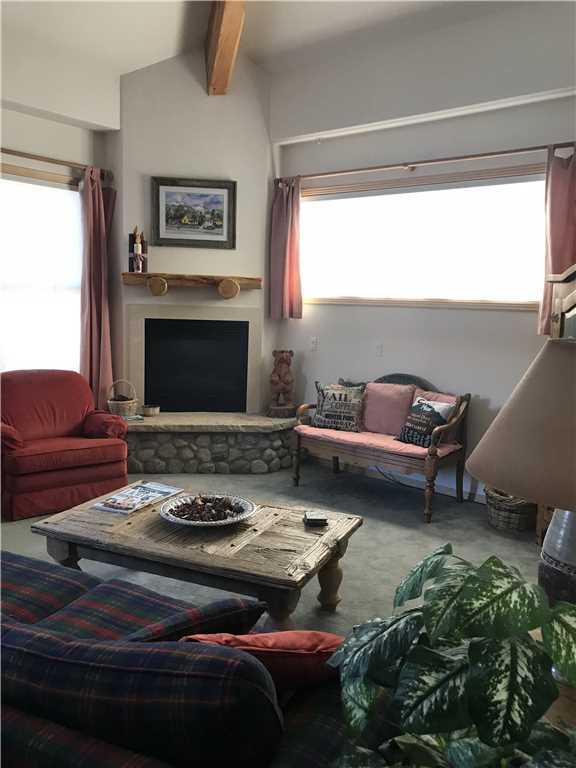 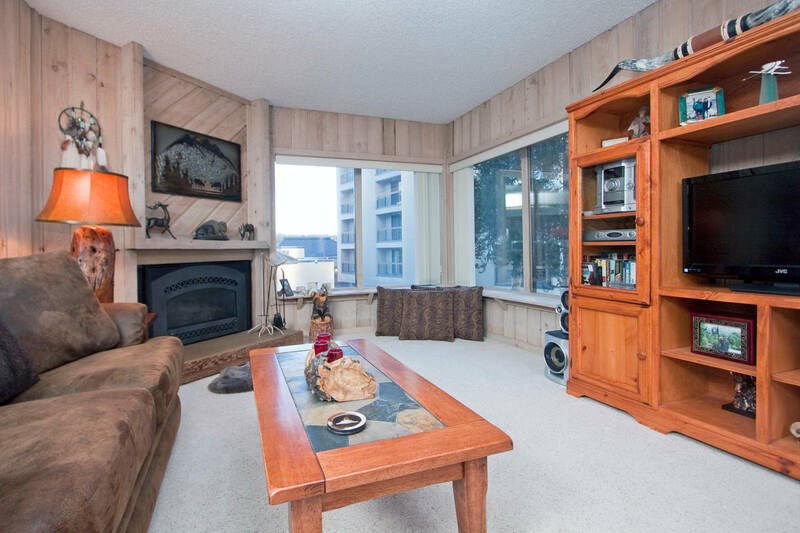 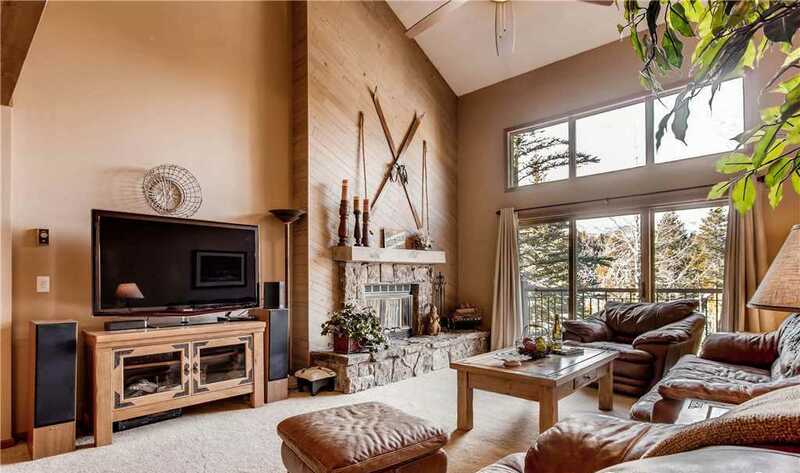 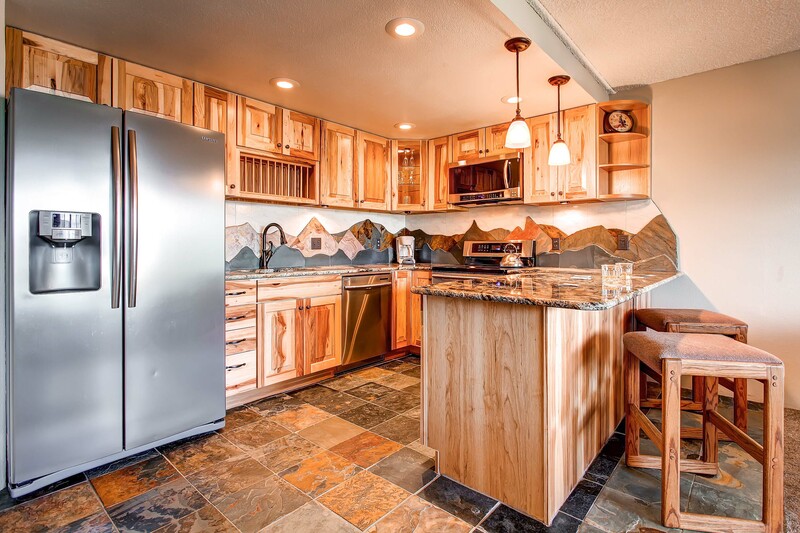 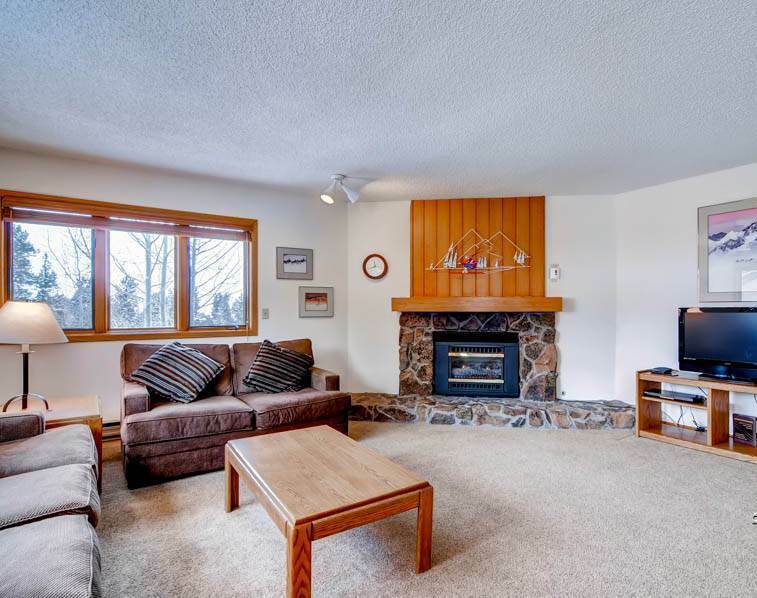 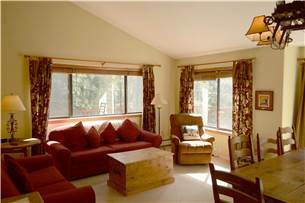 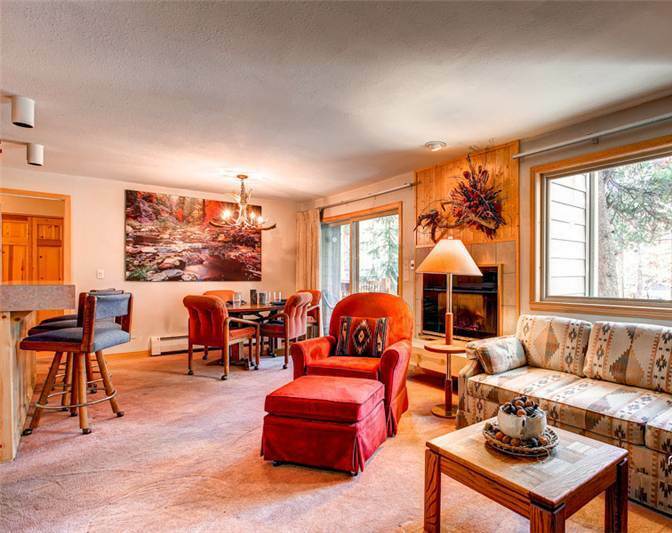 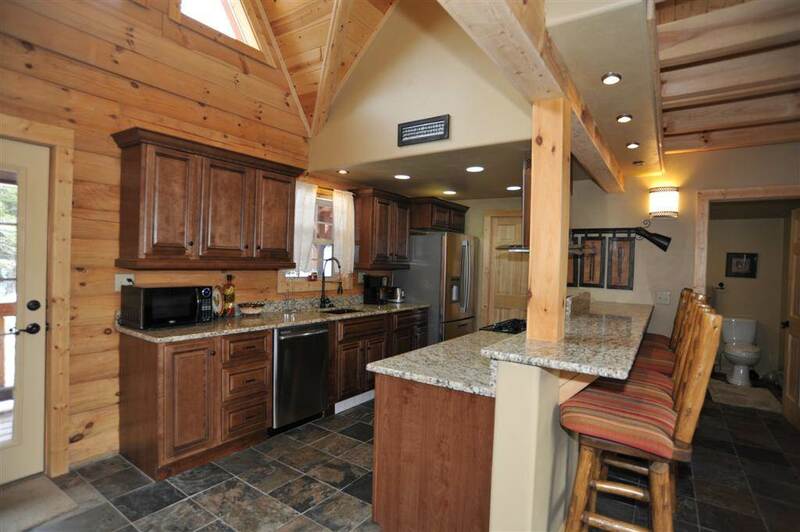 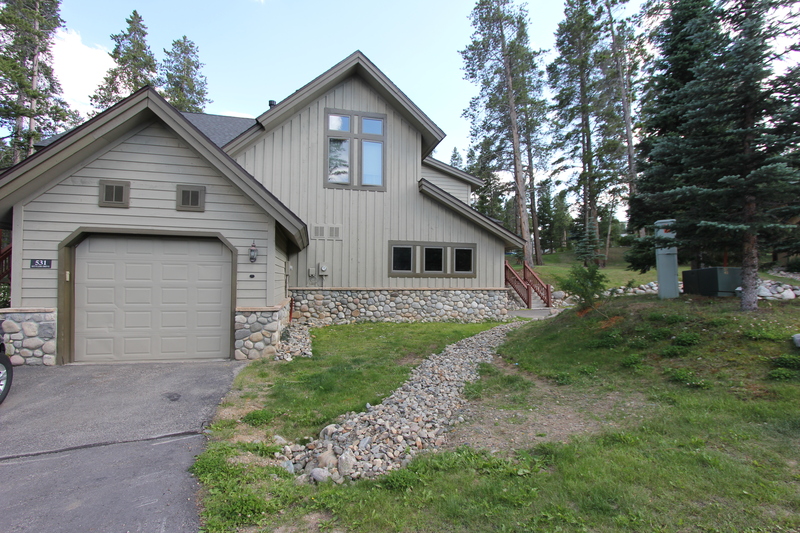 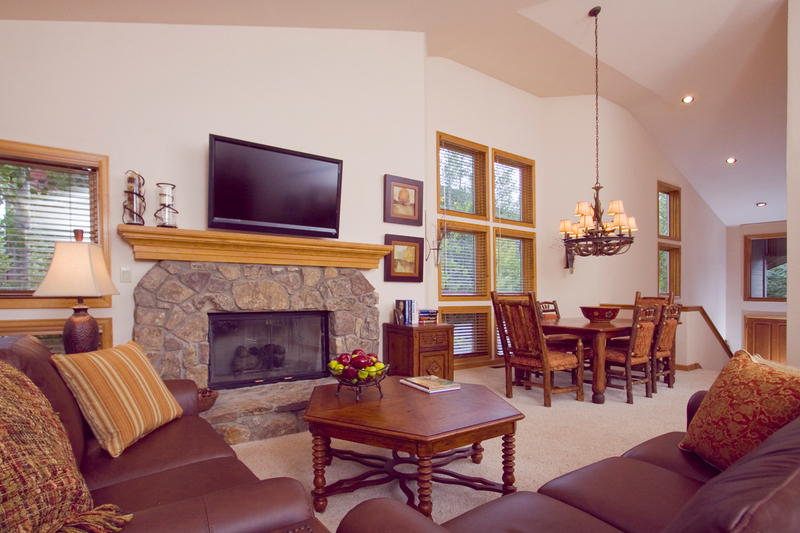 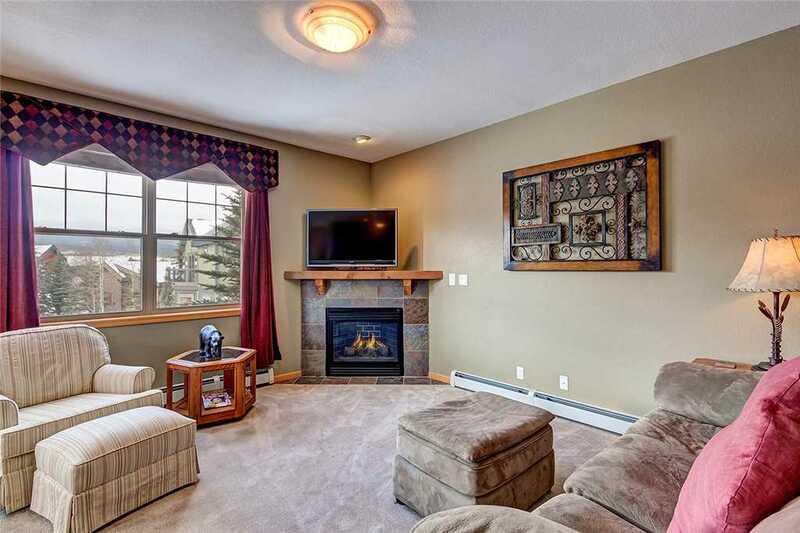 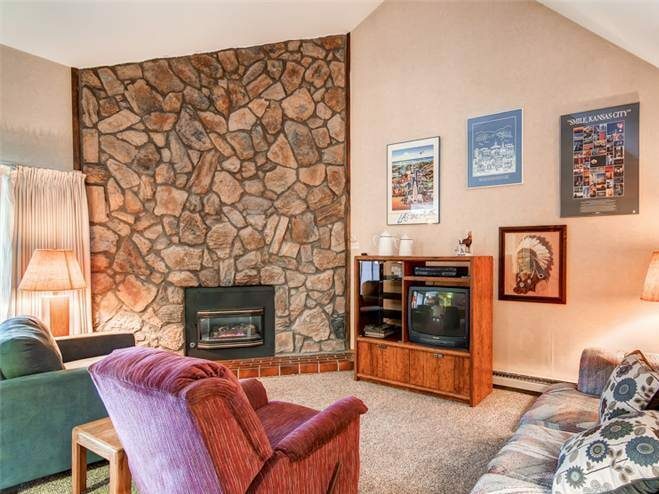 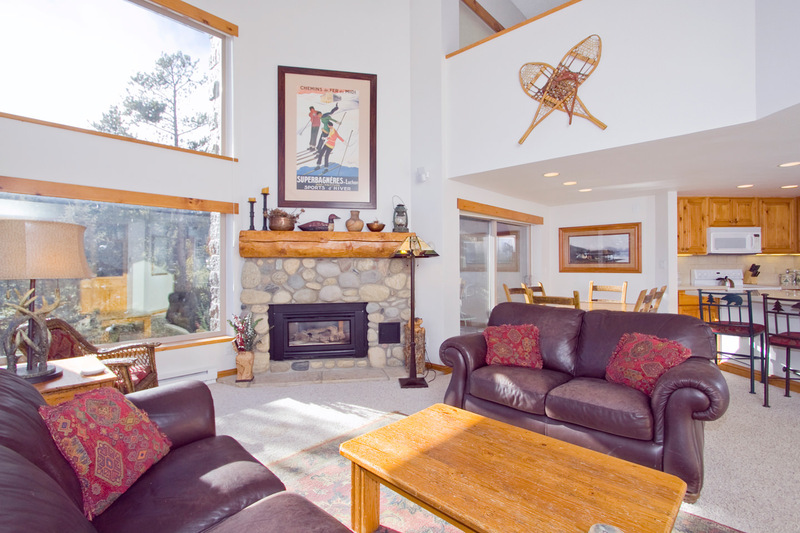 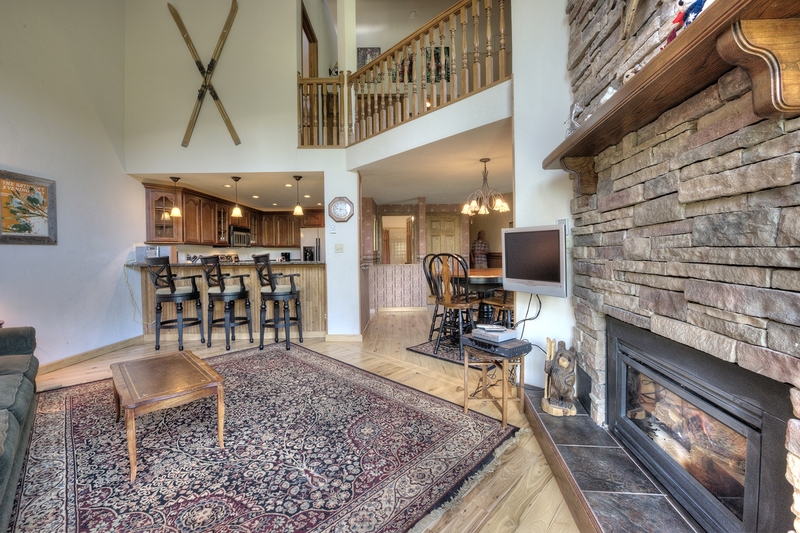 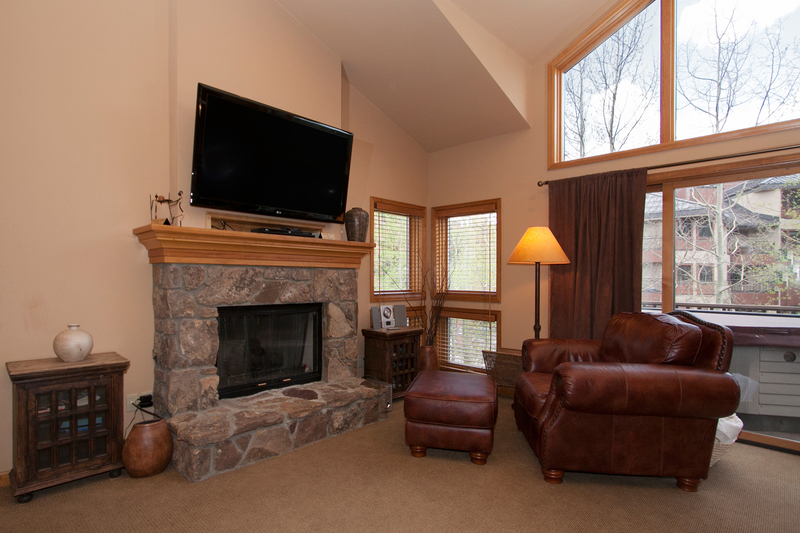 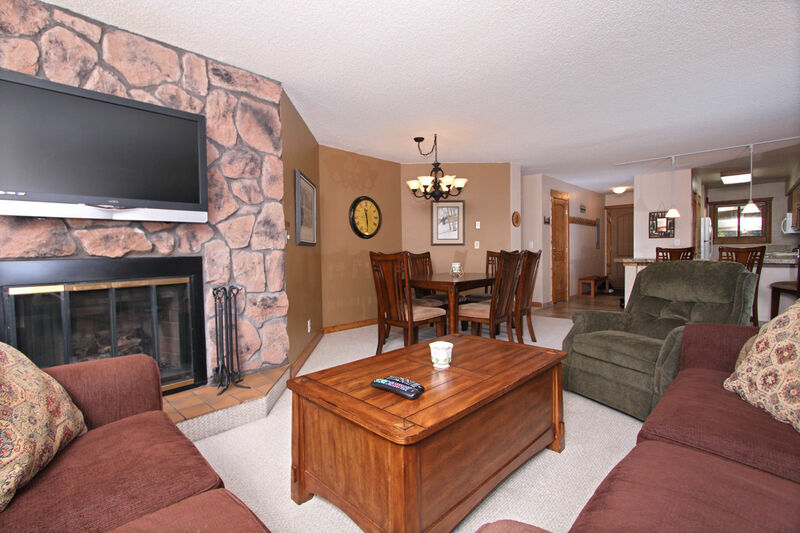 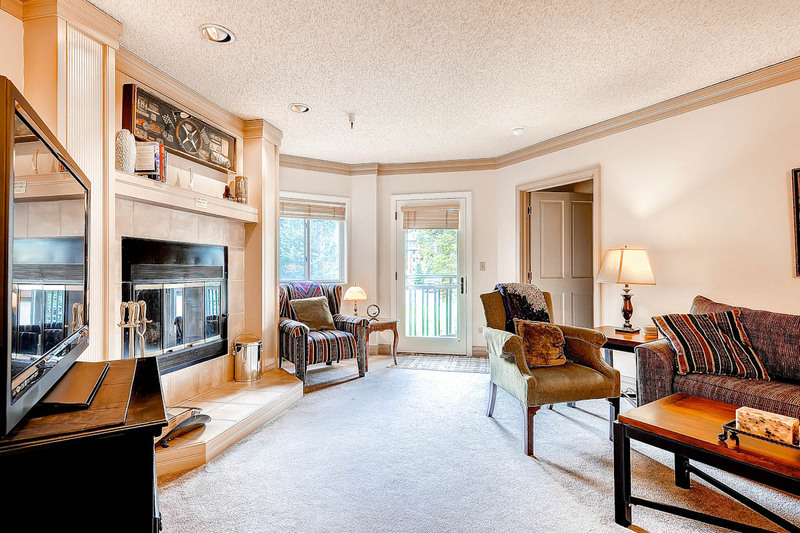 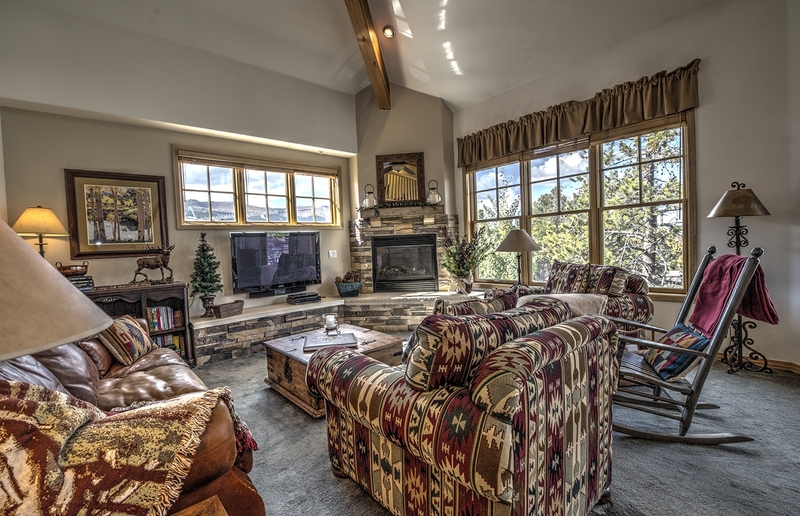 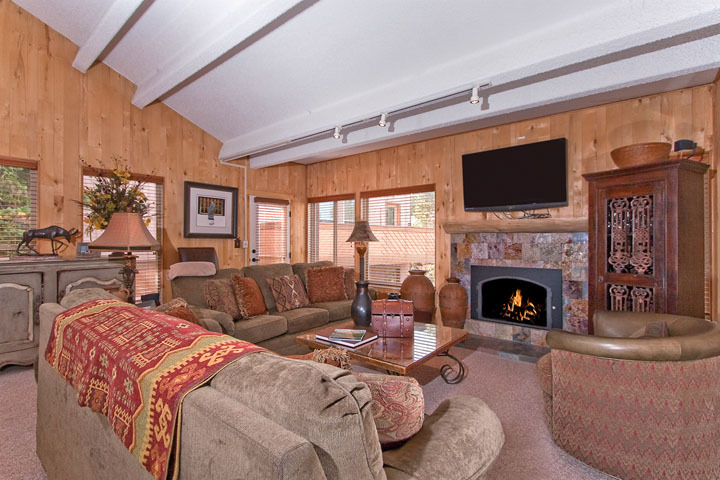 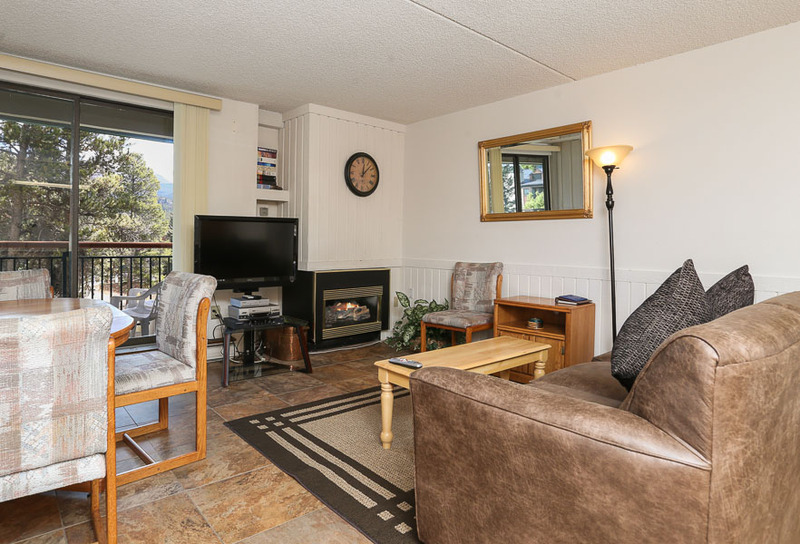 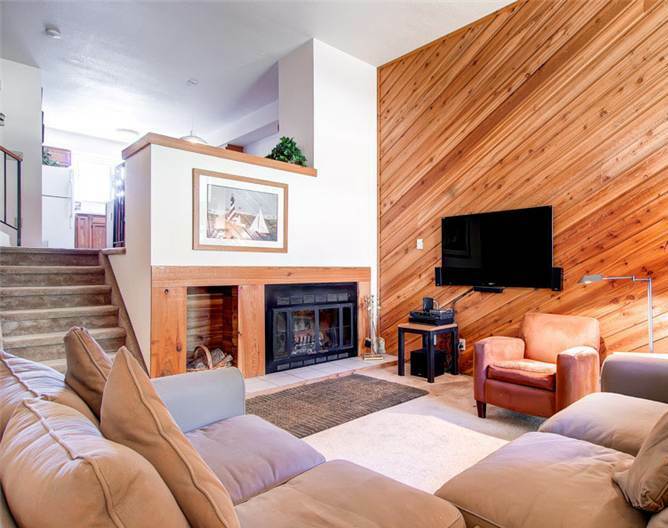 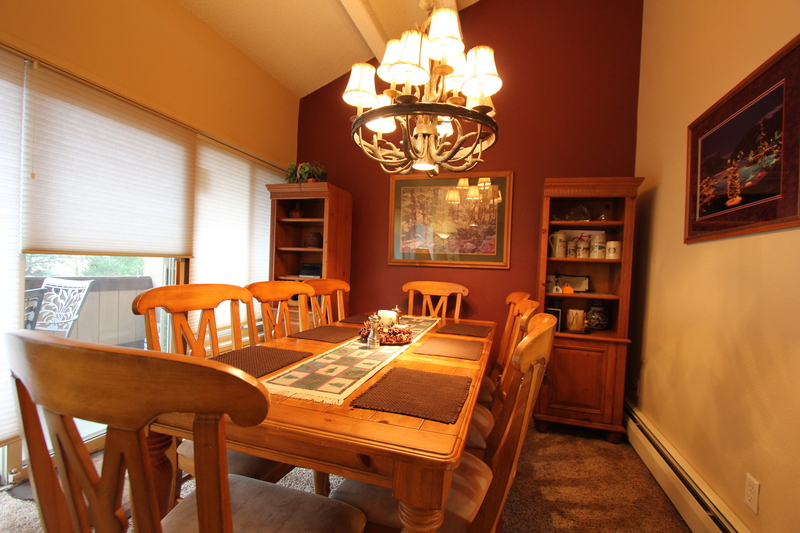 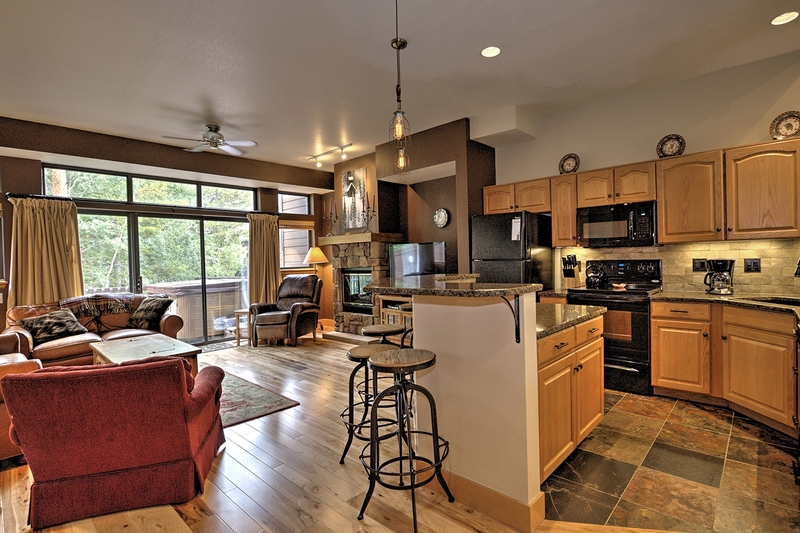 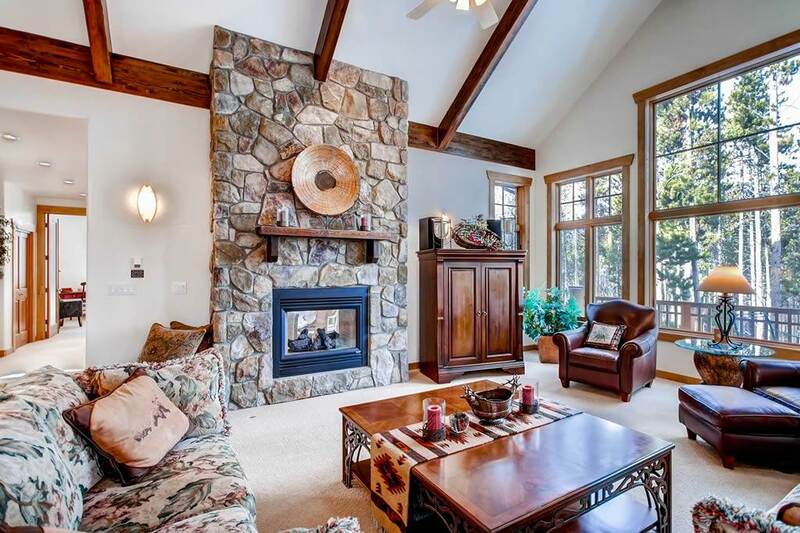 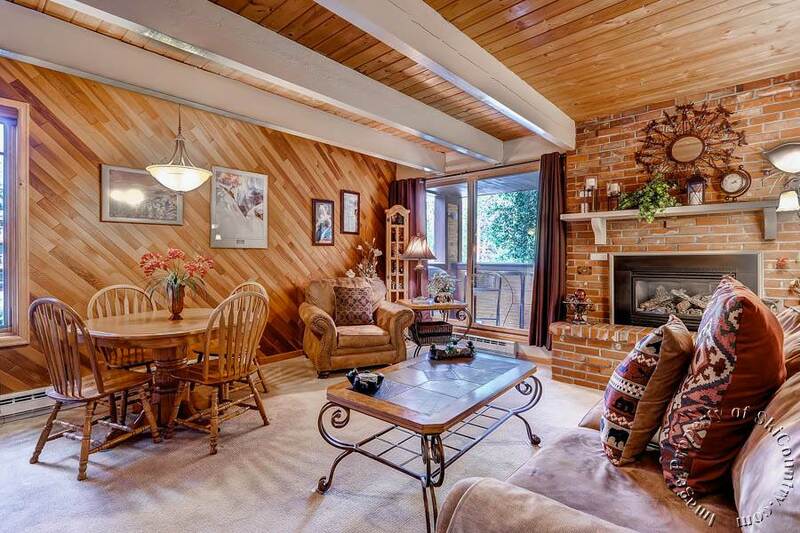 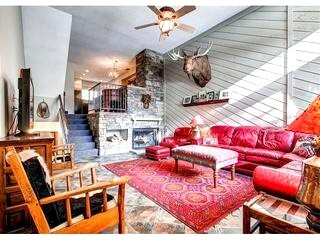 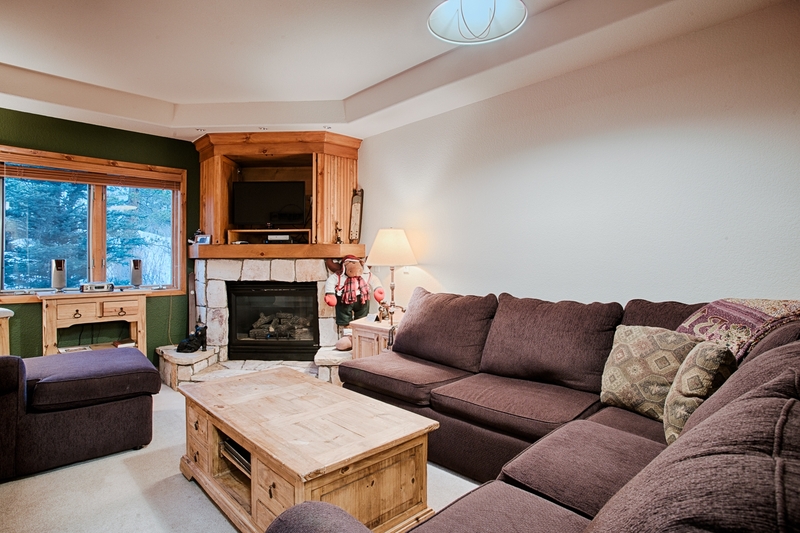 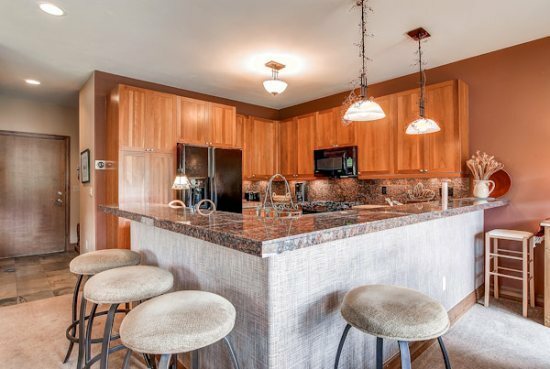 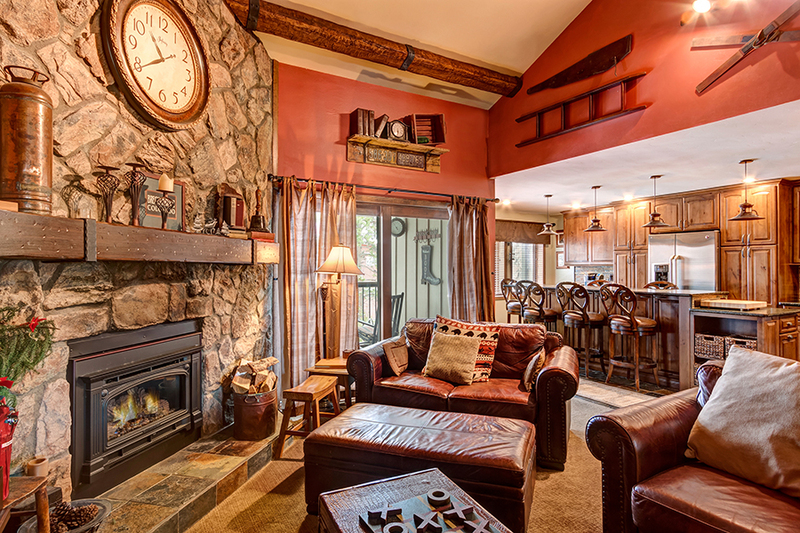 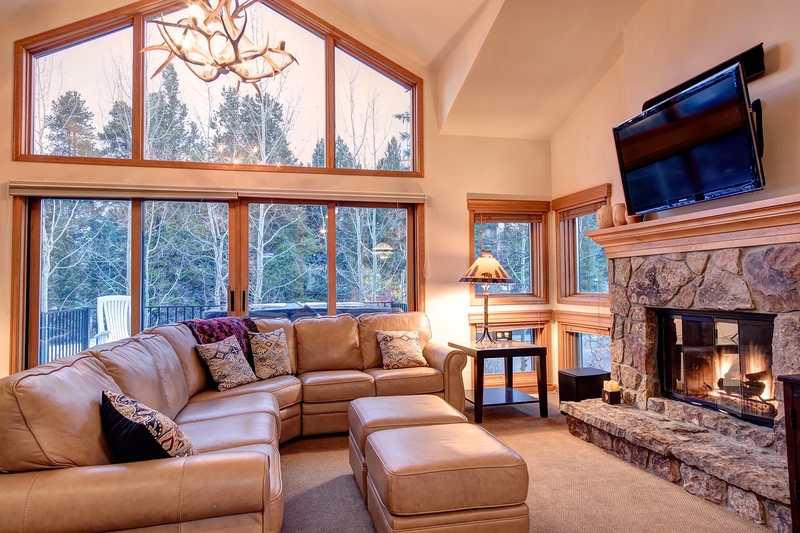 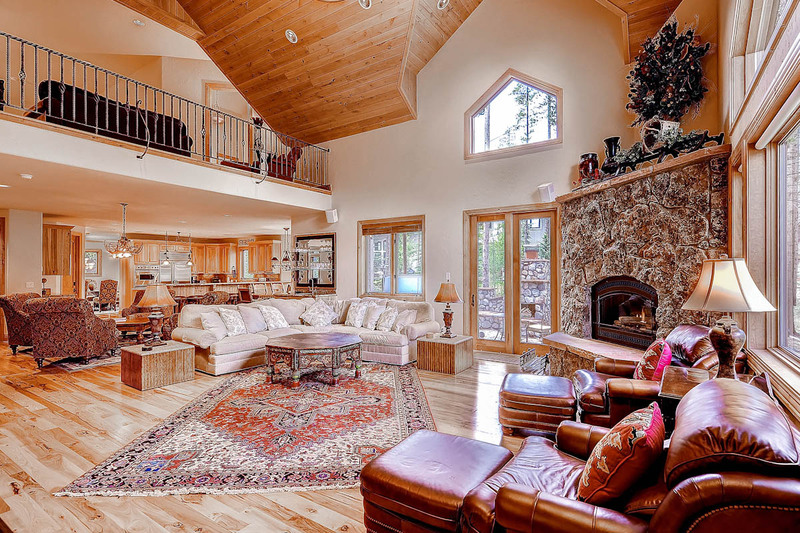 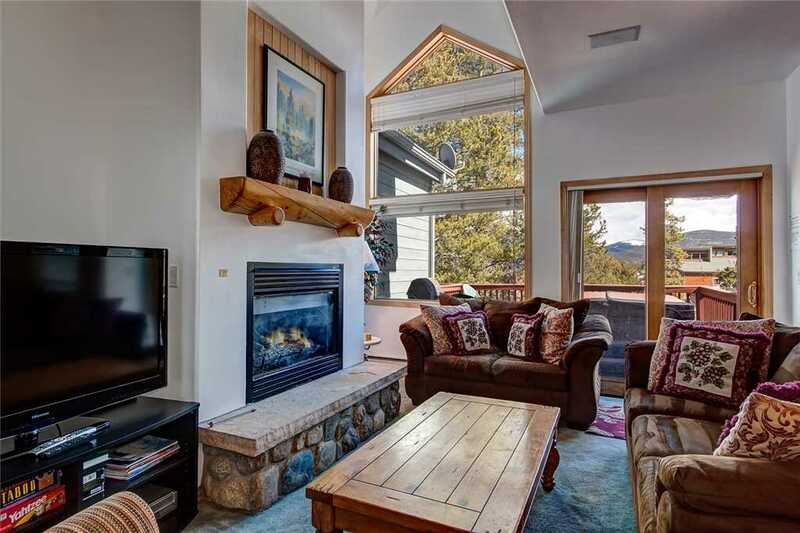 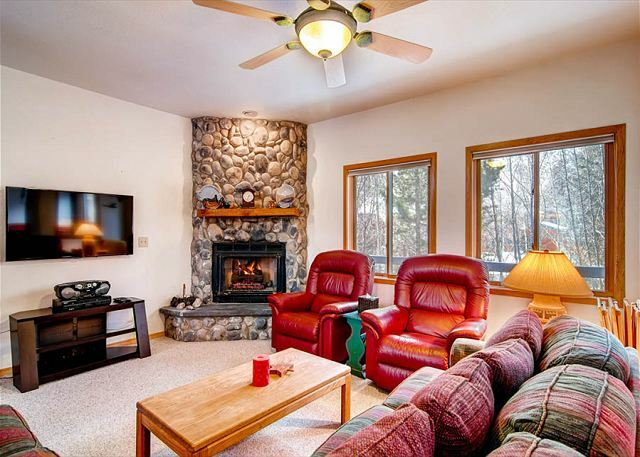 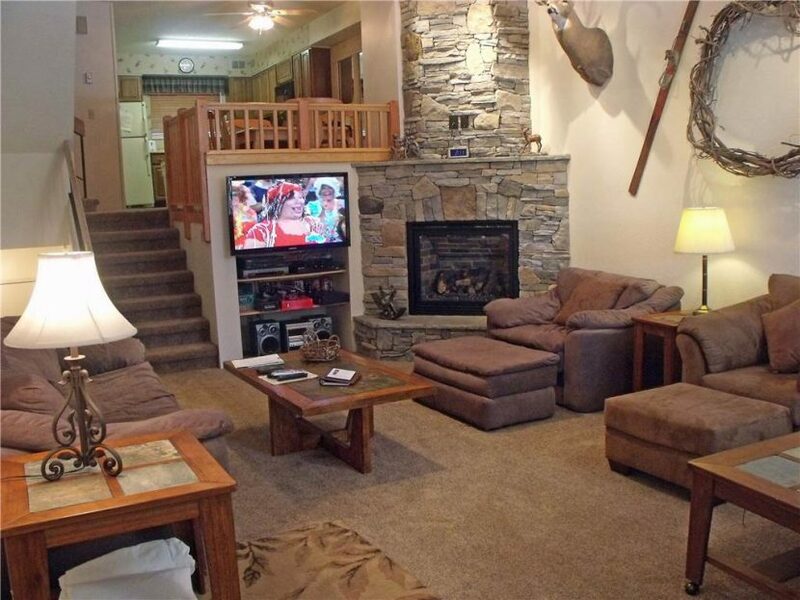 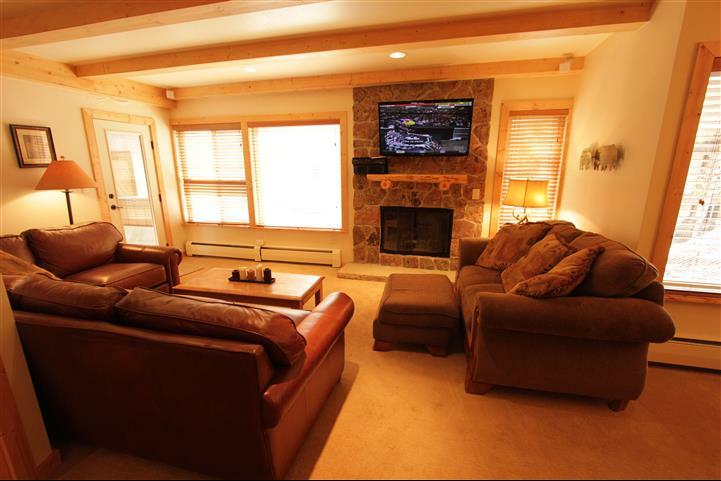 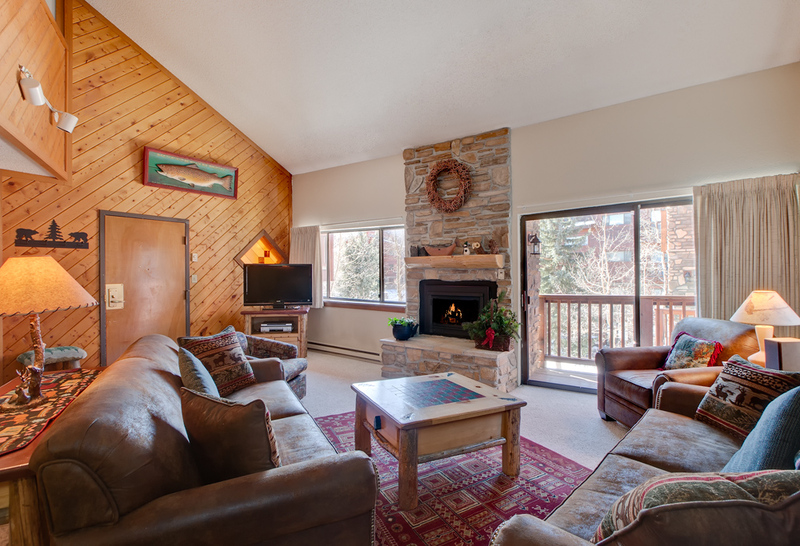 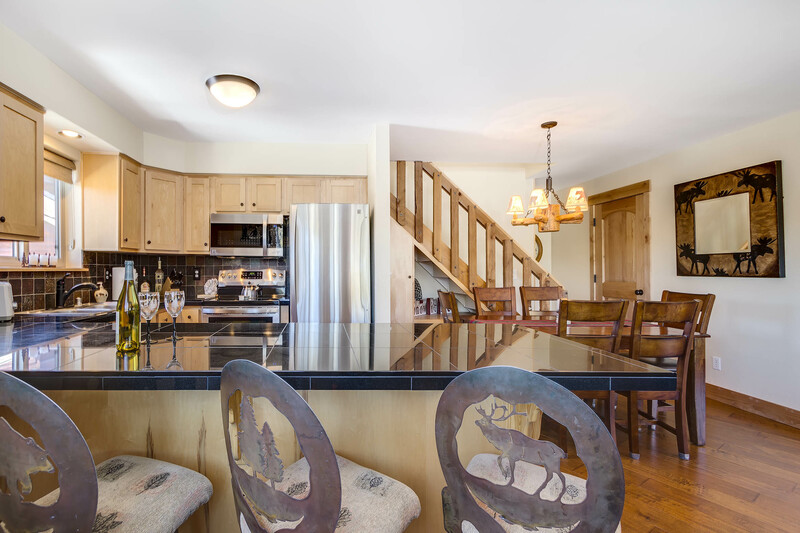 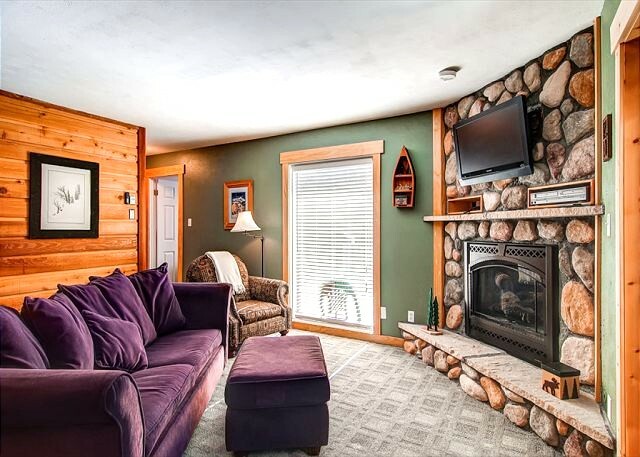 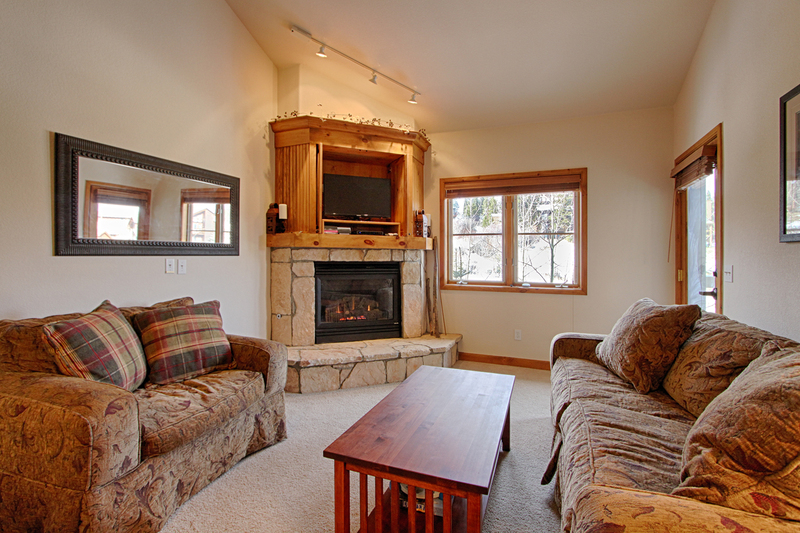 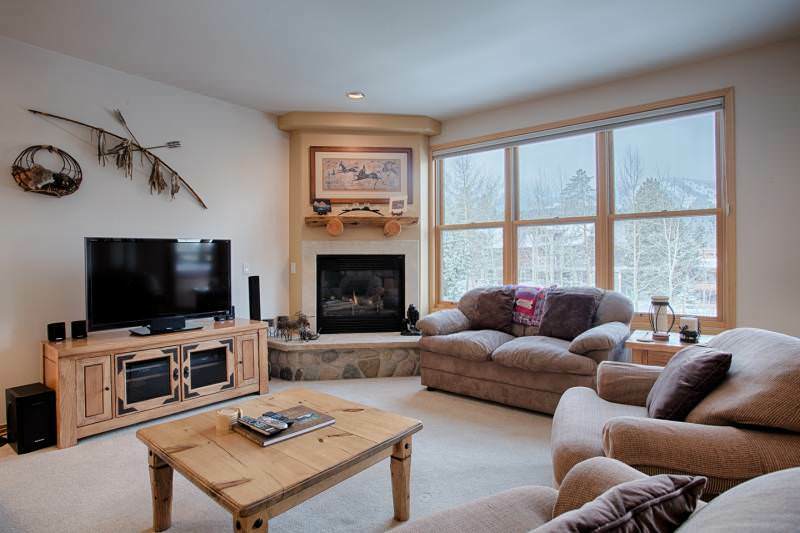 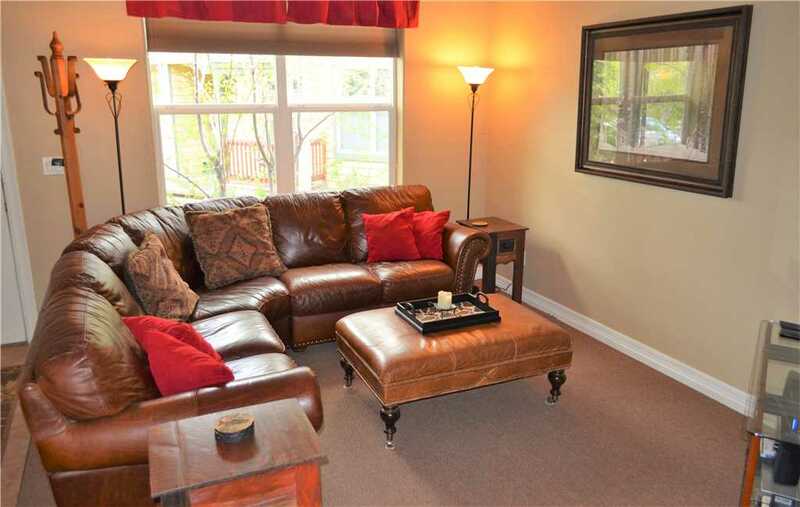 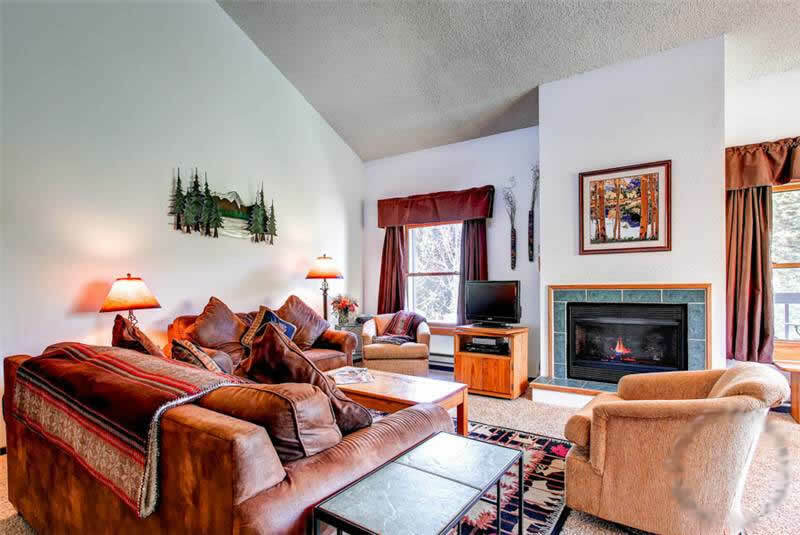 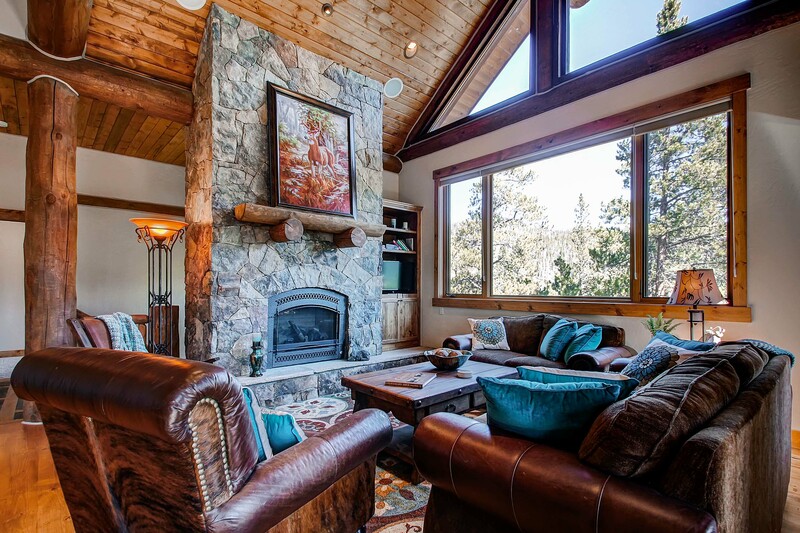 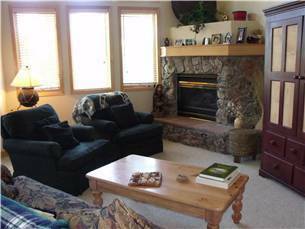 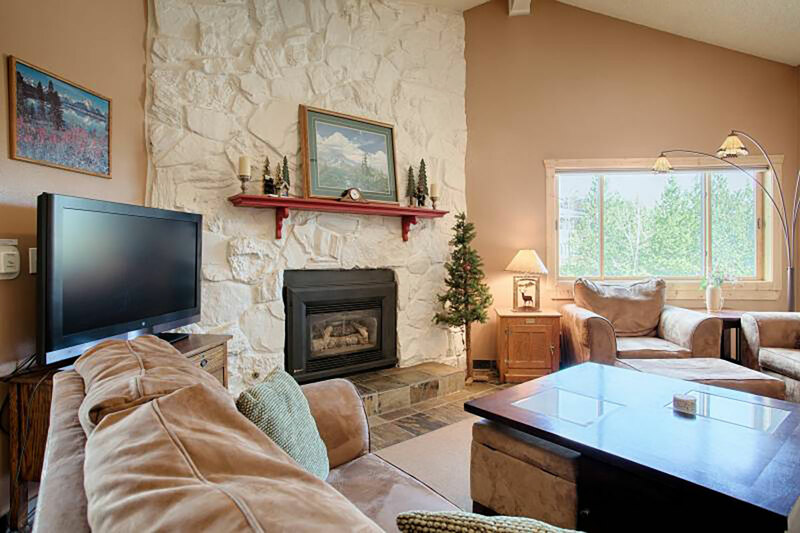 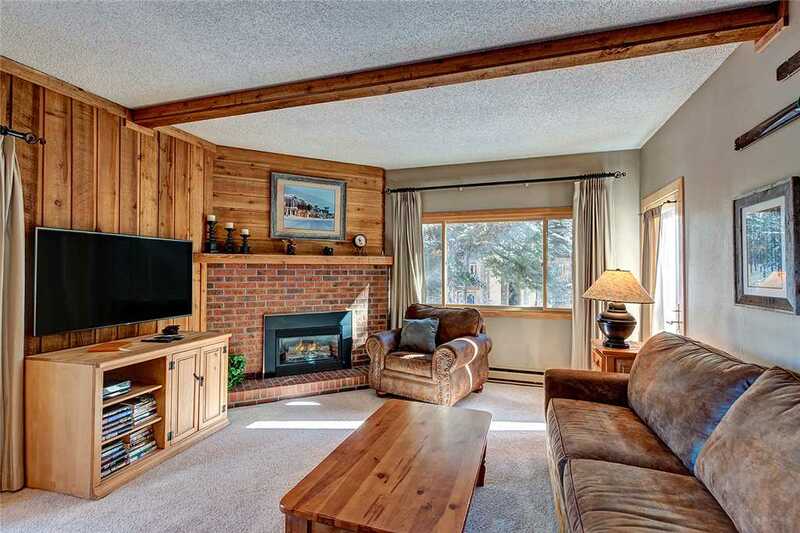 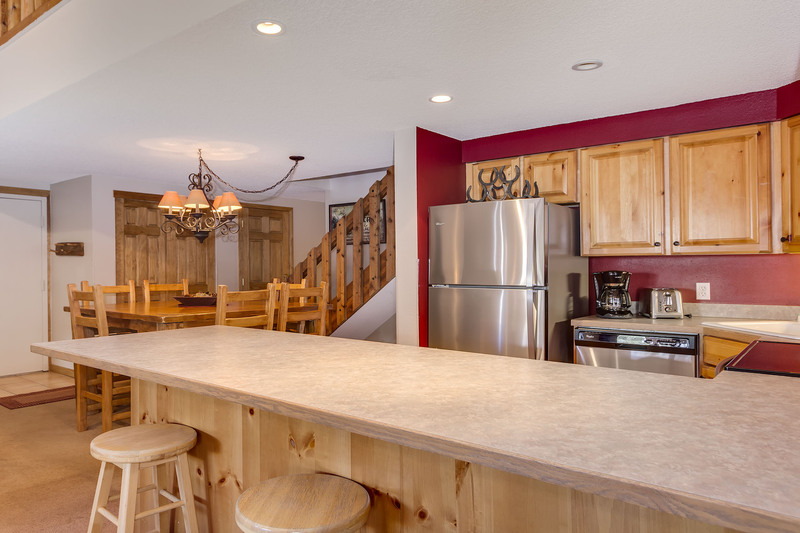 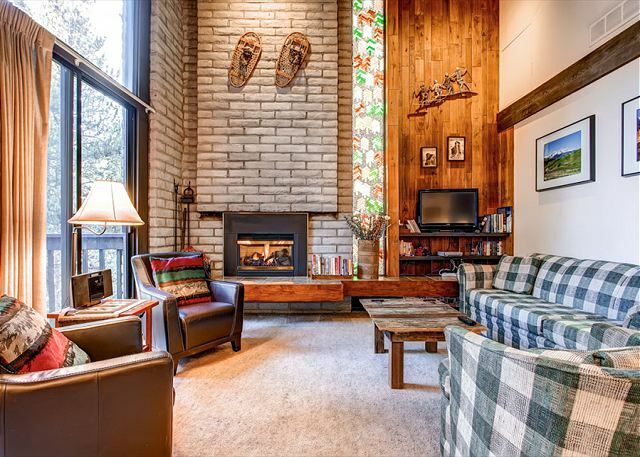 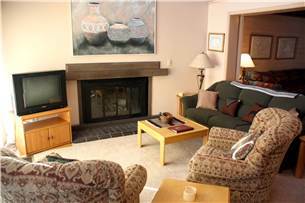 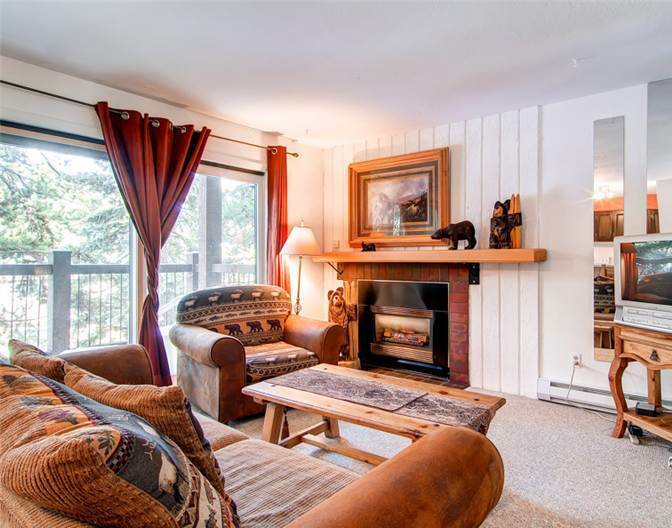 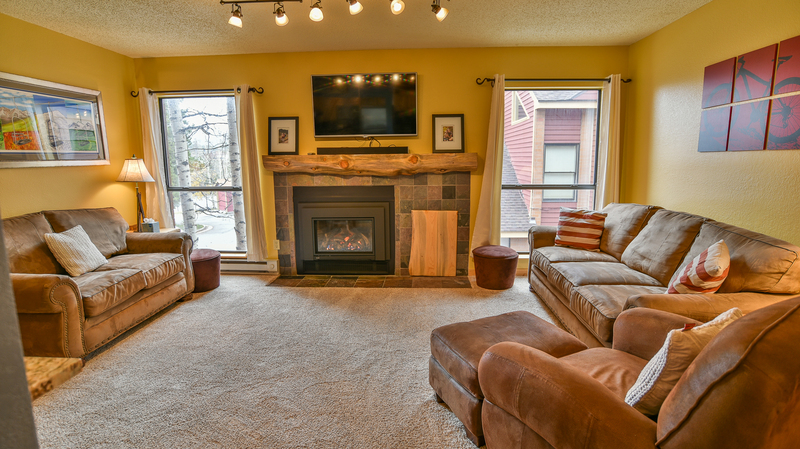 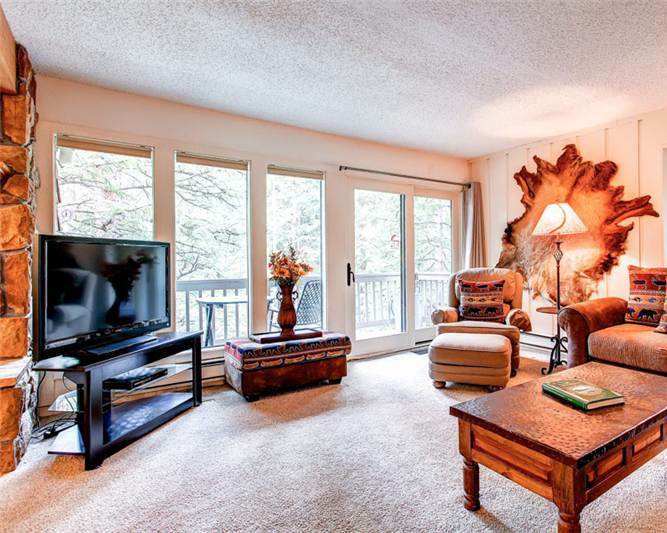 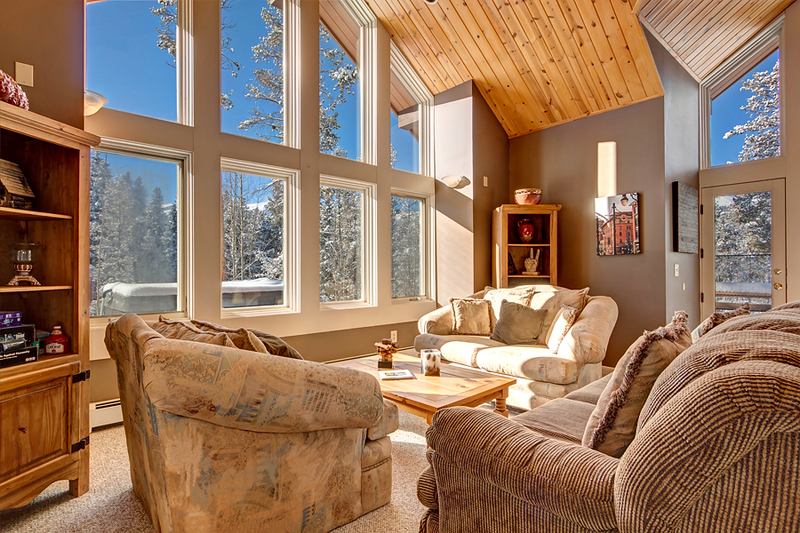 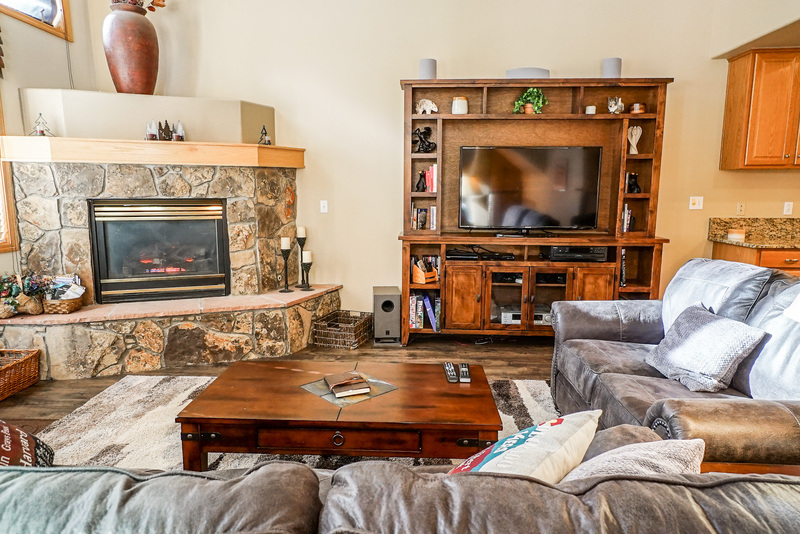 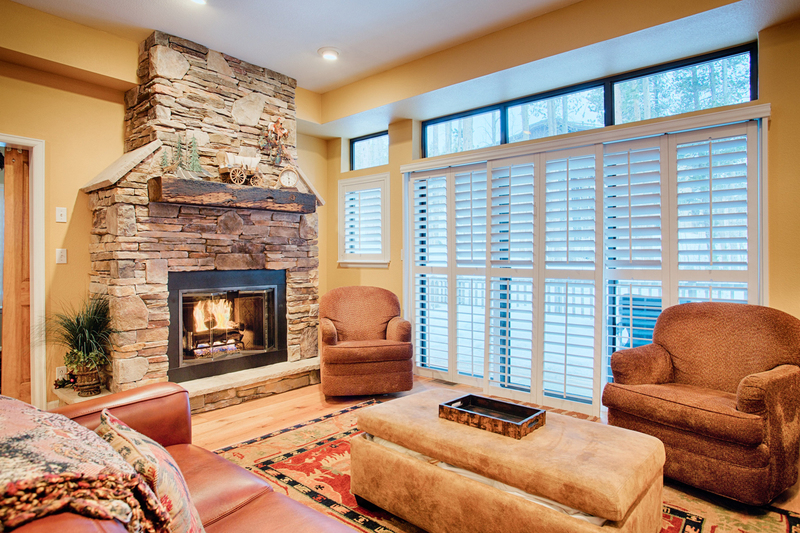 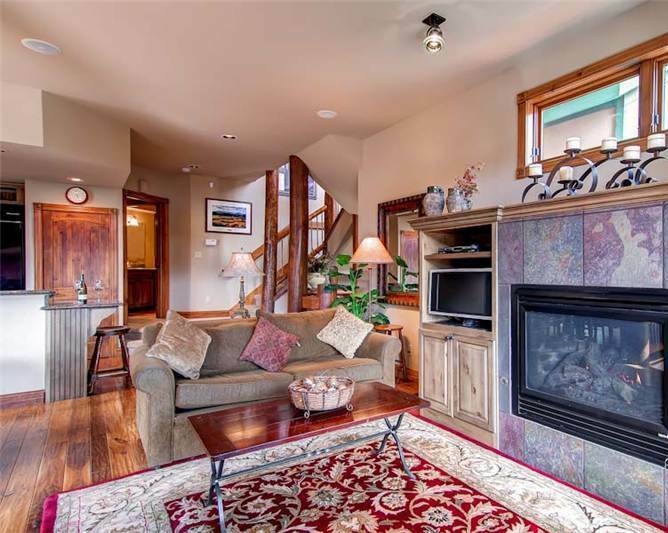 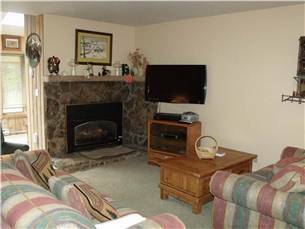 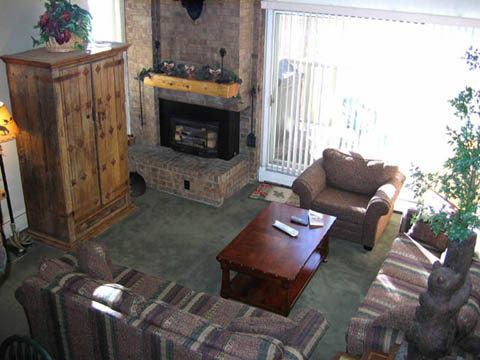 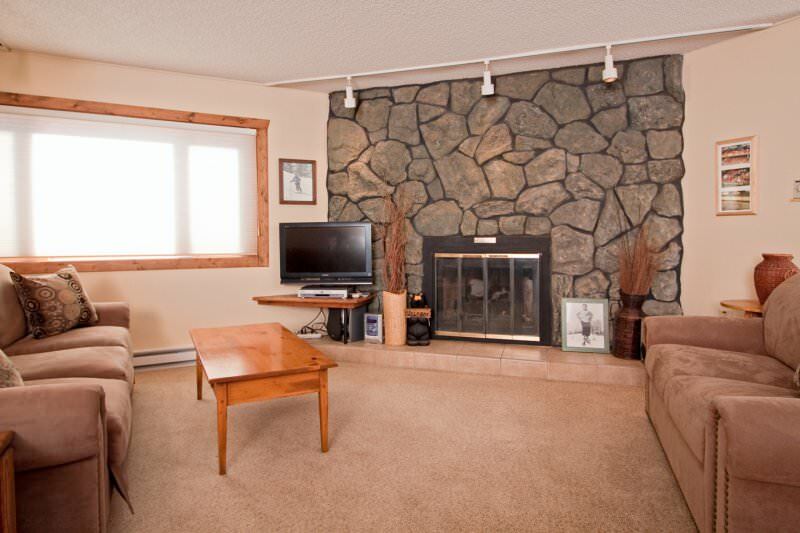 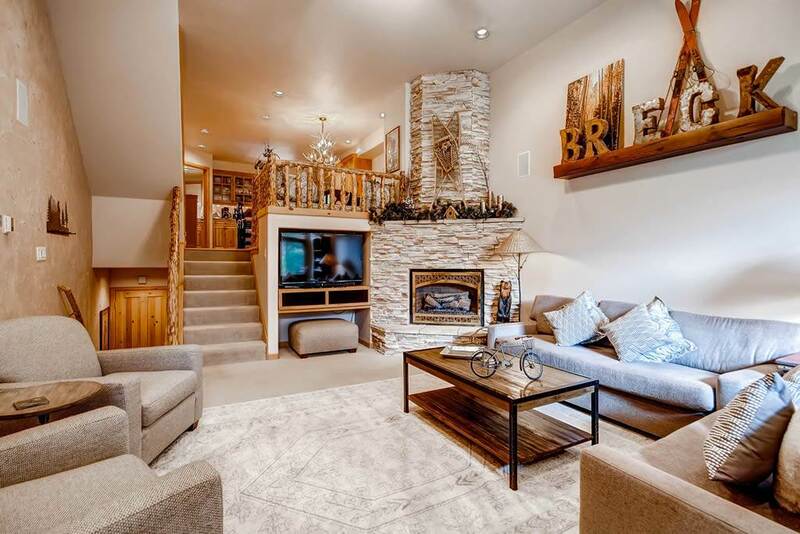 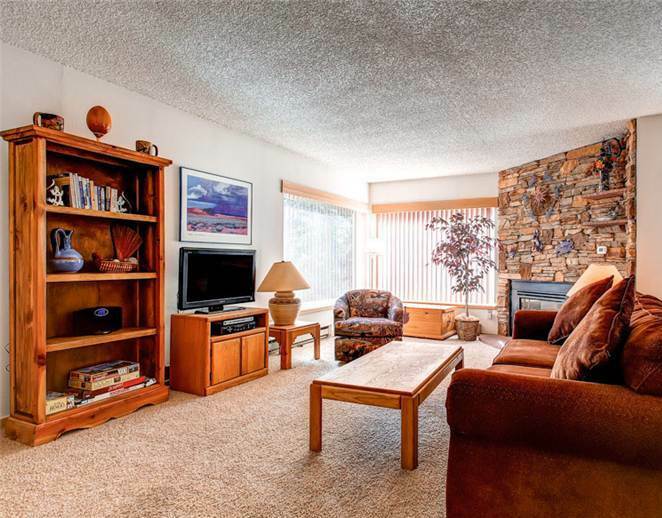 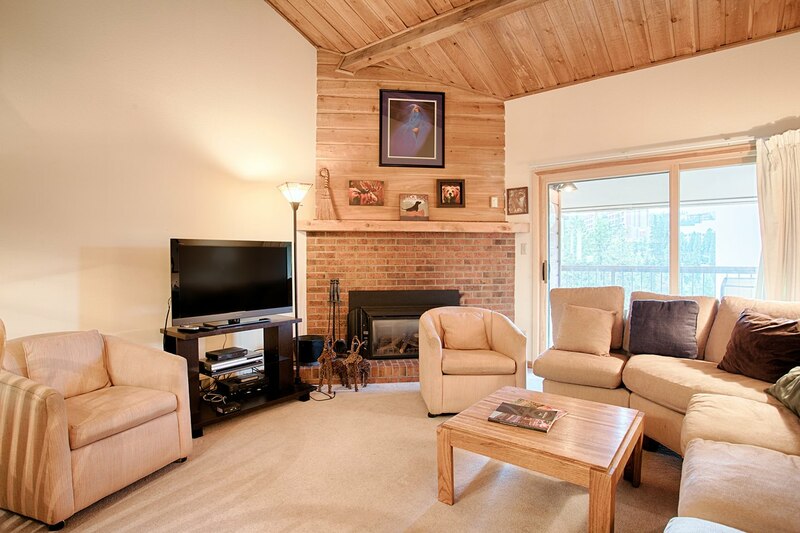 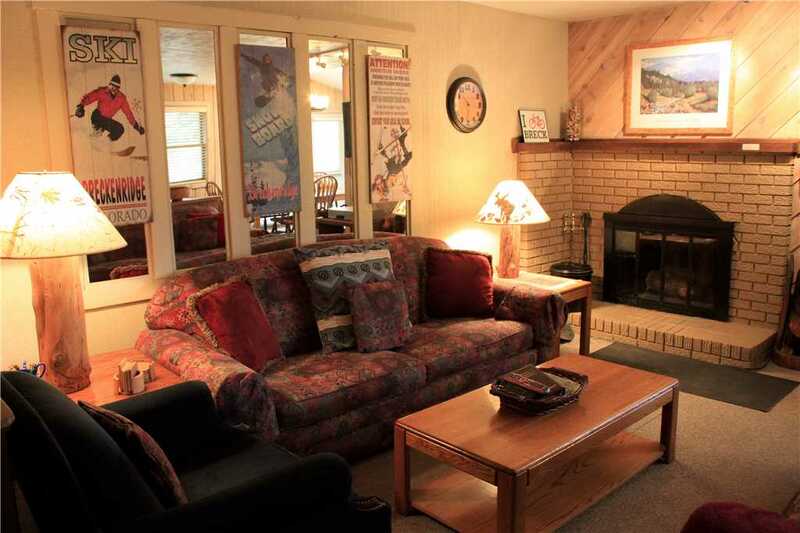 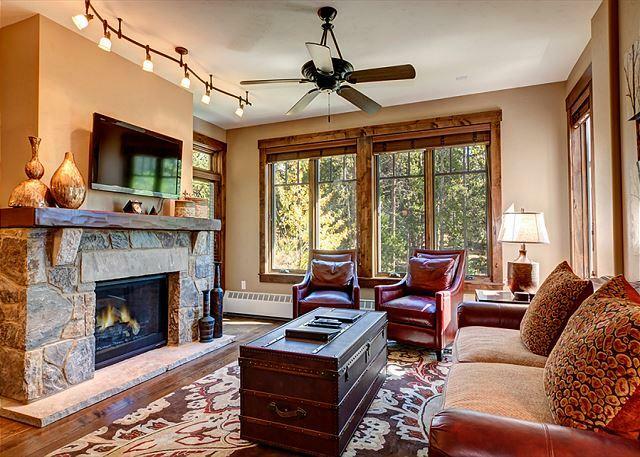 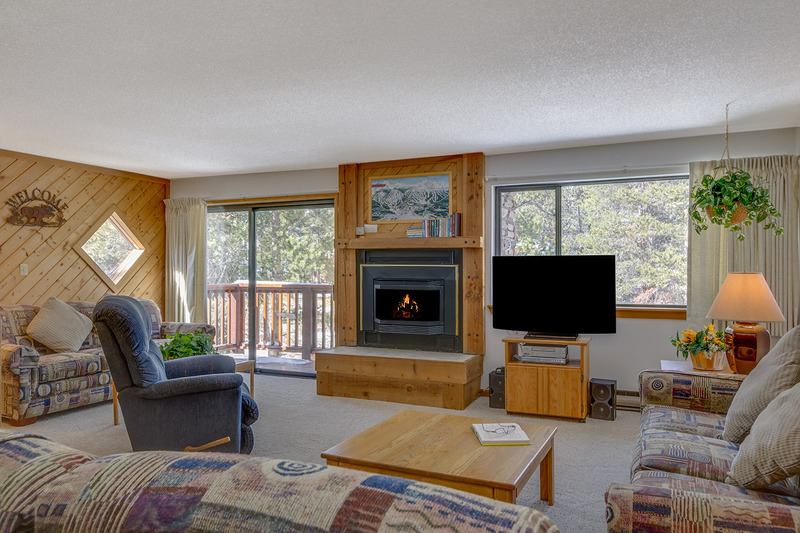 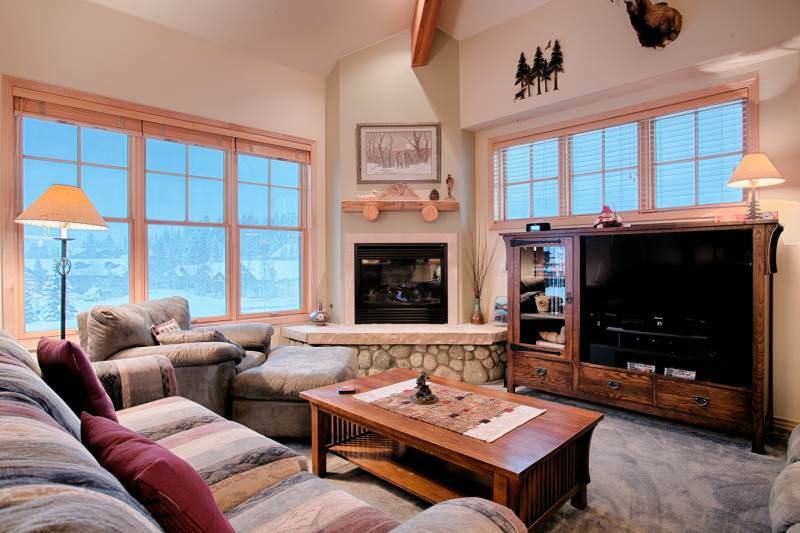 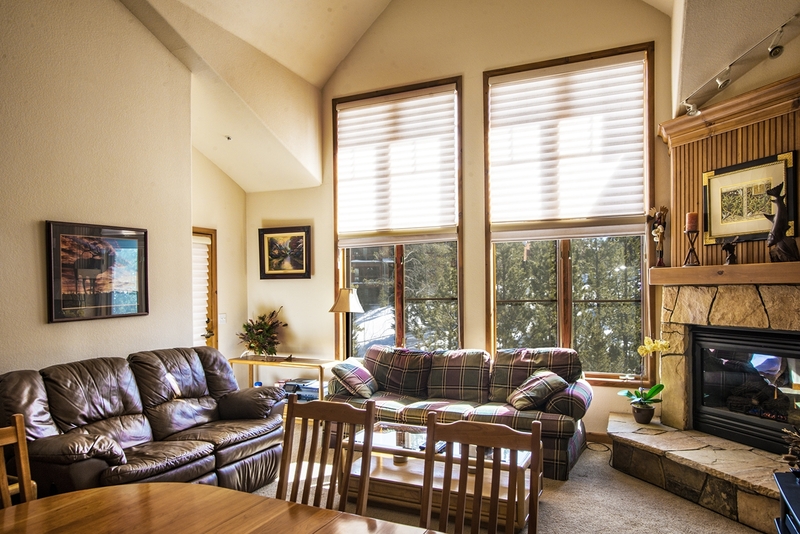 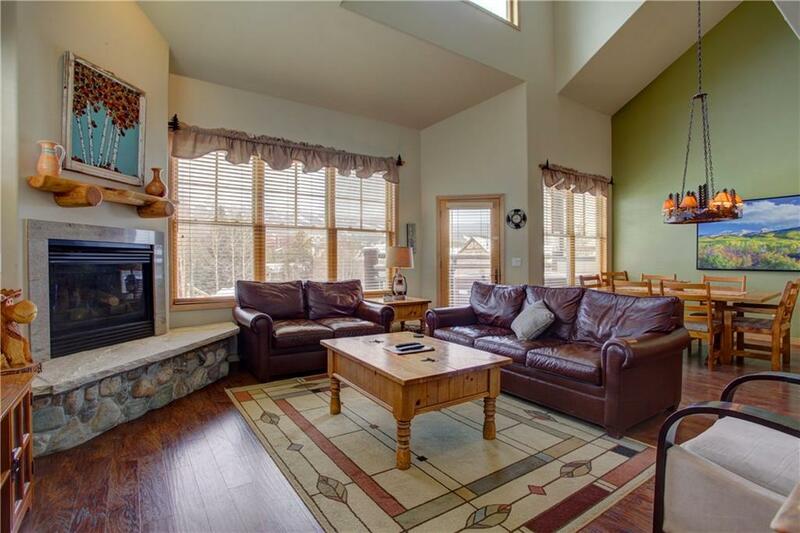 The floor plan has a wonderful open living, dining and kitchen area to relax in front of the gas fireplace, cook a great meal and enjoy the mountain environment. 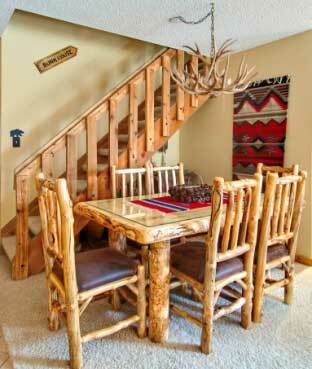 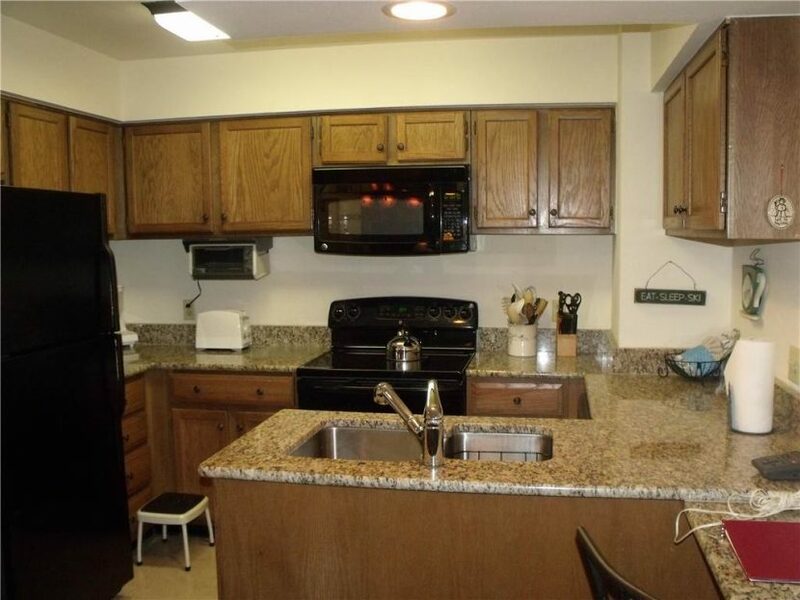 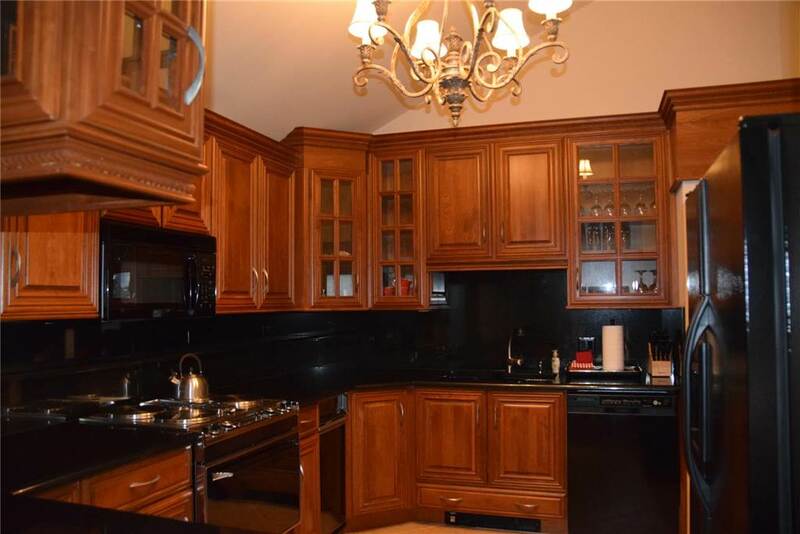 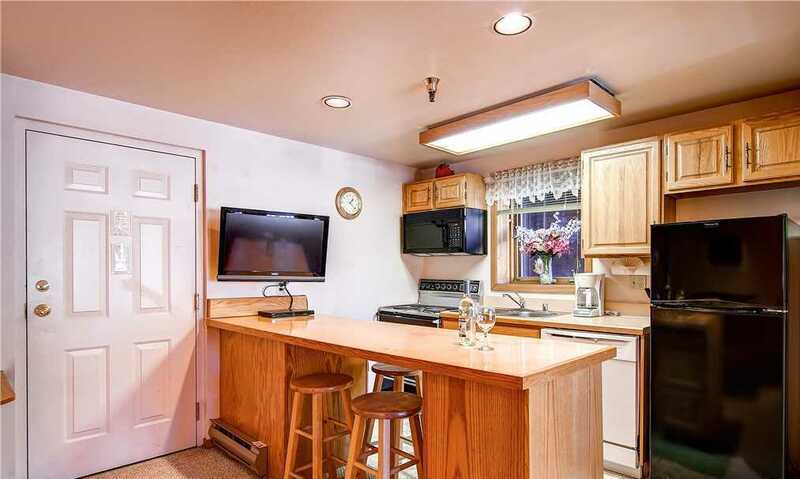 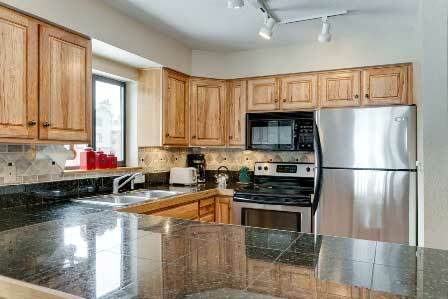 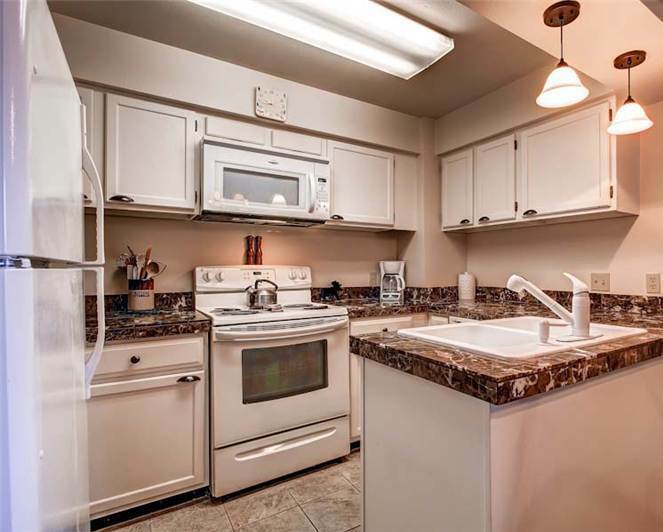 It also offers a grill located on the private balcony. 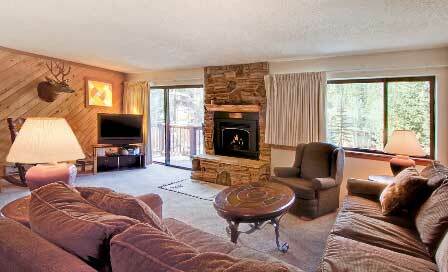 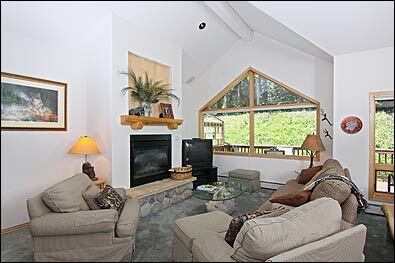 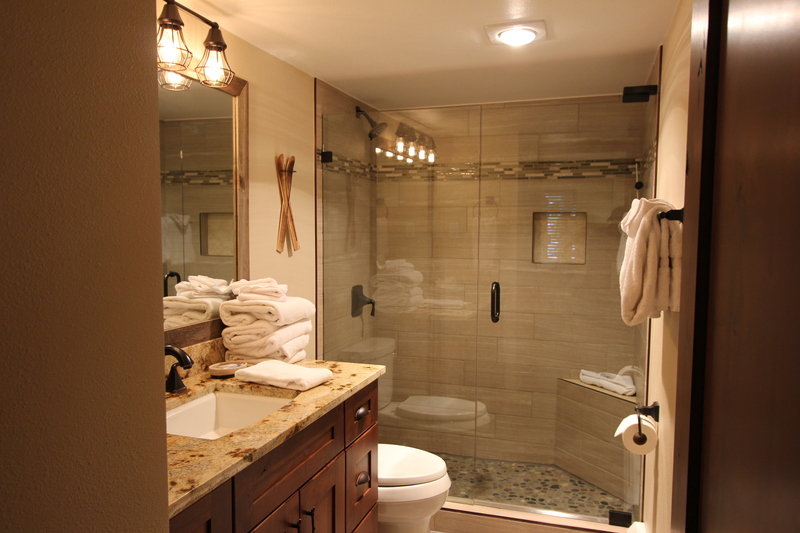 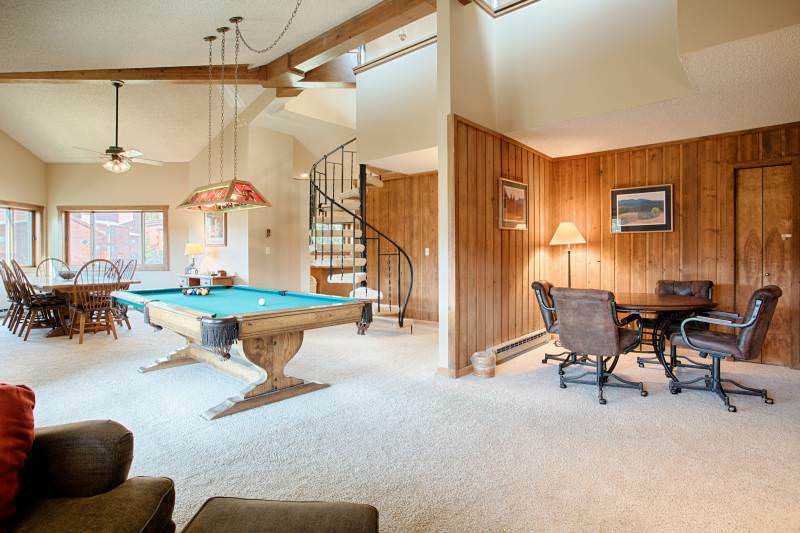 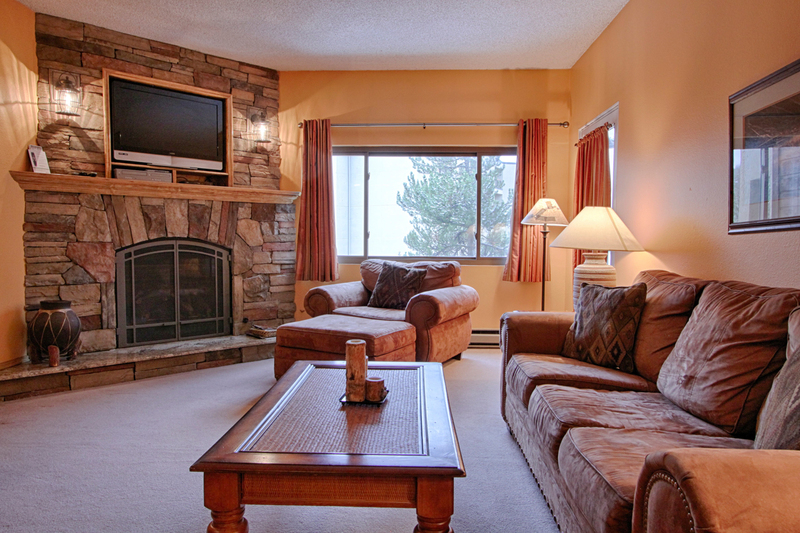 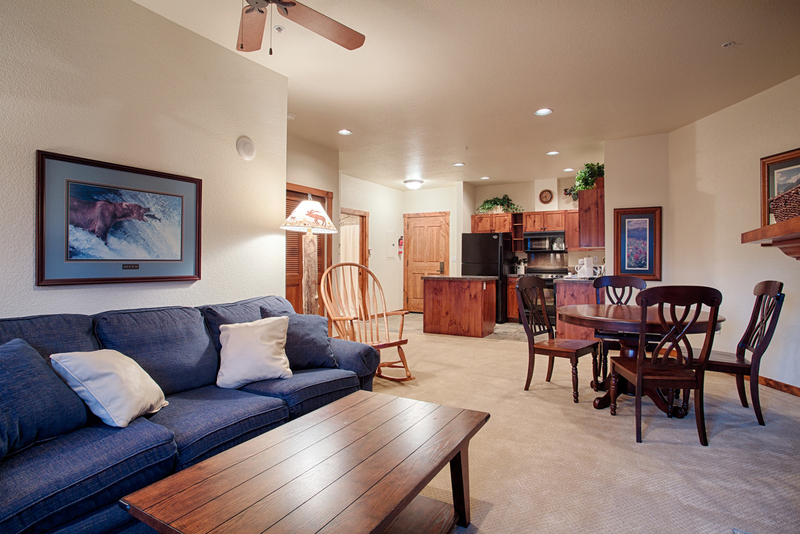 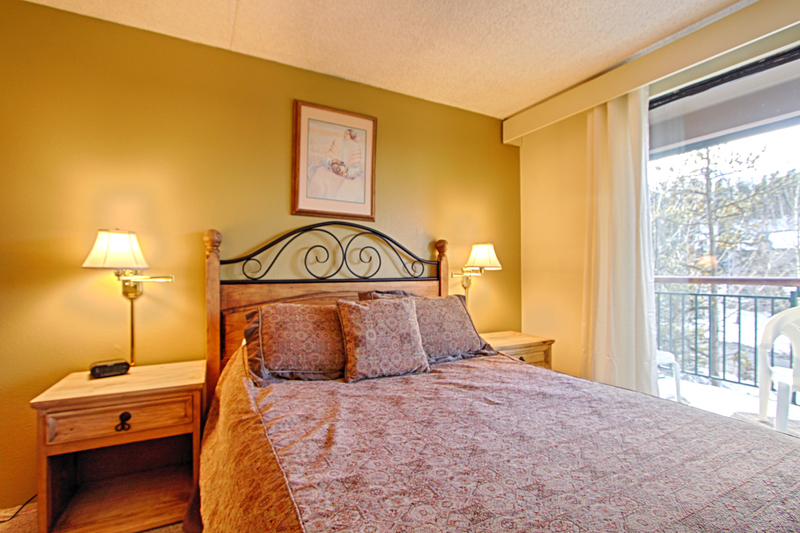 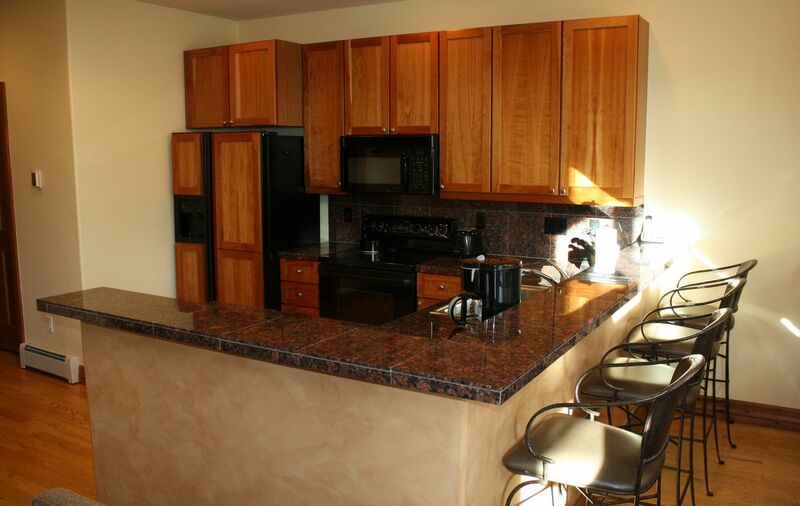 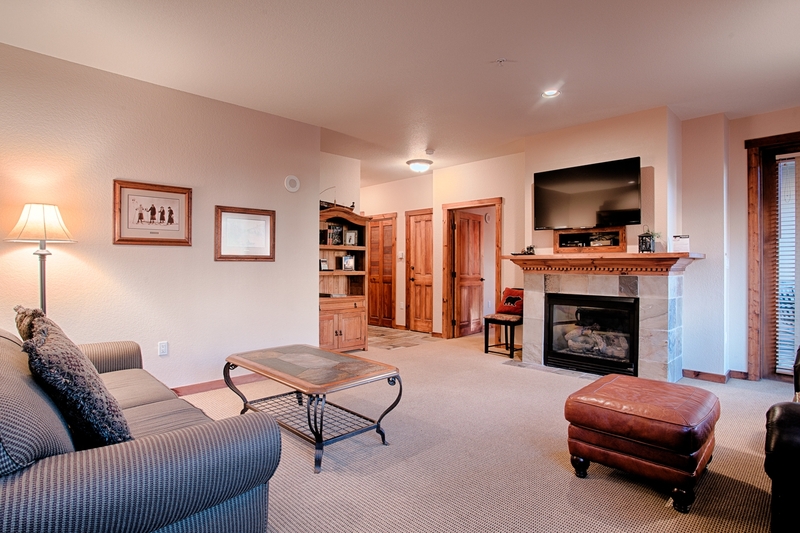 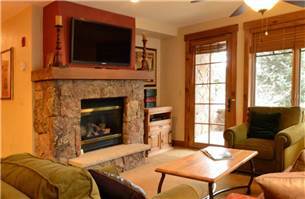 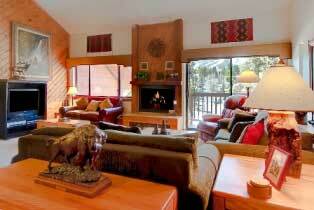 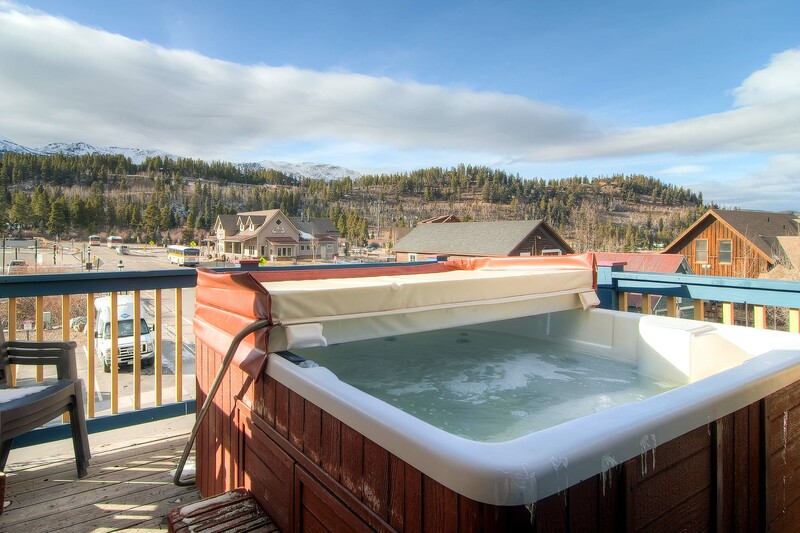 Main Street Junction amenities are located directly across the street with seven hot tubs and a heated outdoor pool. 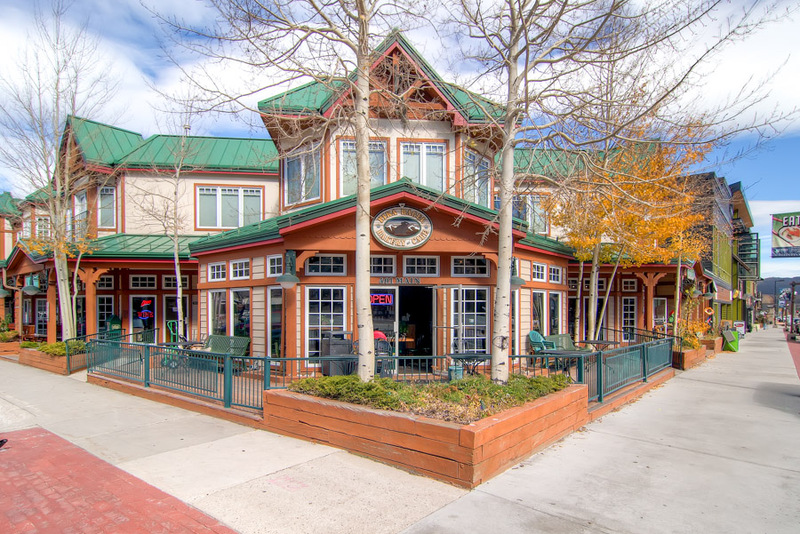 • Historic District – Main St.